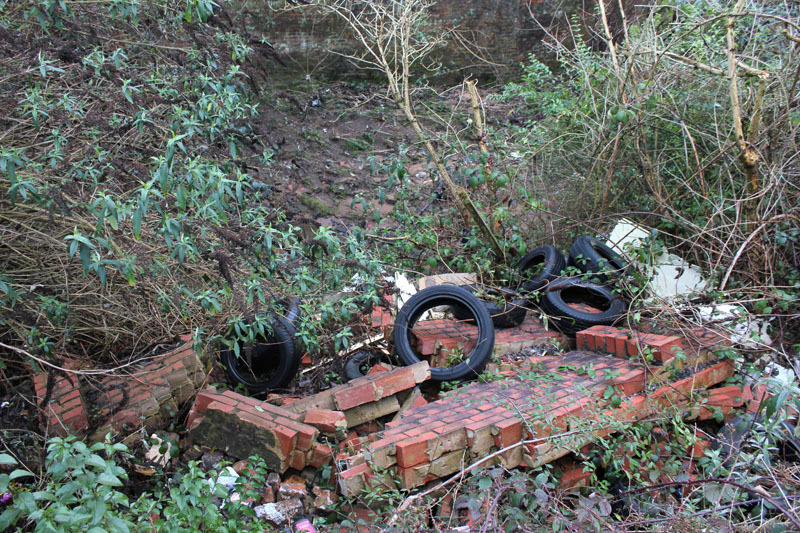 An odd mix of moods, mess, and ecology along this section of the River. 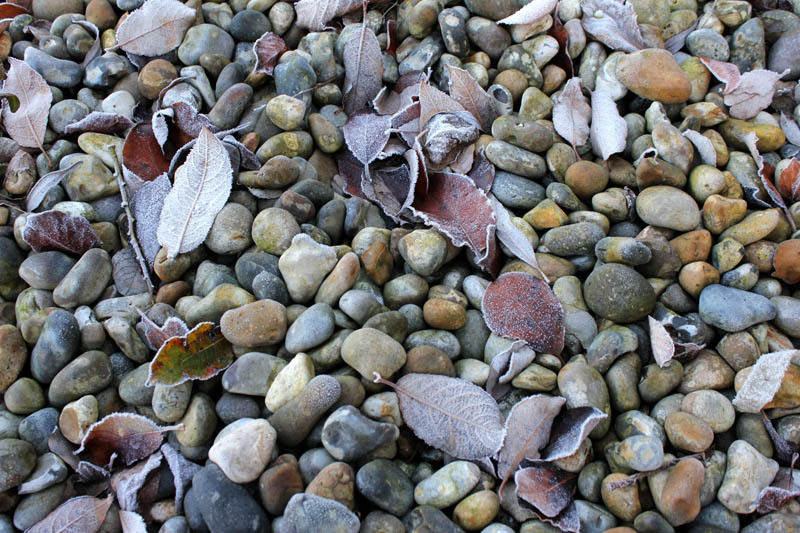 Because it is so readily made by heating limestone, lime must have been known from the earliest times, and all the early civilizations used it in building mortars and as a stabilizer in mud renders and floors. 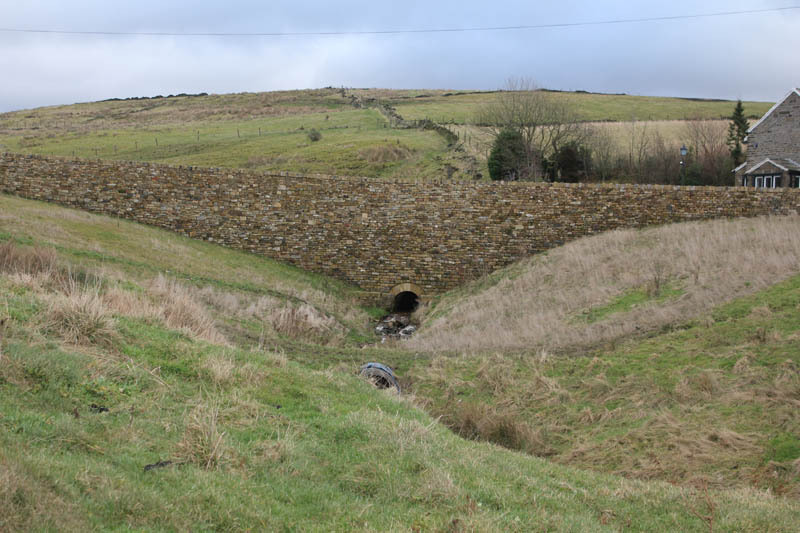 Knowledge of its value in agriculture is also ancient, but agricultural use only became widely possible when the use of coal made it cheap in the coalfields in the late 13th century, and an account of agricultural use was given in 1523. 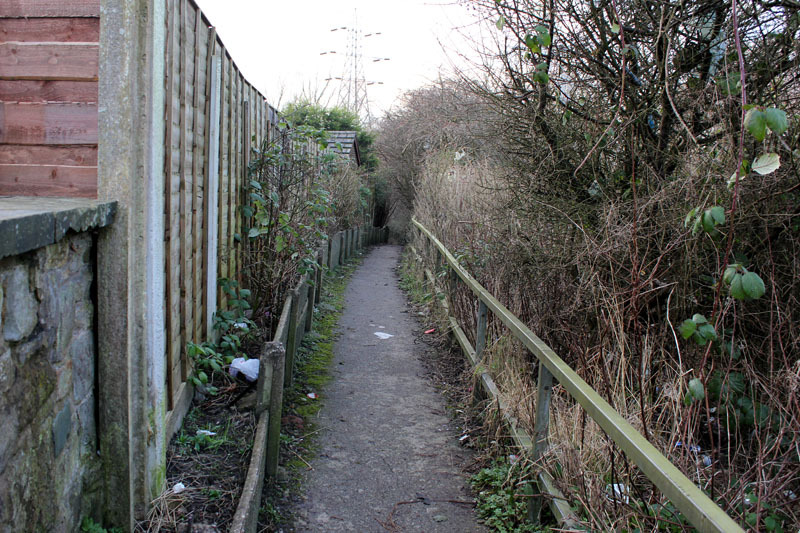 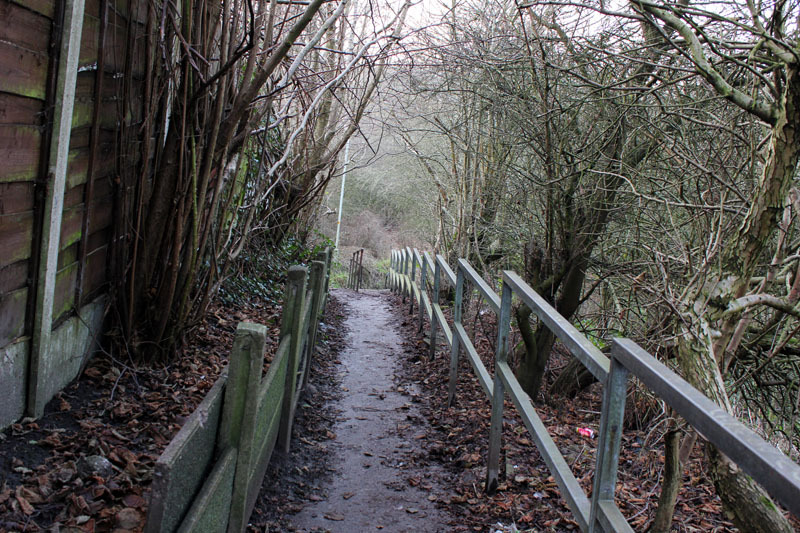 Path up to Aden Close…. 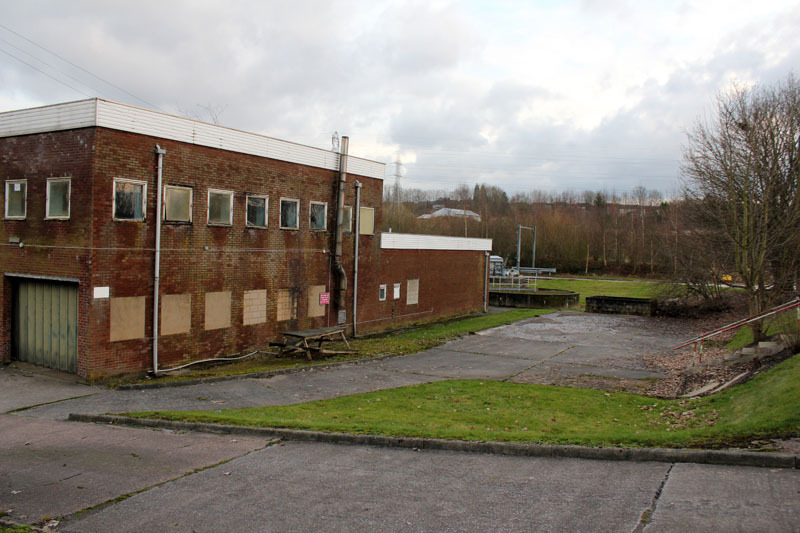 This was the Ardwick Youth Centre. 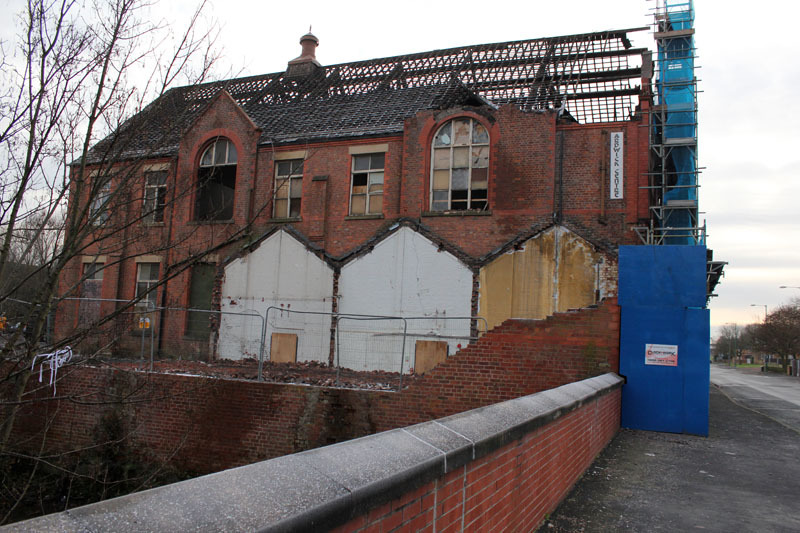 Now being demolished…. 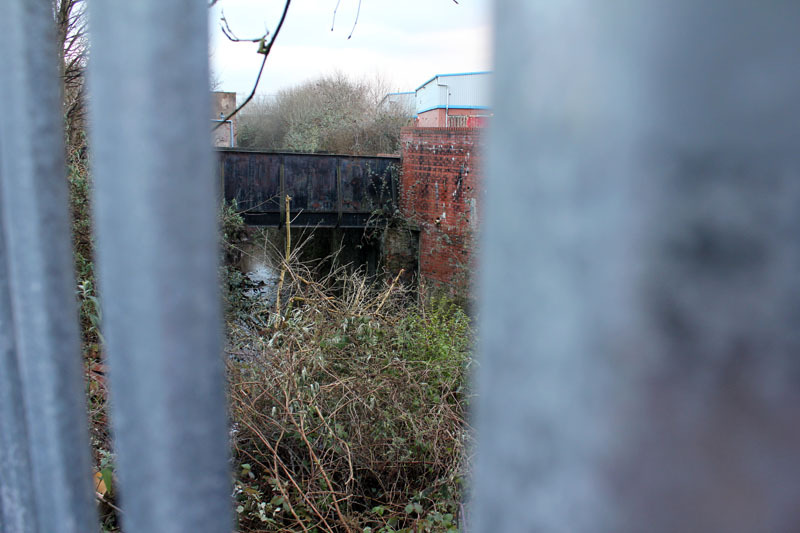 Views from the Palmerston Street bridge…..
Footbridge over to Purslow Close…. 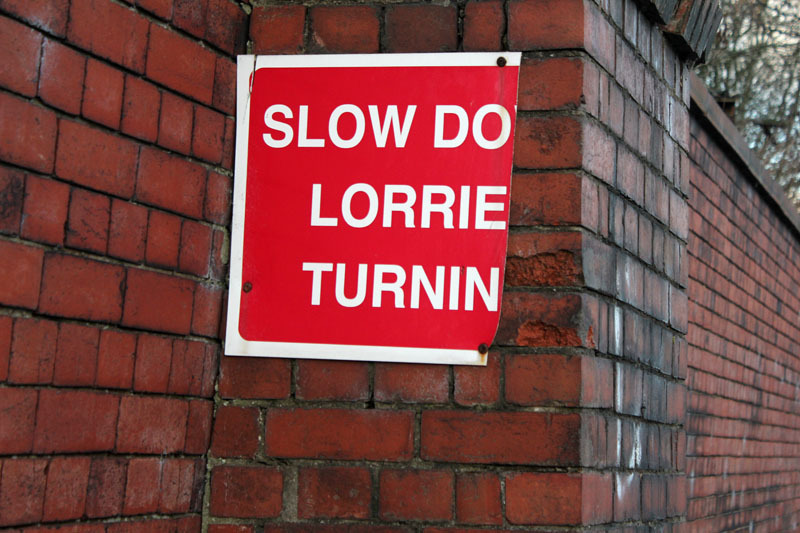 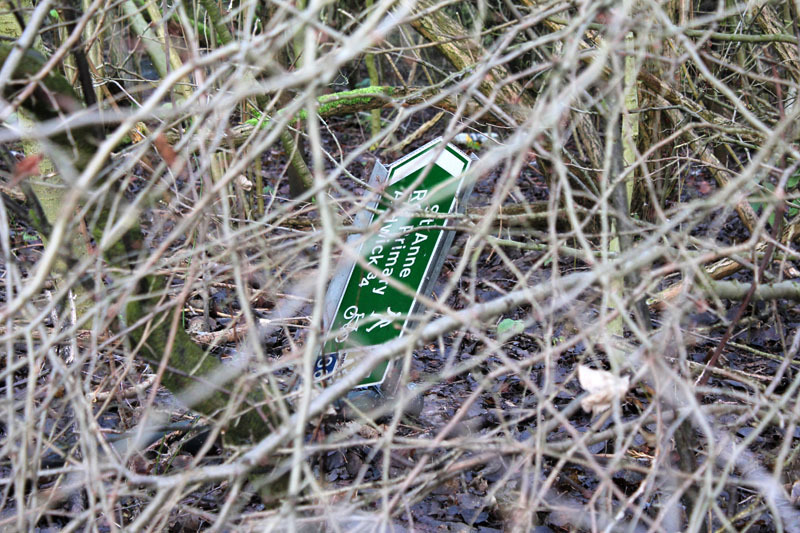 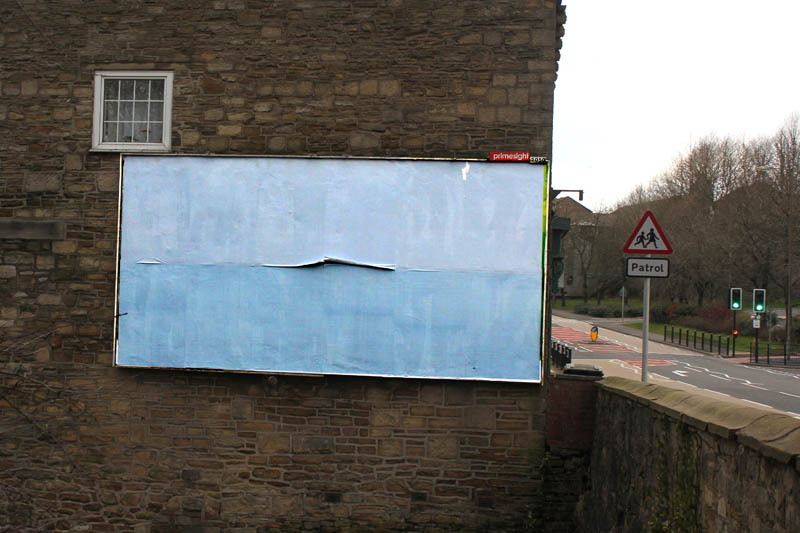 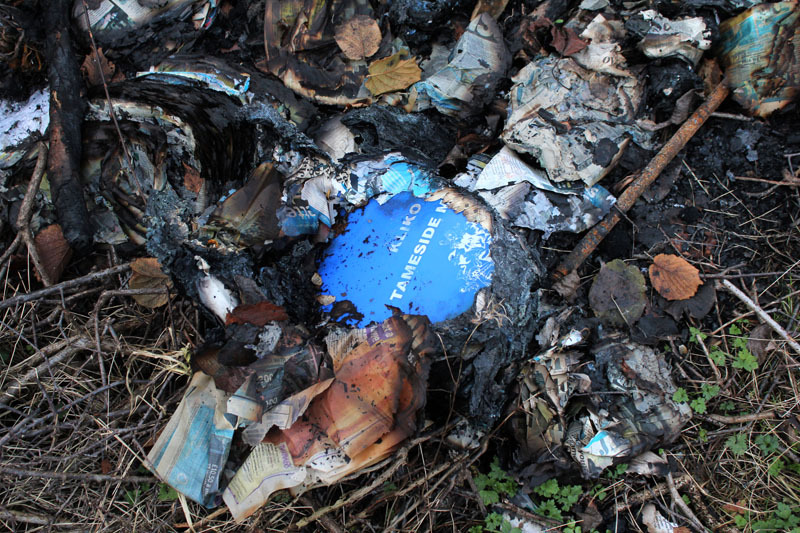 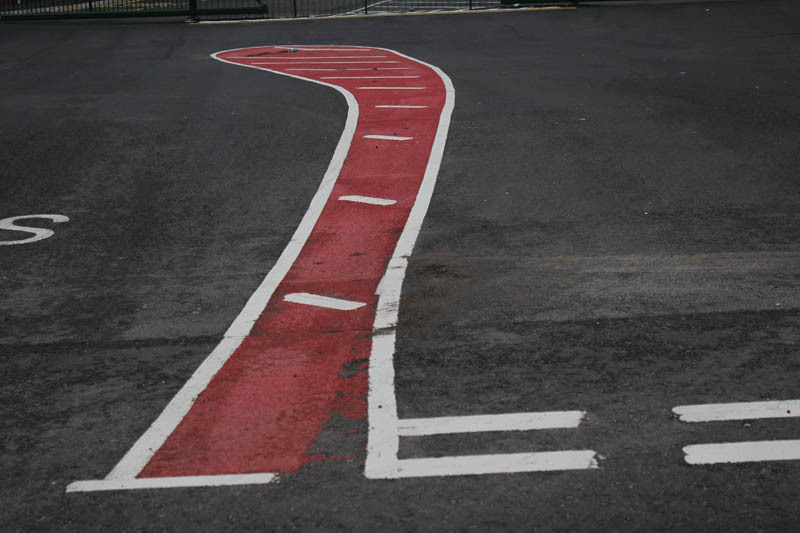 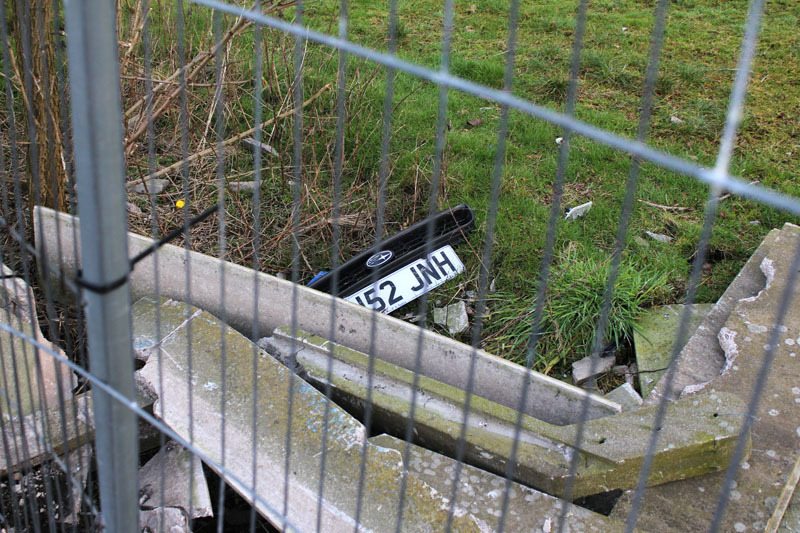 So much for the sign to St.Anne RC Primary…. 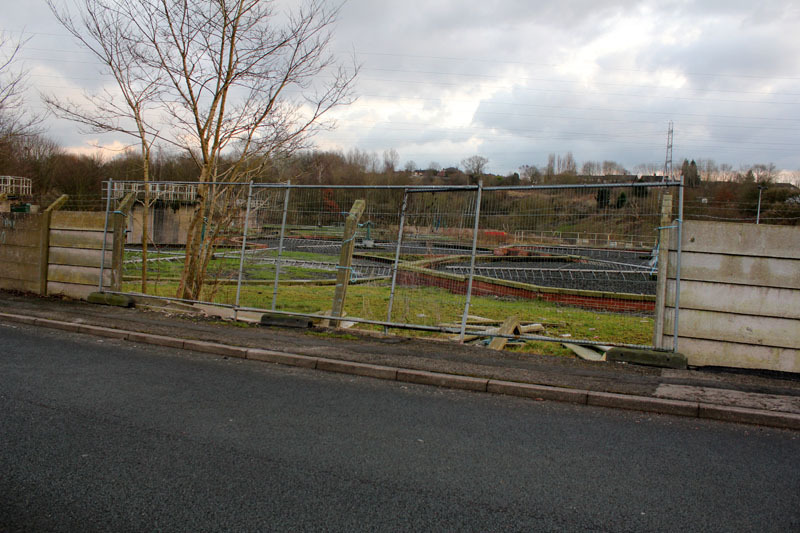 Looking down over the Holt Town Bridge, marking the end of Ashton New Road and the start of Merrill St…. 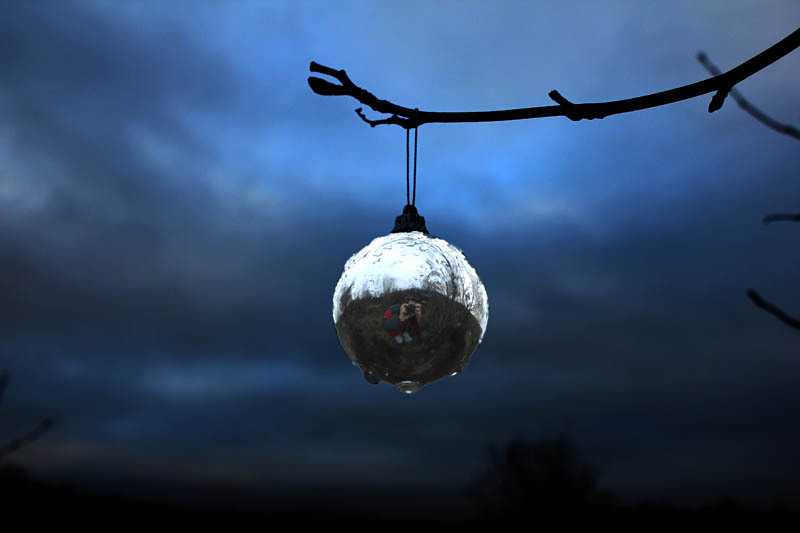 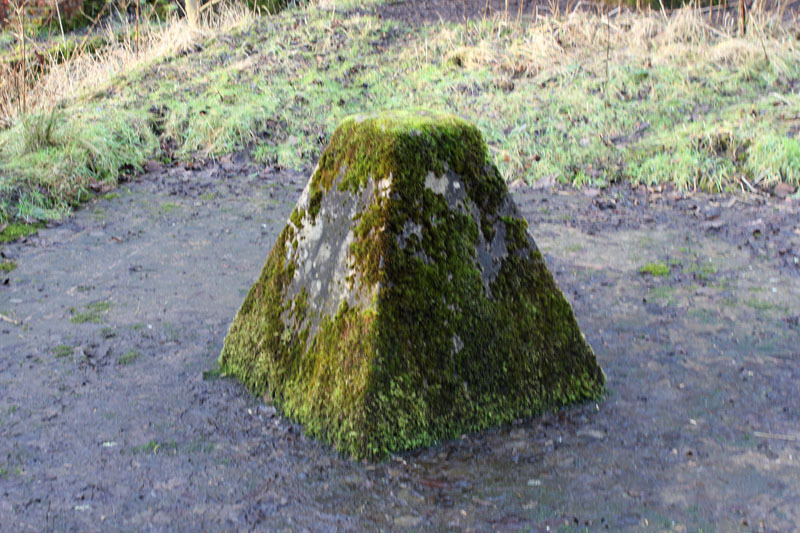 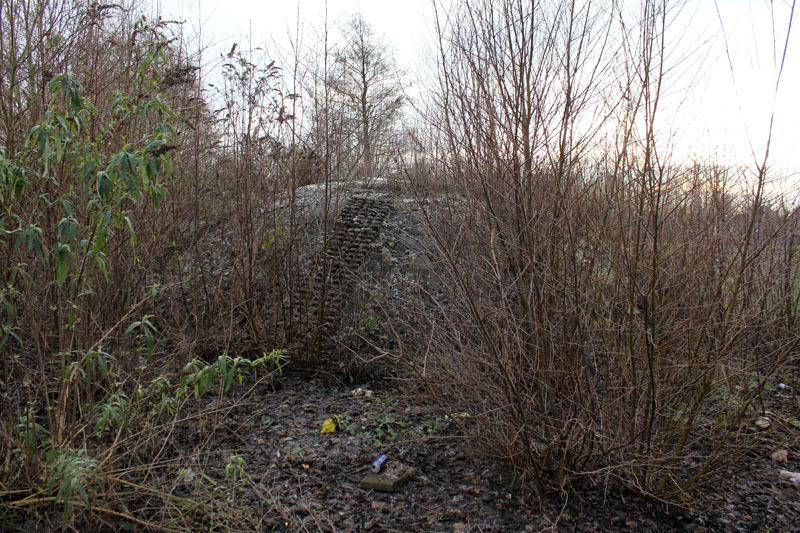 Odd concrete dome….part of playground? 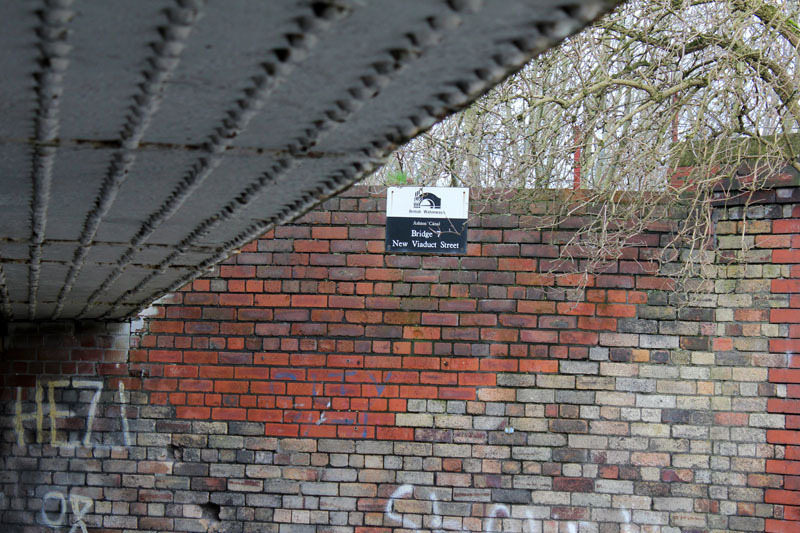 The bridge at New Viaduct Street goes over both the River Medlock and the Ashton Canal. 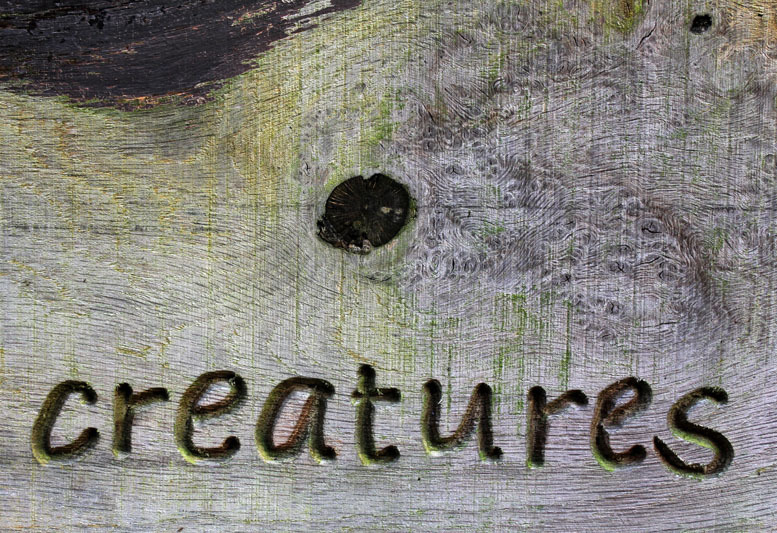 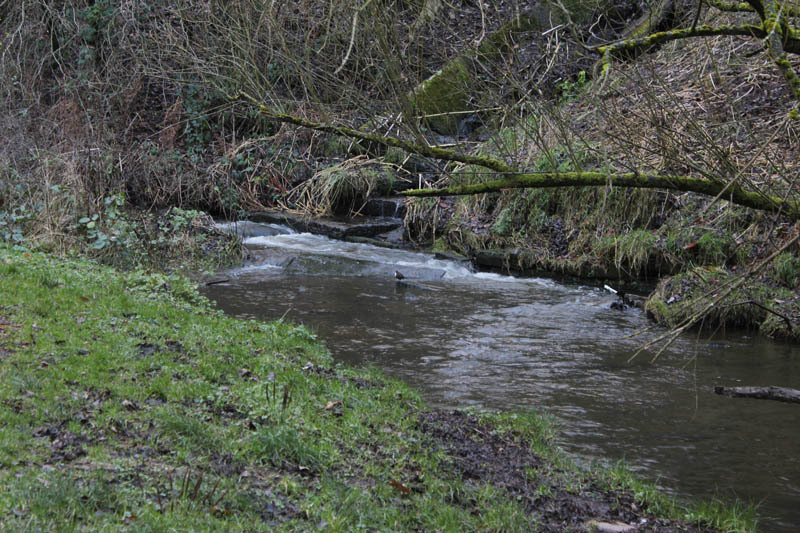 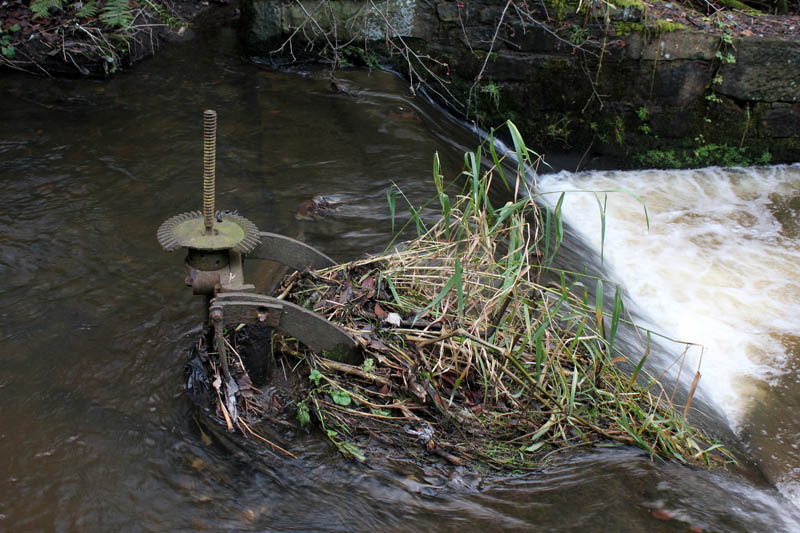 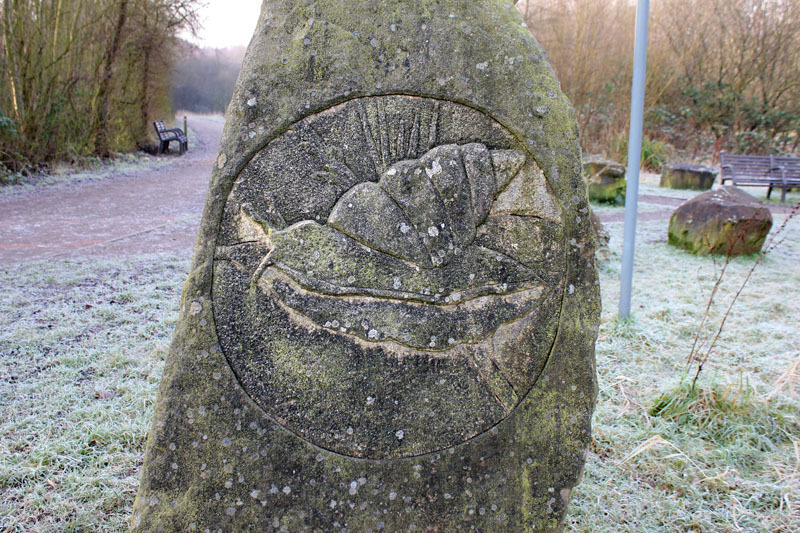 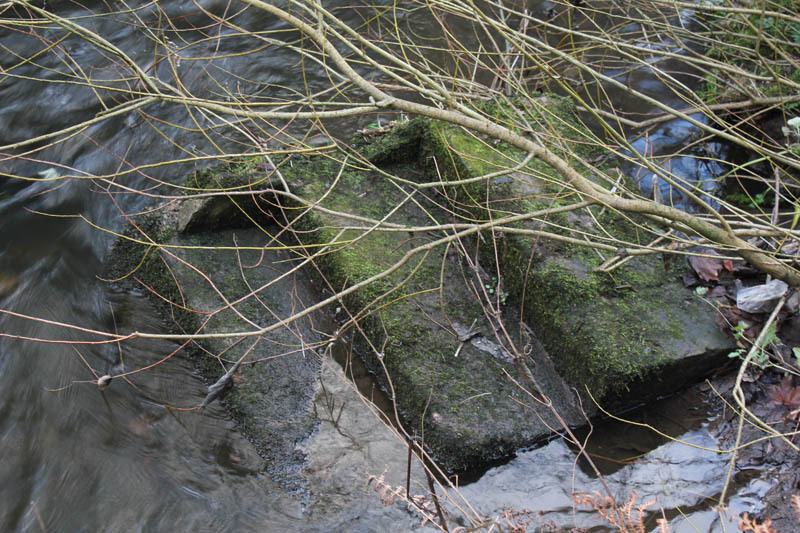 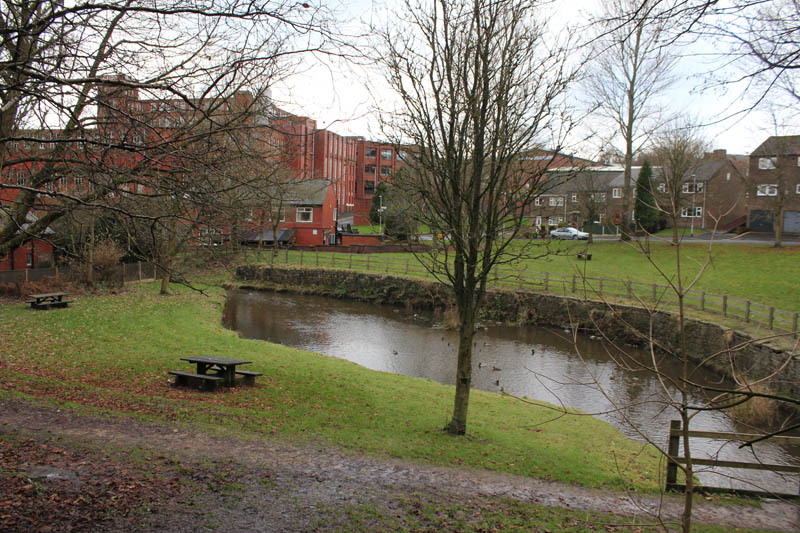 A heron in the Medlock – a good sign: heron = fish…. 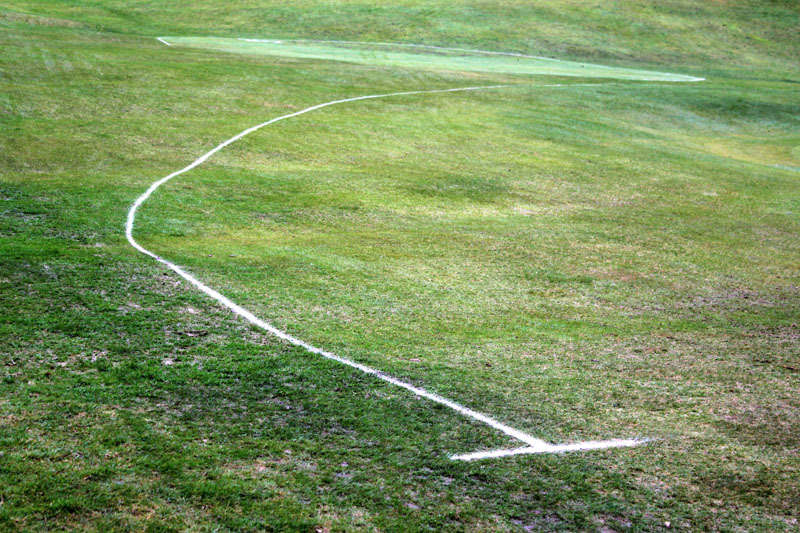 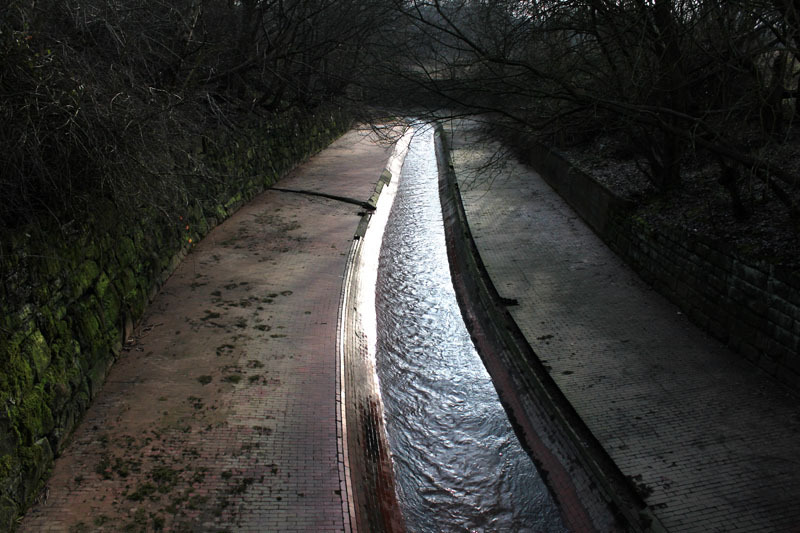 New tramlines over the Medlock….. 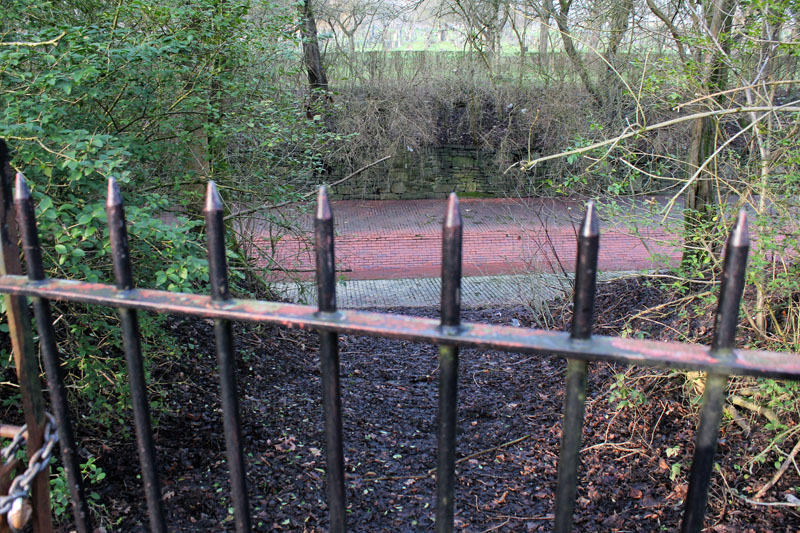 This park had me a bit uneasy…there only one entrance to it and, until the works on the tramway are complete, there is no way out. 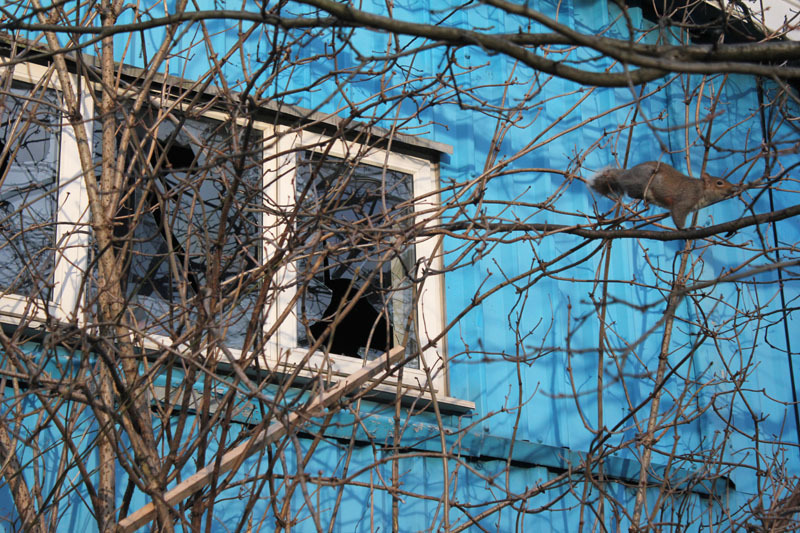 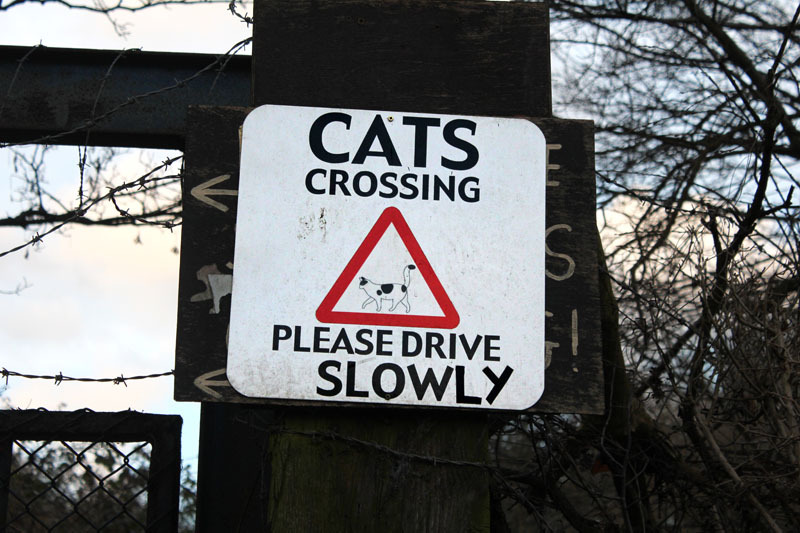 It could be a delightful place with a bit of care. 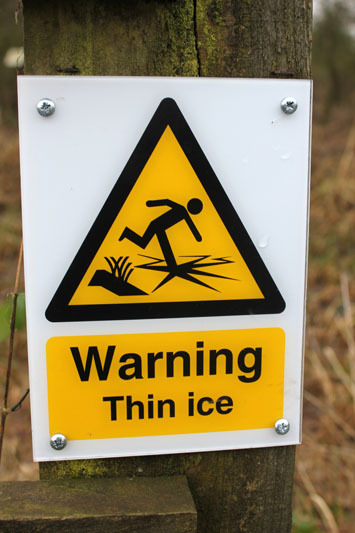 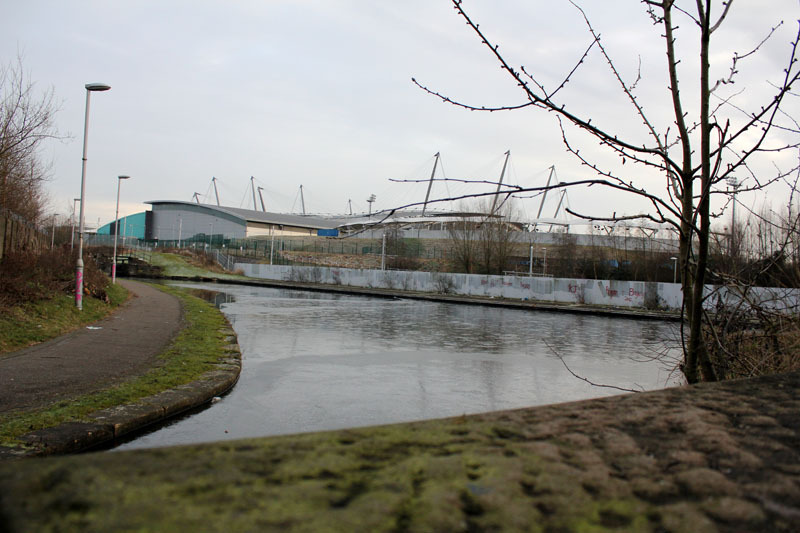 The Ashton canal, frozen over…. 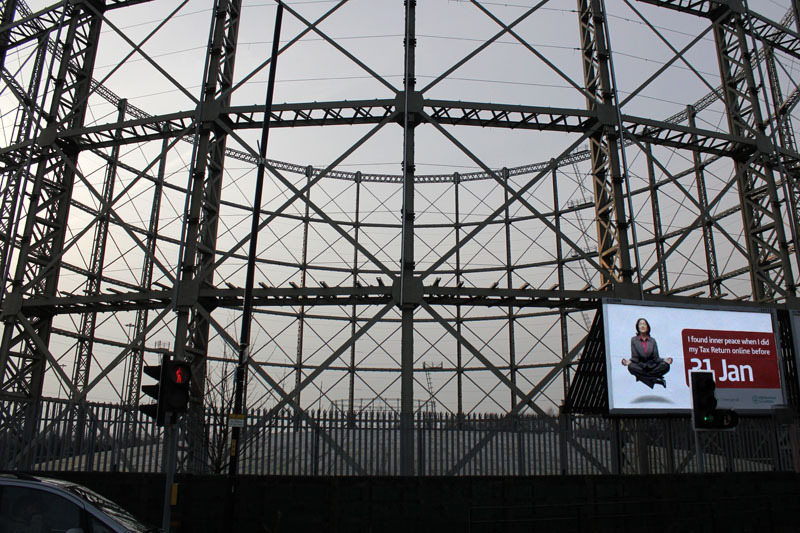 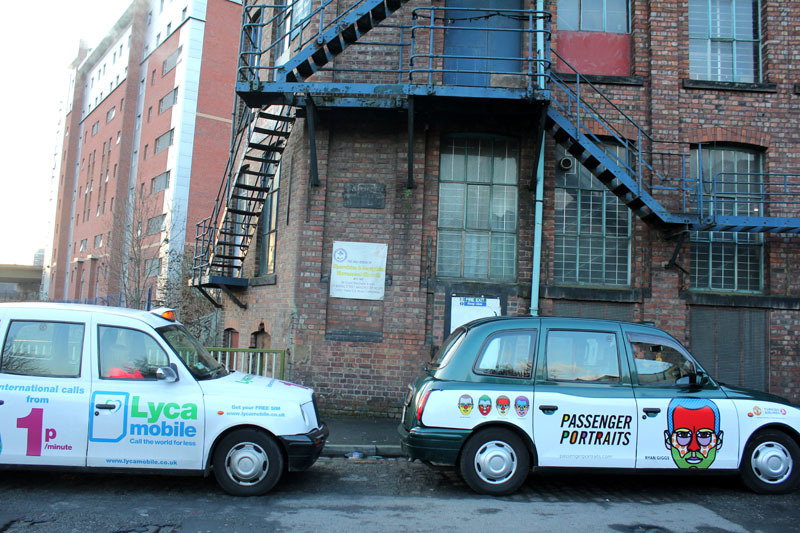 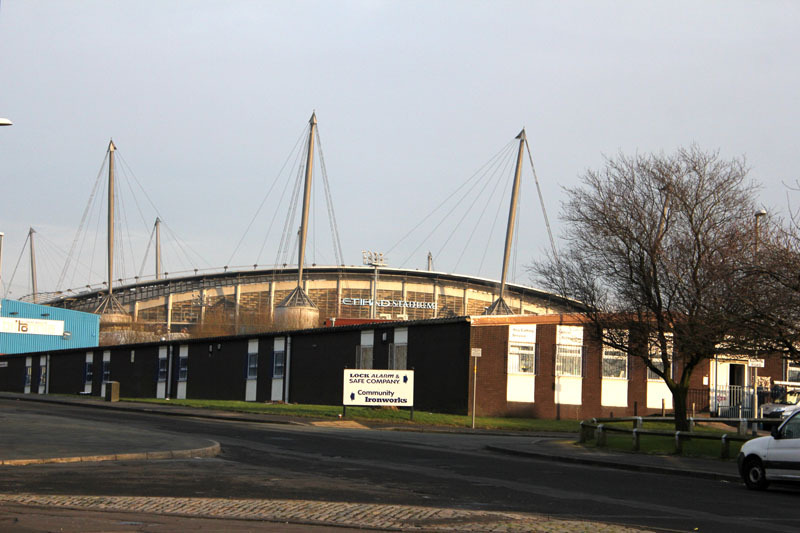 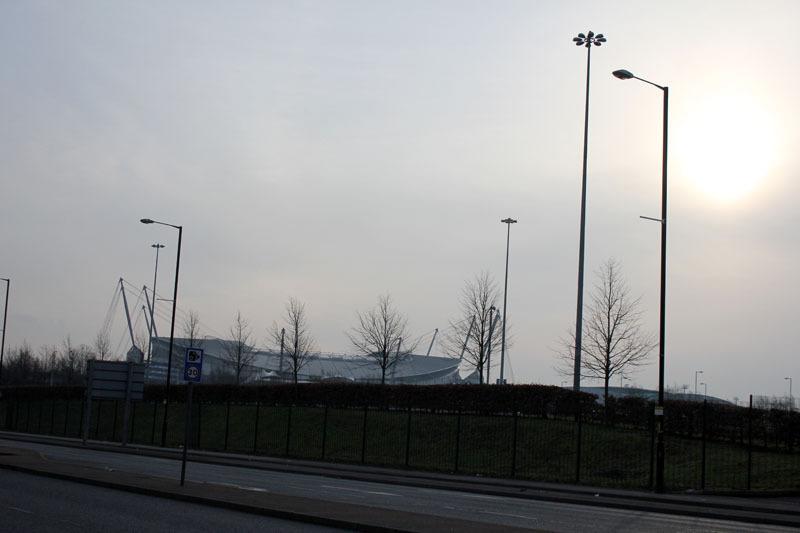 Proximity to Man City Stadium….. 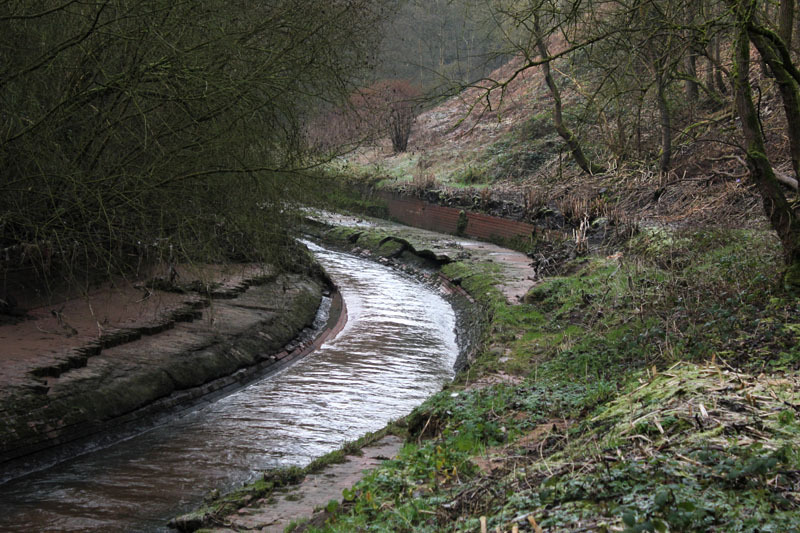 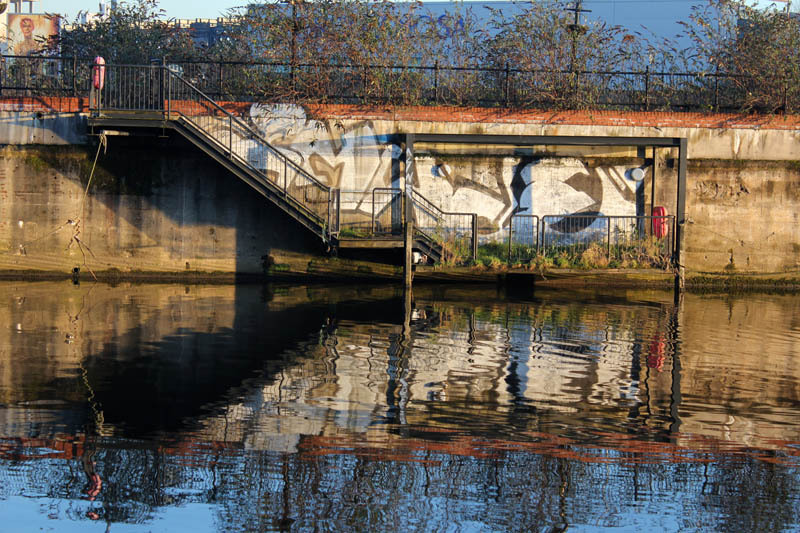 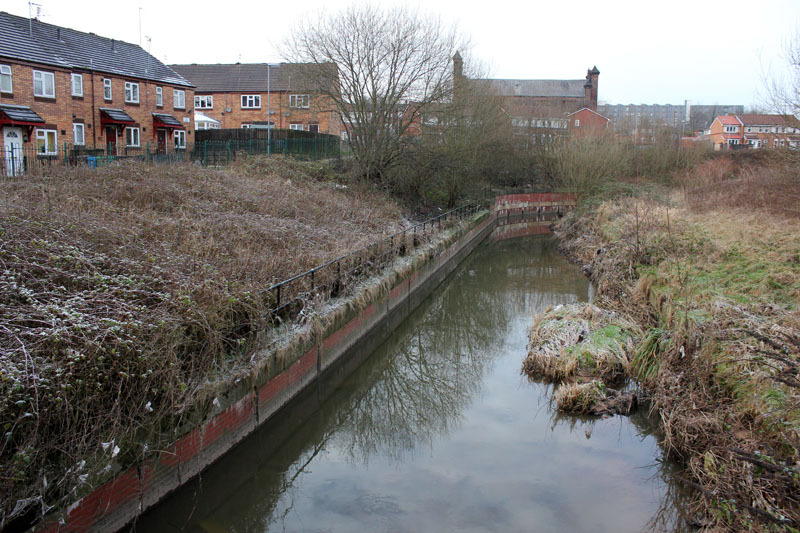 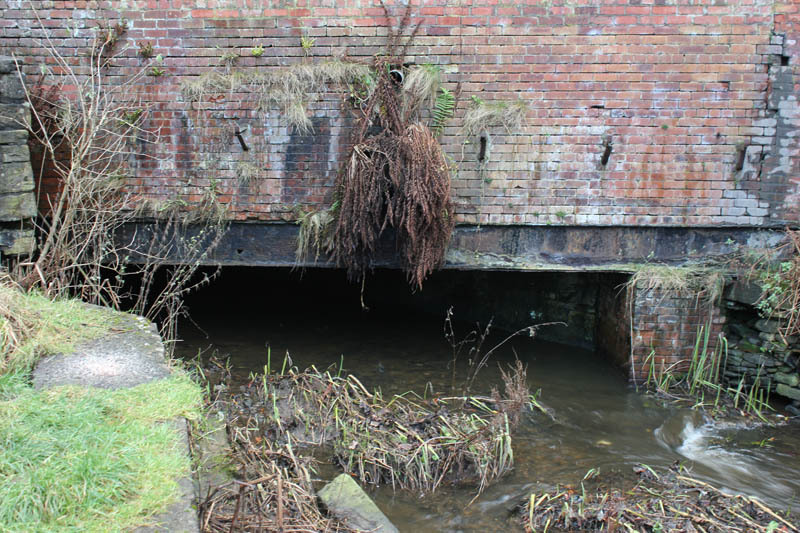 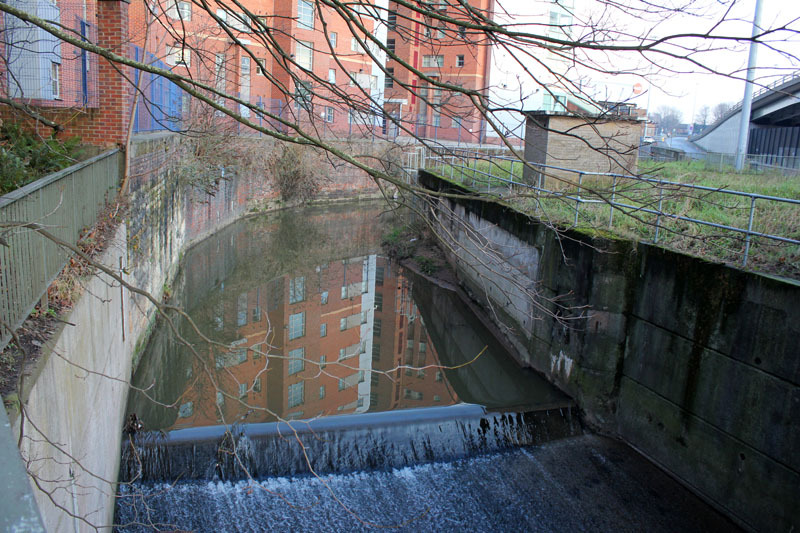 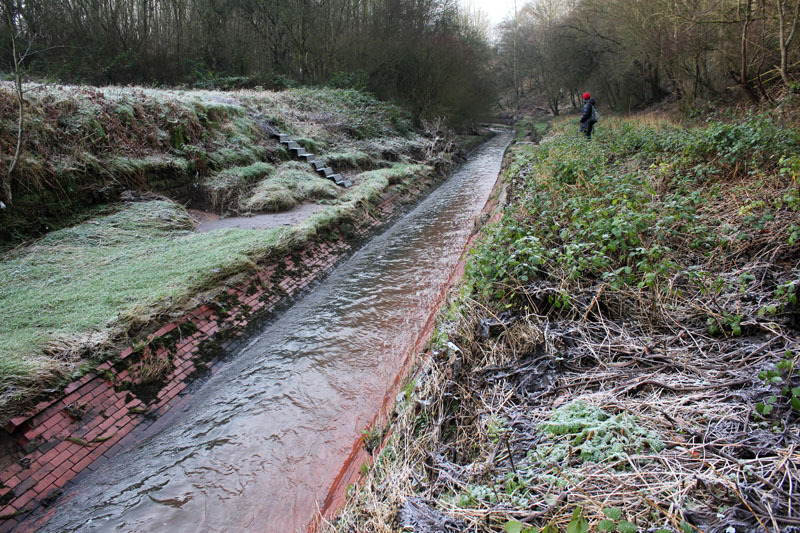 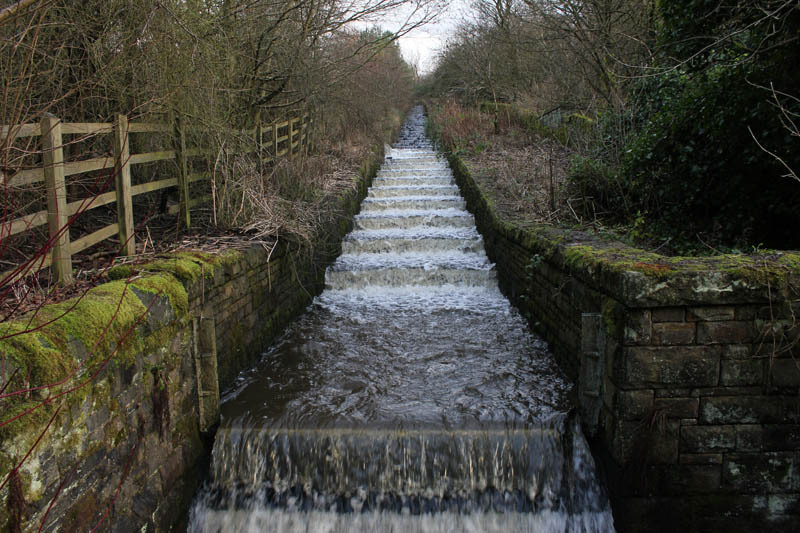 The Medlock flows under the Ashton Canal…. 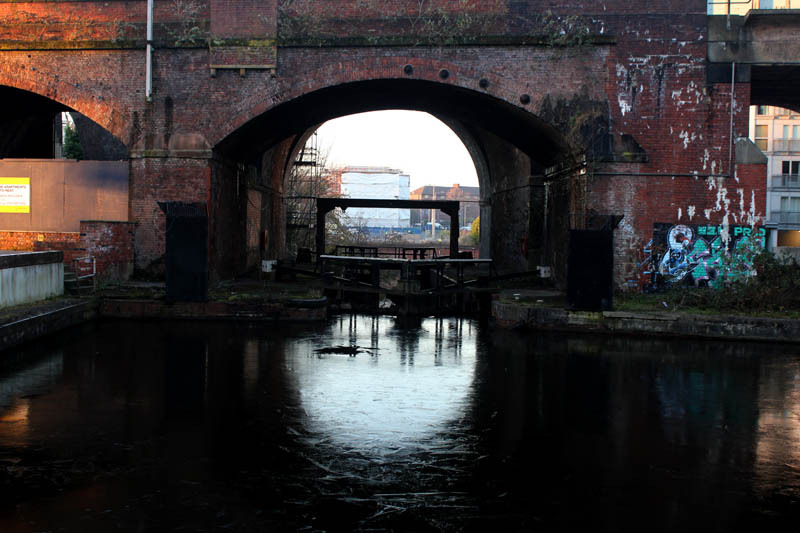 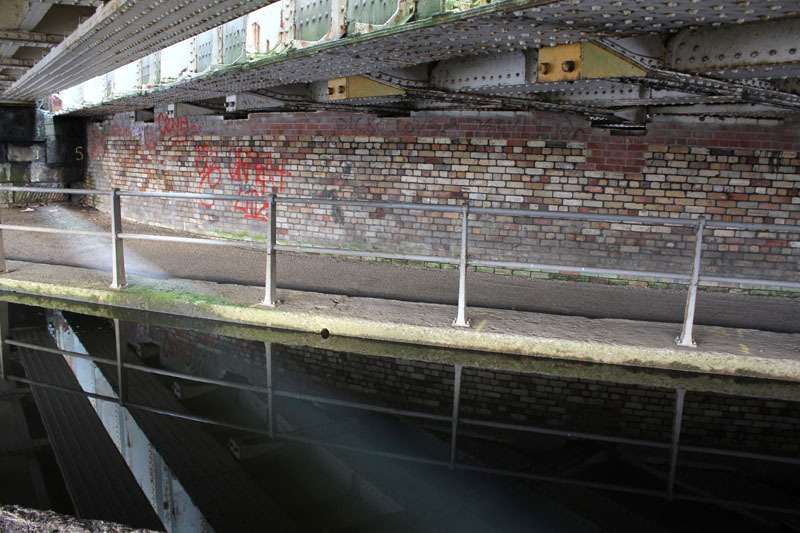 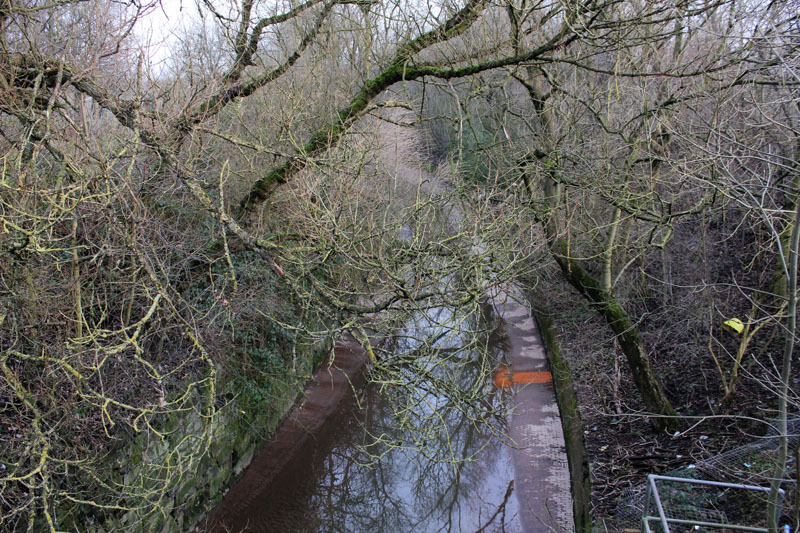 The Ashton Canal flows under the railway and over the Medlock…. 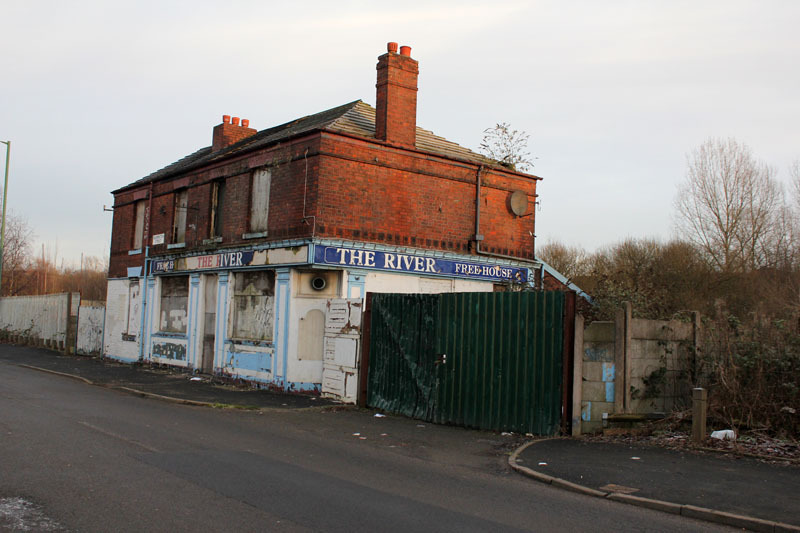 The River Pub on Palmerston Road… (‘River’ i.e. 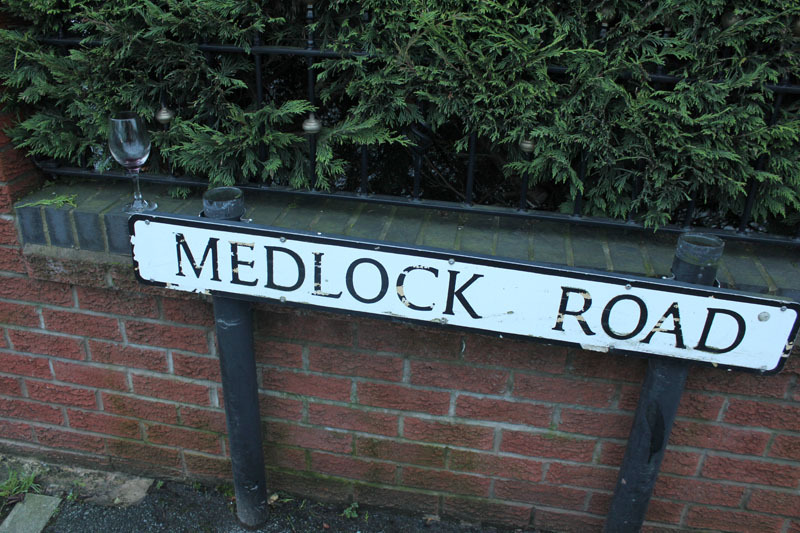 Medlock)…. 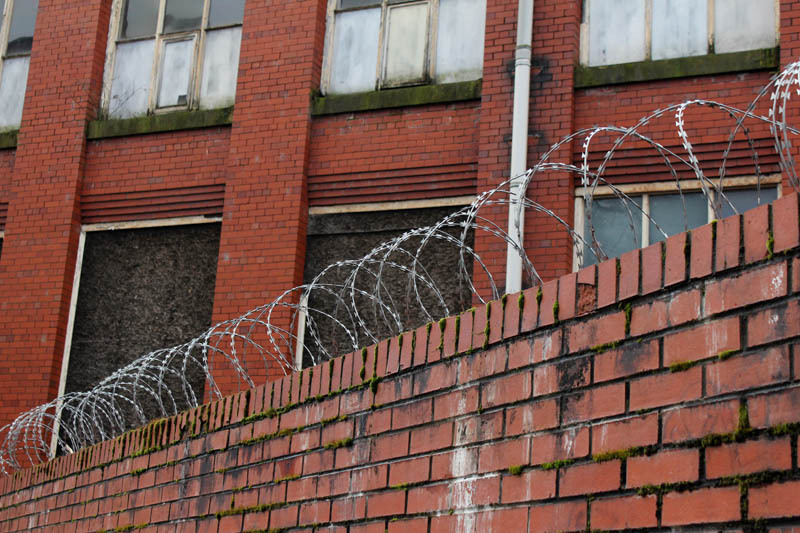 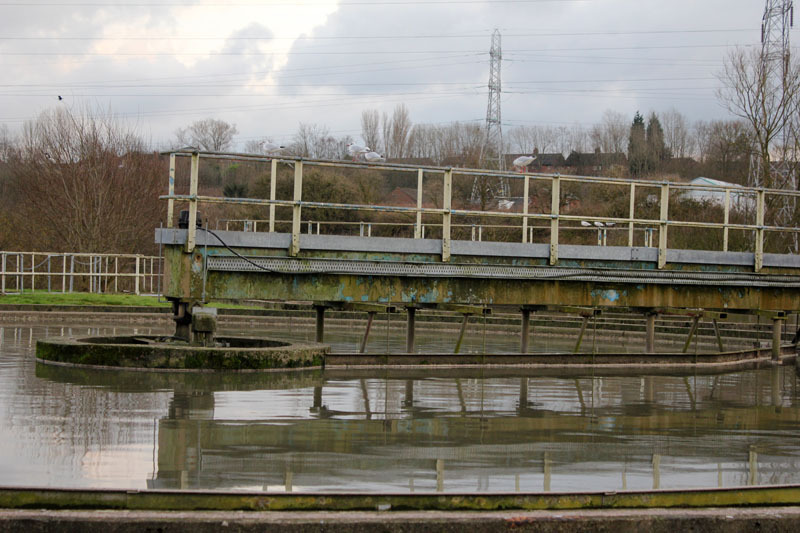 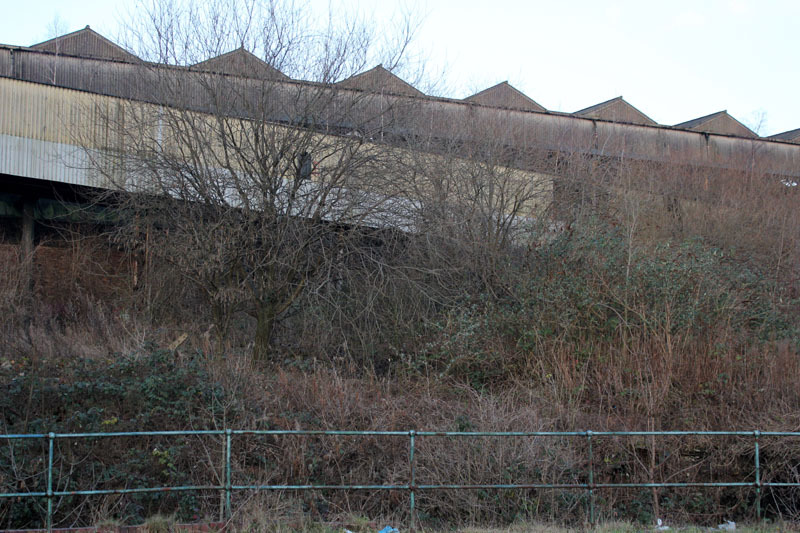 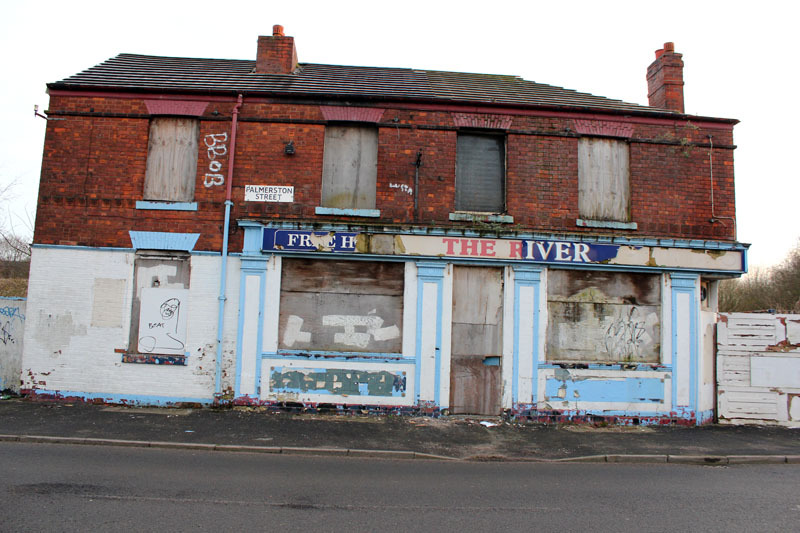 A good article on the demolition of Ardwick Lads Club and mentioning the River pub is here. 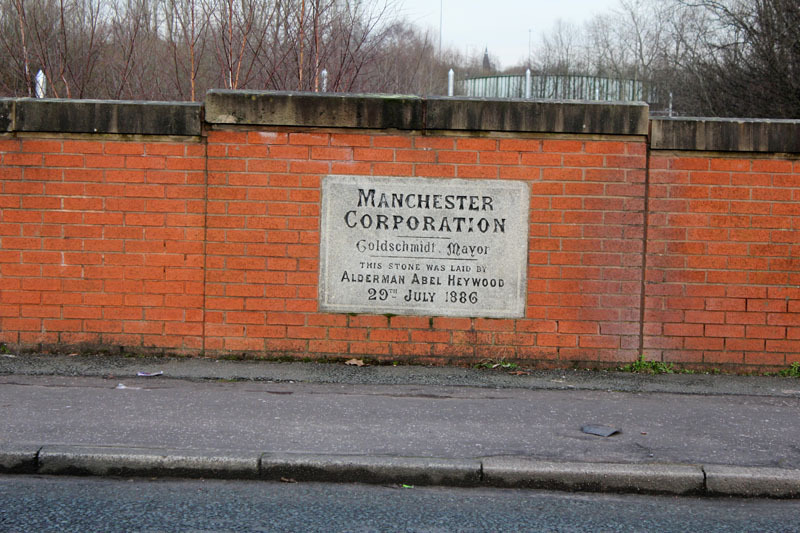 On the 10th September 2012 an application for prior notification of proposed demolition was submitted on behalf of Manchester City Council to Manchester Planning, for the demolition off Ardwick Lads’ Club (Ardwick Youth Centre) of 100 Palmerston Street (M12 6PE), citing that there was “no use” for the building in respect to its historic place within the community as providing a refuge and sporting provision to the young of Ancoats. 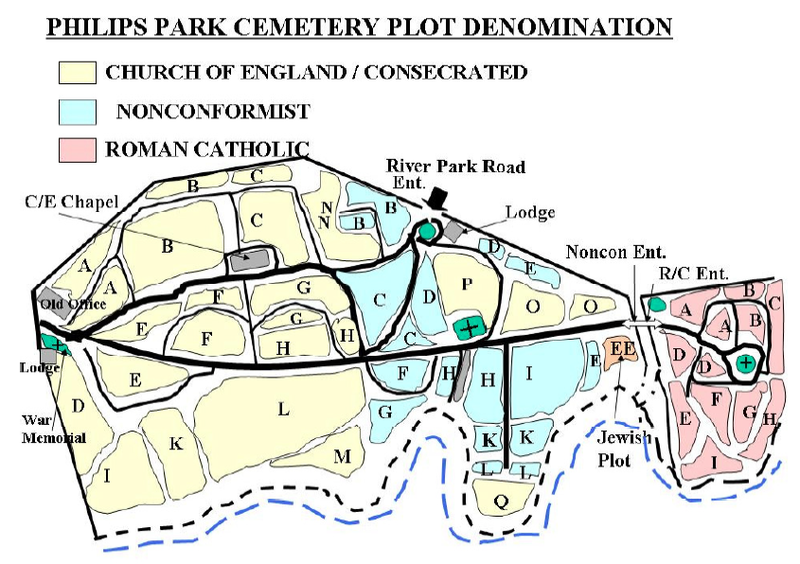 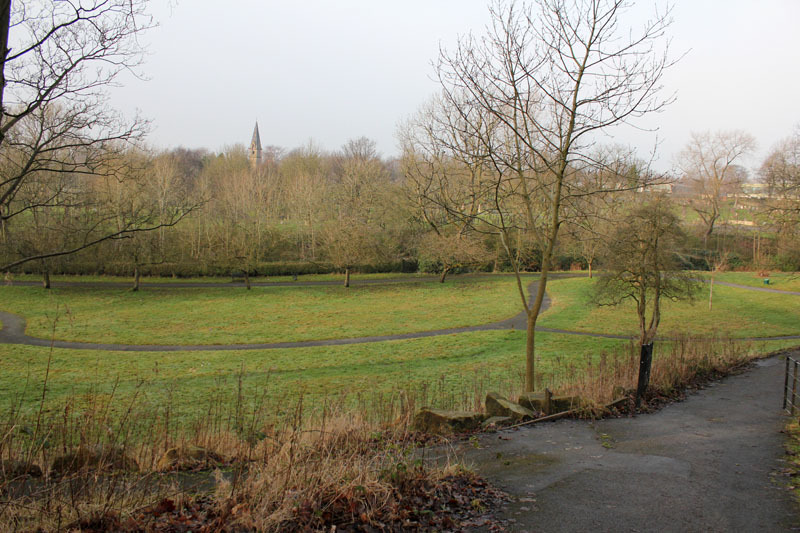 Whilst permission to demolish was “not required” (Decision Letter, 8th October 2012), it begs the questions, was it in the communities best interest to strip an area already critically lacking in its historical and architectural roots and importantly an area that already has little or no sporting or community provisions. 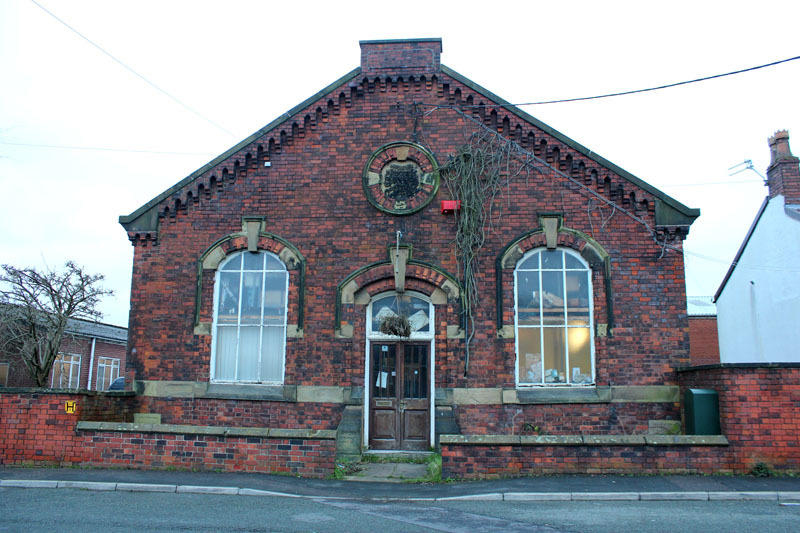 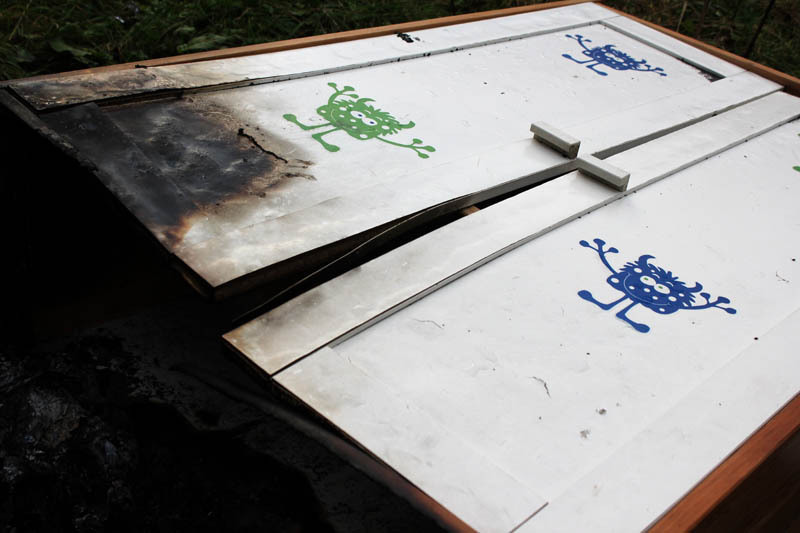 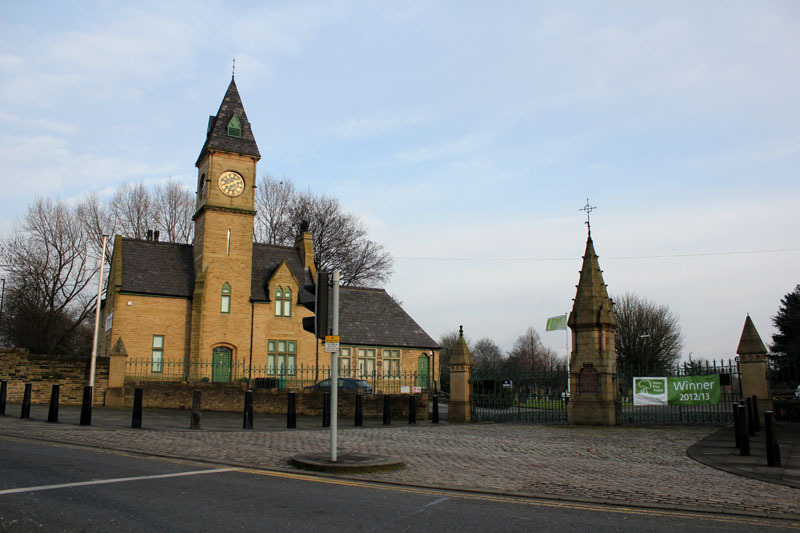 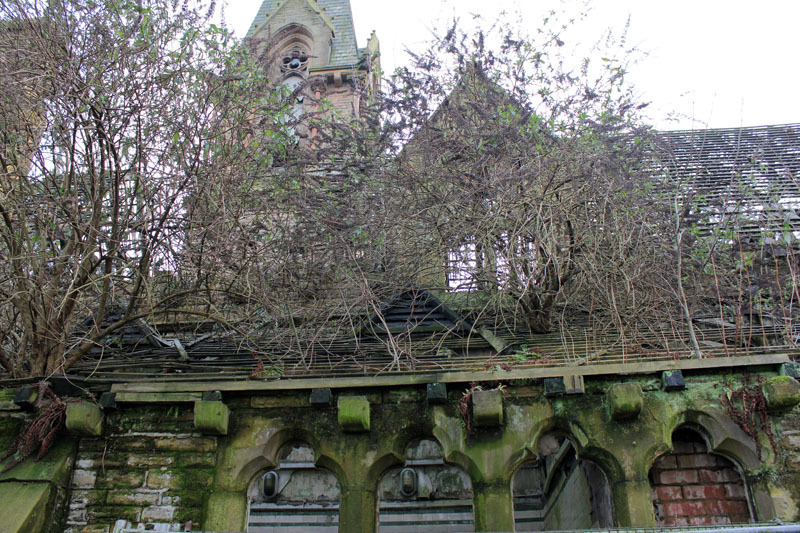 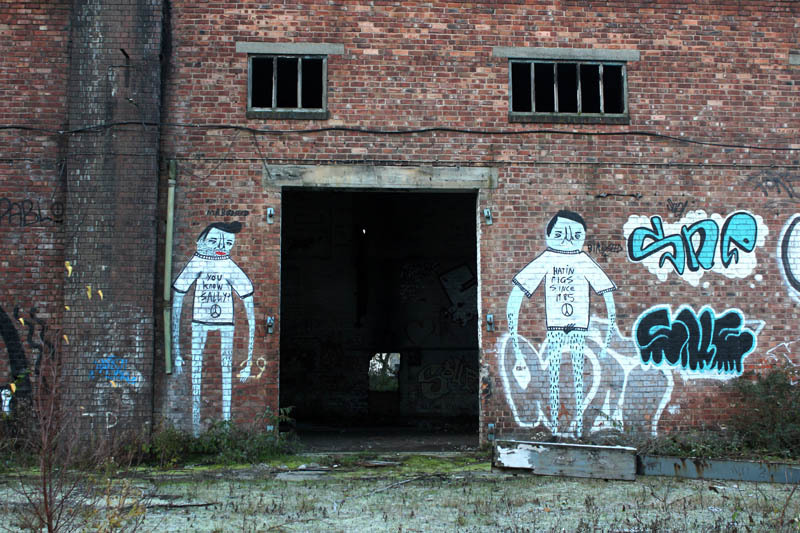 A last ditch attempt to save and spot list Ardwick Lads Club on historical and architectural grounds was dismissed by English Heritage and backed by theSecretary for Culture Media and Sport, with no attention paid to local significance or importance. 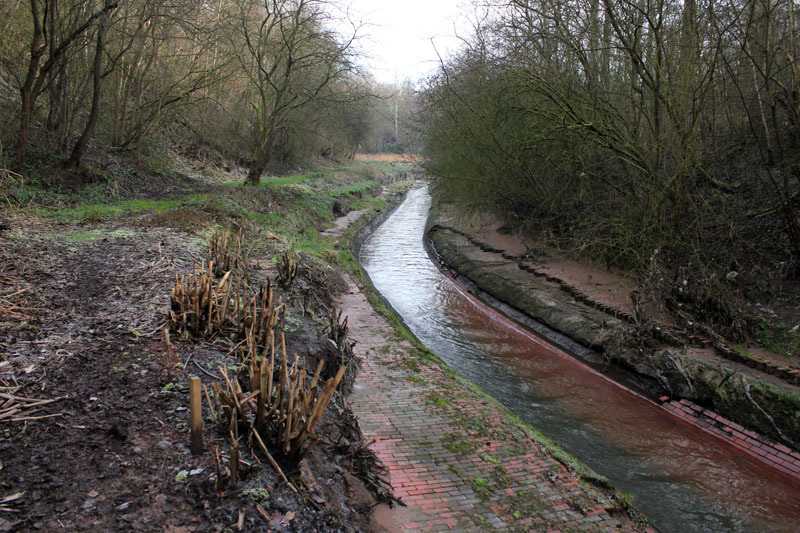 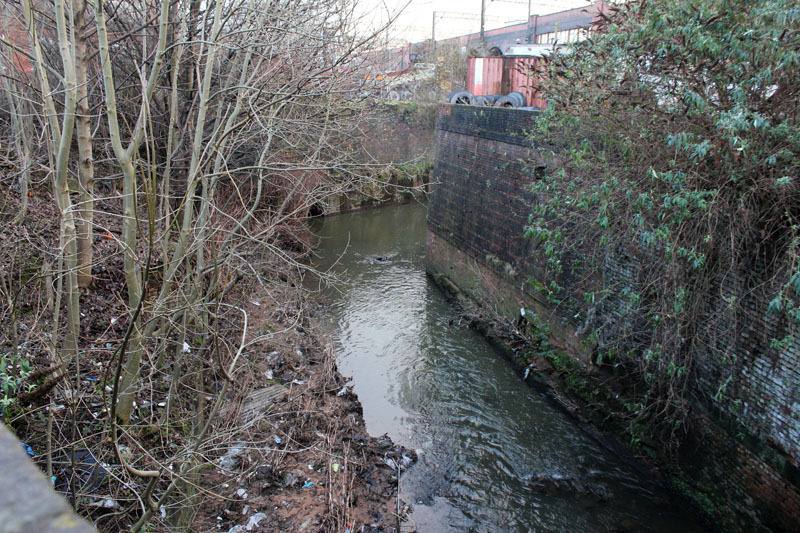 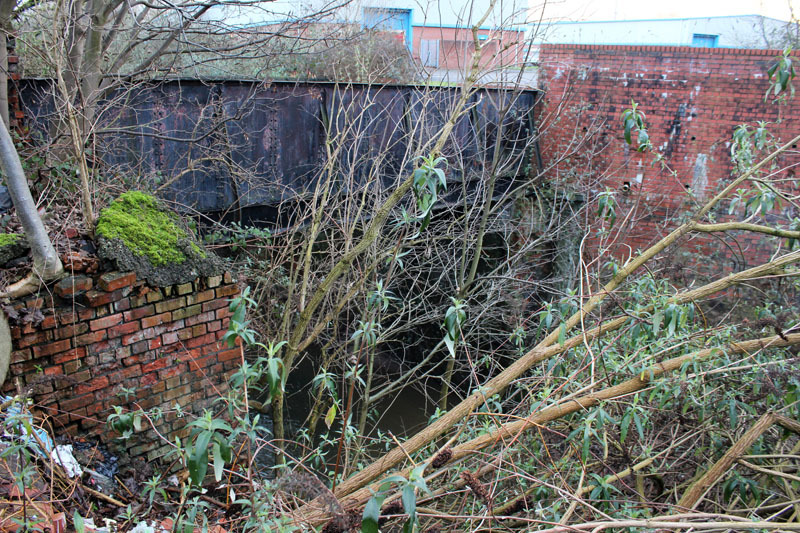 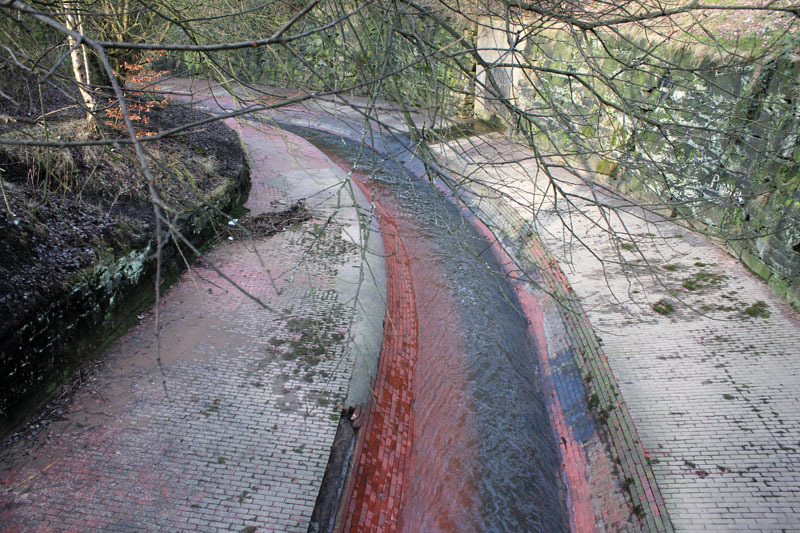 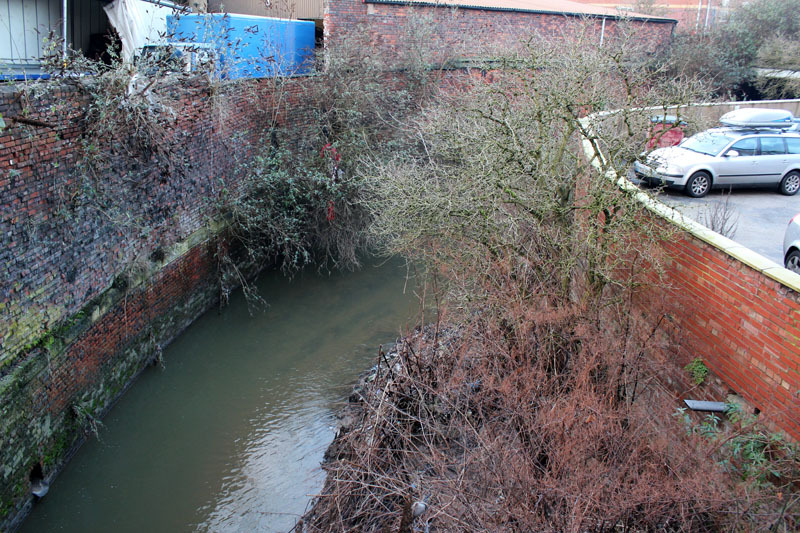 This area is the most chopped up, culverted and dark section of the River Medlock. 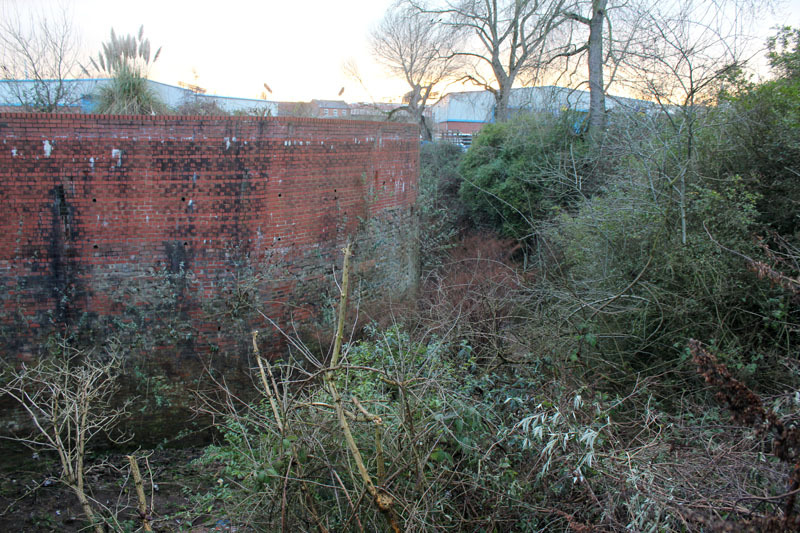 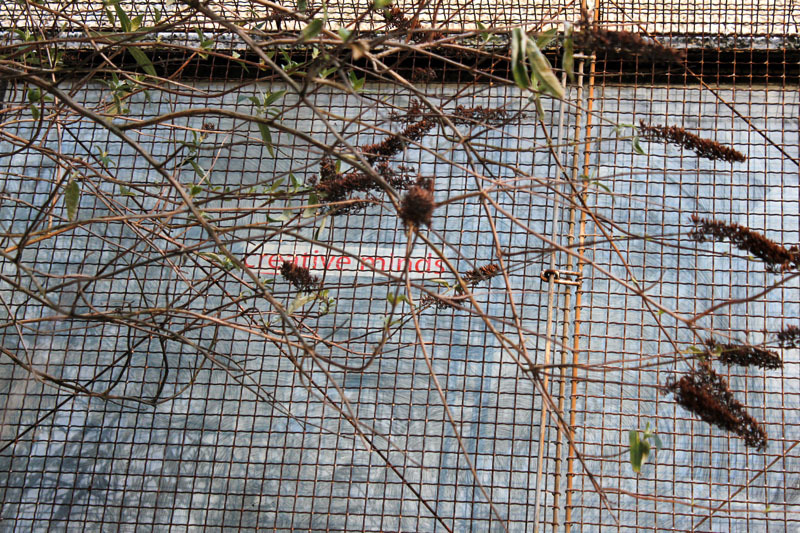 As with most of the river in the city, the access and viewing points are hidden, hard to find and unwelcoming. 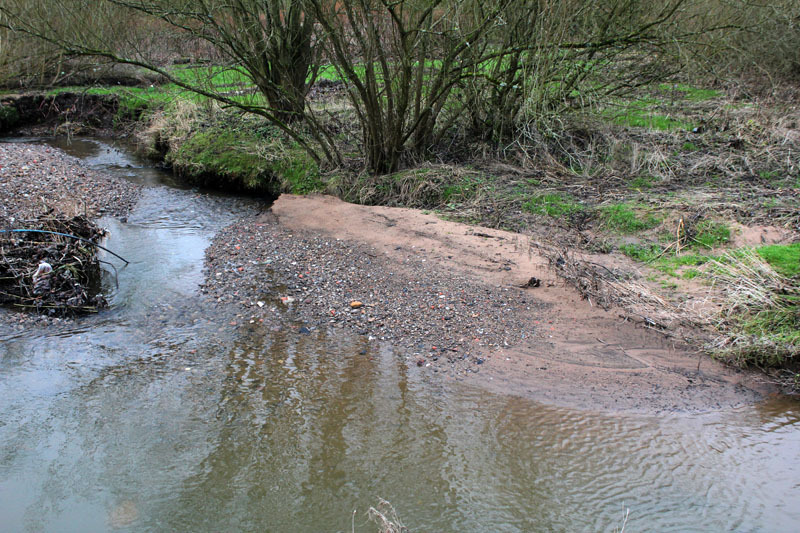 To anthropomorphise a little, I would say the river here is depressed and unseen – even unwanted. 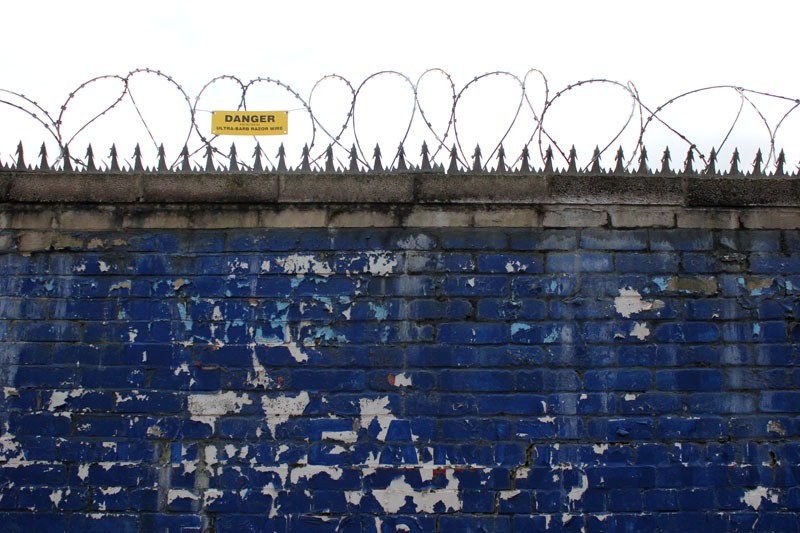 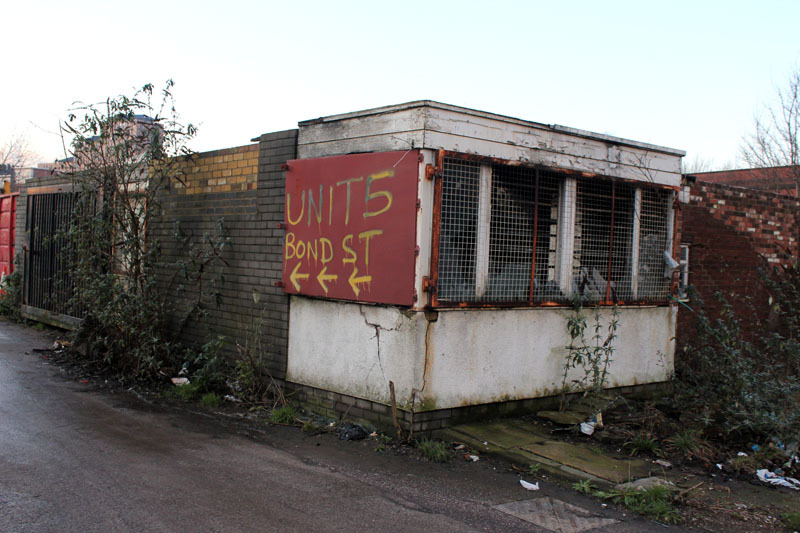 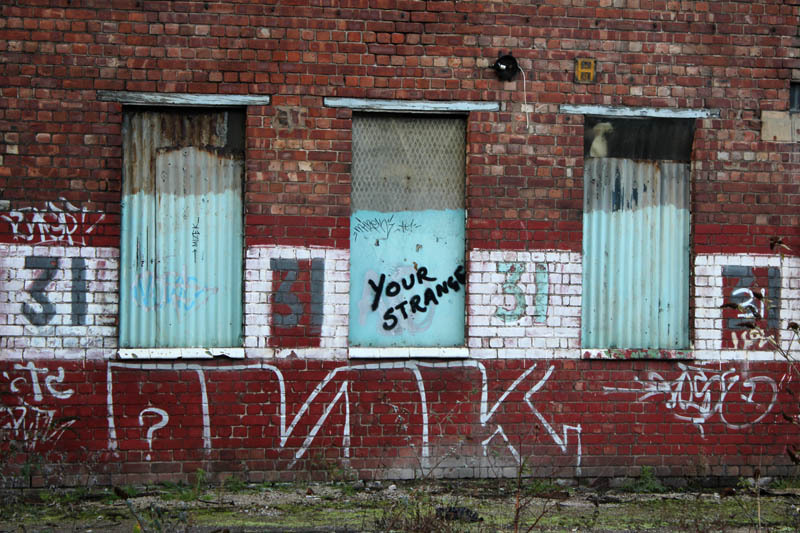 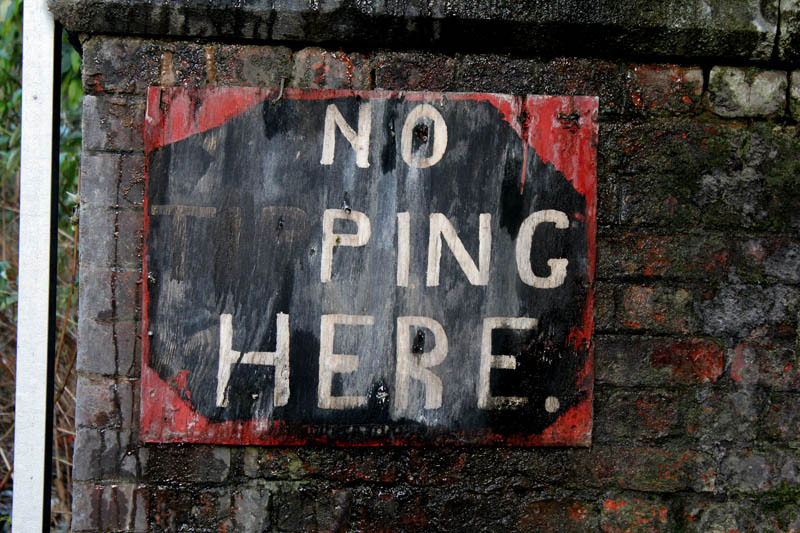 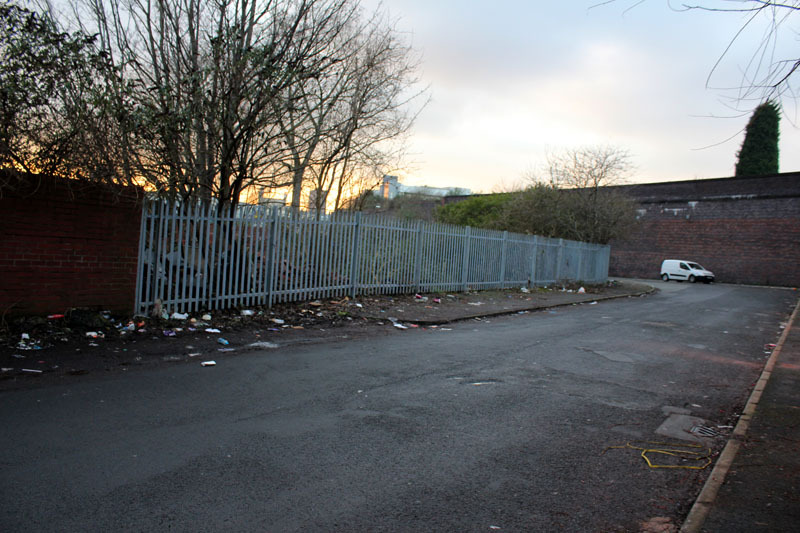 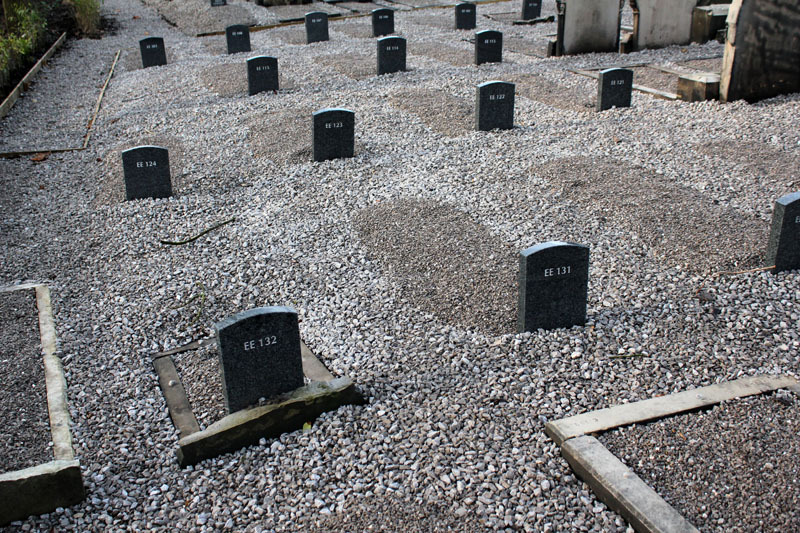 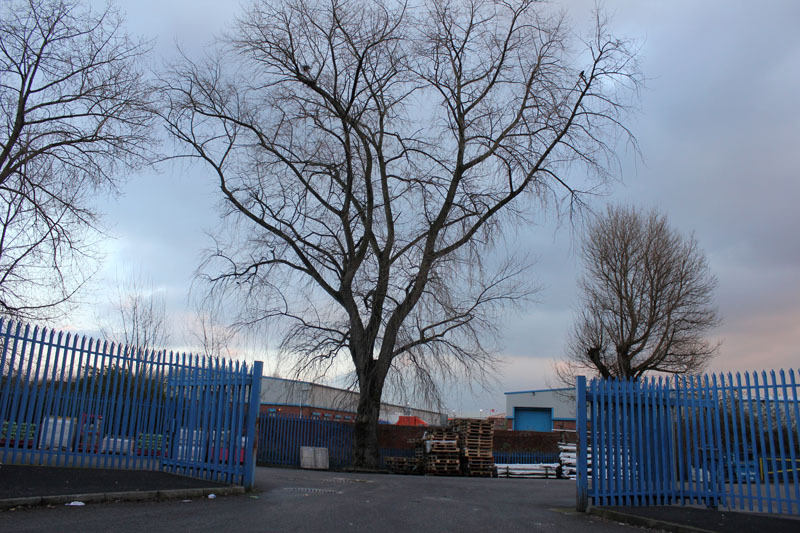 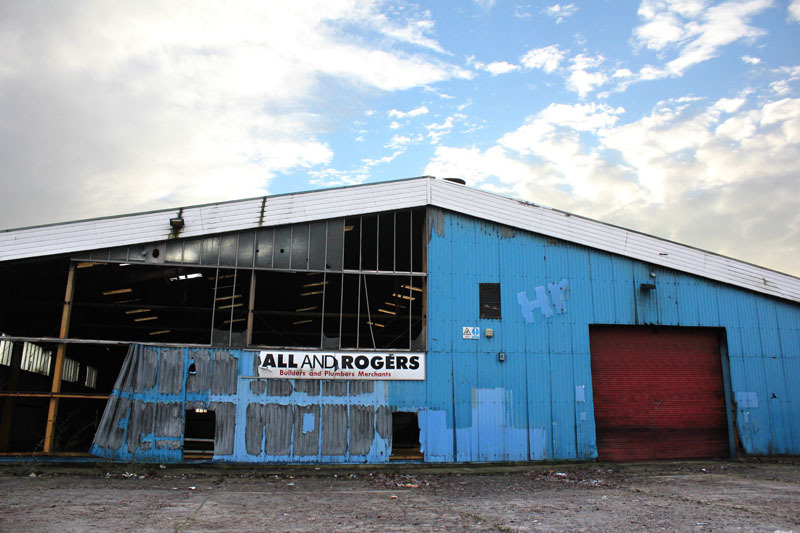 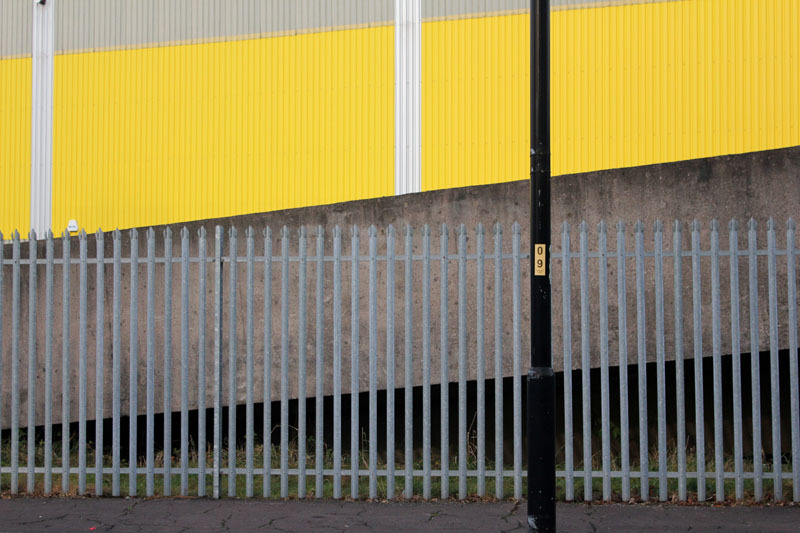 The Bond Street and Baring Street industrial estates are seedy, grim sites. 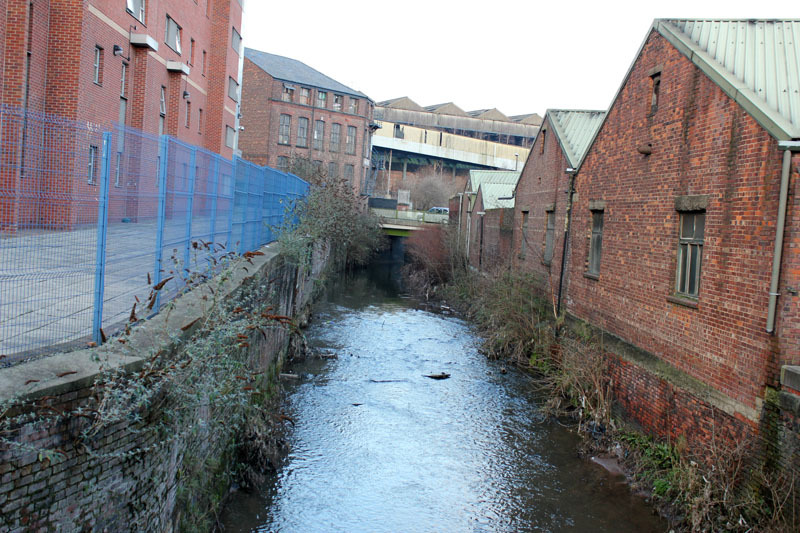 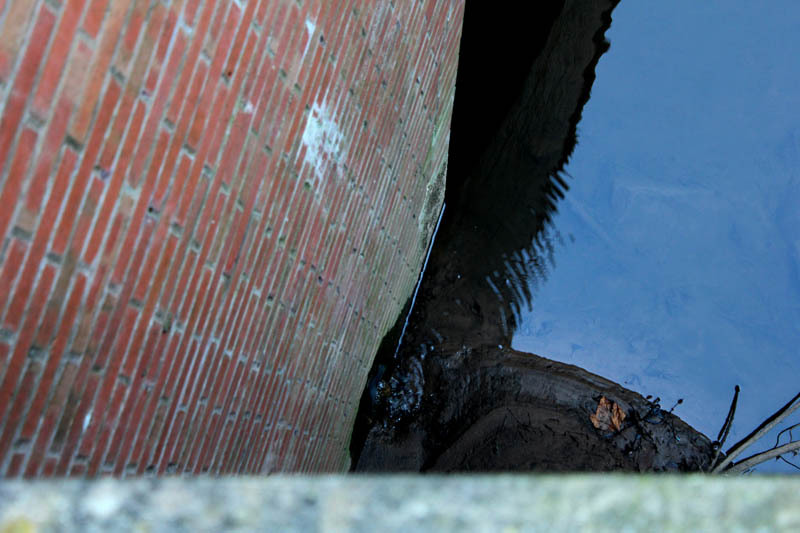 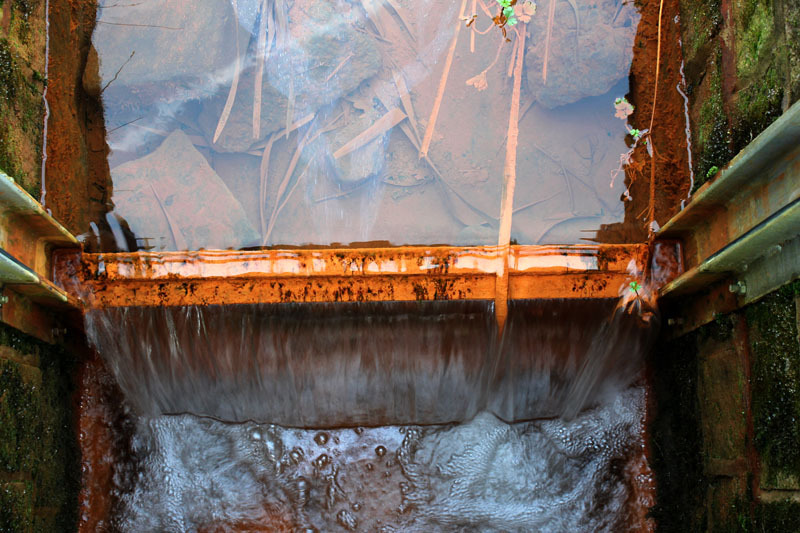 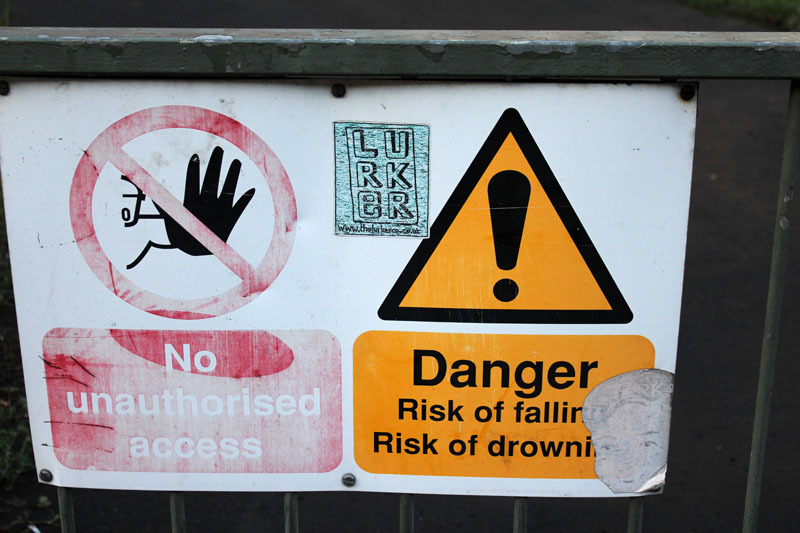 The river flows under many of the warehouses and businesses – silent and apologetic. 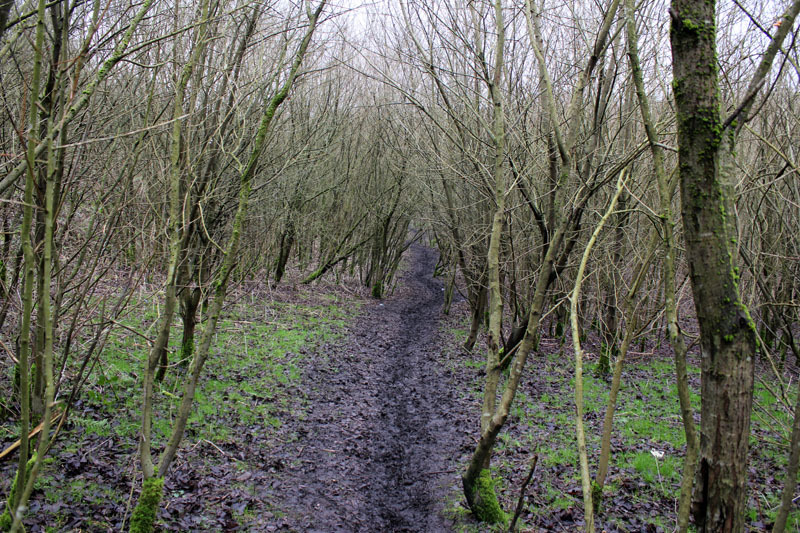 For most of the walk I felt uneasy. 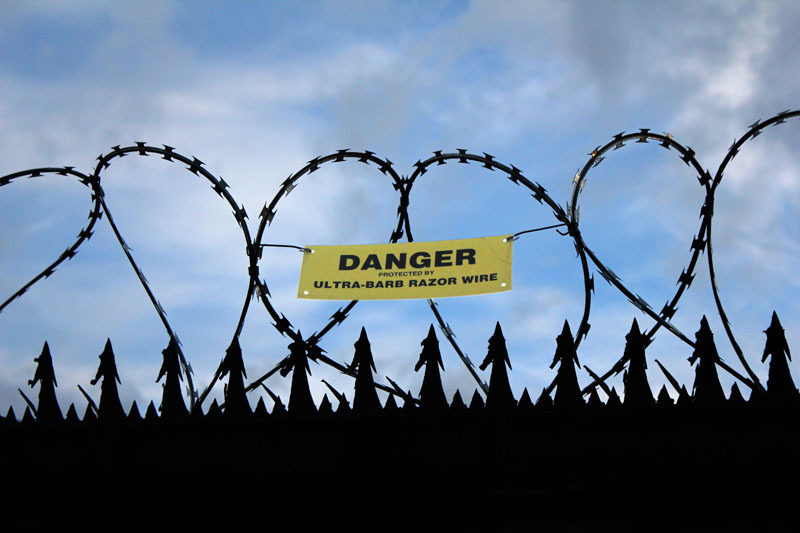 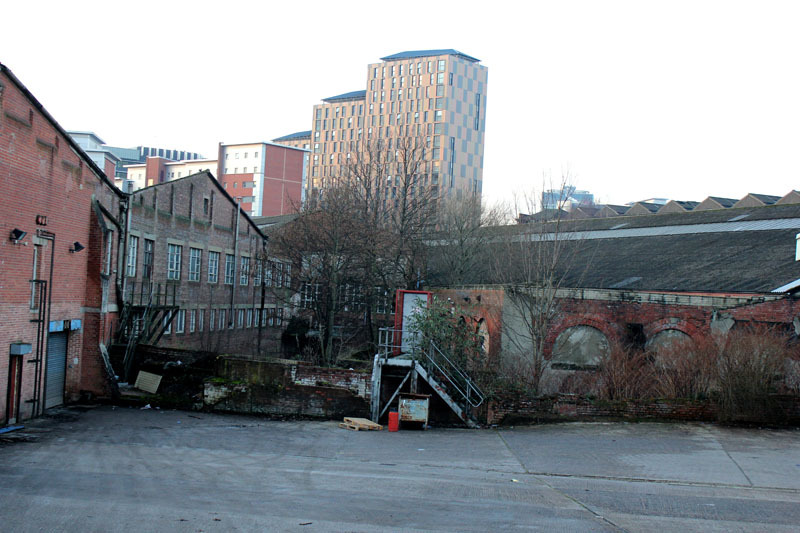 This is an urban landscape of dodgy deals, broken bricks, muddy car parks, prostitution, and lurking danger. 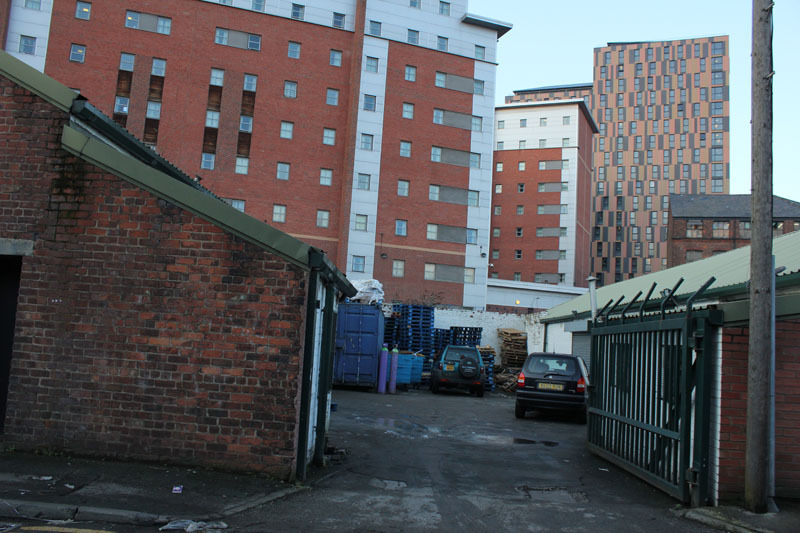 Starting from Berry St and the back of the Macdonald Manchester Hotel (previously the BT building. 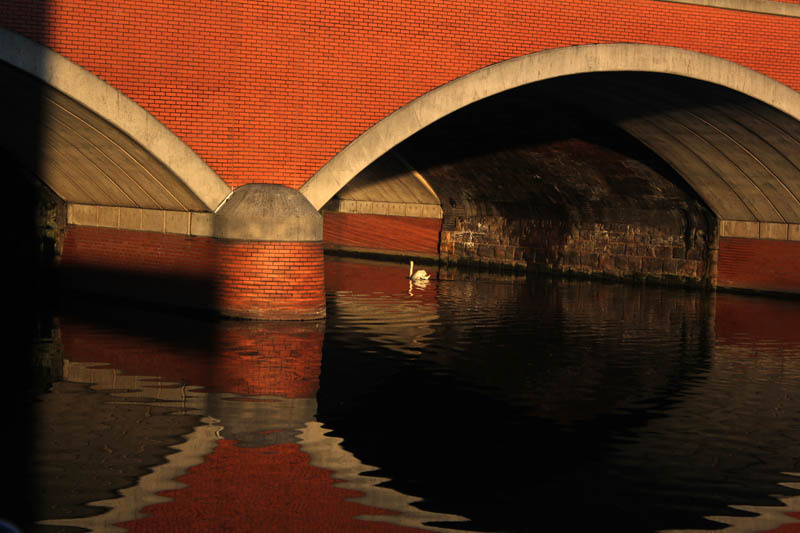 Architect J L Hammond). 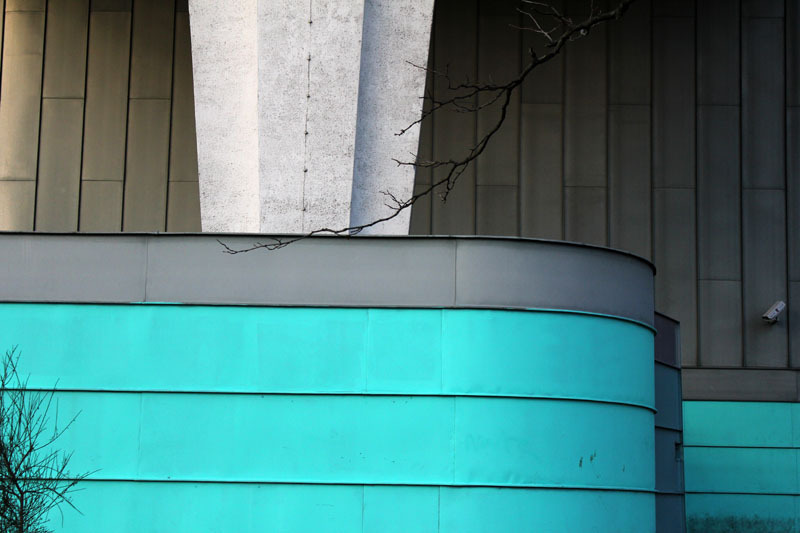 Just visible, through the pillars, is the Holloway Wall – a curious piece of brutalist modernism acting as a work of art and also a sound barrier for the old UMIST site. 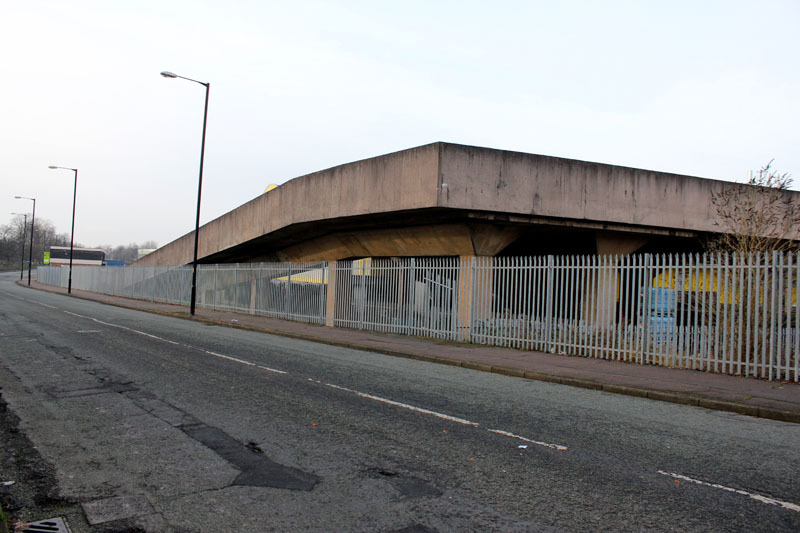 Here is a video of Steve Millington from the Manchester Modernist Society talking about this area…. 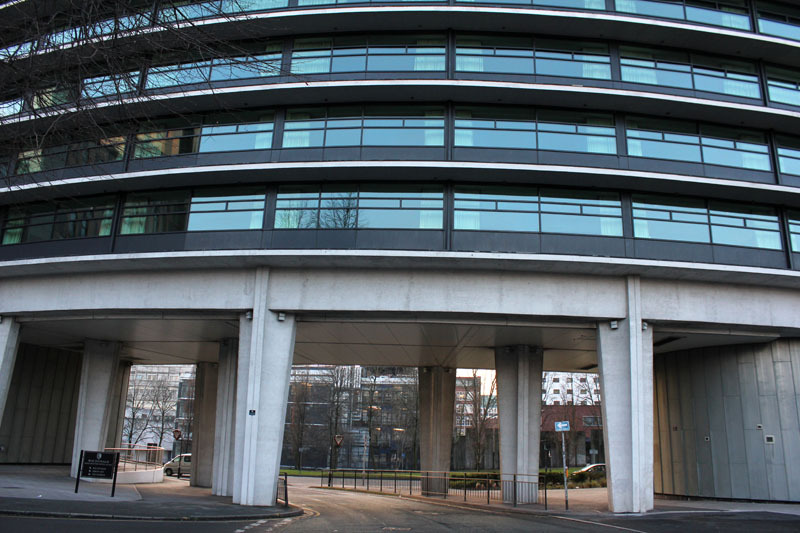 Victory House, later Telecom House, was completed in 1973 and designed by architect J L Hammond. 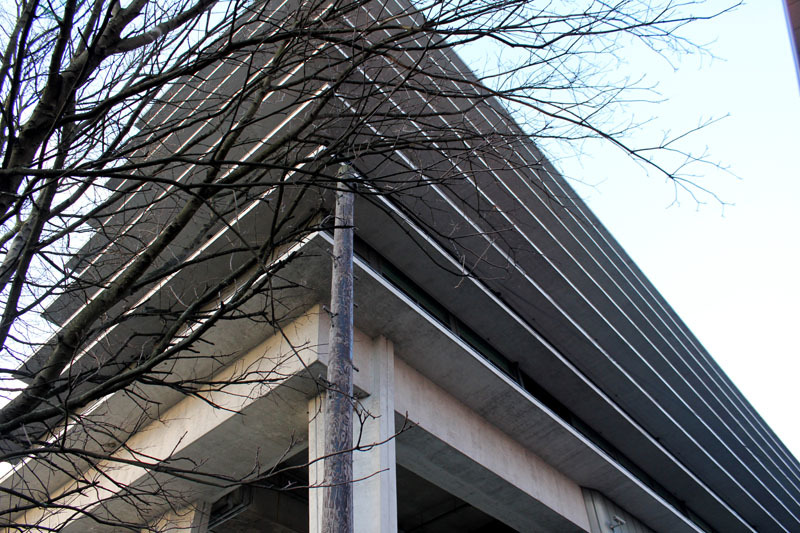 The building was originally intended to be a hotel. 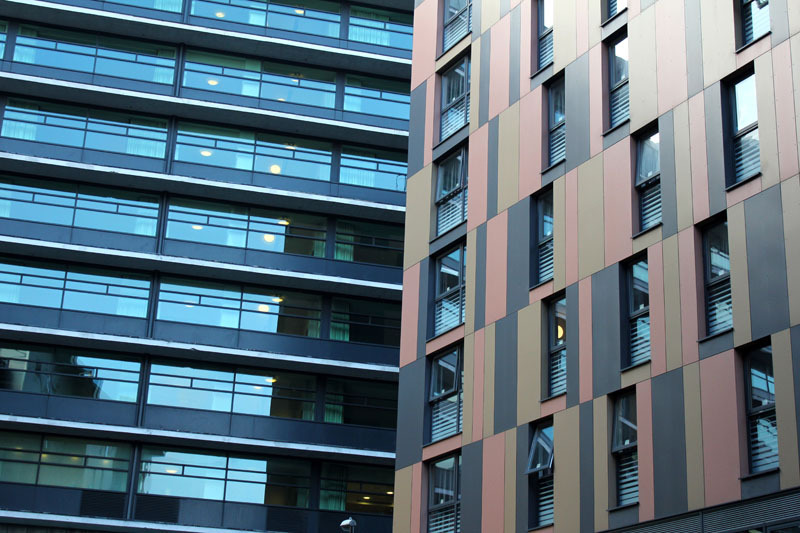 At that time, tax relief was given to hotel builders, but shortly before it was due to open, the legislation changed, and the developer was forced to adapt it for office use. 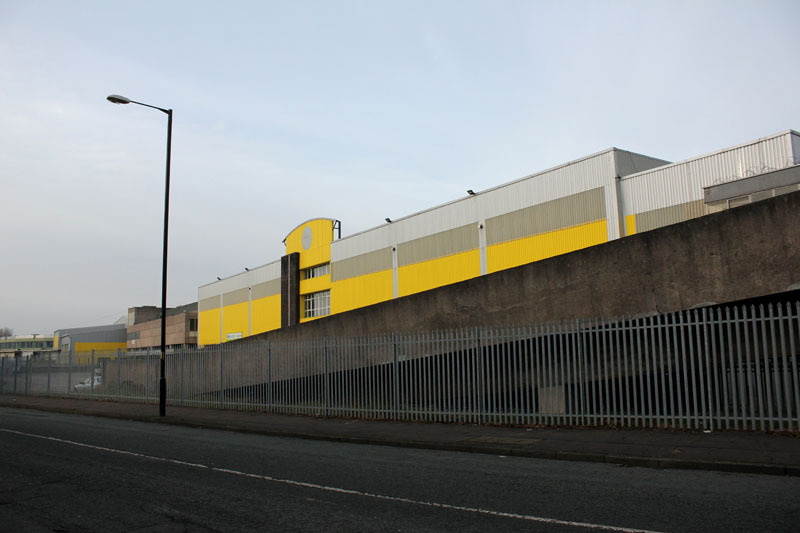 This vast warehouse seems to be currently unused…. 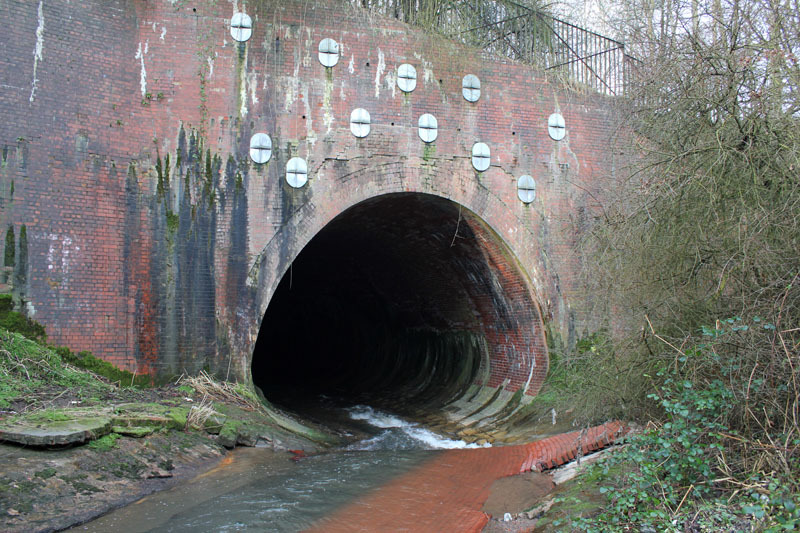 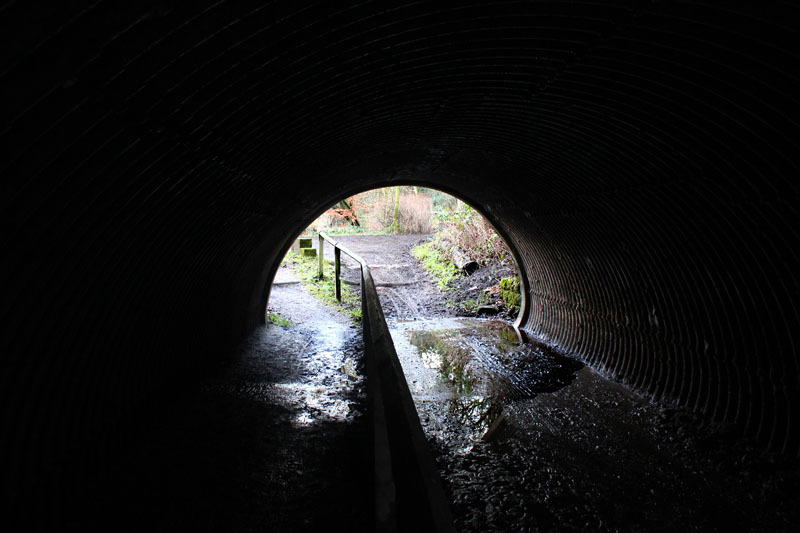 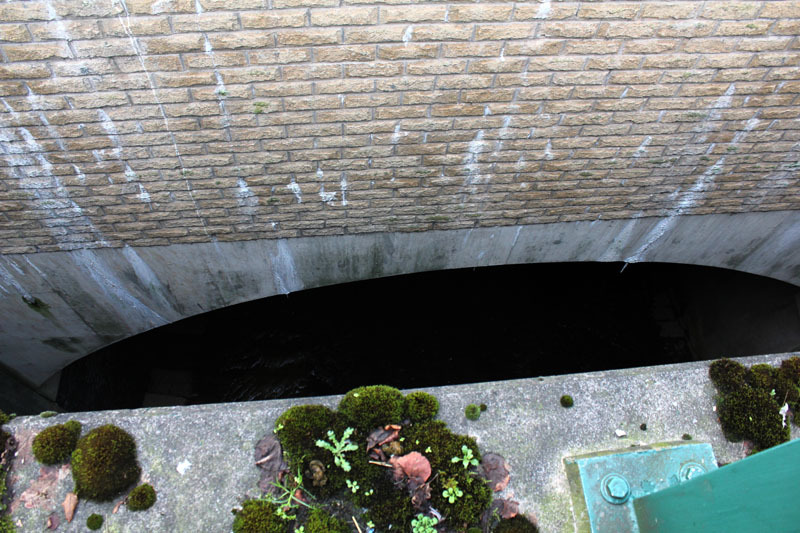 The Medlock goes into the tunnel that takes it under the University of Manchester (old UMIST site) campus….. 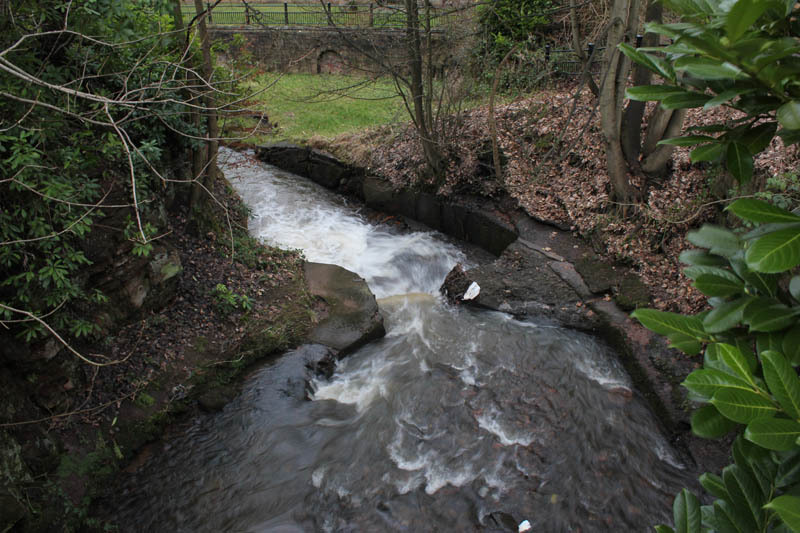 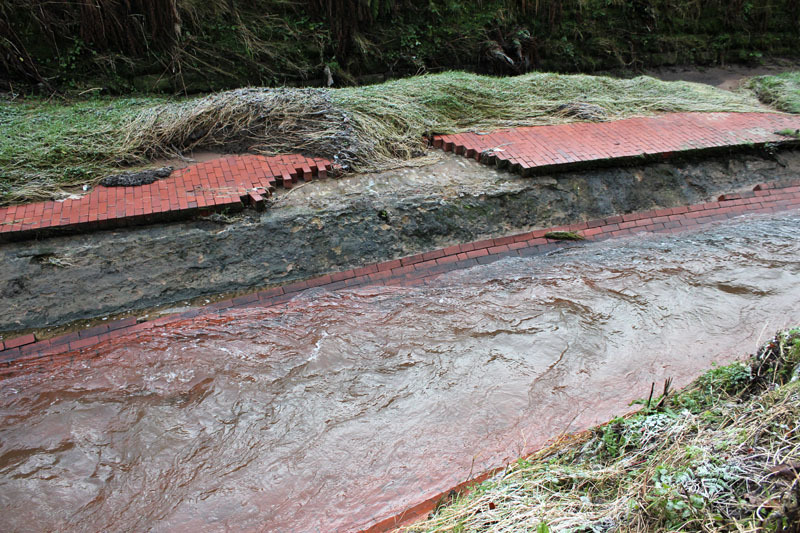 This fragment of river is typical of how the river presents in this part of town. 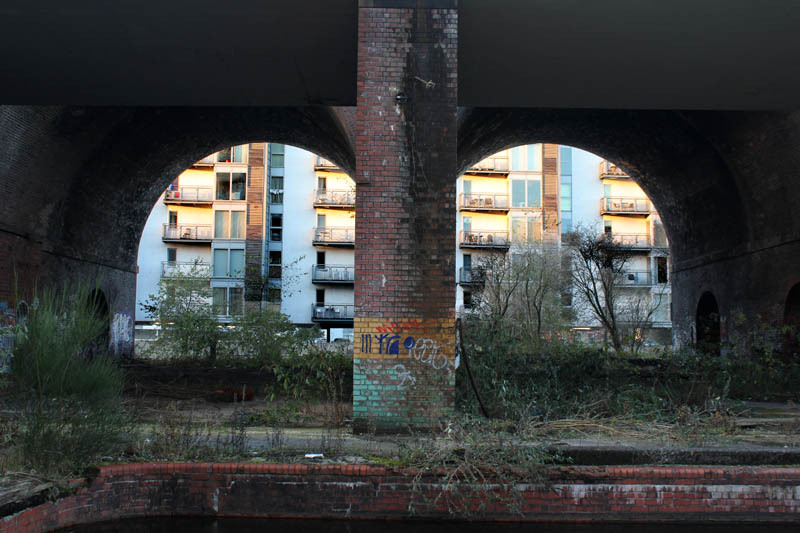 Emerging, curving and then disappearing under buildings…. 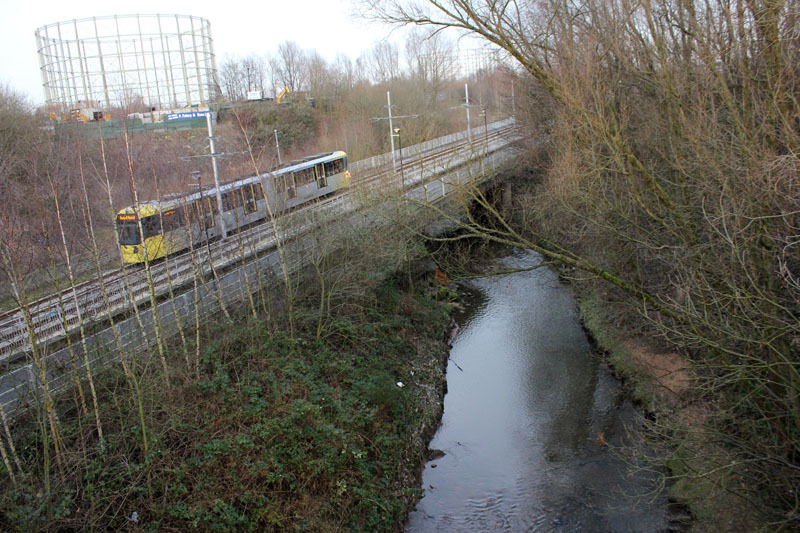 The river stays north of the Mancunian Way. 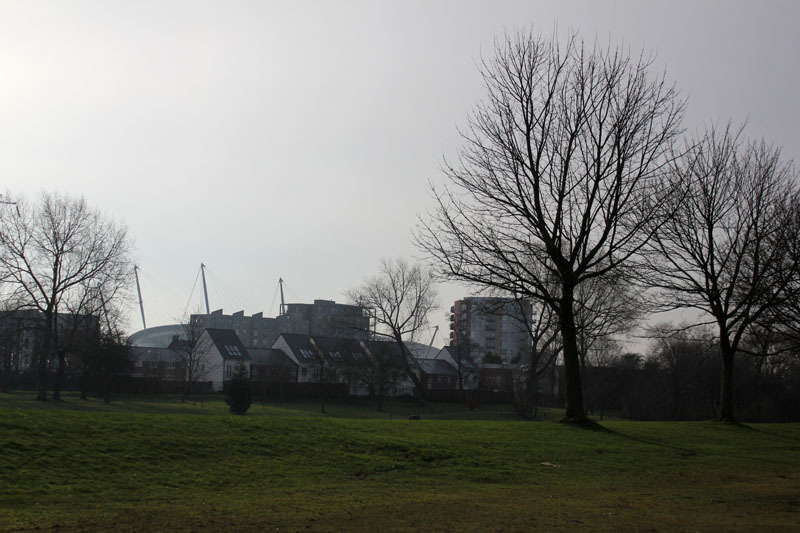 On the left is the Unversity Halls of Residence. 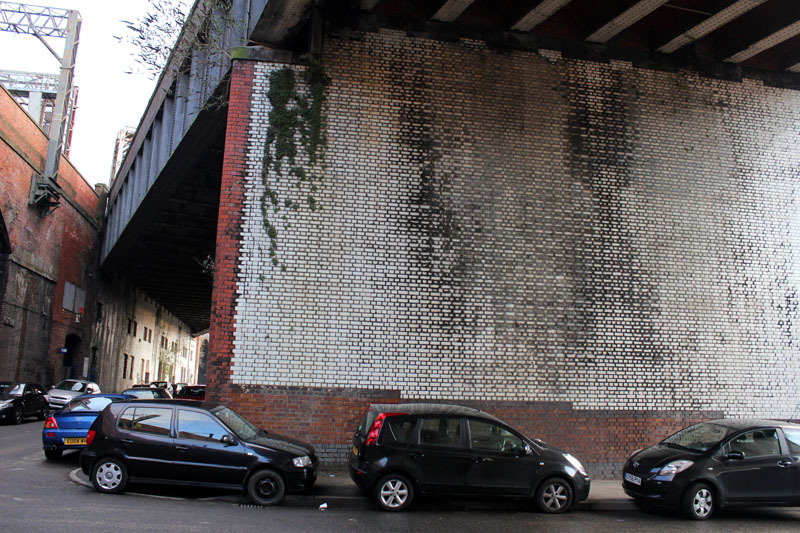 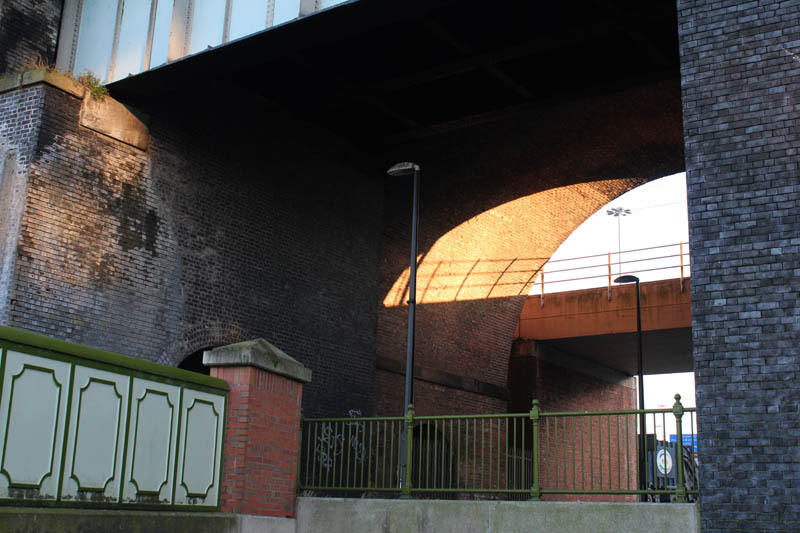 Under the Mancunian Way is the skate park…. 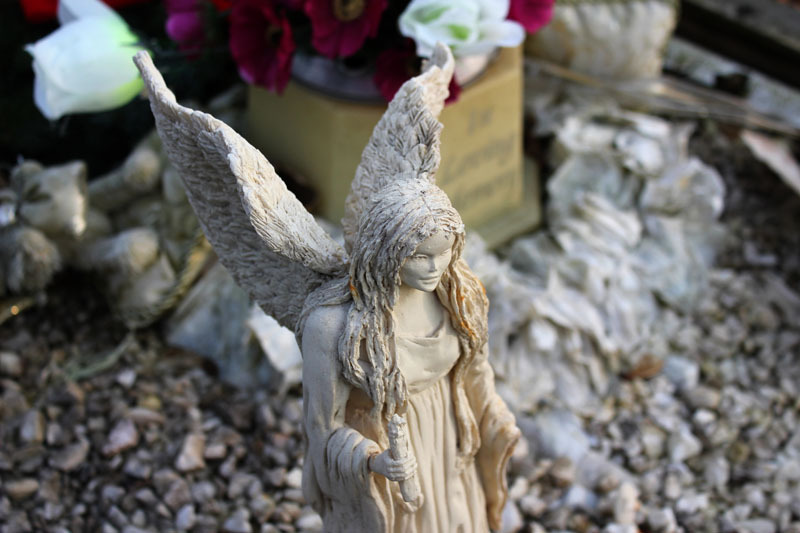 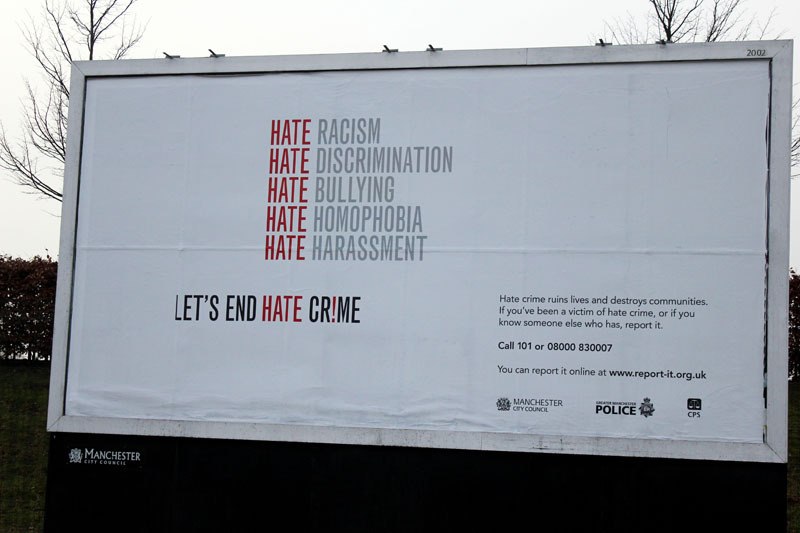 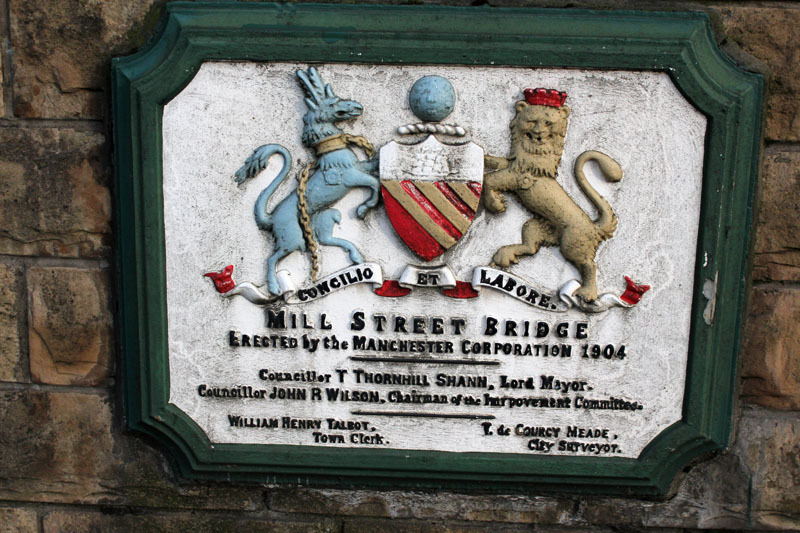 (see Steve Millington video above)…. 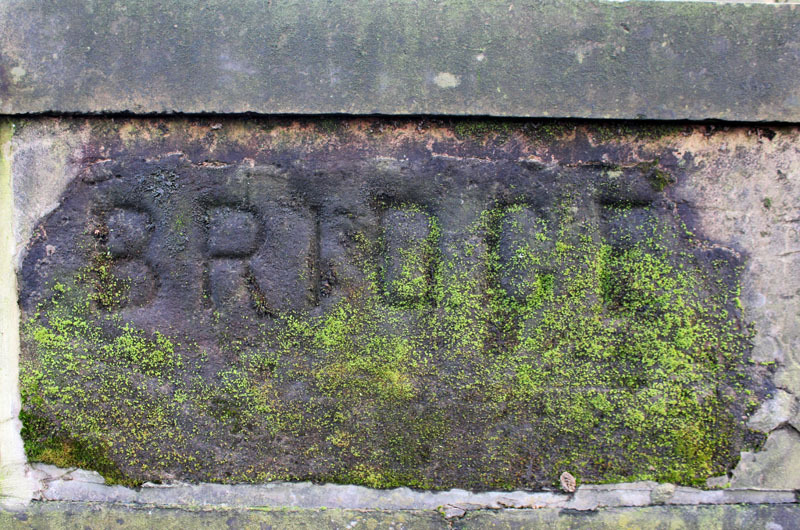 Views from Baring street Bridge (presumably previously Boardman St Bridge according to sign). 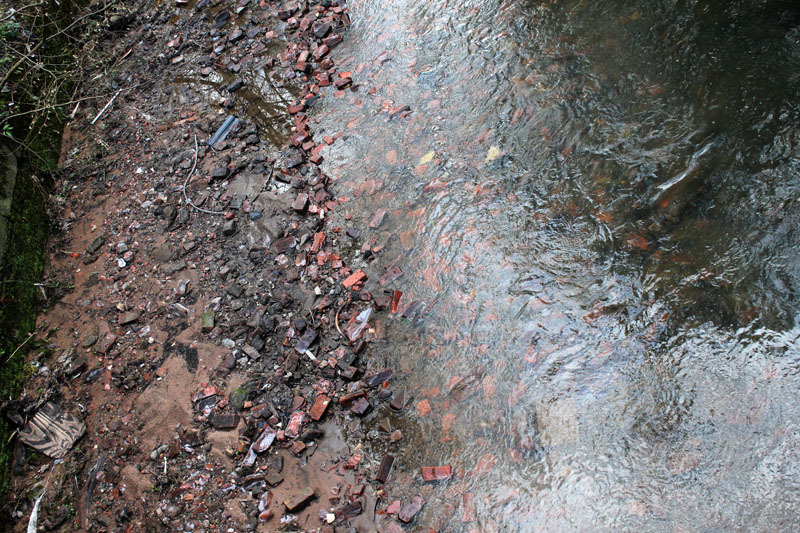 The river goes under Fed Ex building…. 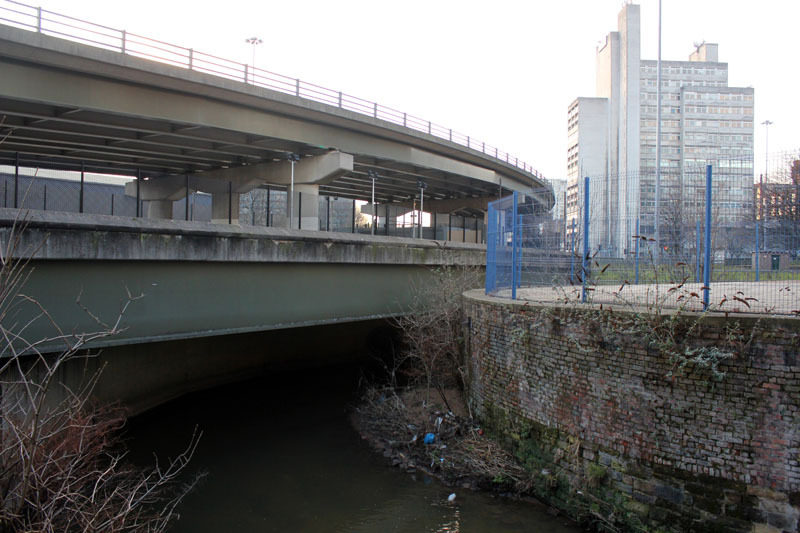 The only way to see the river as it emerges from under the Fed Ex site is to go onto the Klyn & Klyne car park. 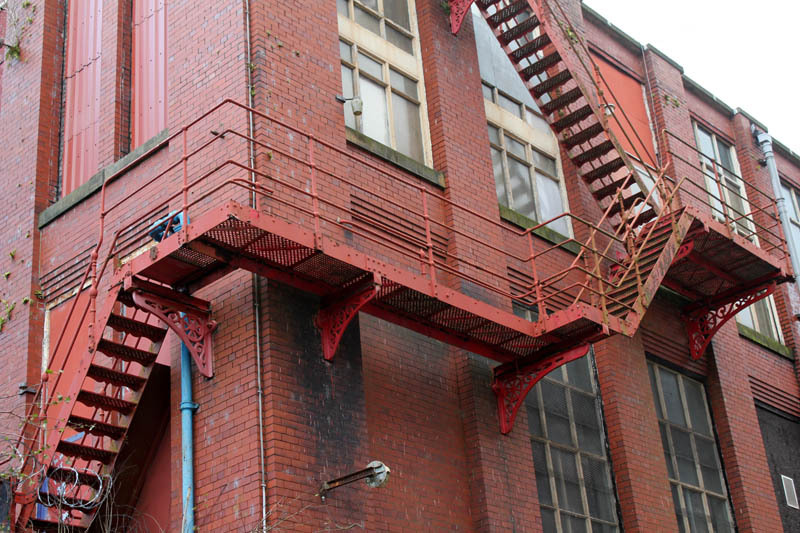 There was no-one around so I went on to the fire escape. 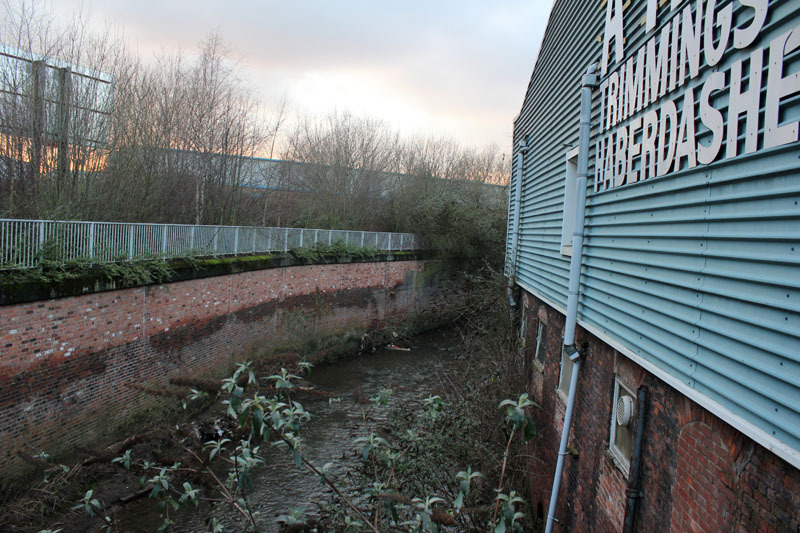 From there the river is on a corner and visible emerging and disappearing again….at which point an officious man in a fork lift truck had a rant at me…. 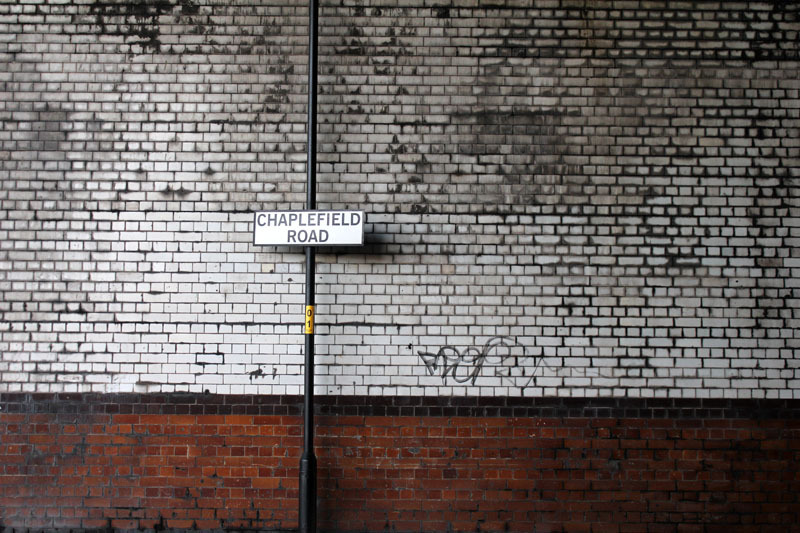 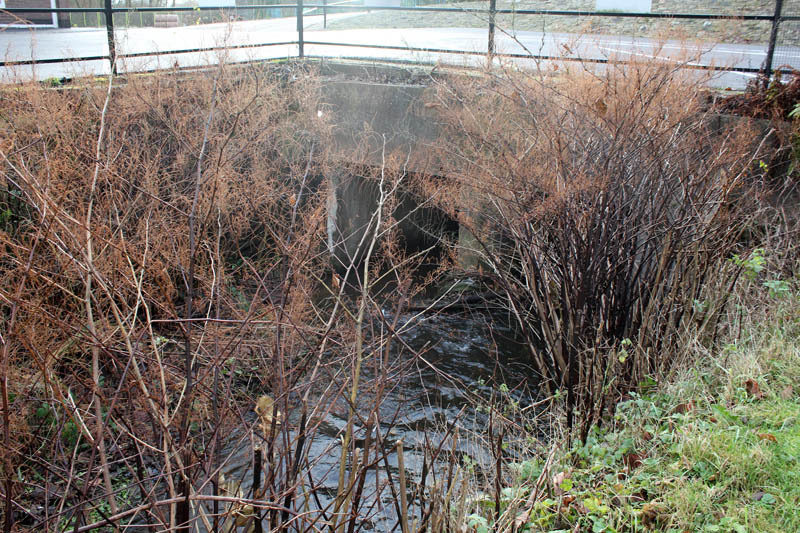 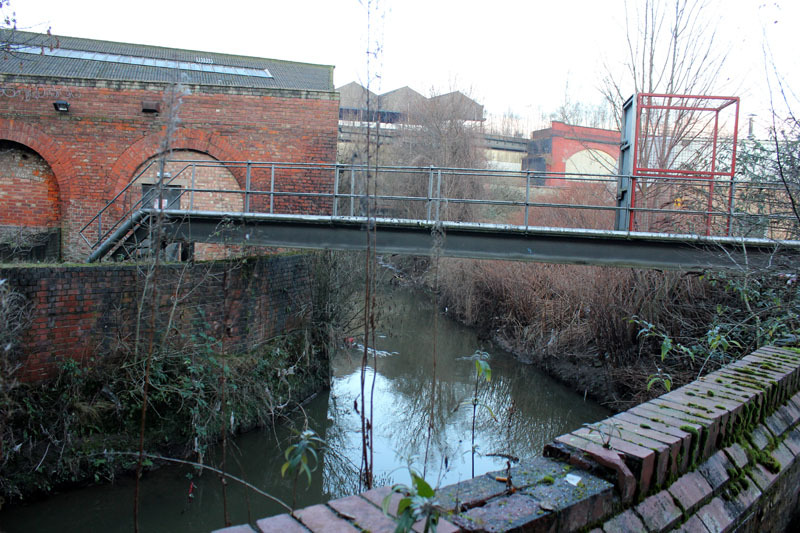 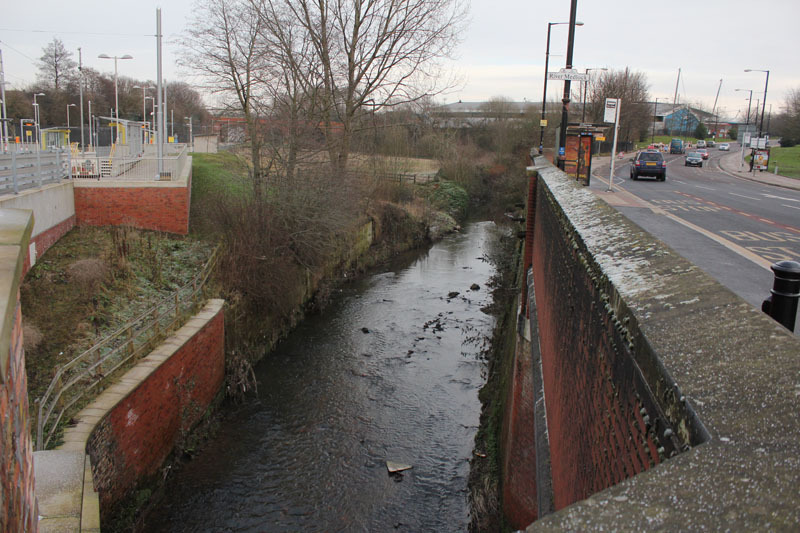 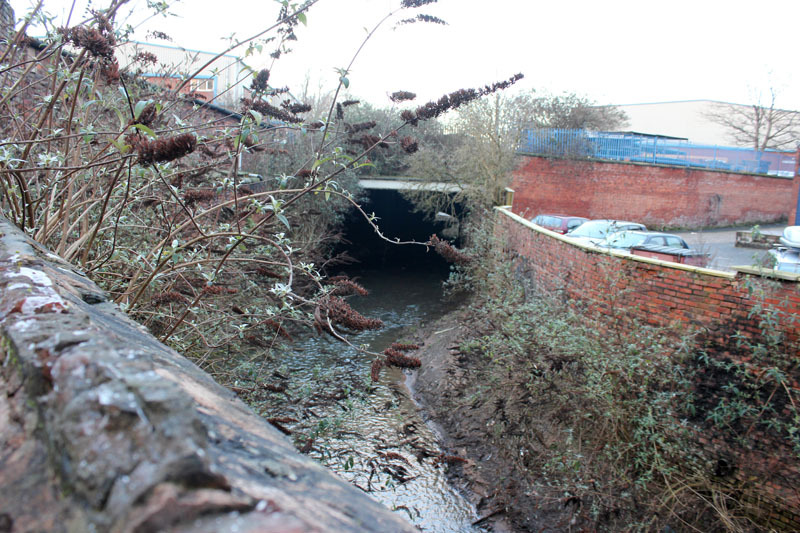 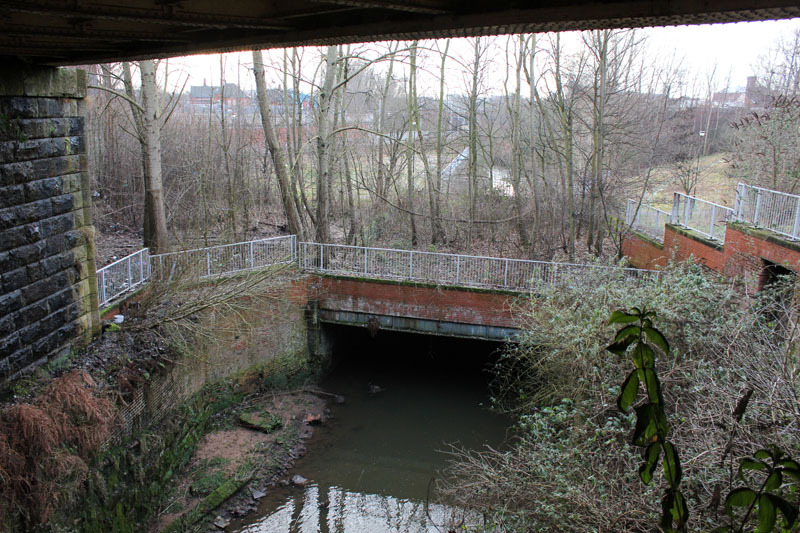 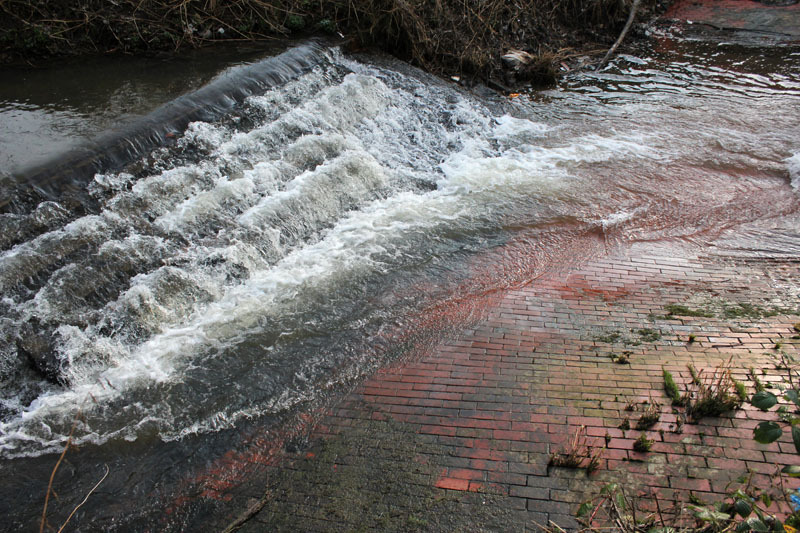 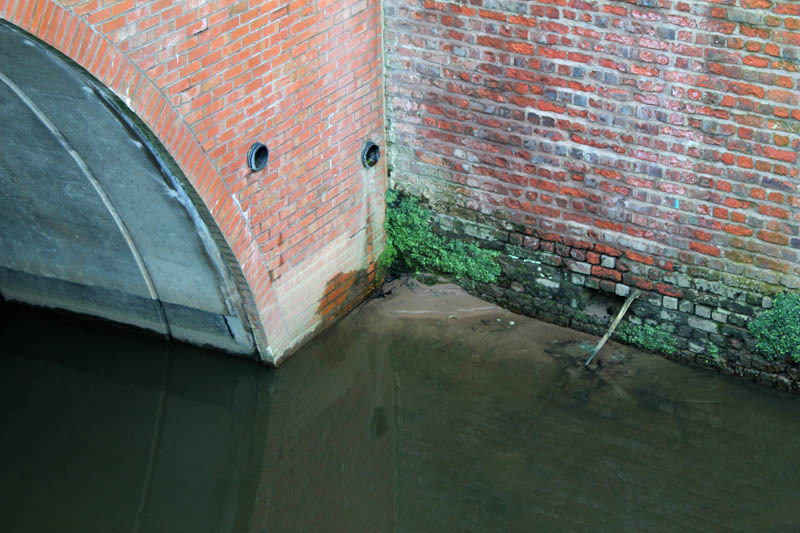 The river runs somewhere under Temperance Street and Chapelfield Road…but hard to tell where exactly…. 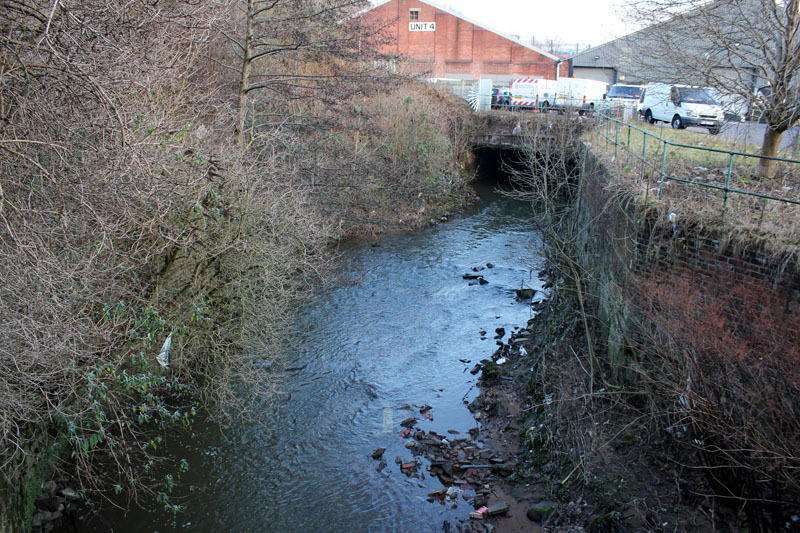 Finding the river again going under Fairfield Street. 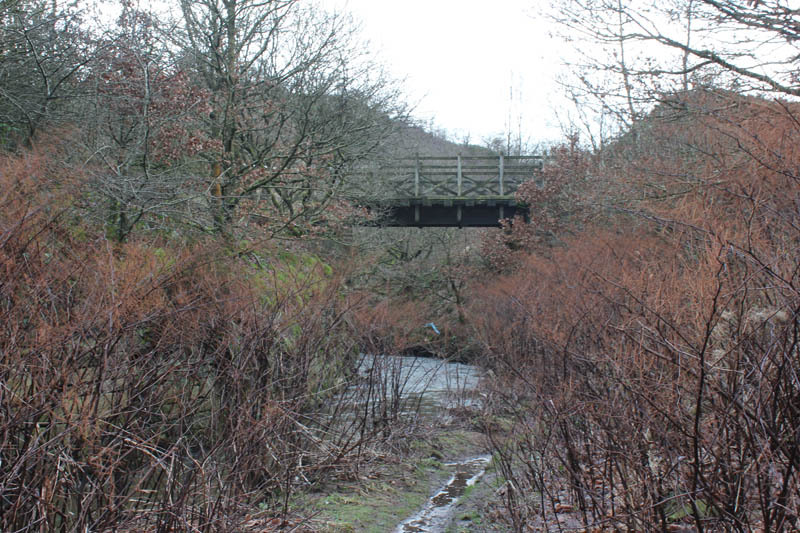 A nondescript bridge…. 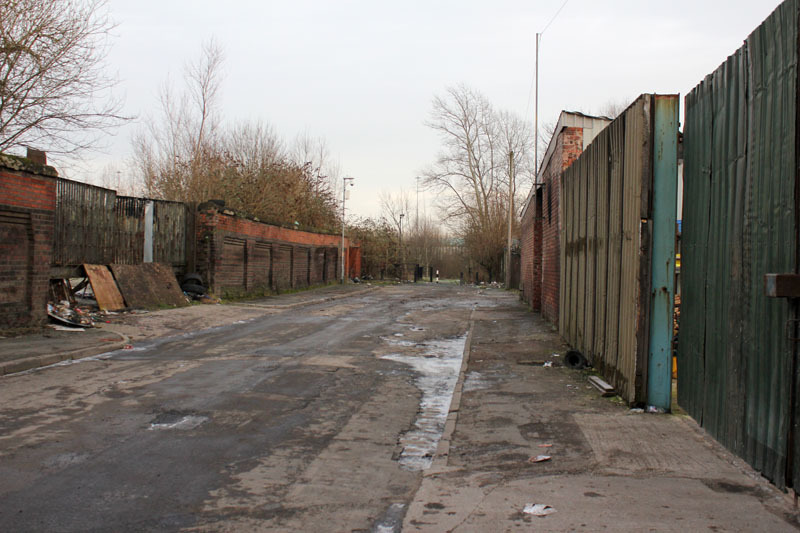 Helmet Street, Aldow Industrial Park. 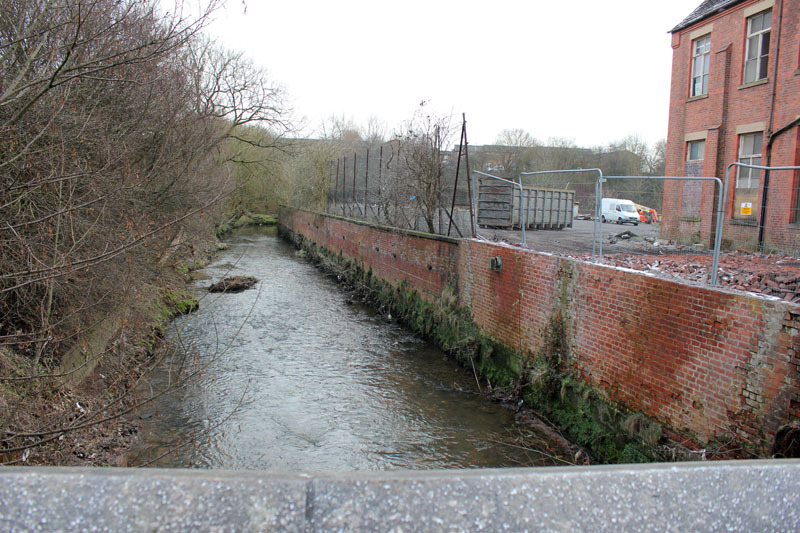 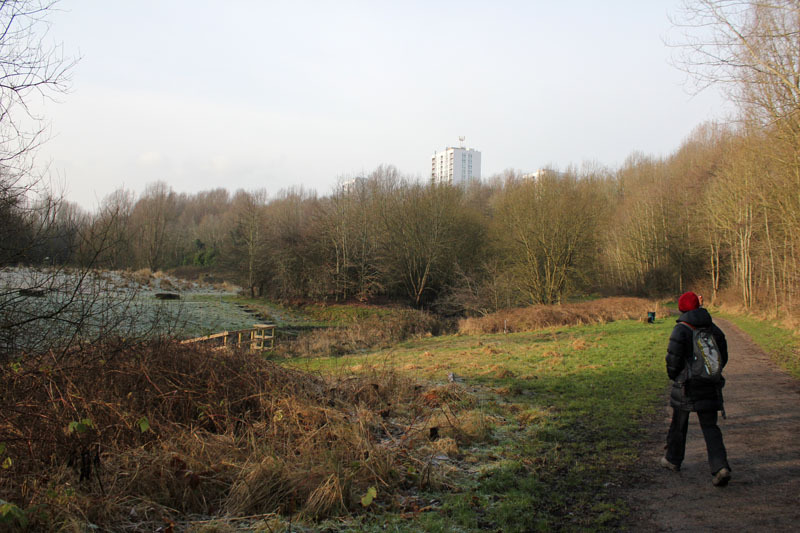 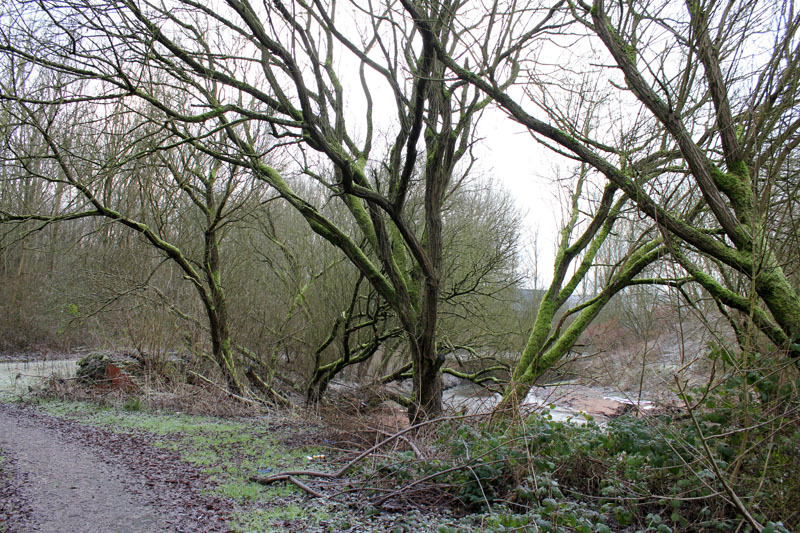 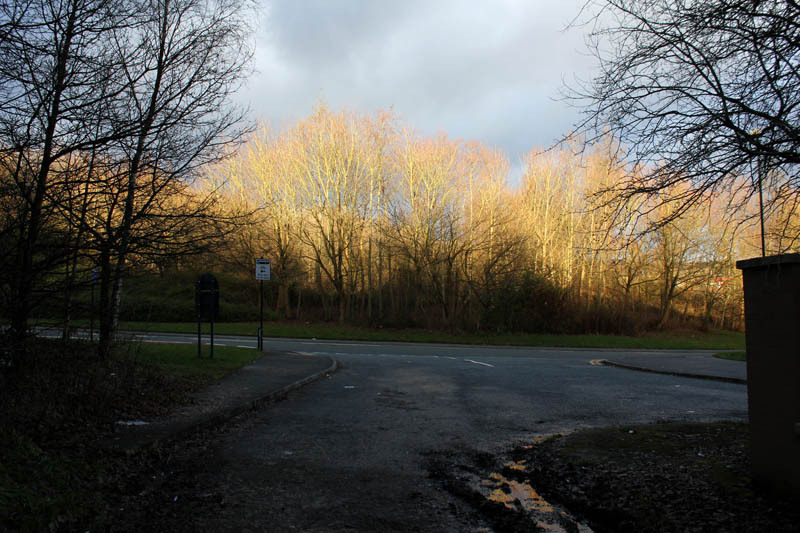 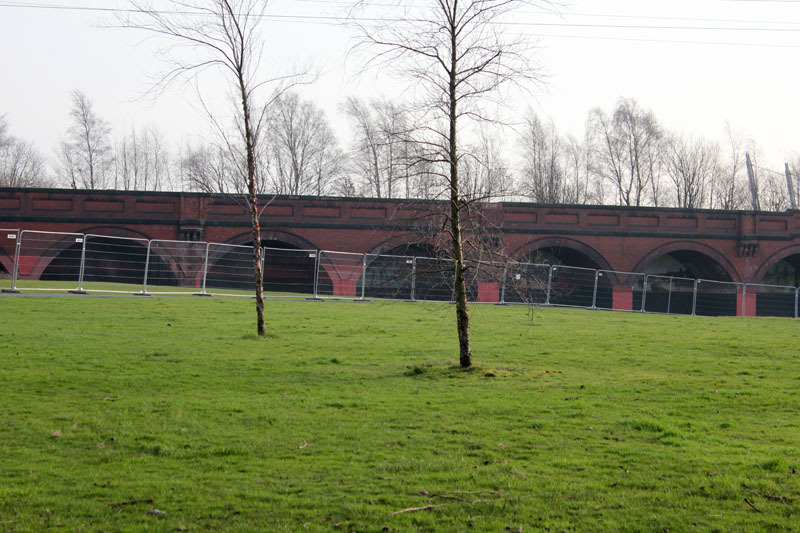 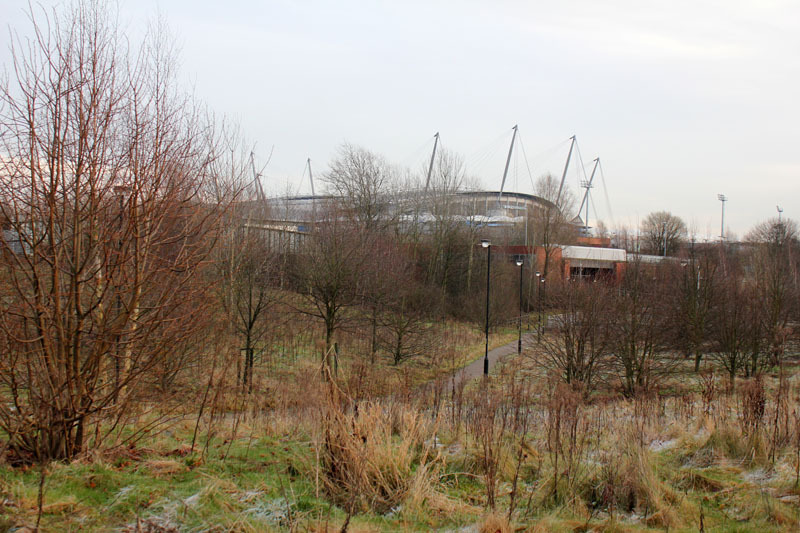 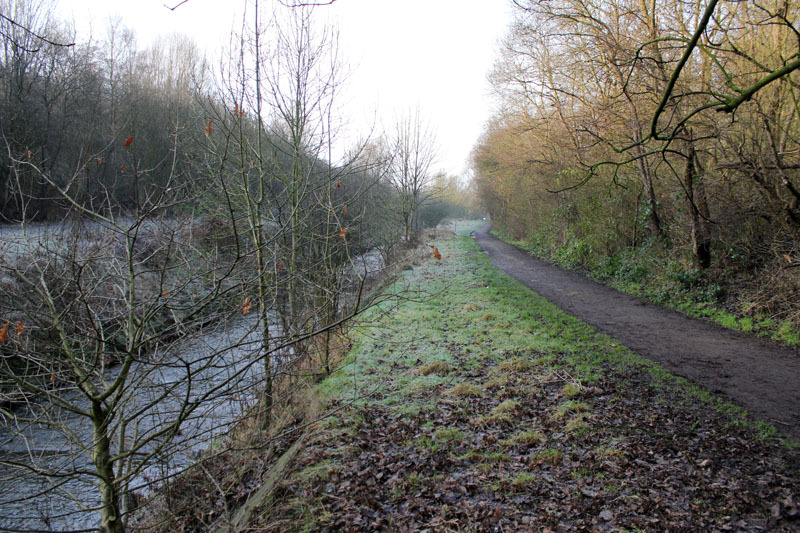 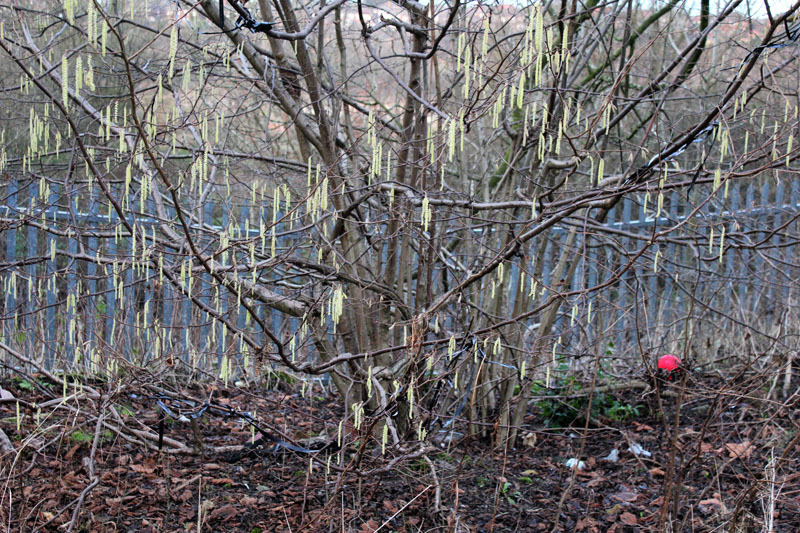 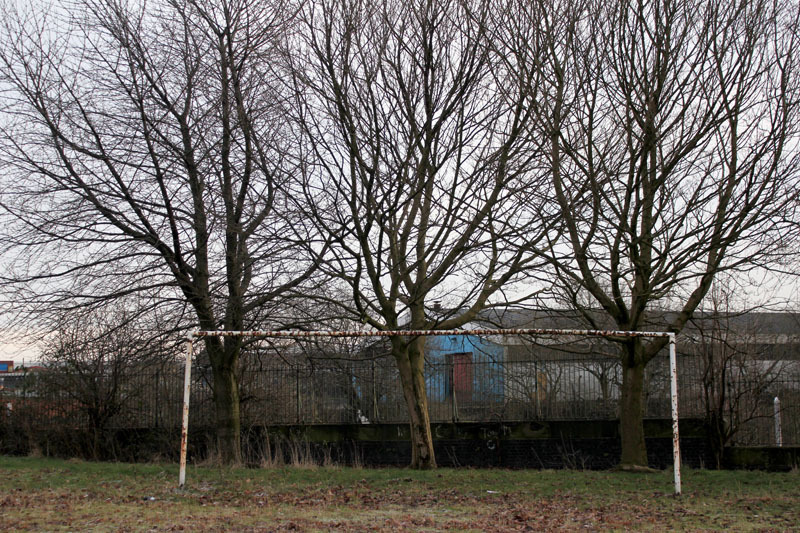 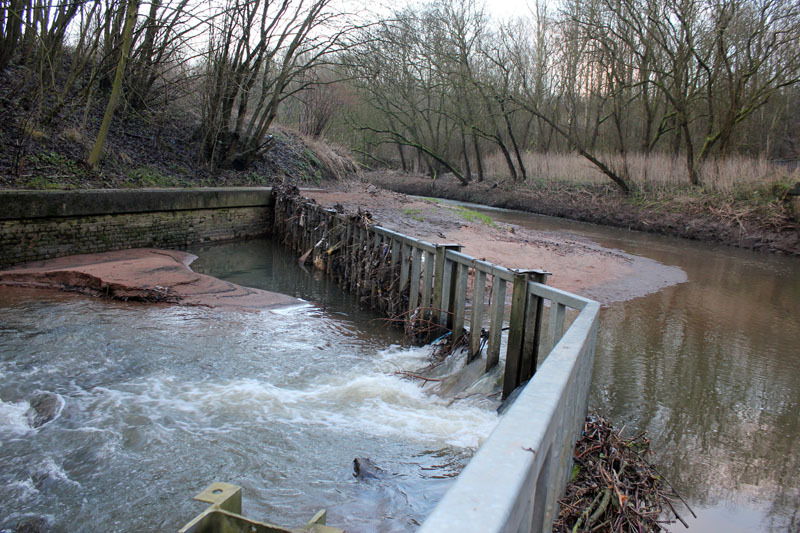 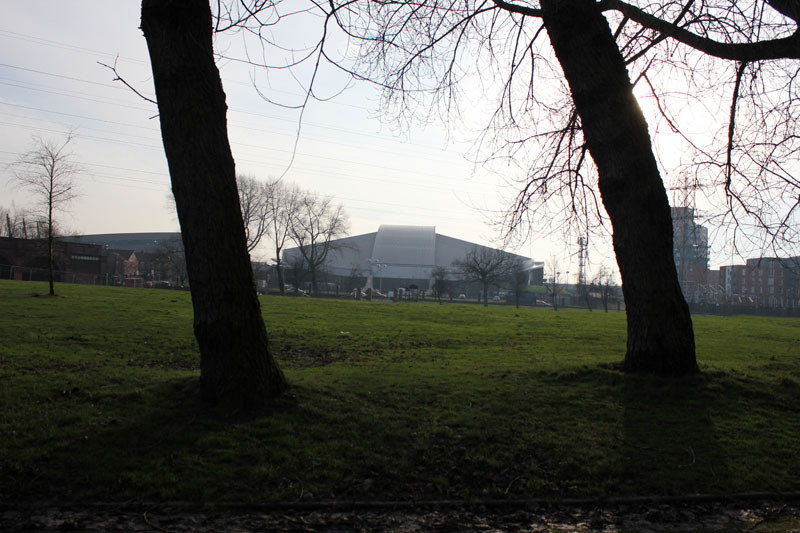 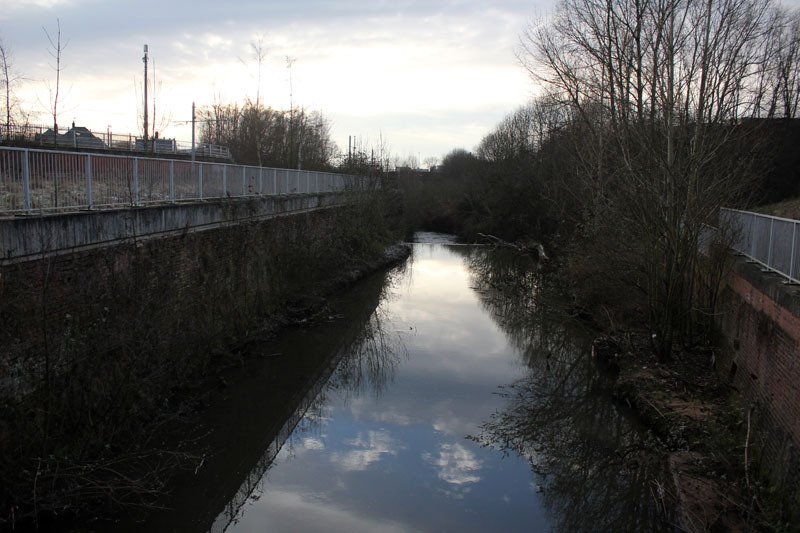 The Medlock is behind the trees and security fence…. 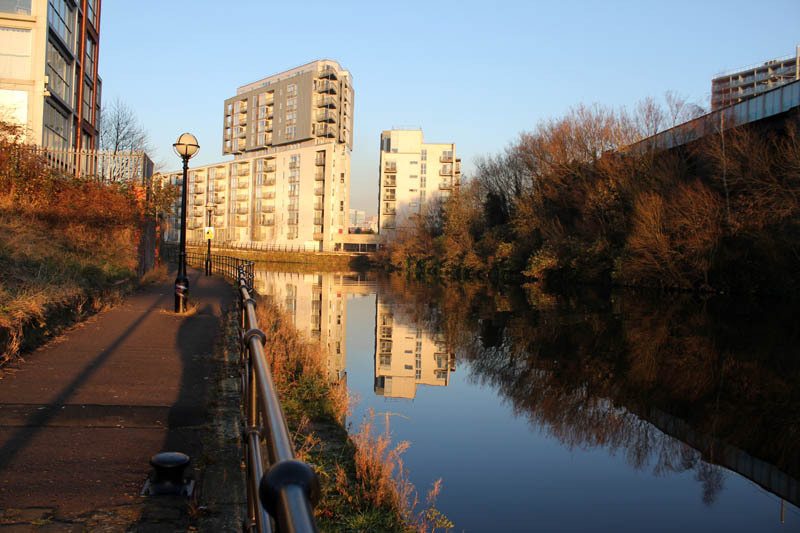 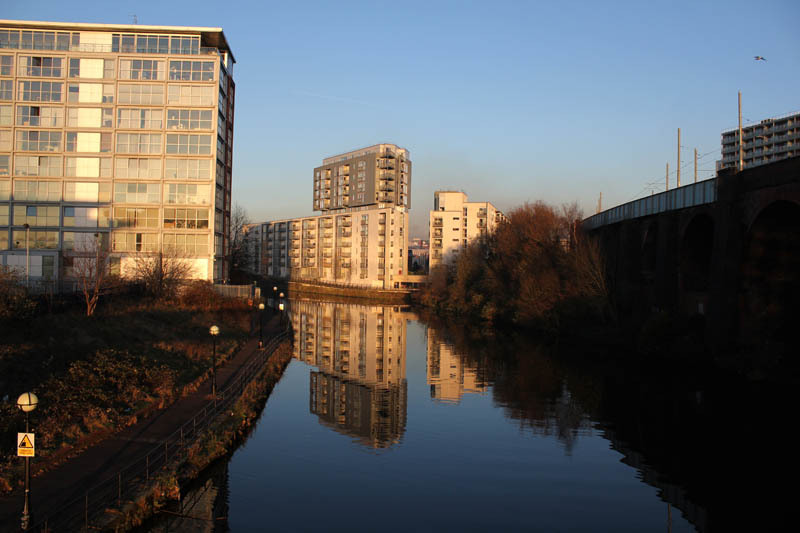 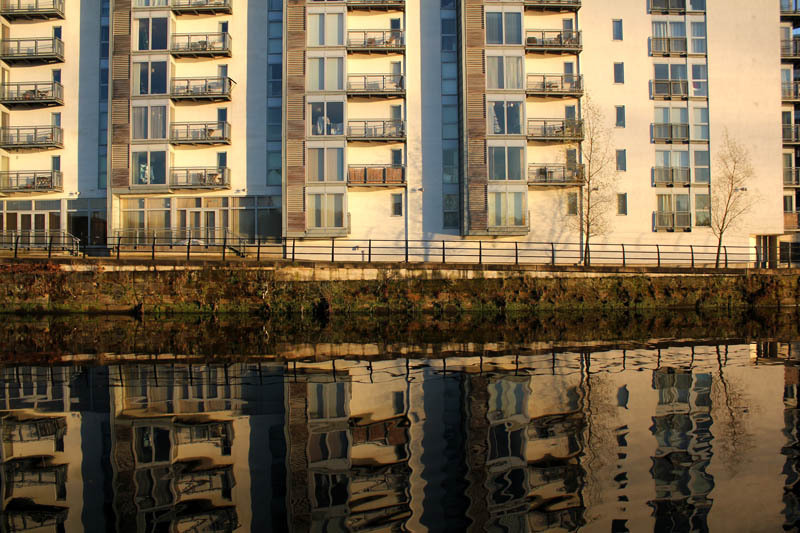 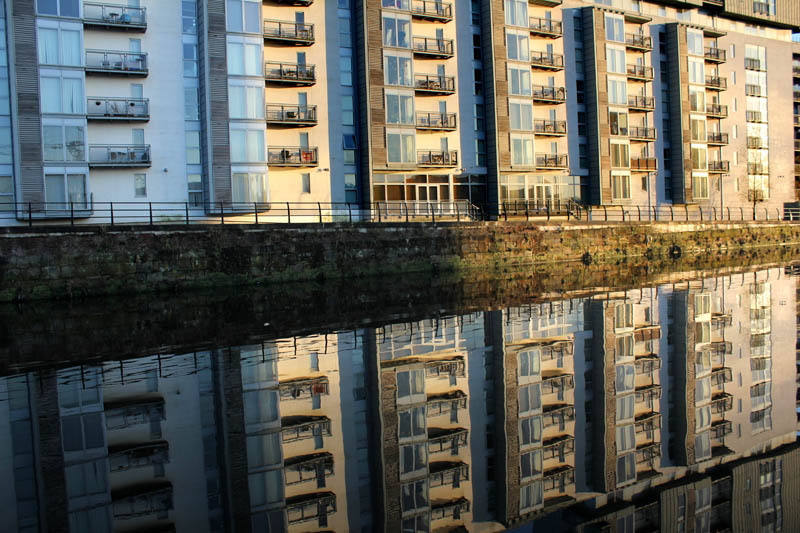 View from Pin Mill Brow / Ancoats Bridge…. 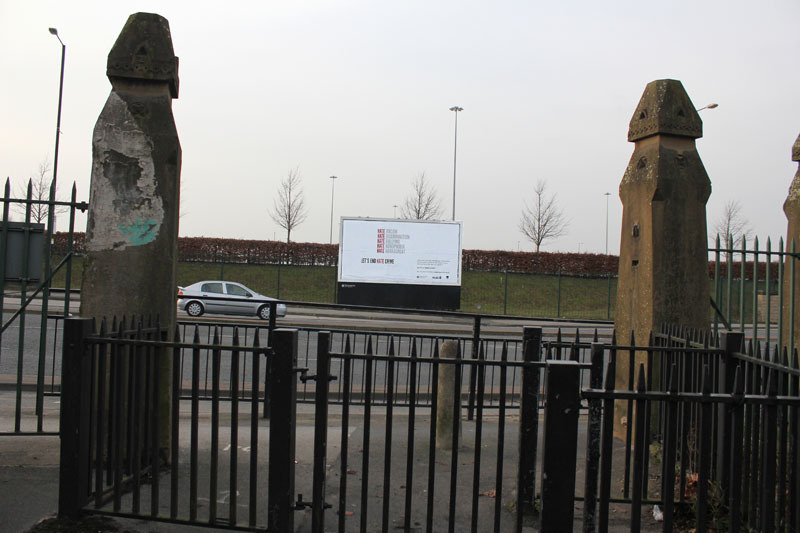 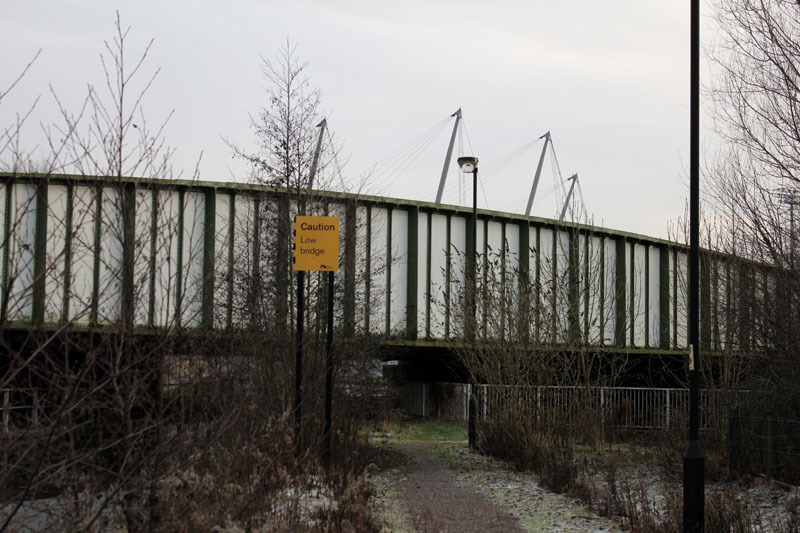 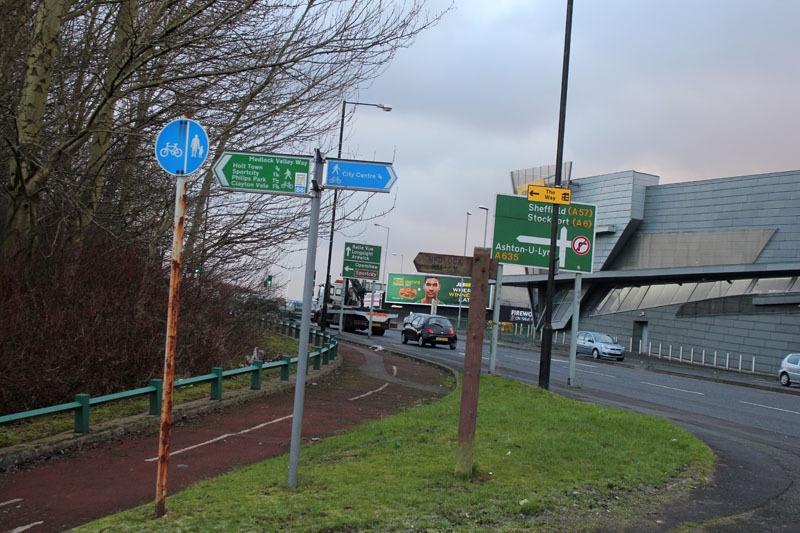 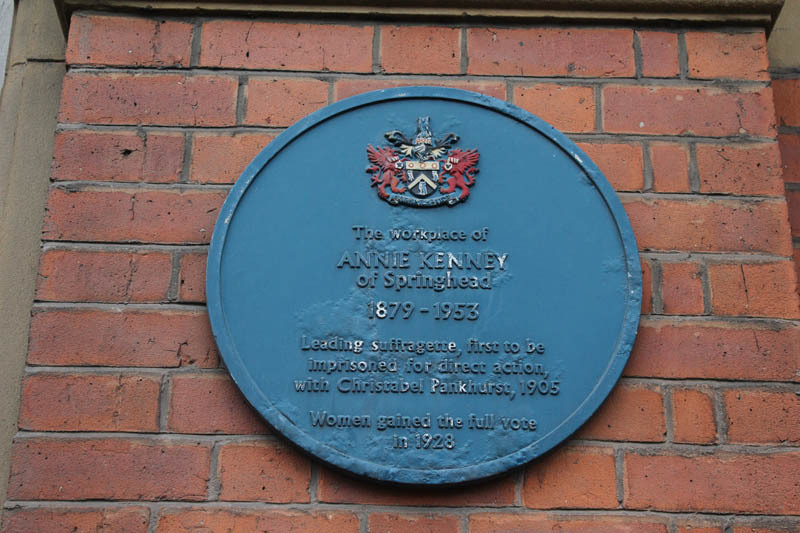 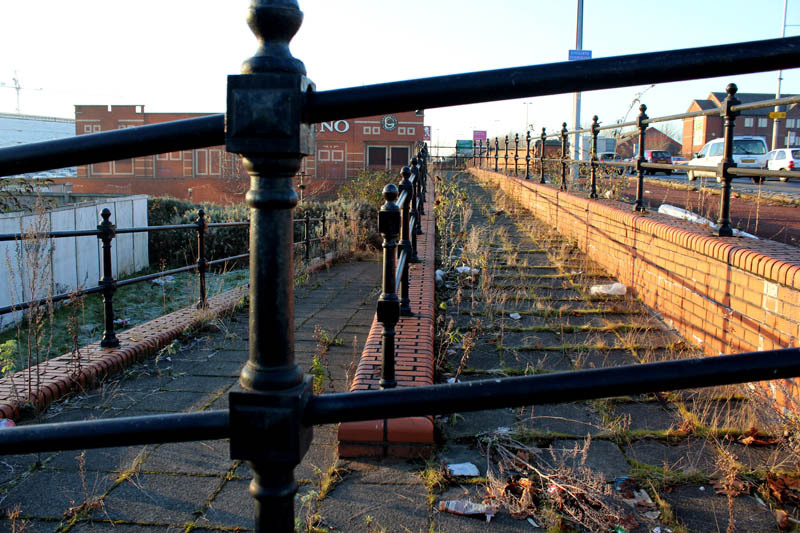 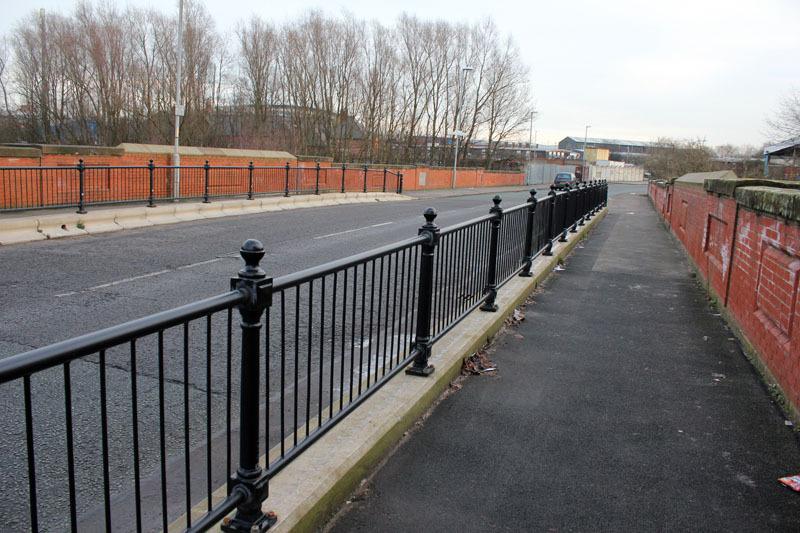 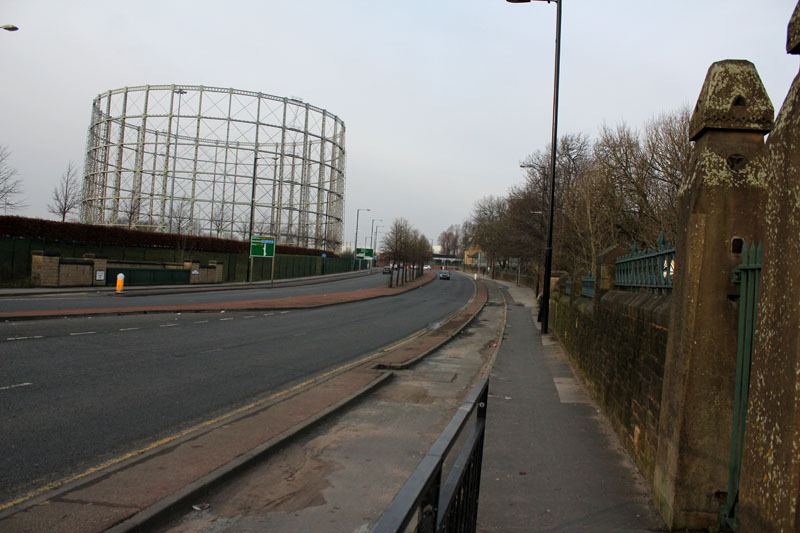 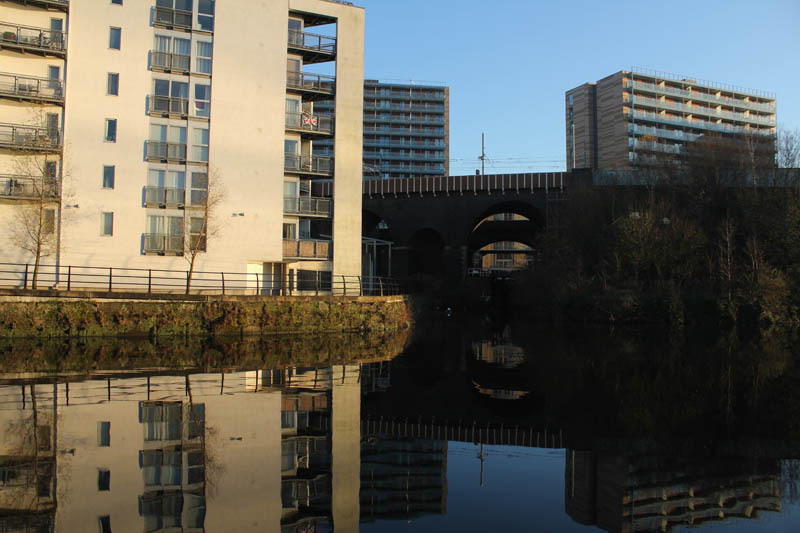 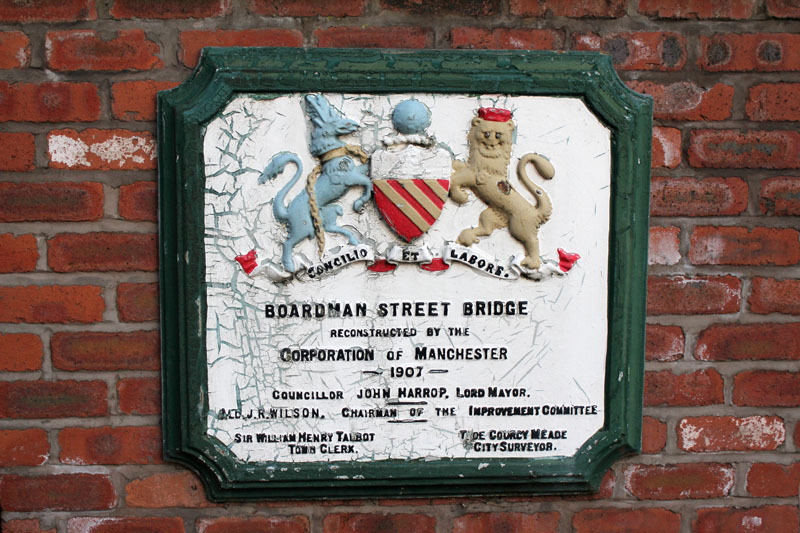 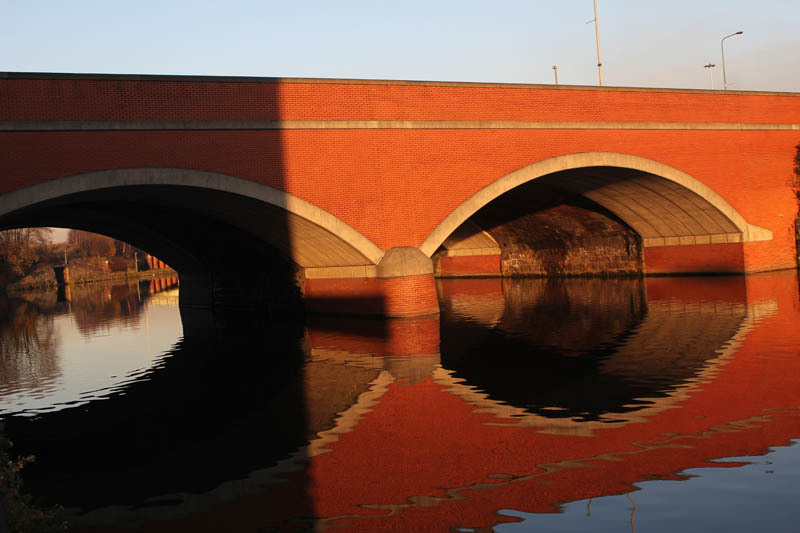 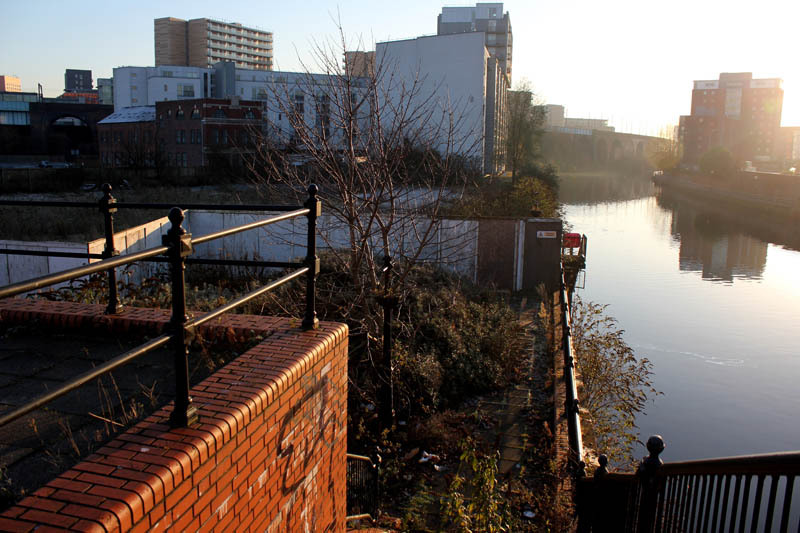 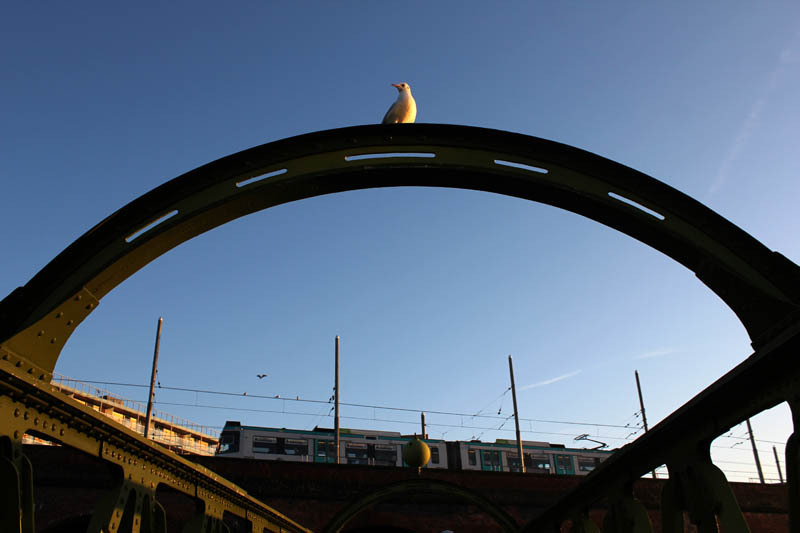 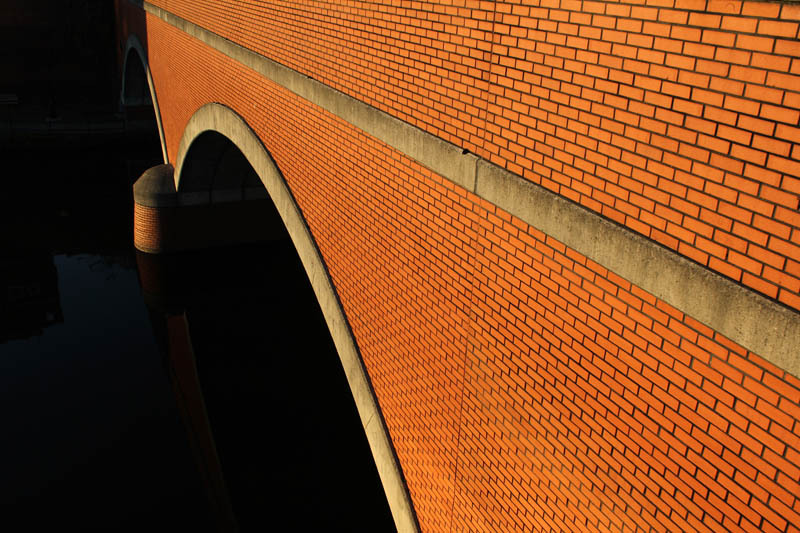 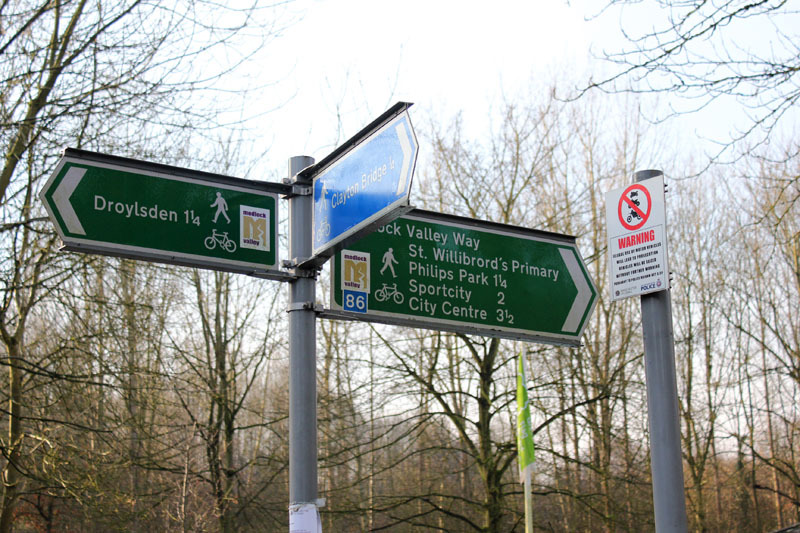 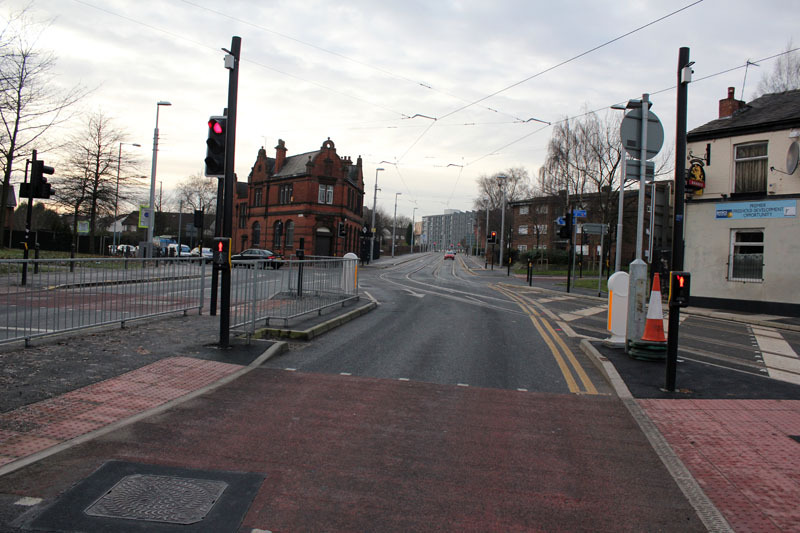 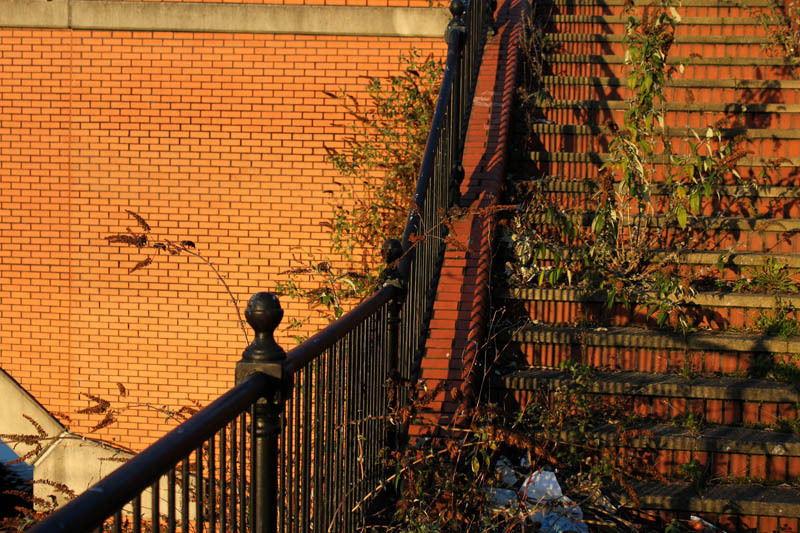 Ancoats Bridge marks the start of the Mancunian Way…. 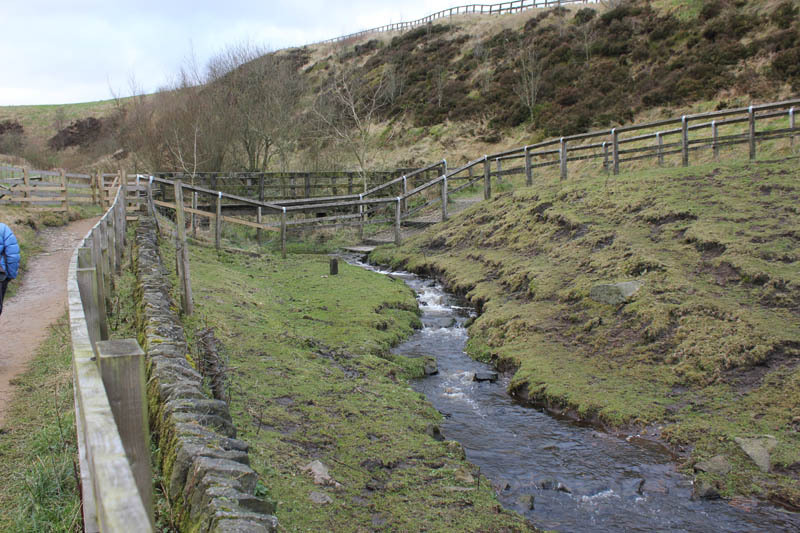 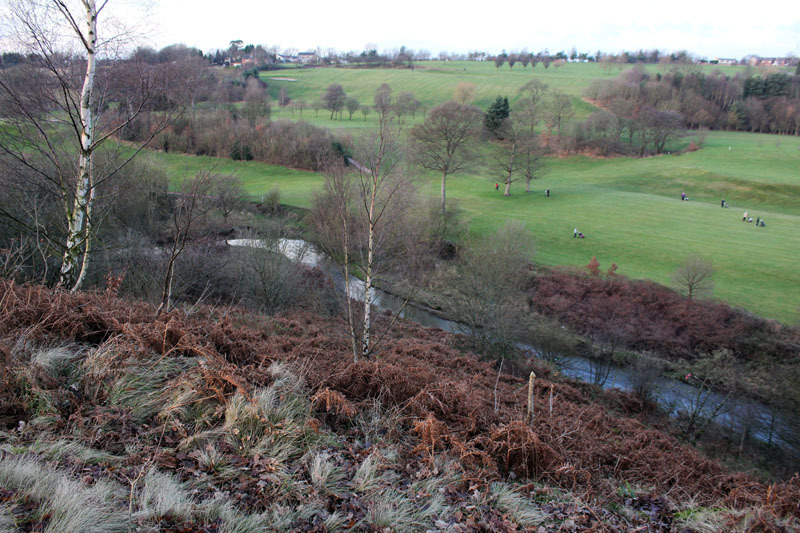 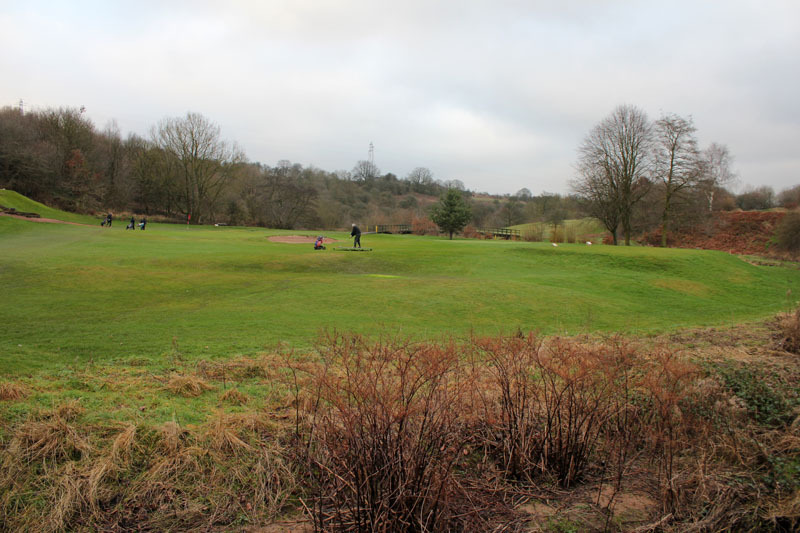 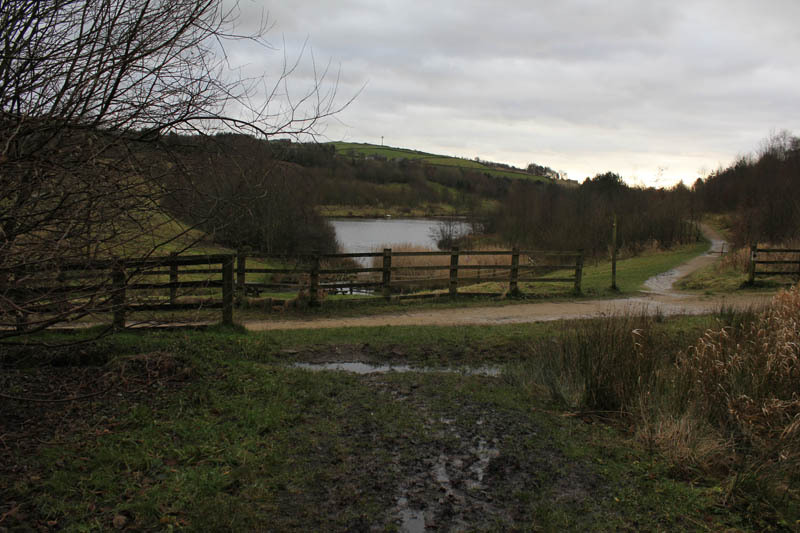 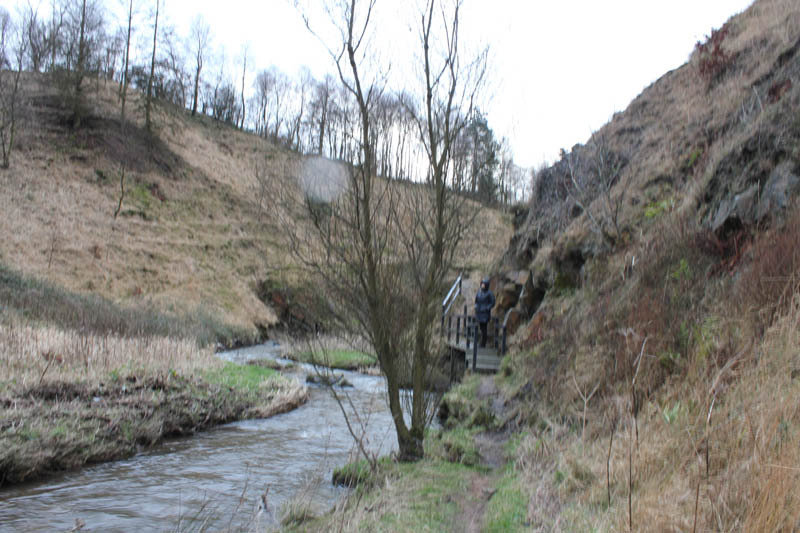 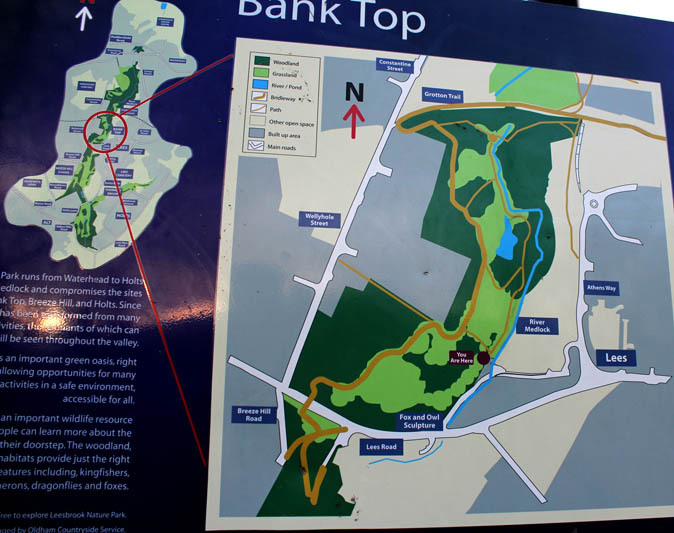 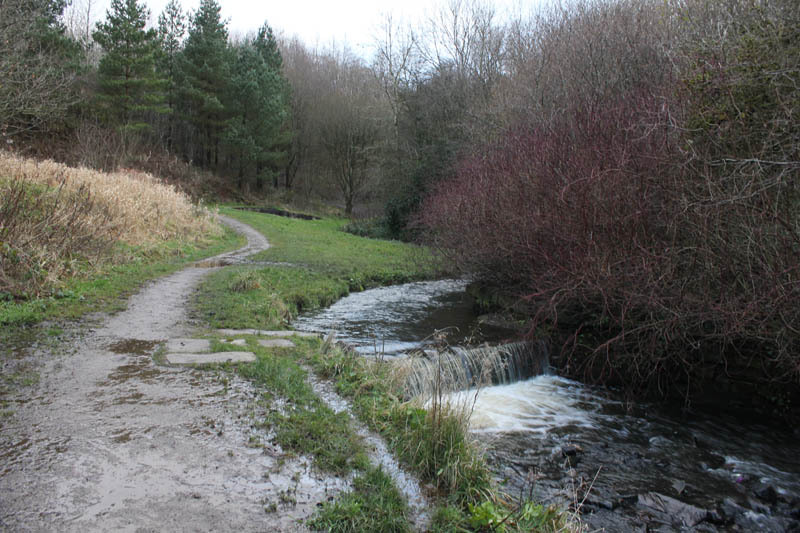 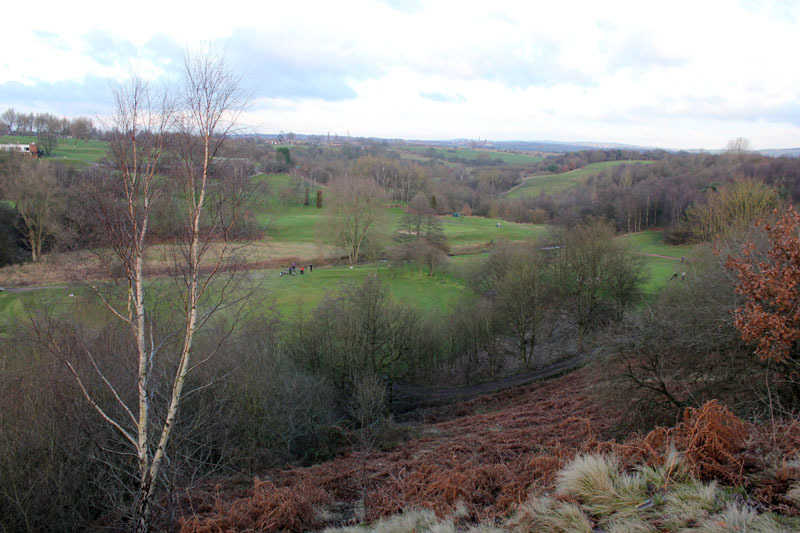 The Brookdale golf course dominates this walk – though the path along the top of Bell Clough is lovely and provides good views into the valley. 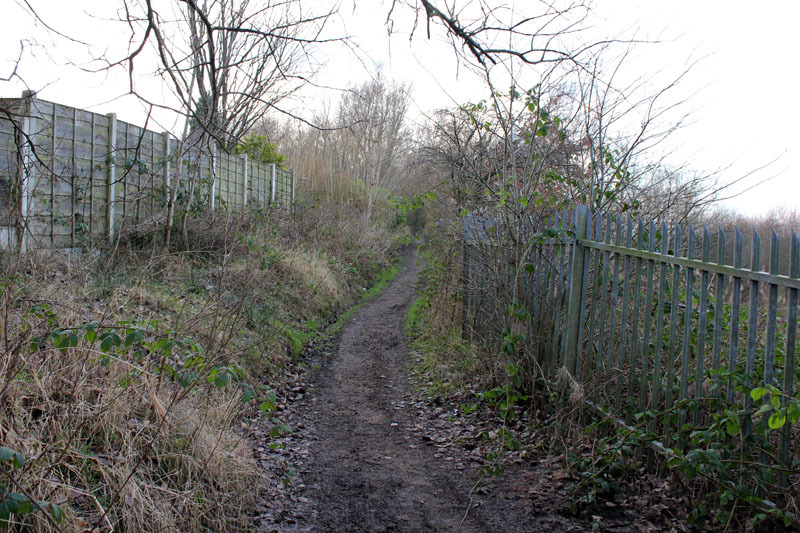 Over the railway and alongside Greenside is a muddy littered track. 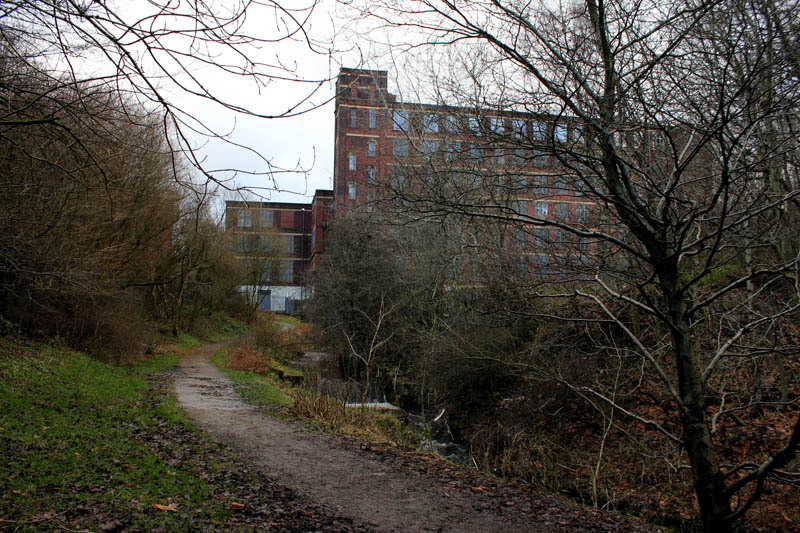 Arriving at Clayton Mill Bridge, there is a real sense of shift of mood. 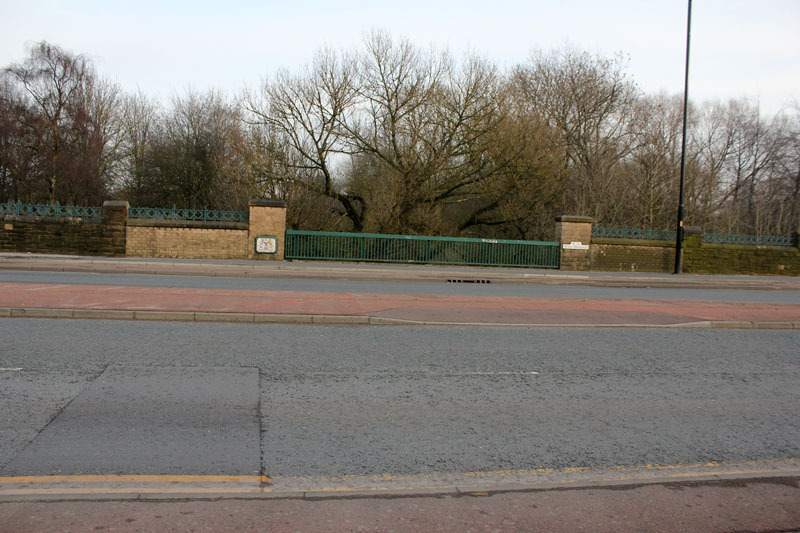 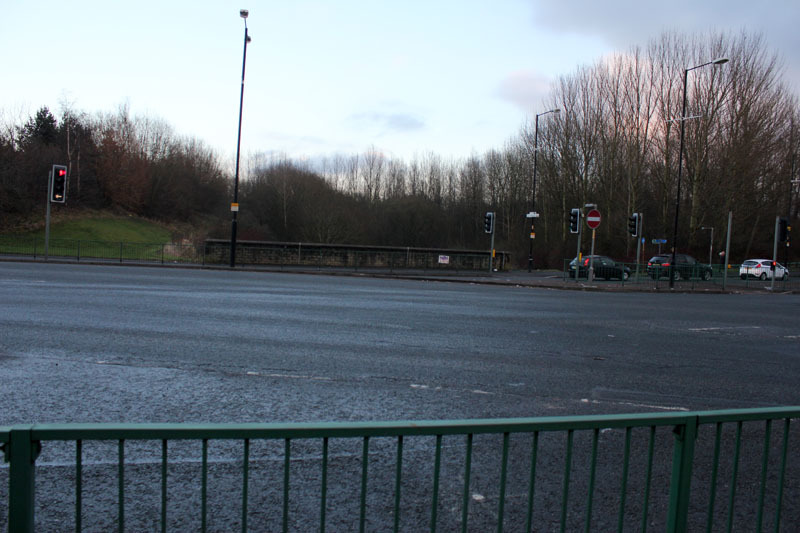 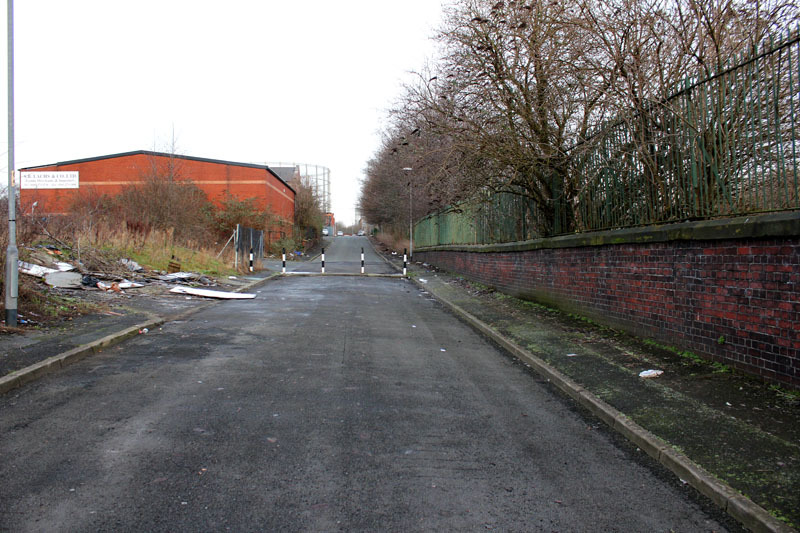 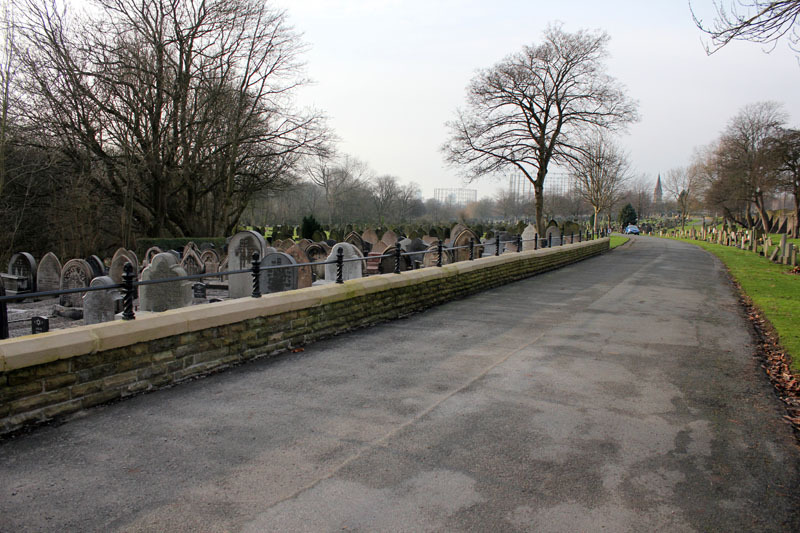 Here is the border from Tameside into Oldham district but also the start of Clayton Vale. 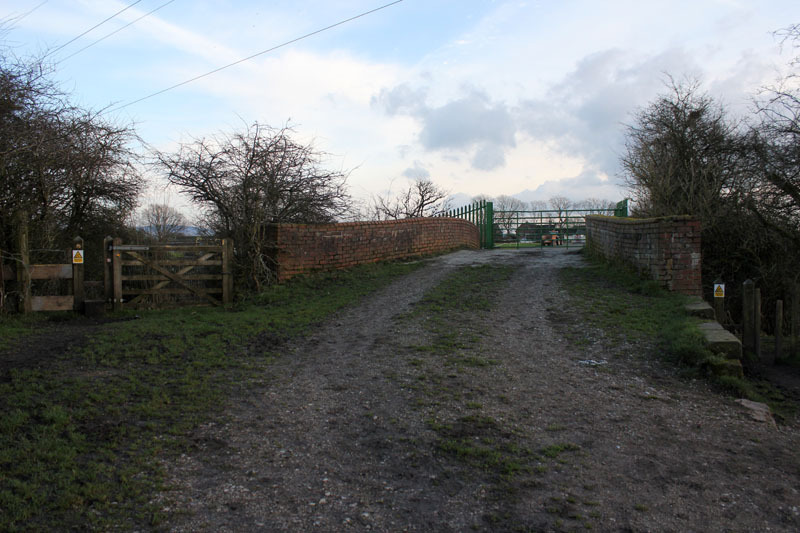 The walk back up Millstream Lane and Green Lane is uninspiring – passing the MDW Industrial Estate and United Utilities owned sewage works. 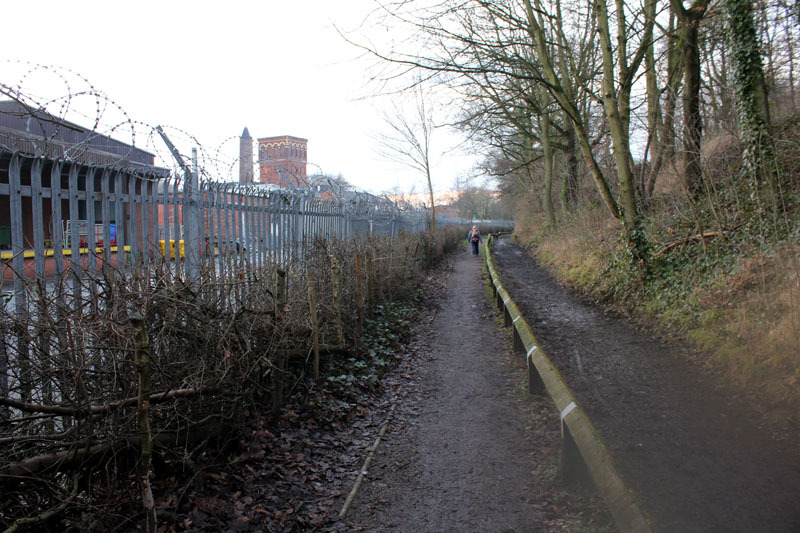 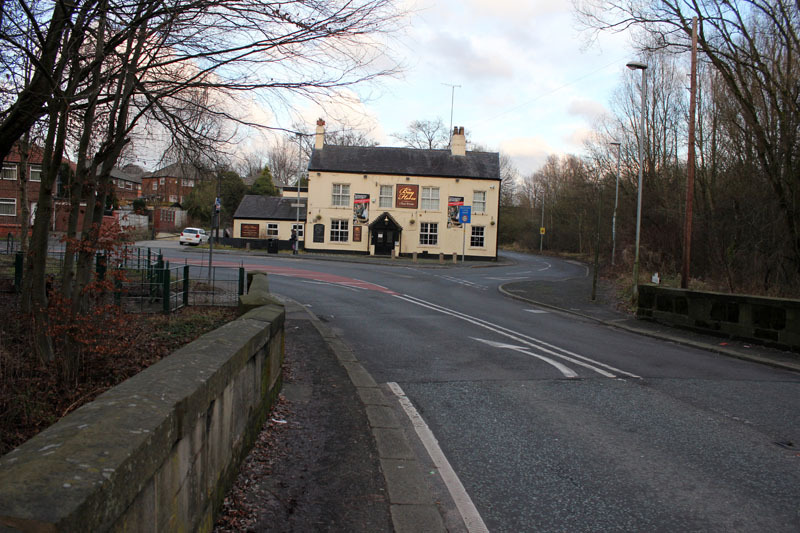 Vale Lane cuts off Medlock road for a more pleasant route back up to Woodhouses. 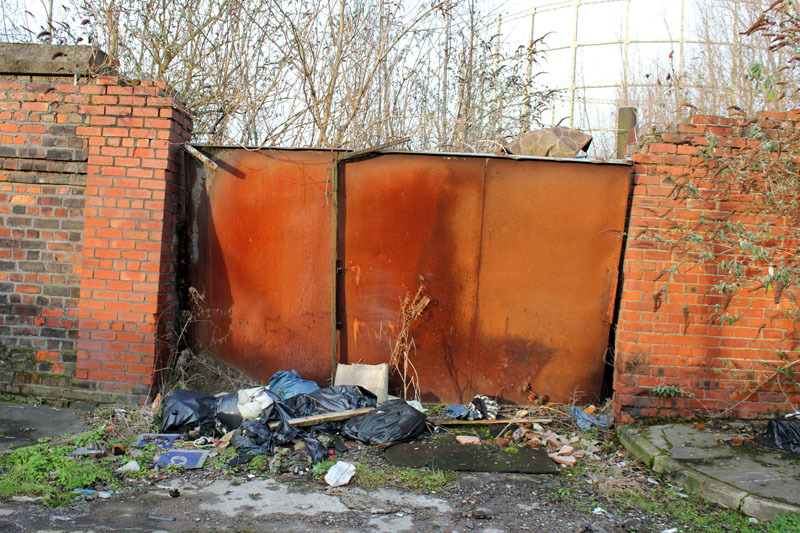 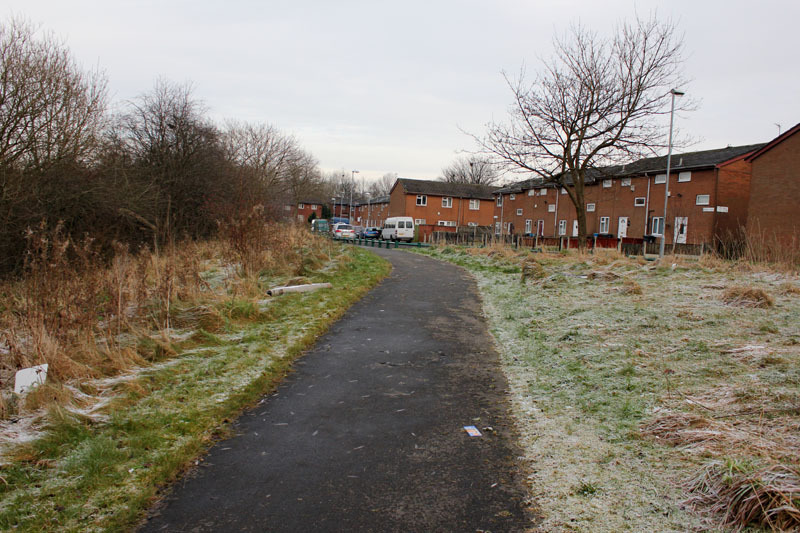 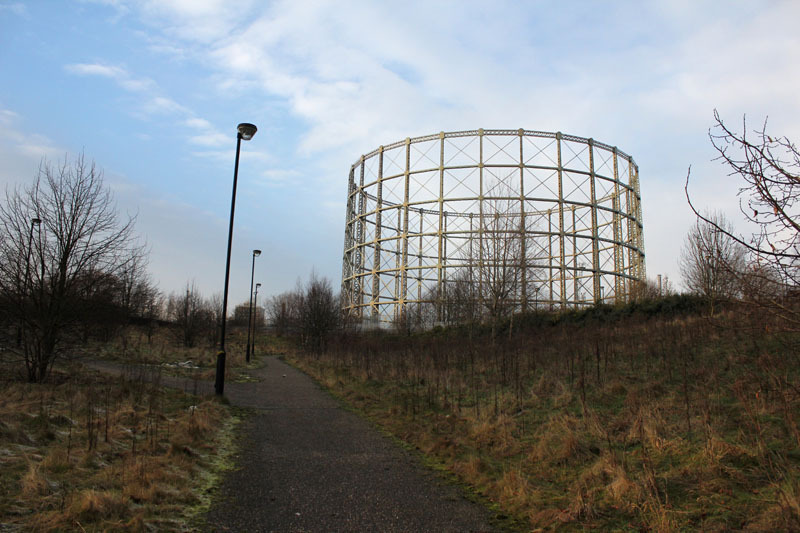 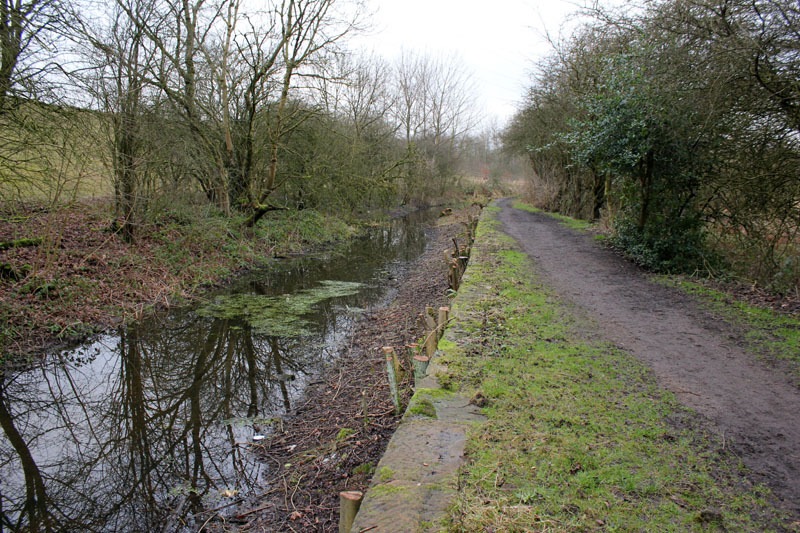 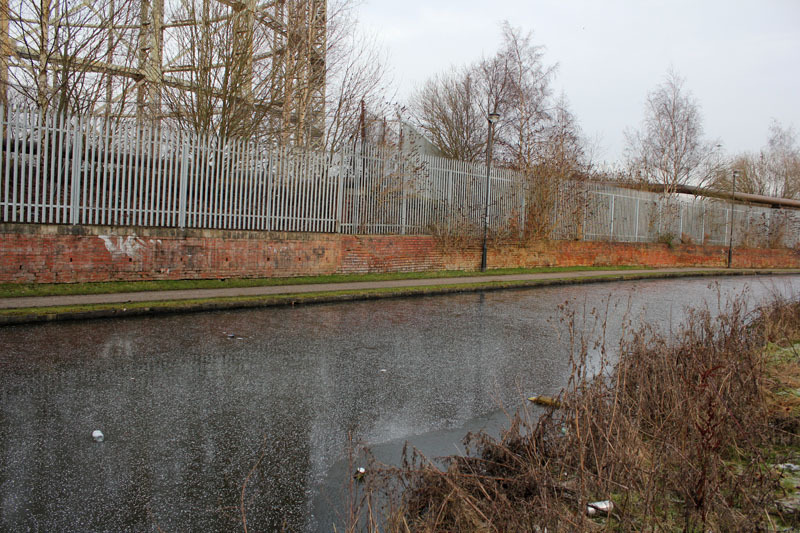 Manchester & Ashton-Under-Lyne Canal (Hollinwood Branch)…. 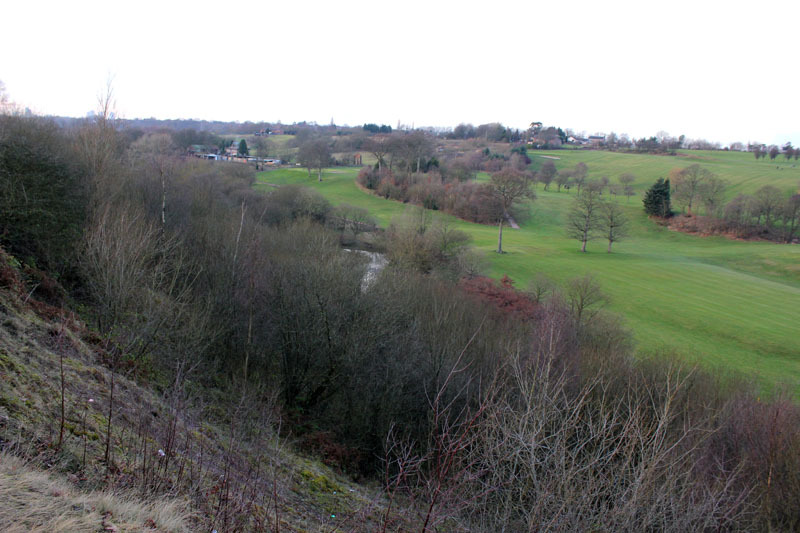 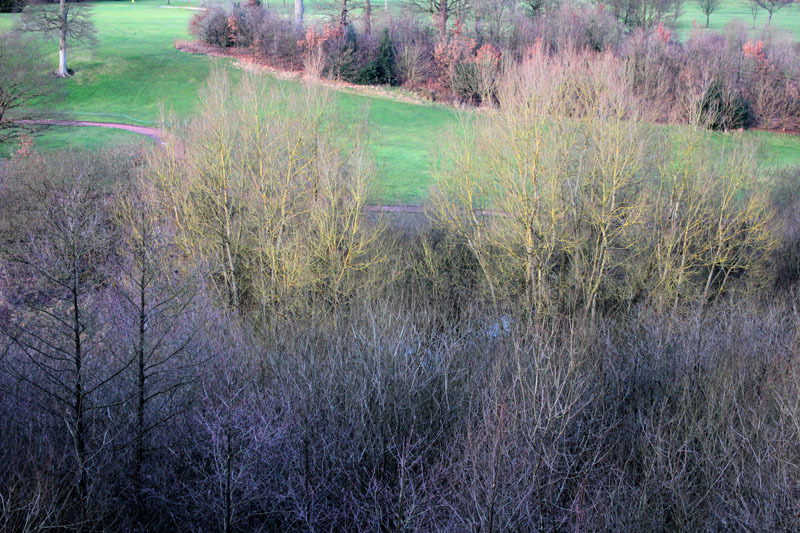 Looking down over the golf course and into the vale…. 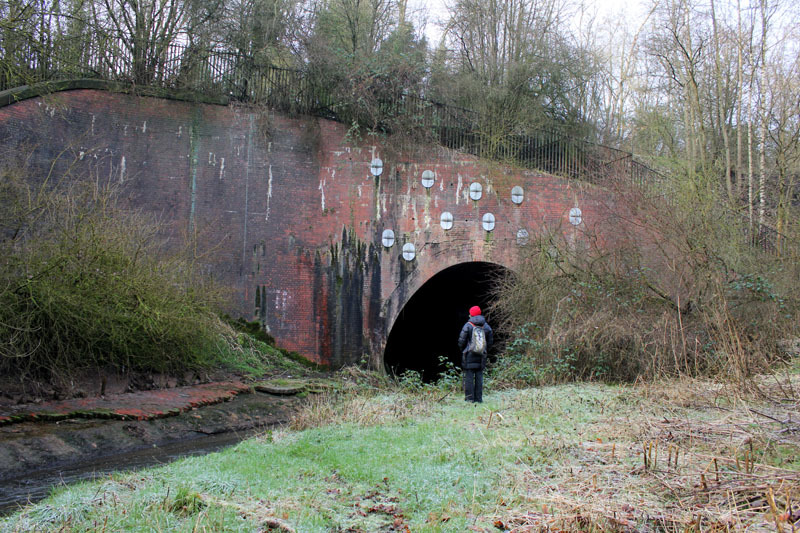 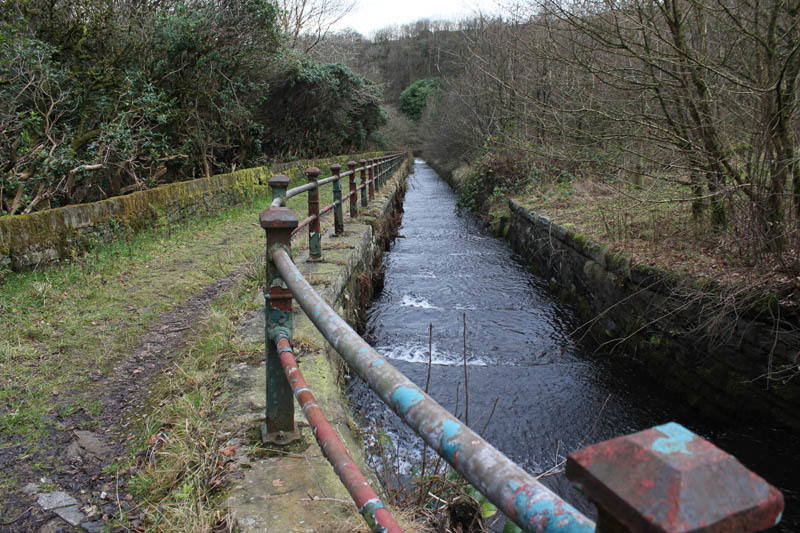 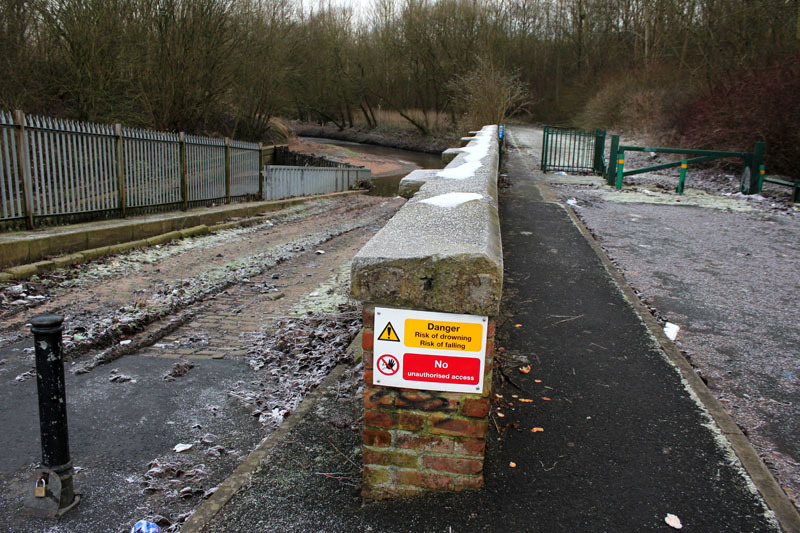 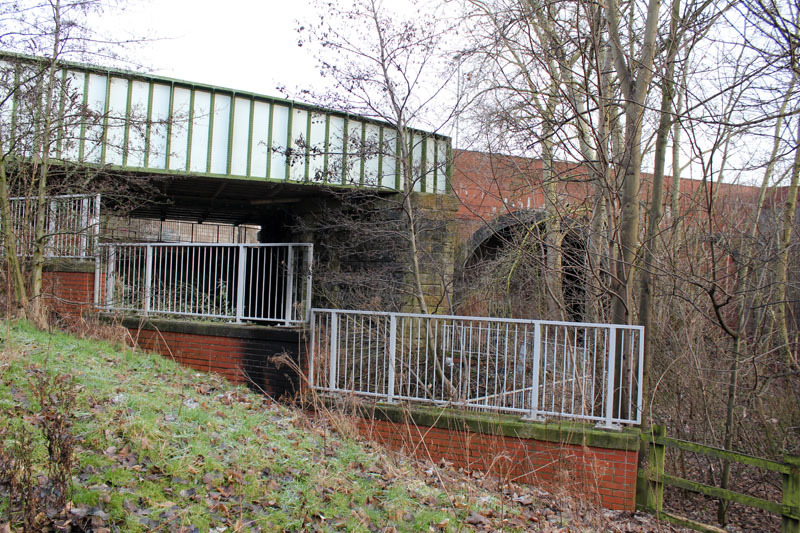 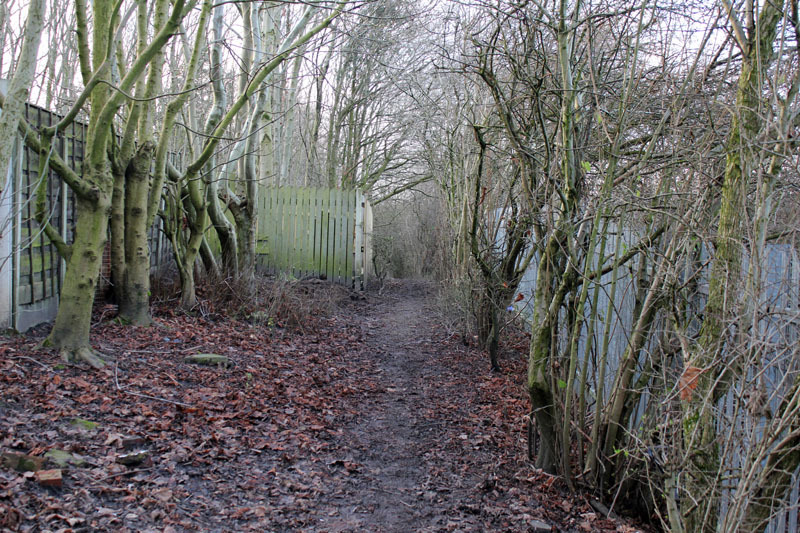 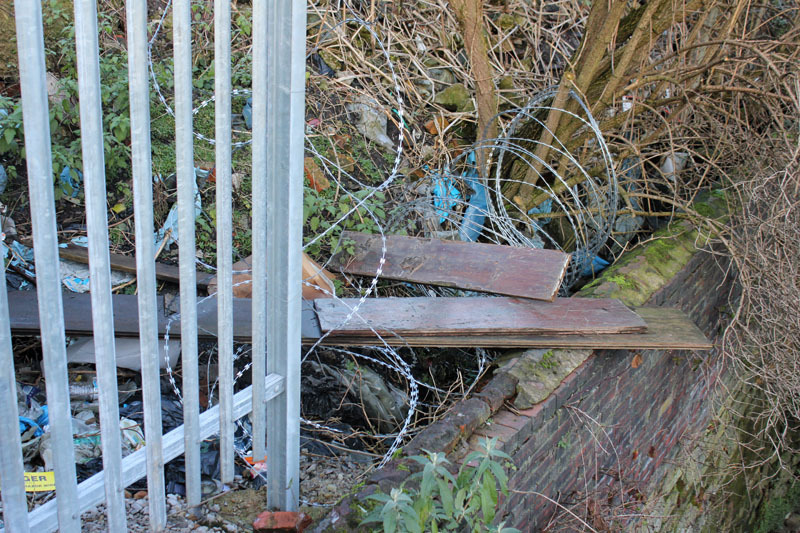 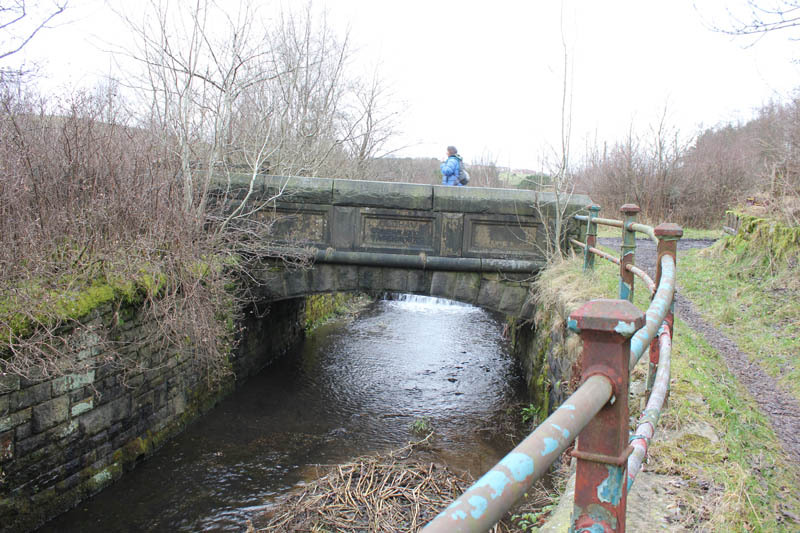 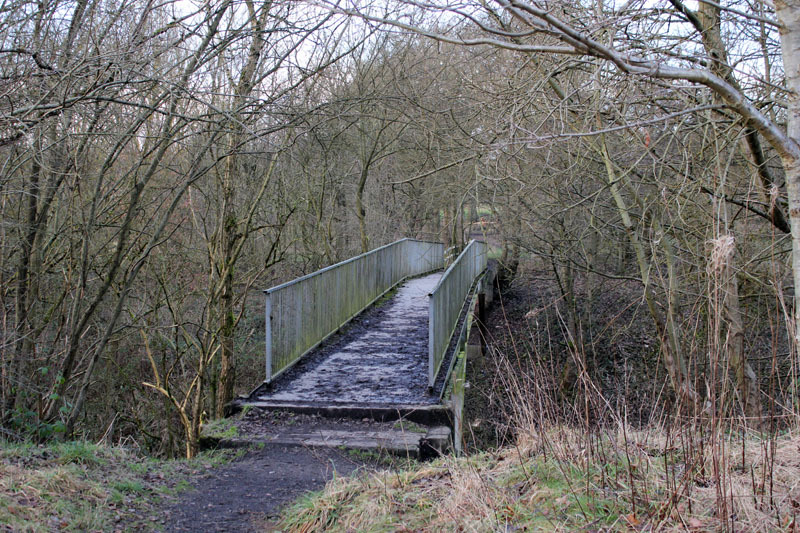 Footpath over railway bridge to Greenside…. 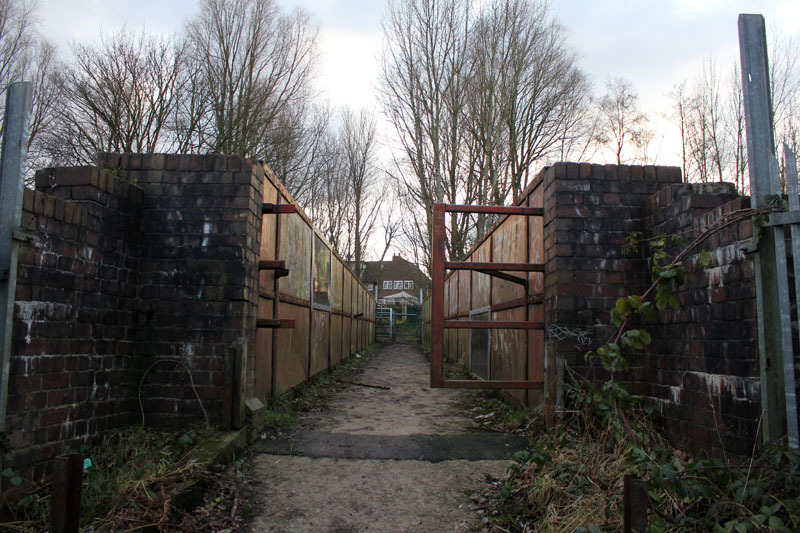 Coming out at the eastern end of Clayton Vale….. 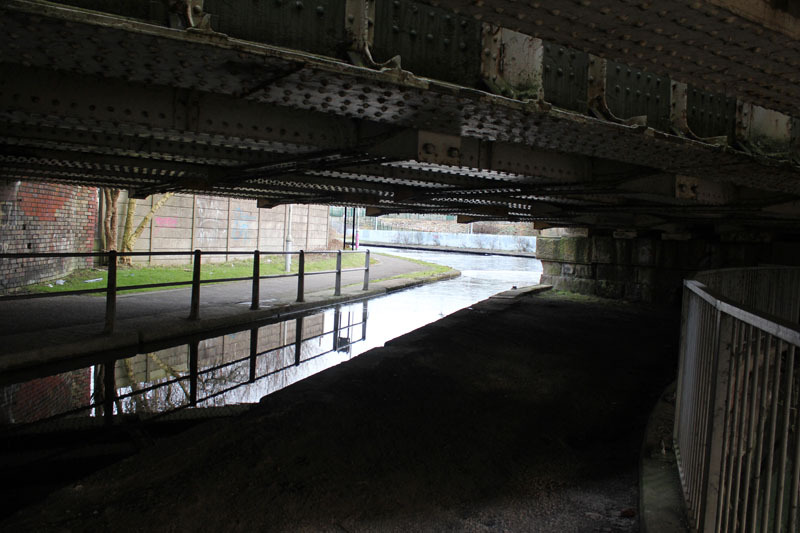 Interesting walk as this part of the Medlock goes under the M60. 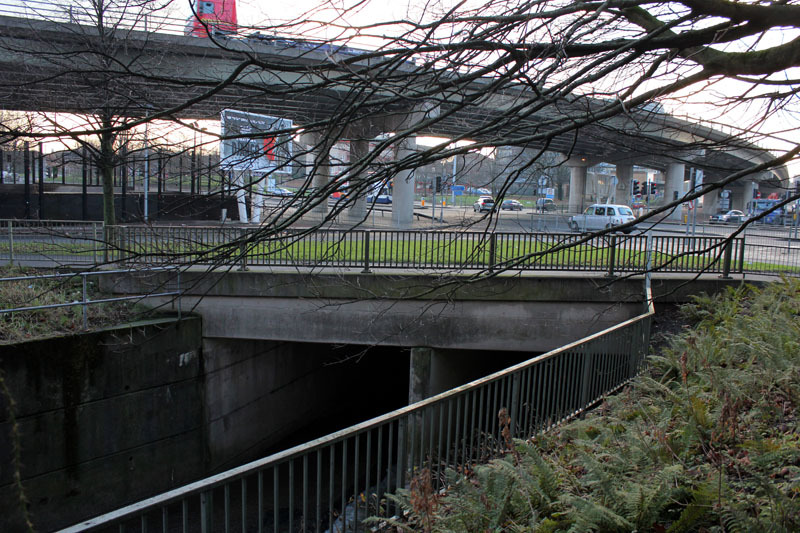 The walk goes under and over the motorway depending on approach. 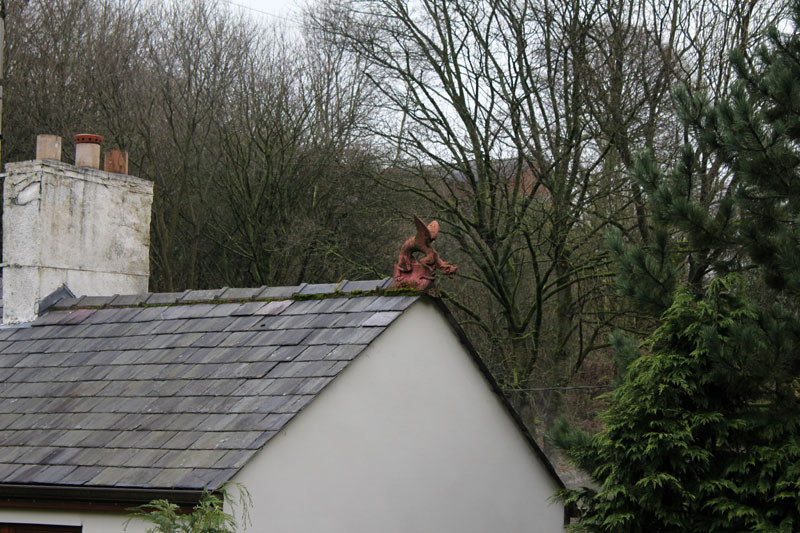 Red Dragon on Oakhill Farm House…. 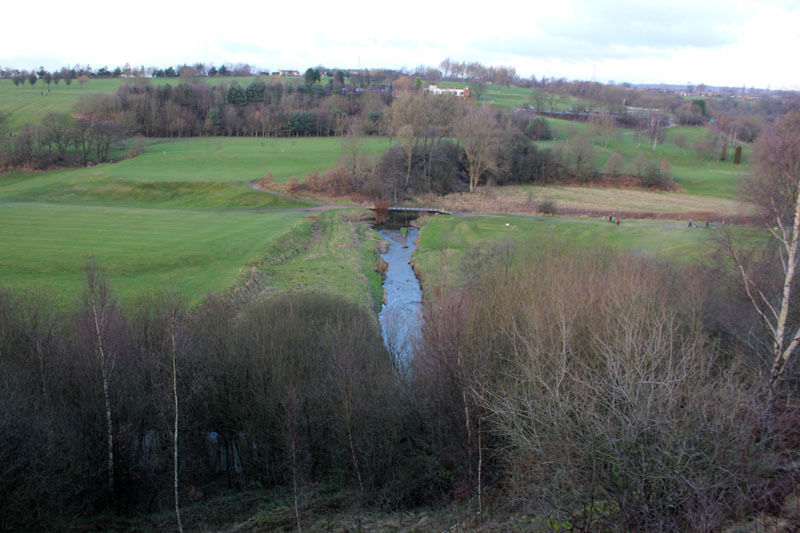 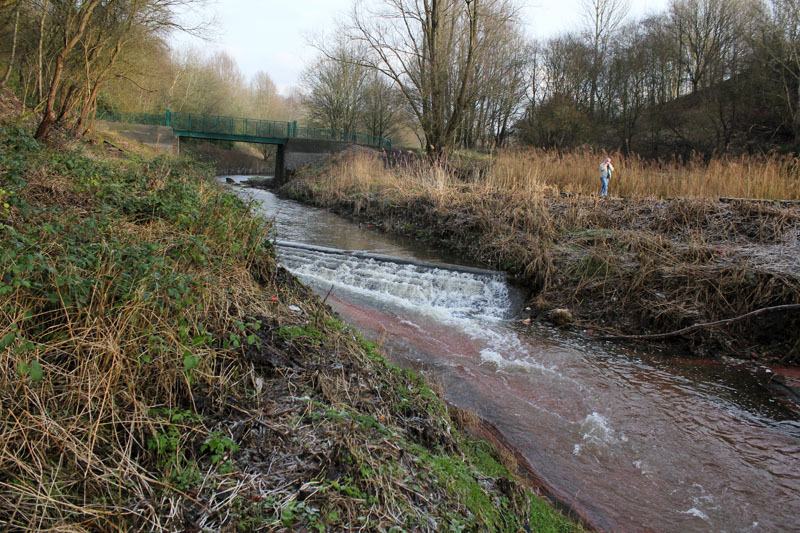 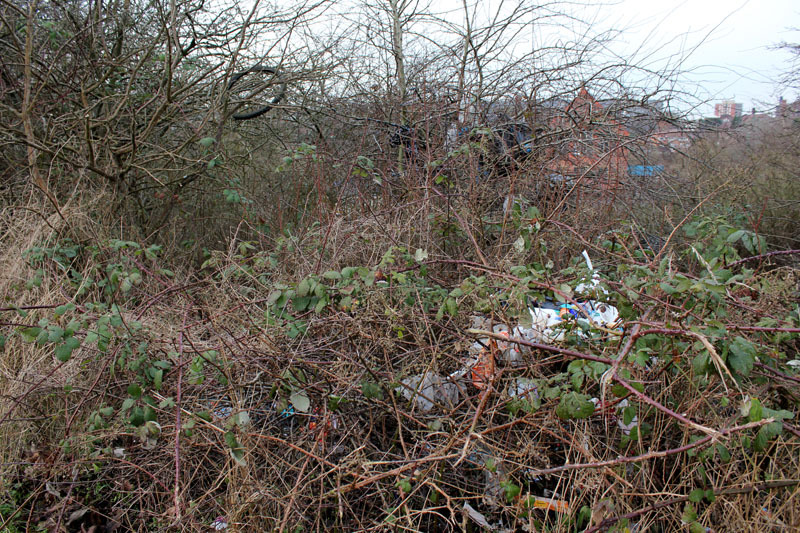 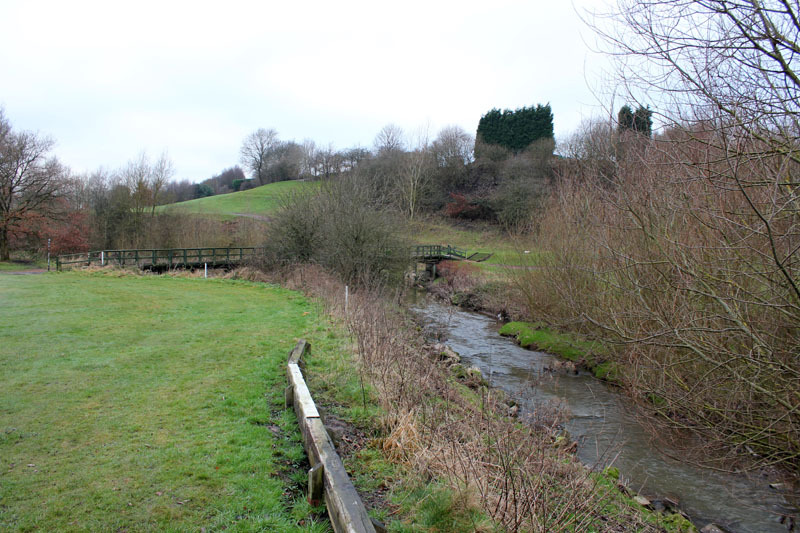 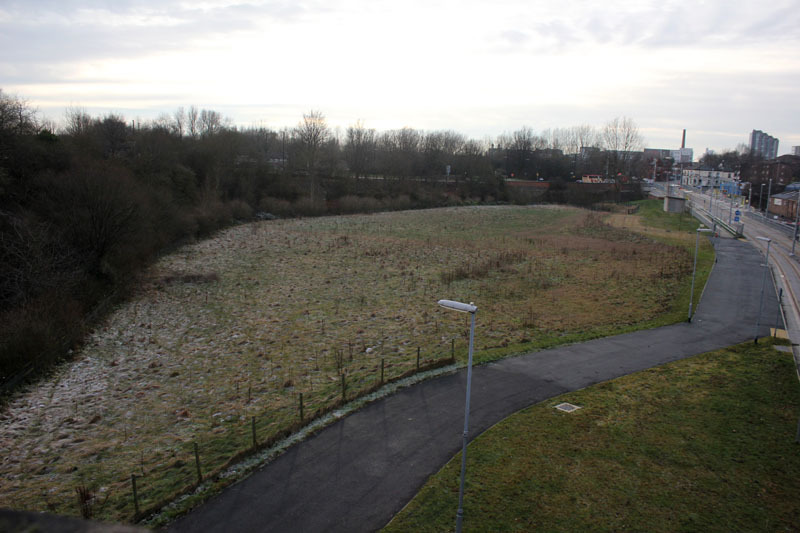 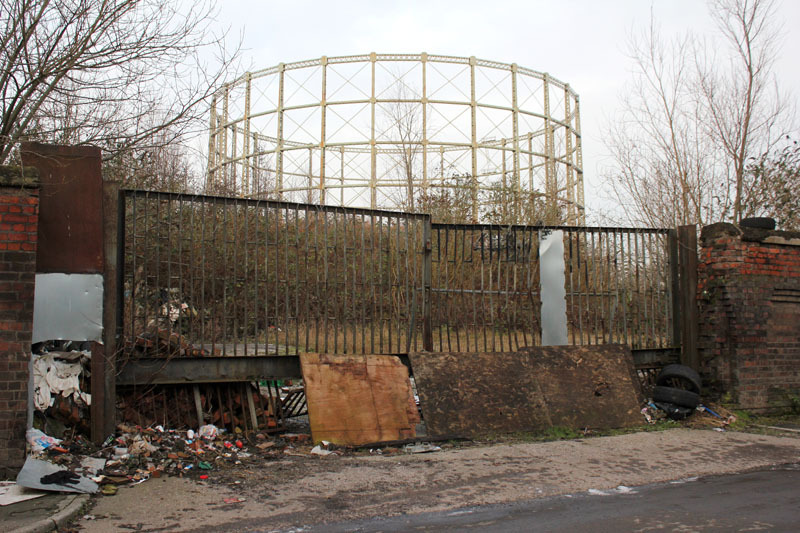 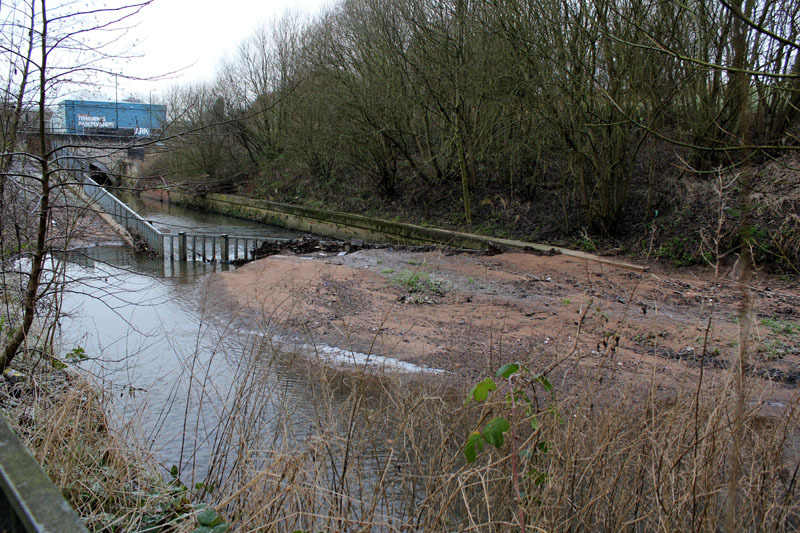 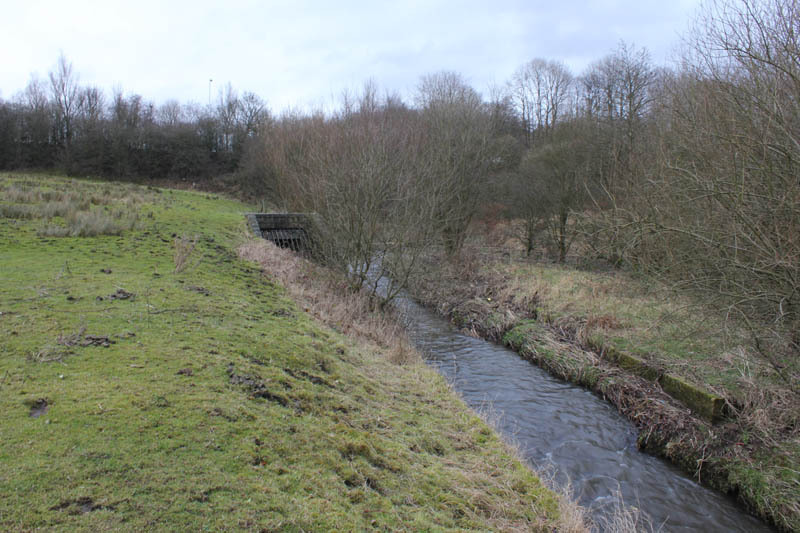 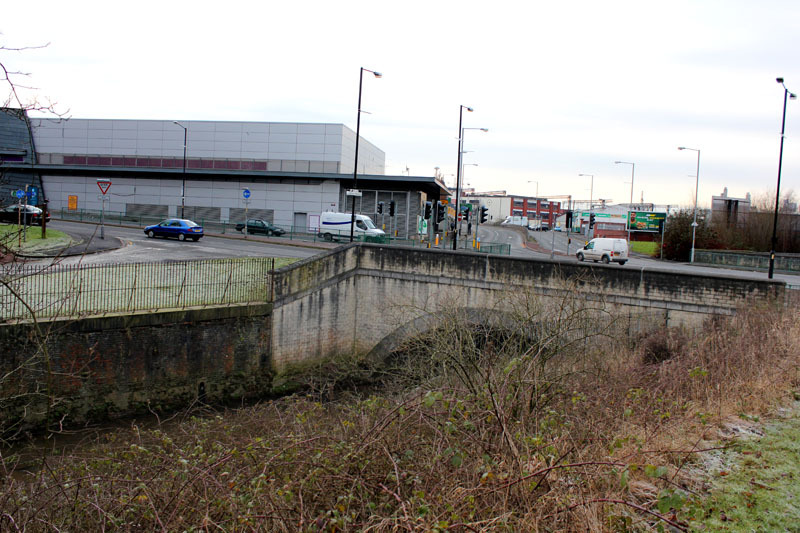 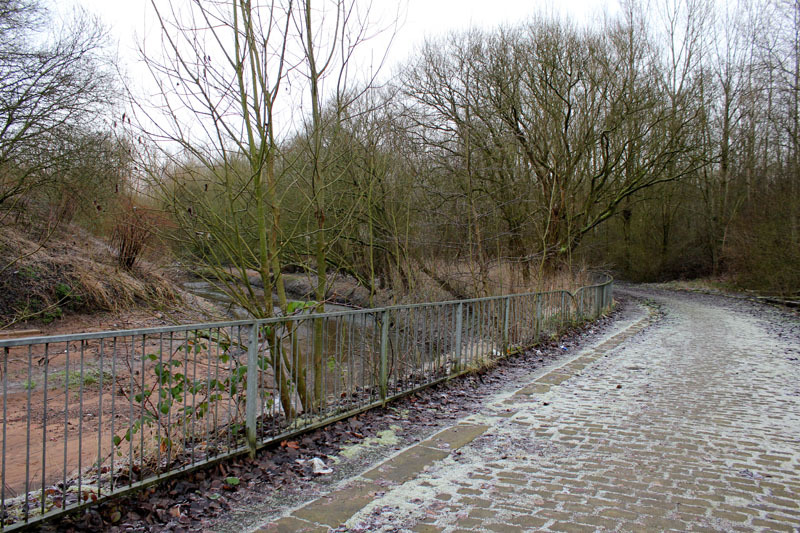 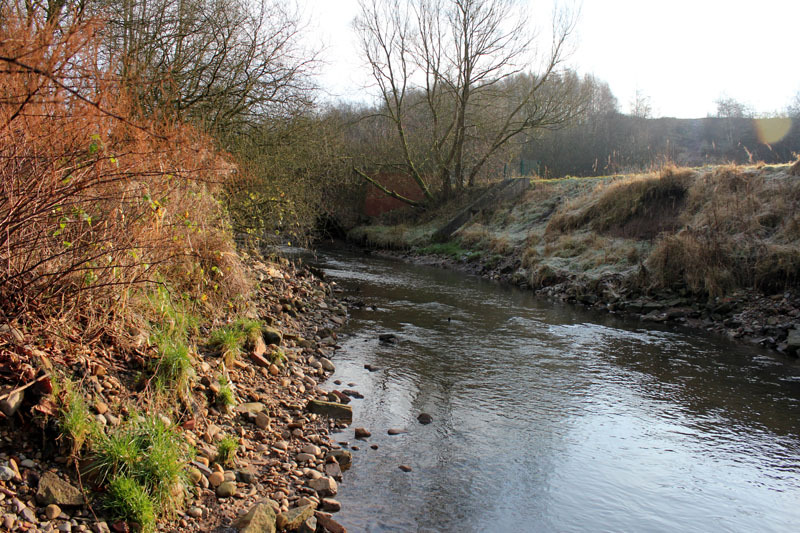 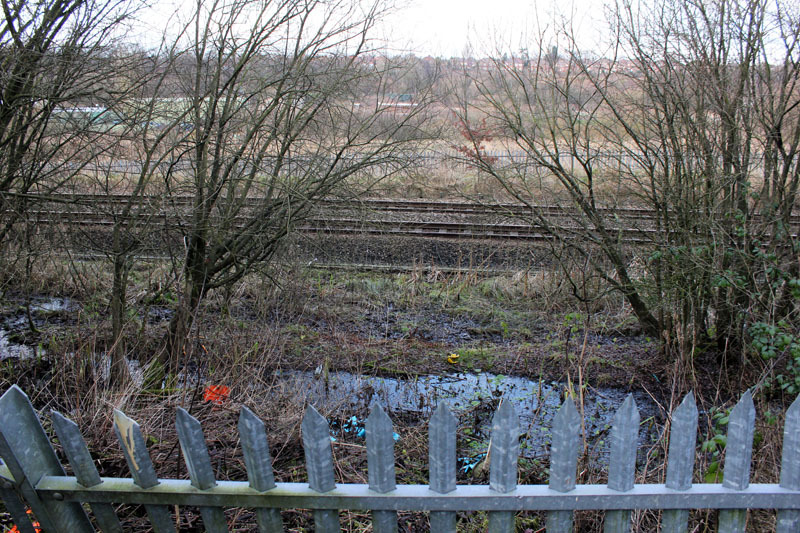 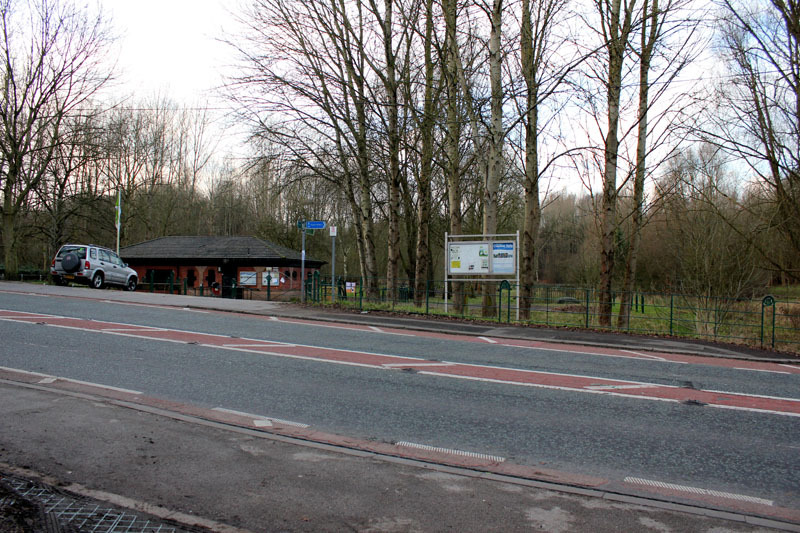 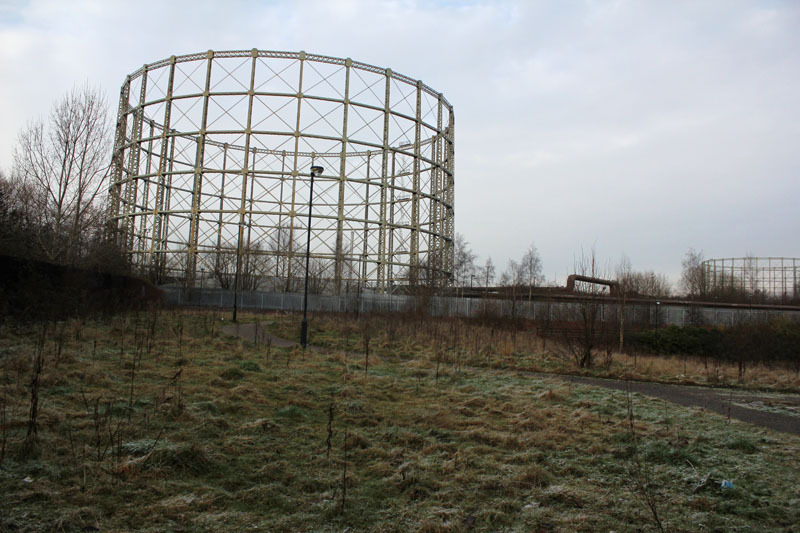 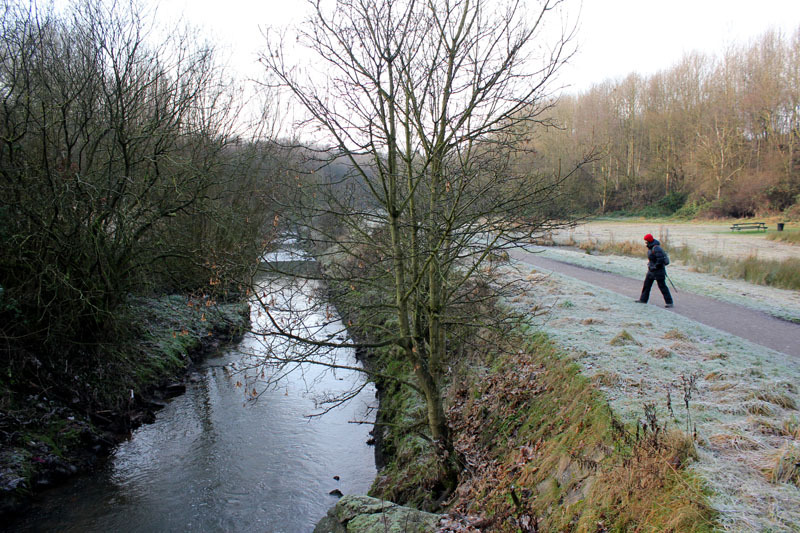 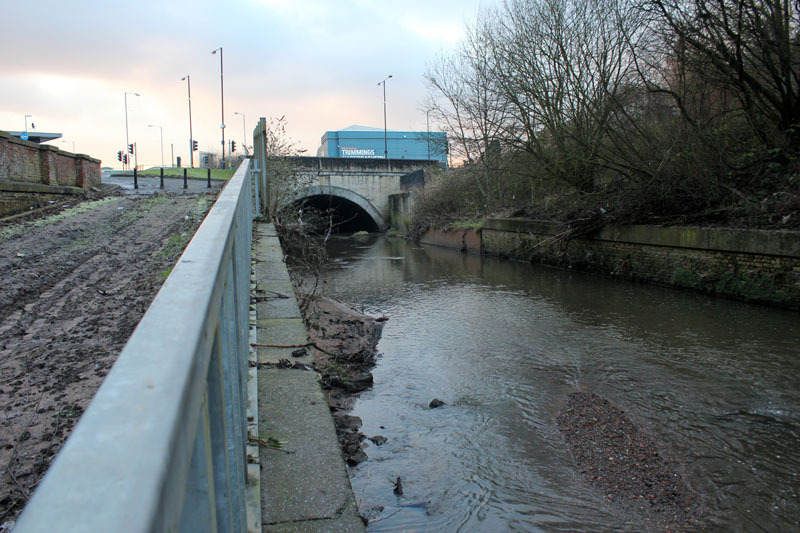 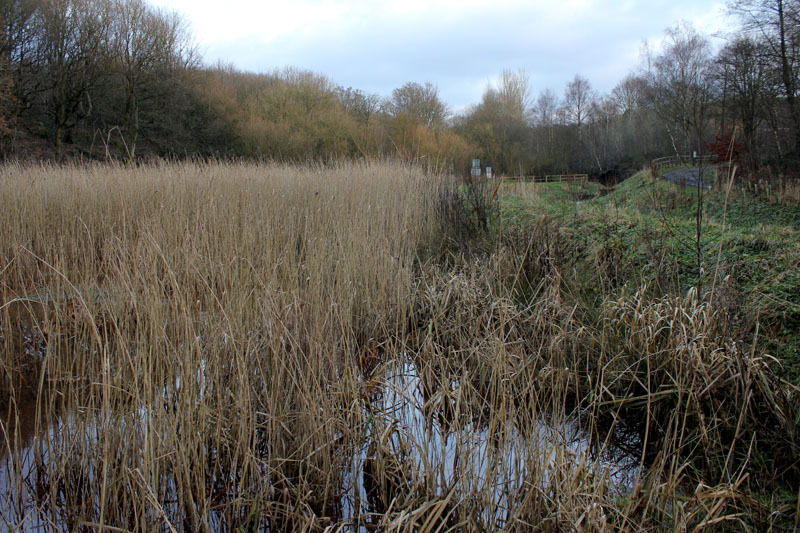 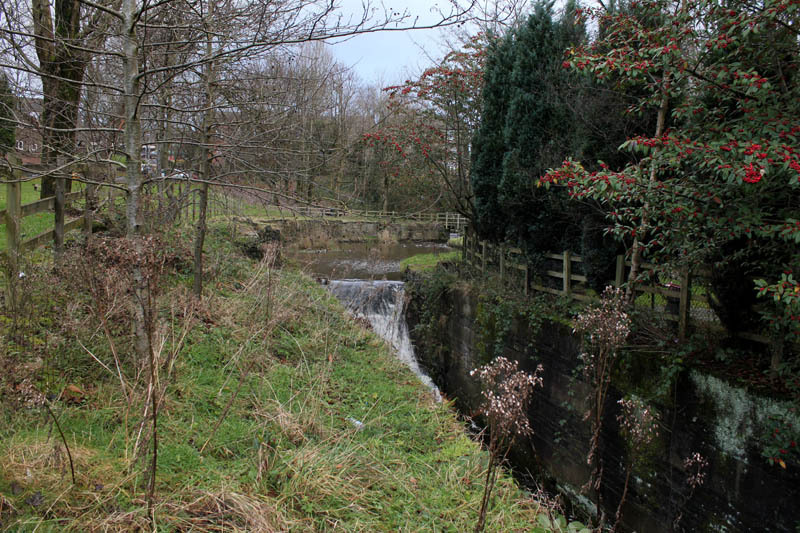 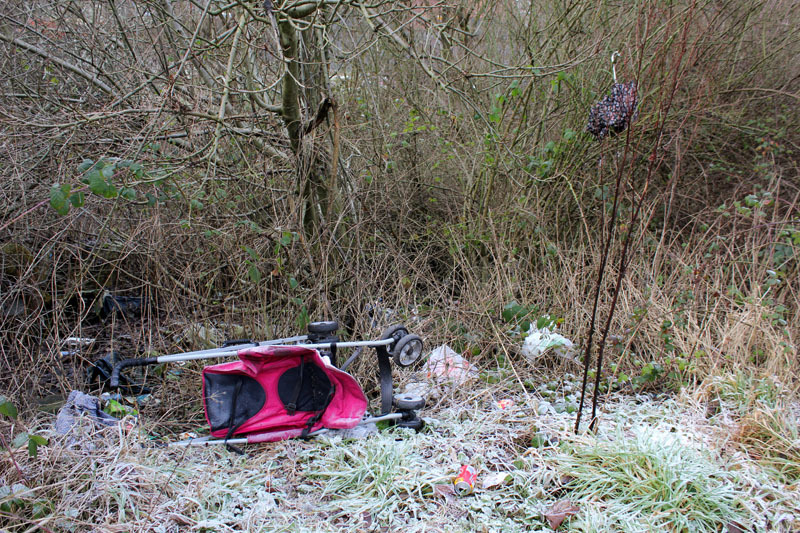 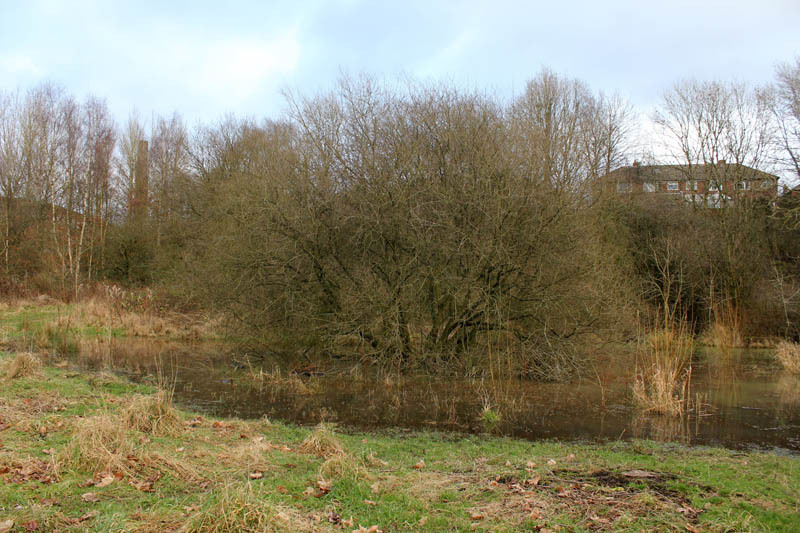 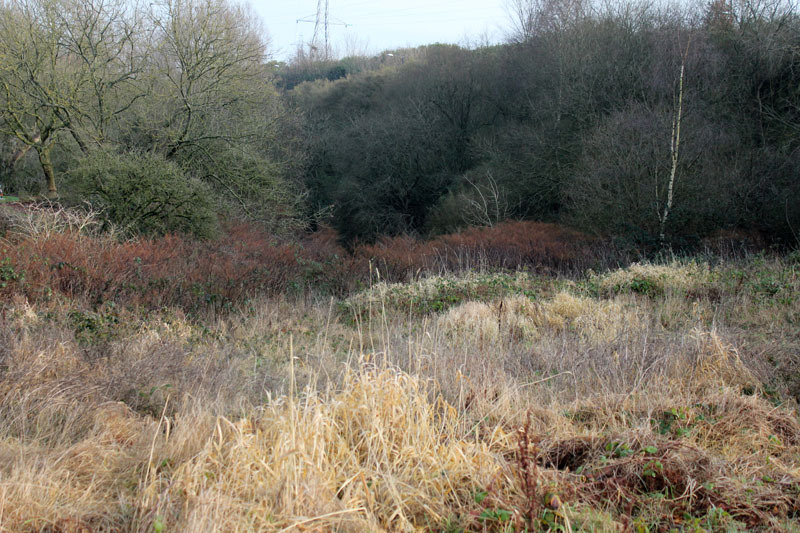 Manchester & Ashton-Under-Lyne Canal (Hollinwood Branch)…..
Down to Brookdale Golf Course…. 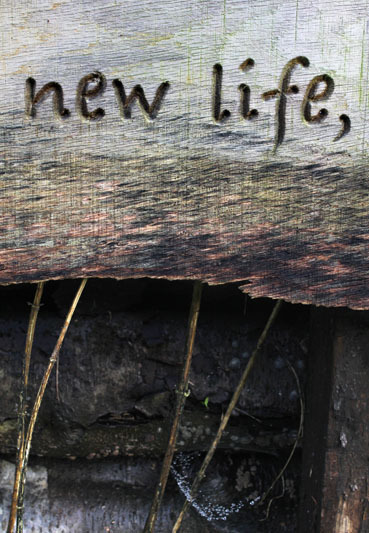 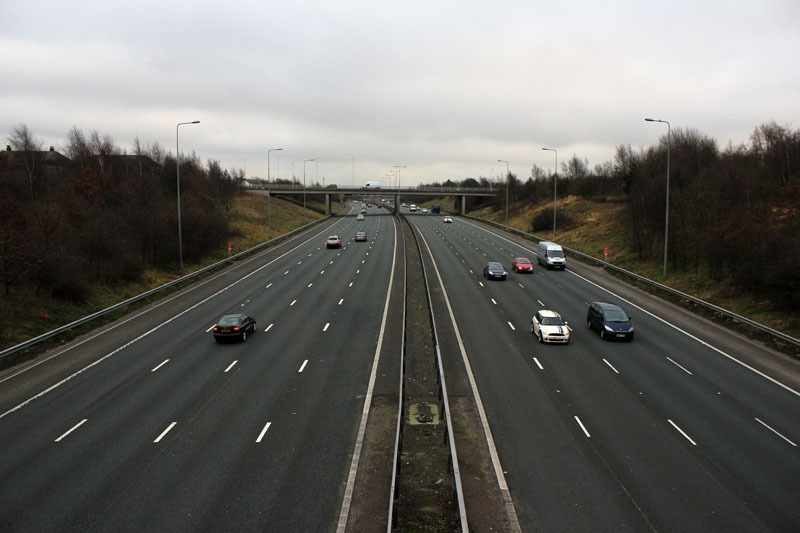 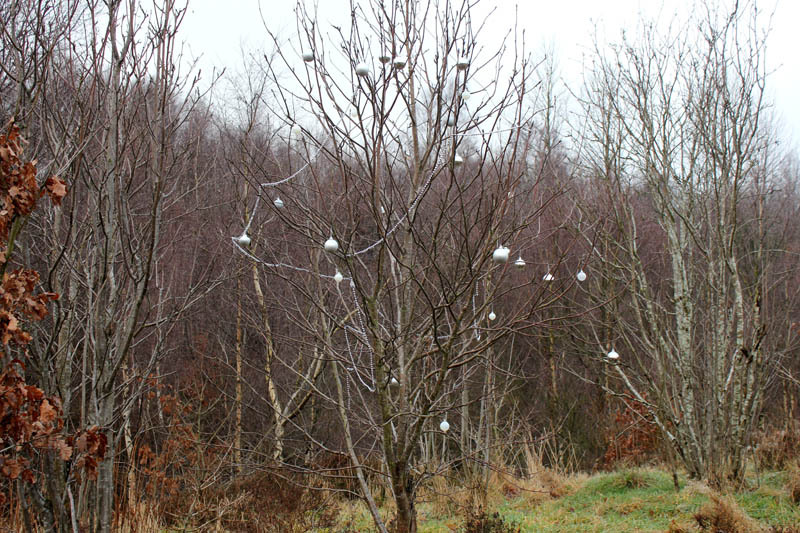 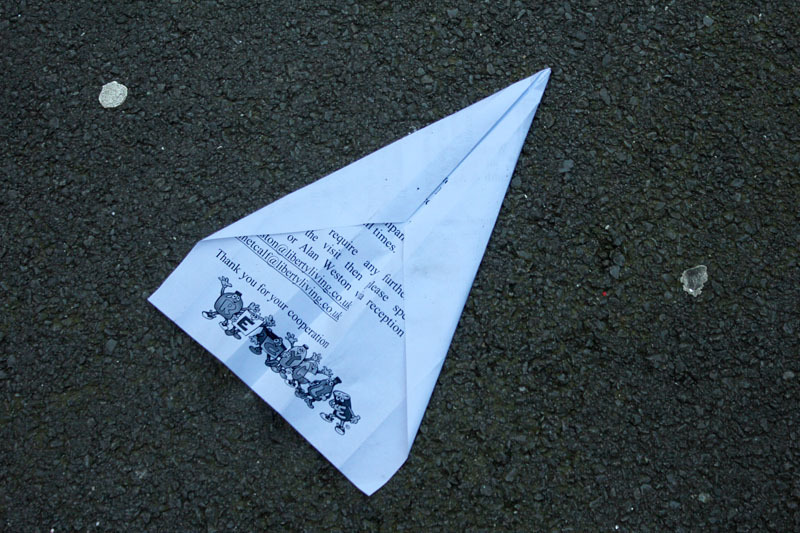 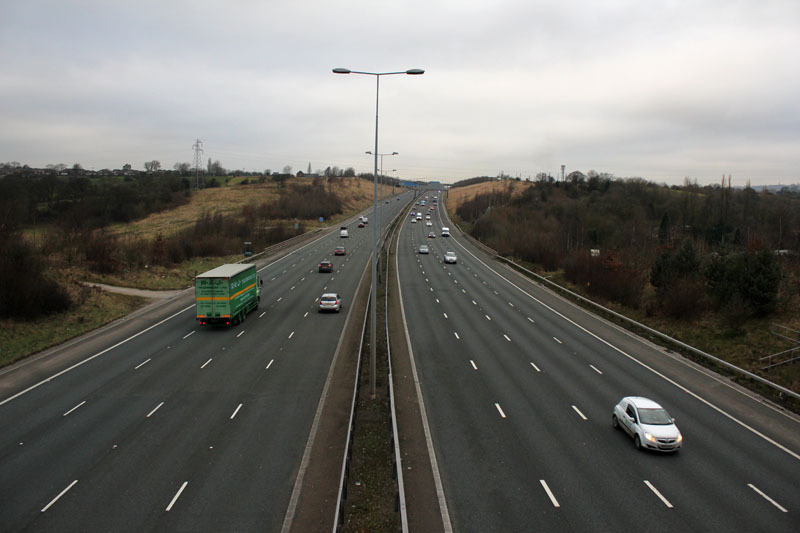 Cutting back down to the M60…. 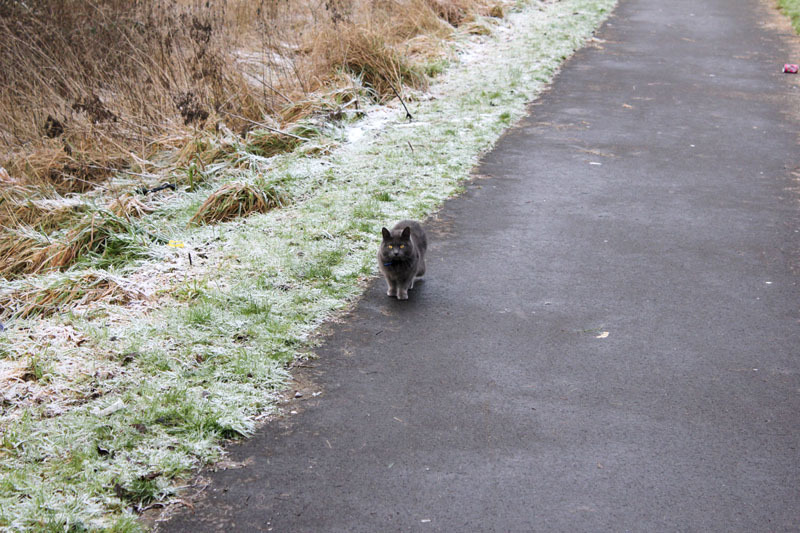 5th & 6th Jan 2013. 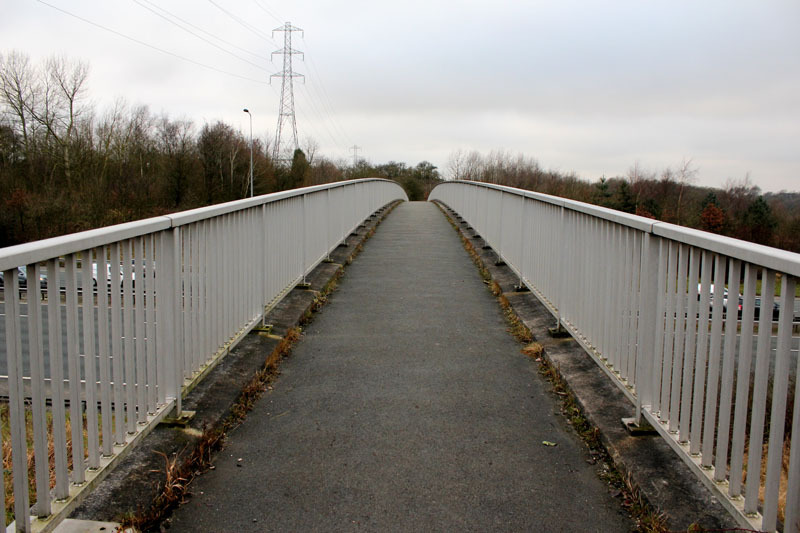 Returning to Park Bridge for more local exploration and then a second day walking from Park Bridge to the start of Daisy Nook. 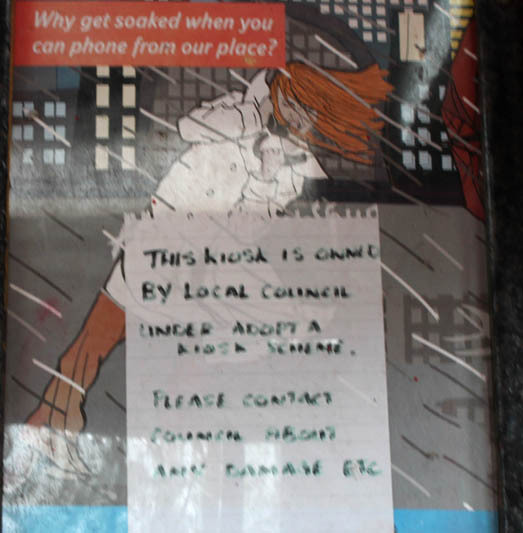 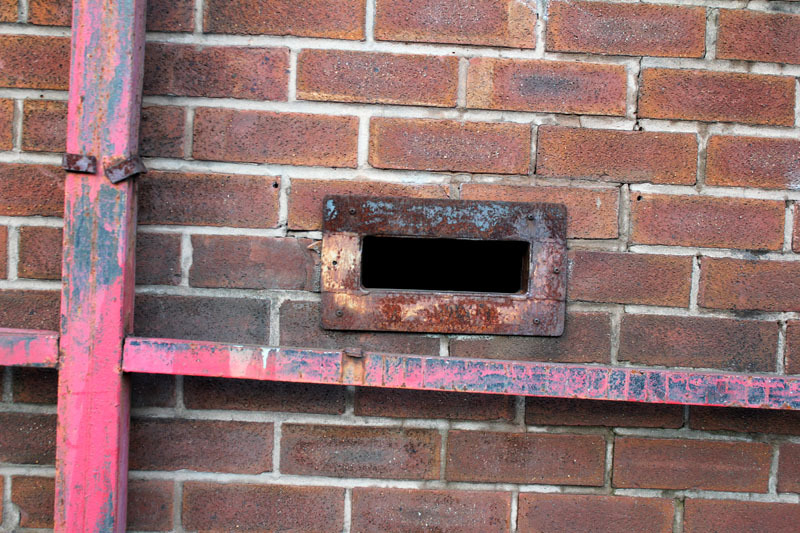 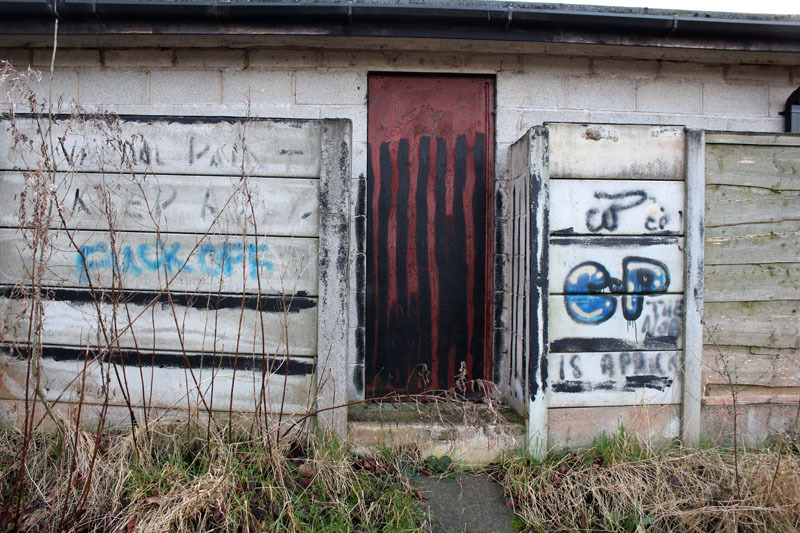 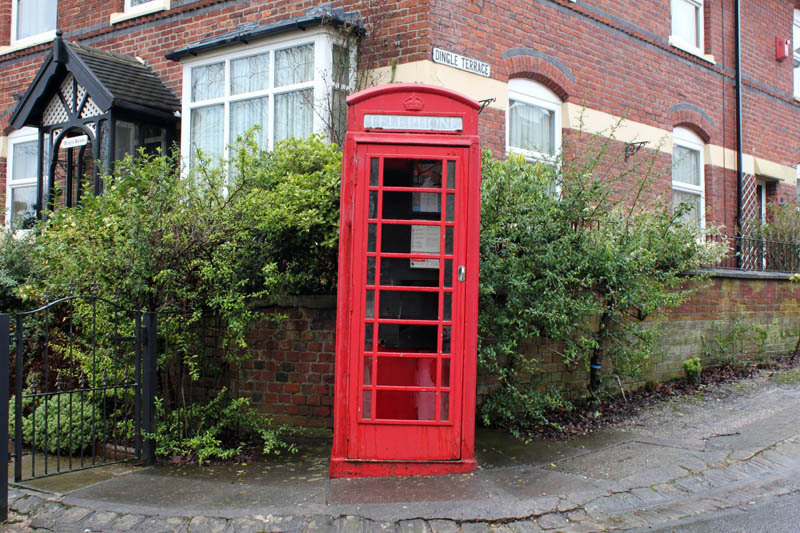 Derelict K6 phone box at Dingle Terrace…. 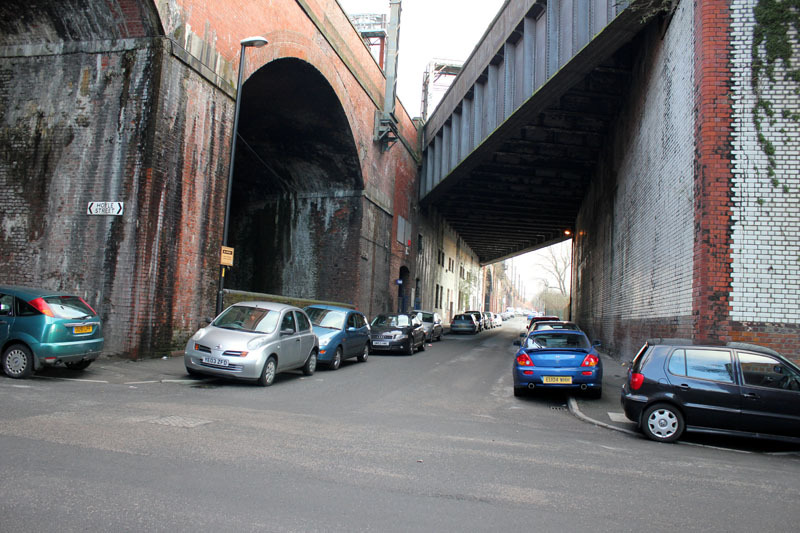 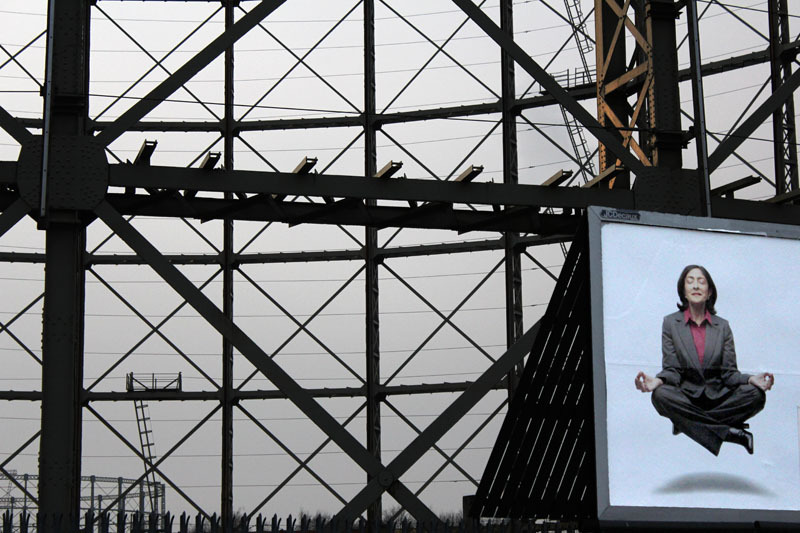 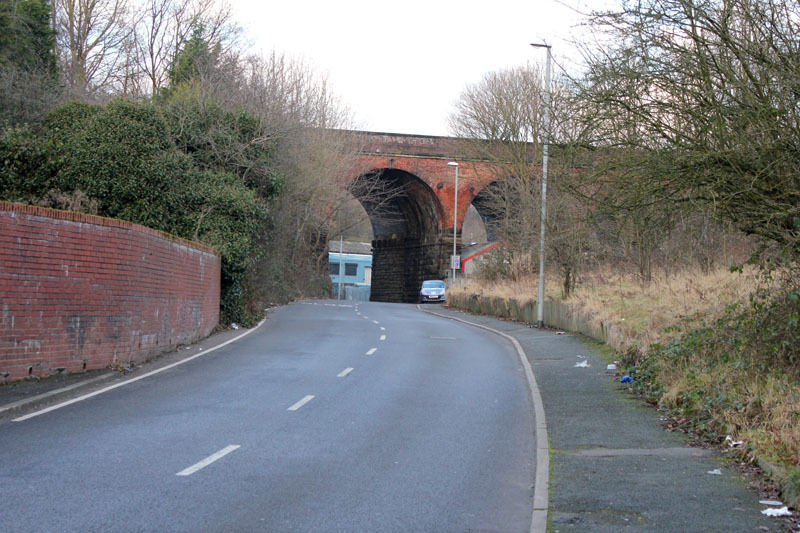 The vast railway viaduct is sadly no longer…. 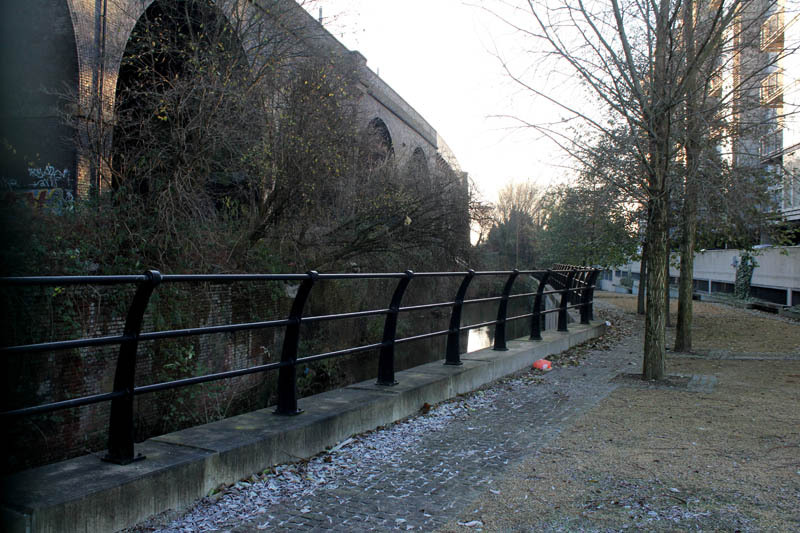 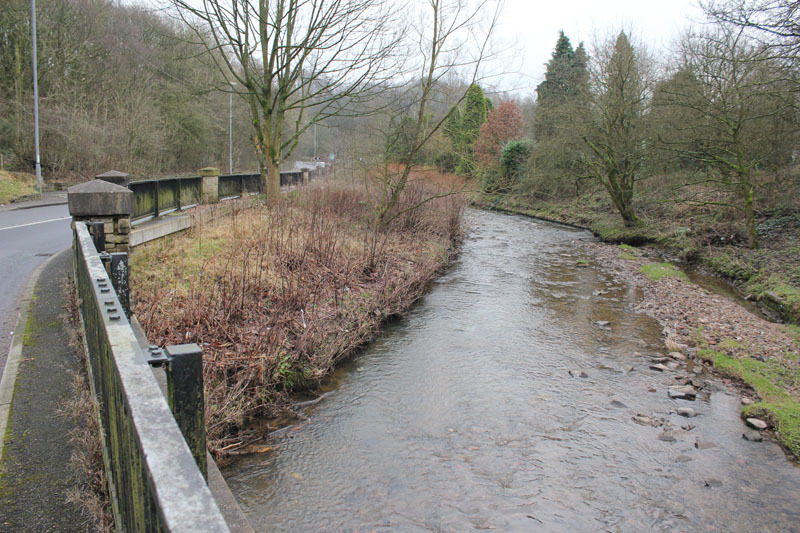 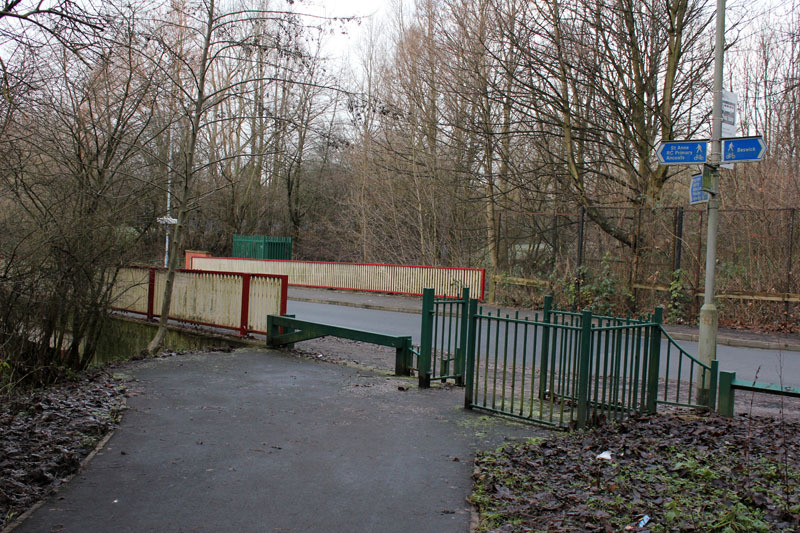 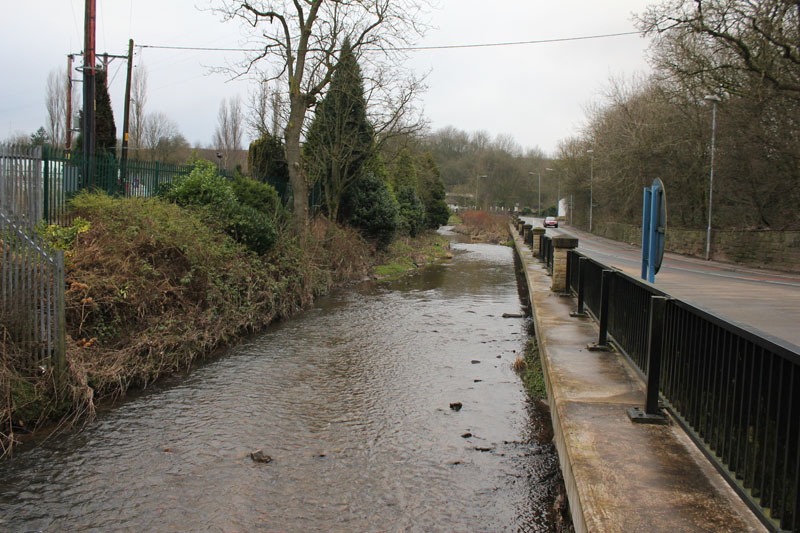 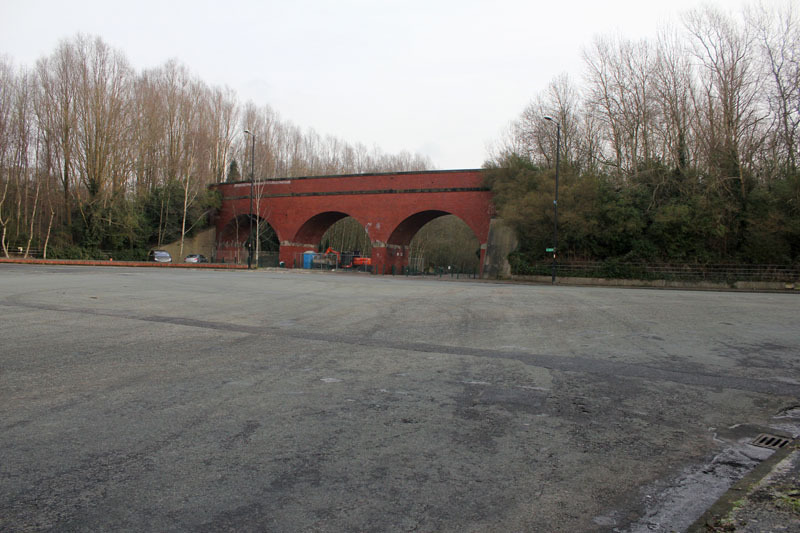 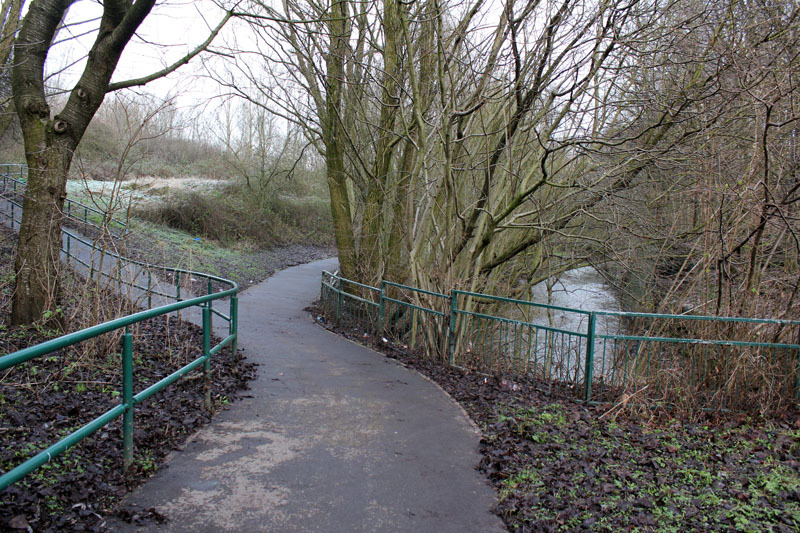 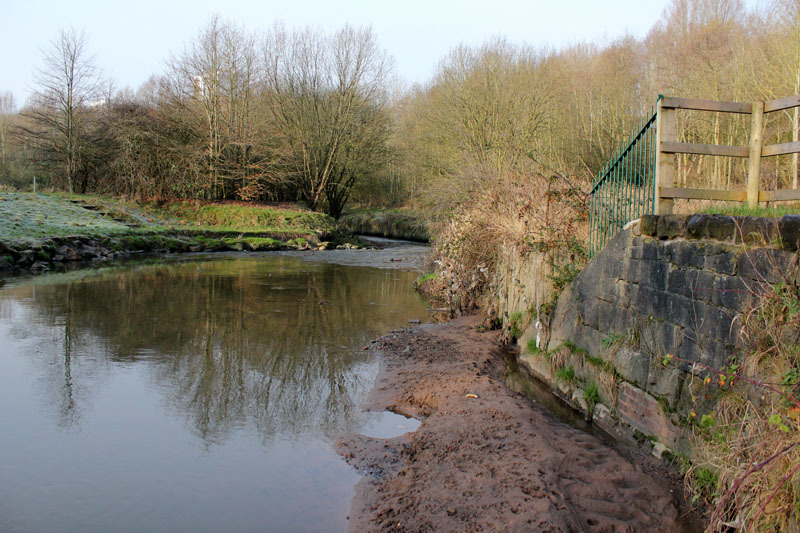 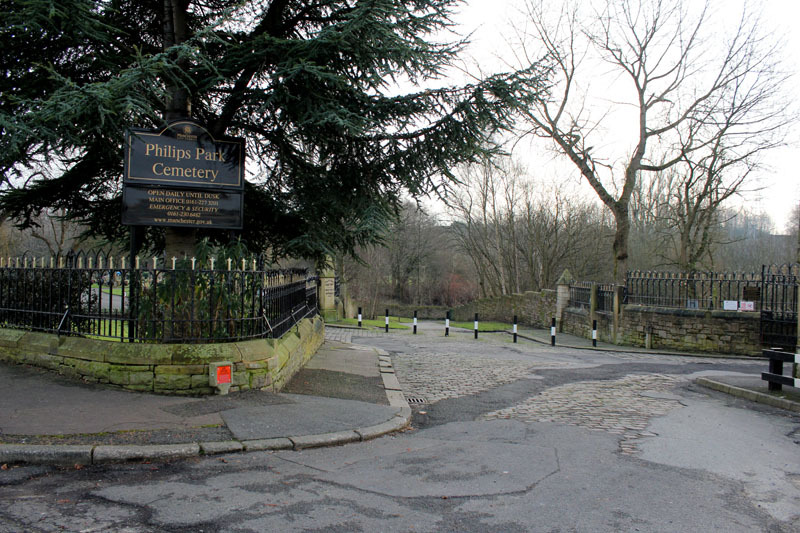 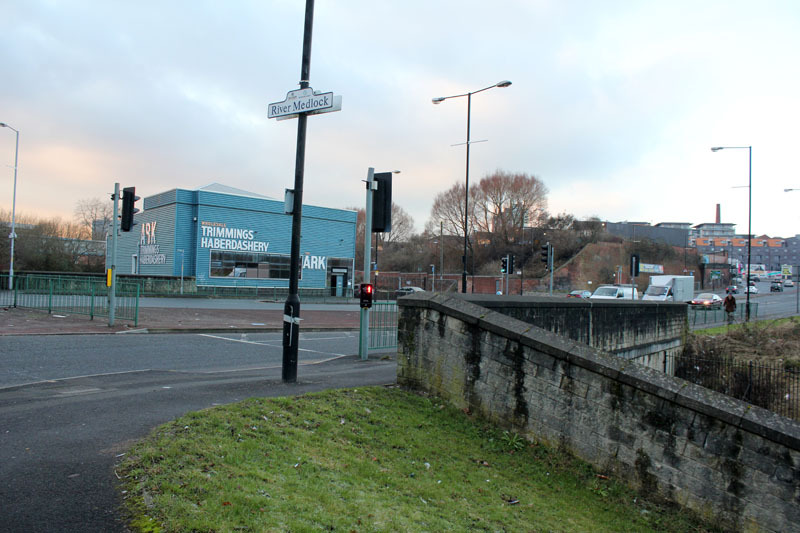 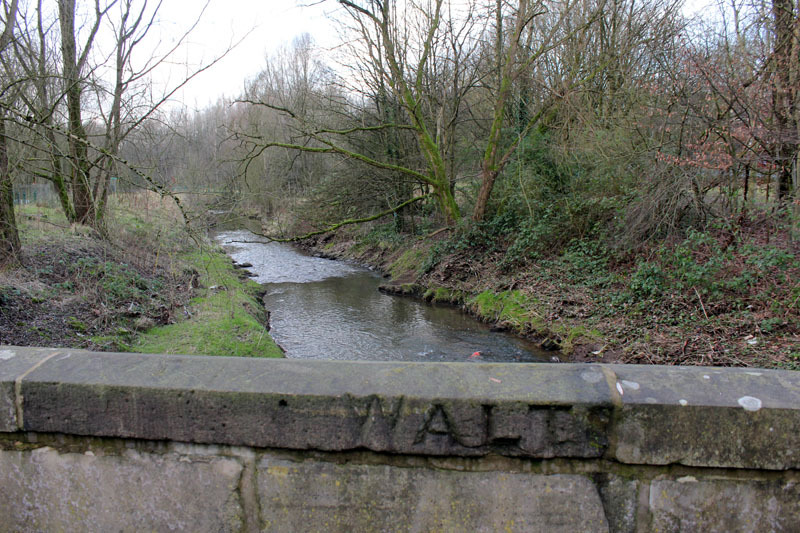 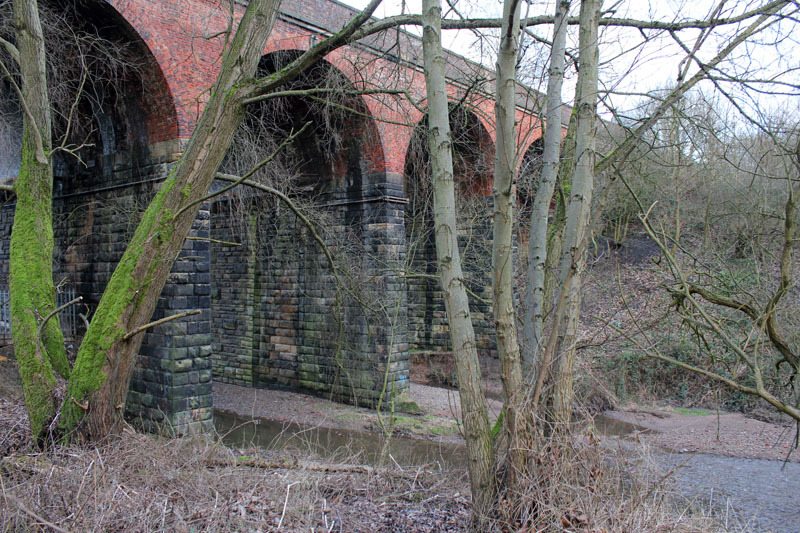 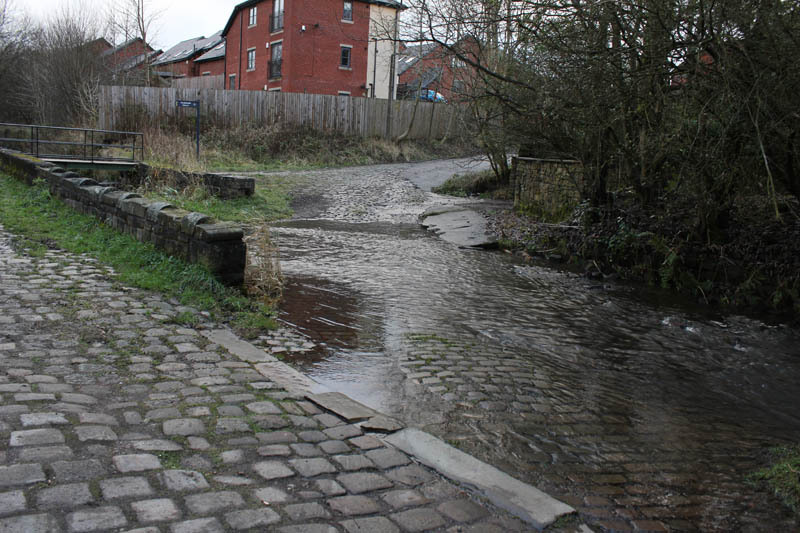 Park Bridge Road runs alongside the Medlock…. 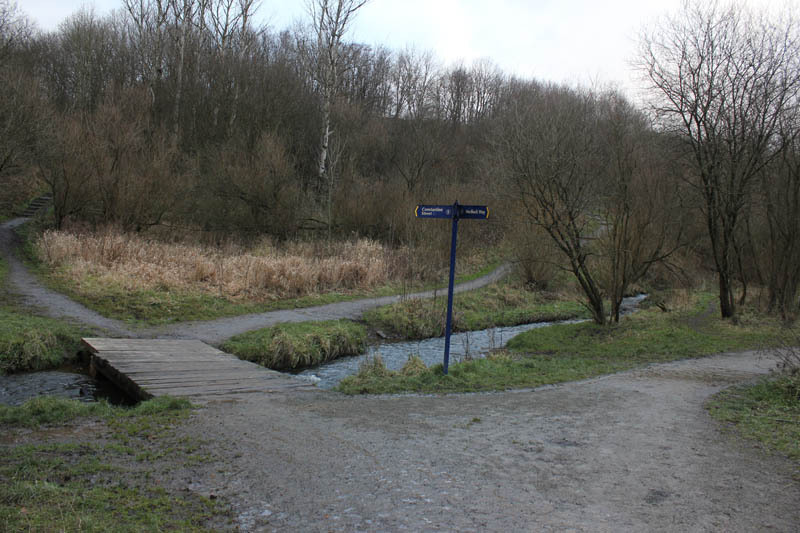 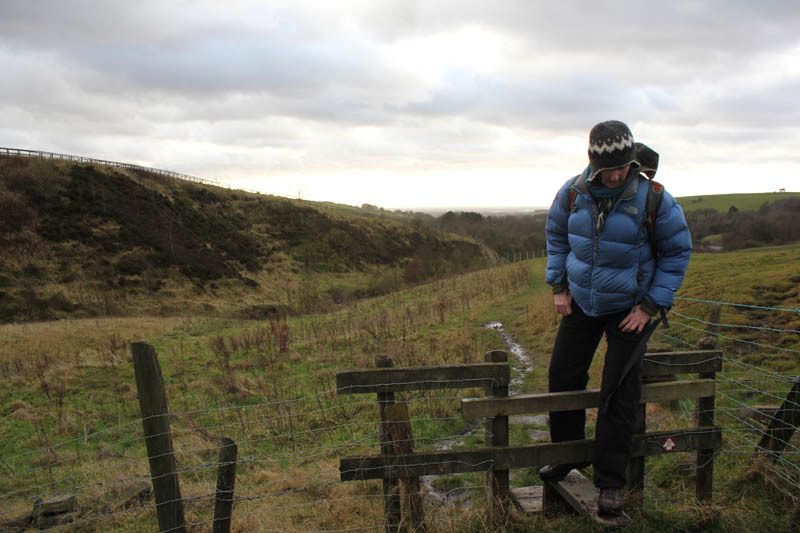 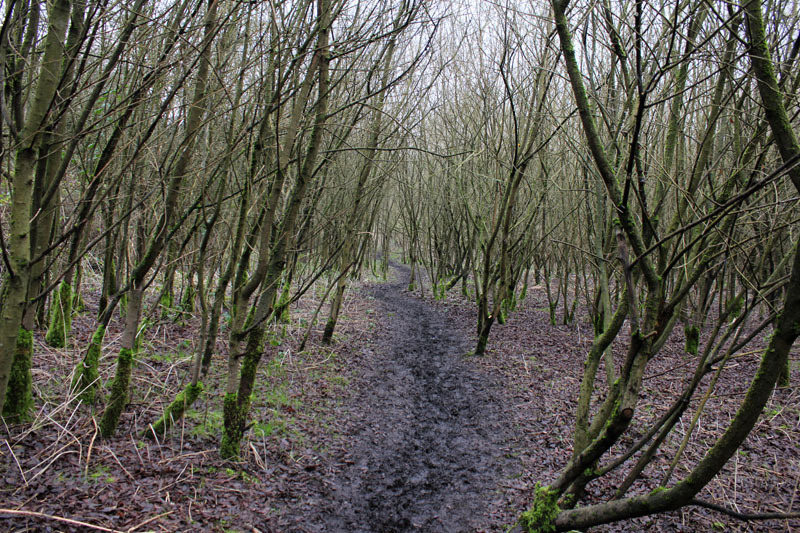 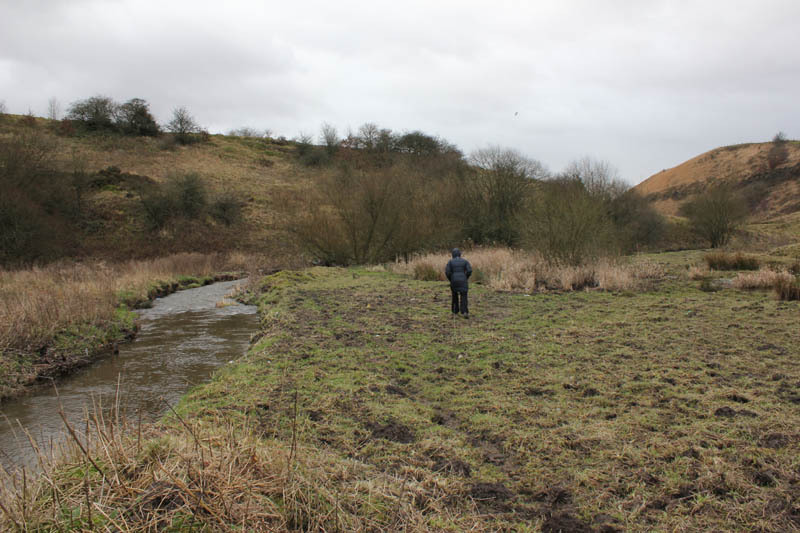 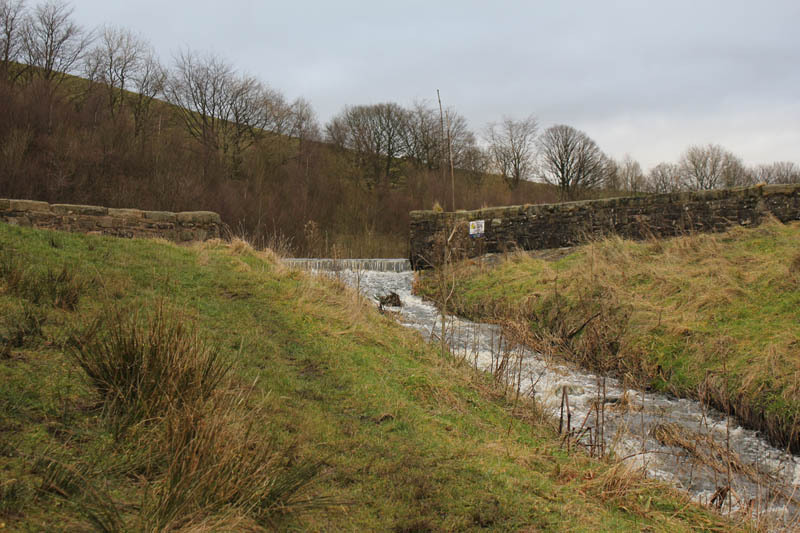 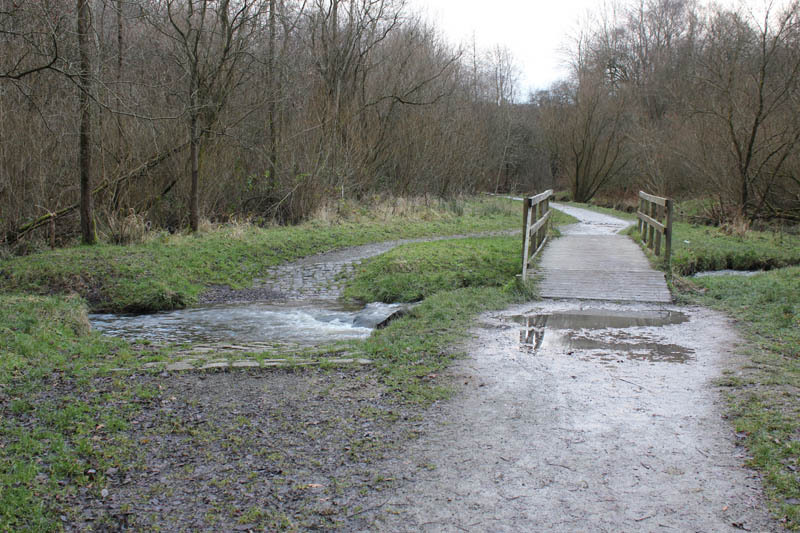 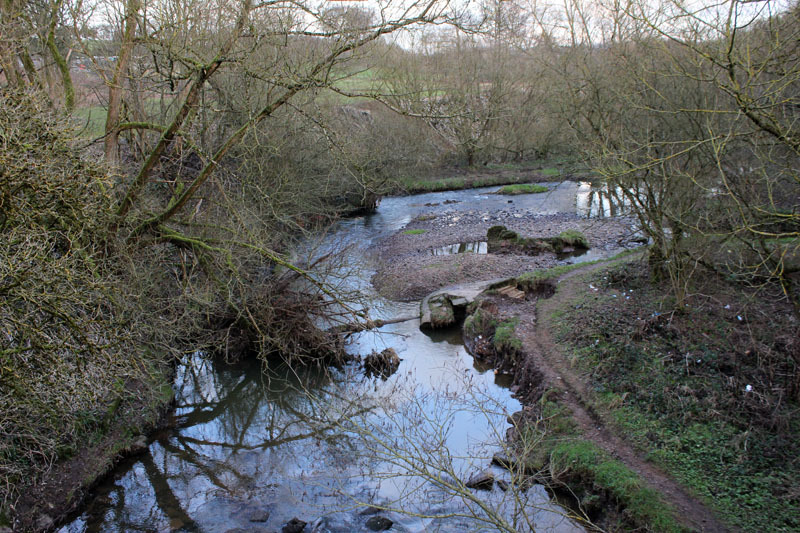 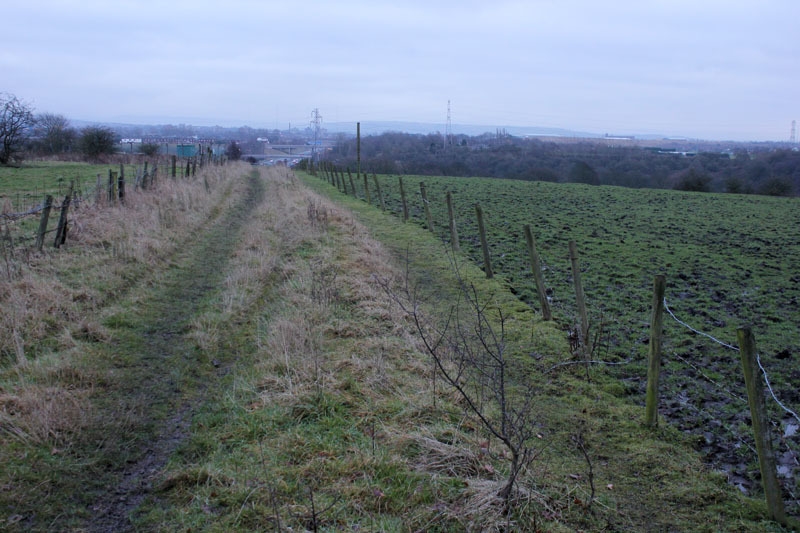 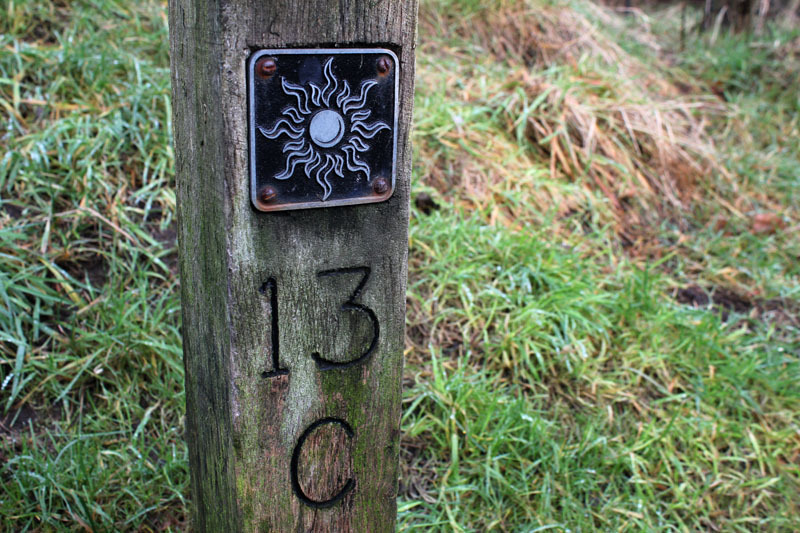 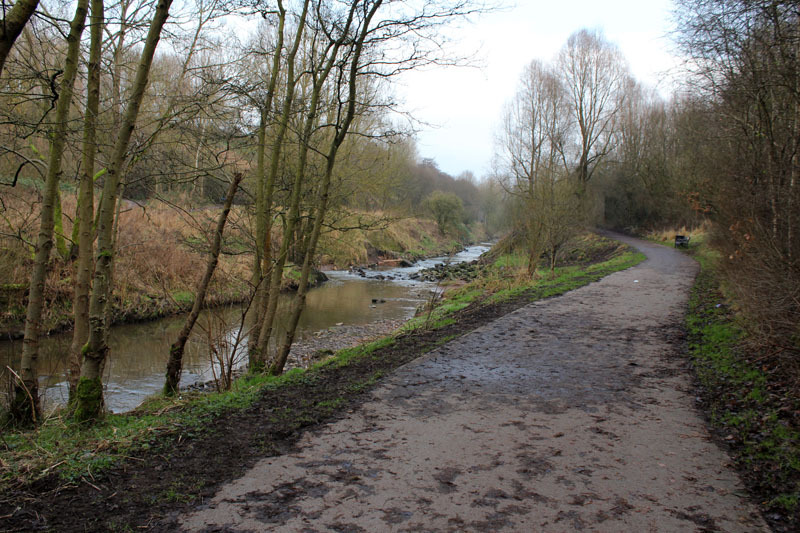 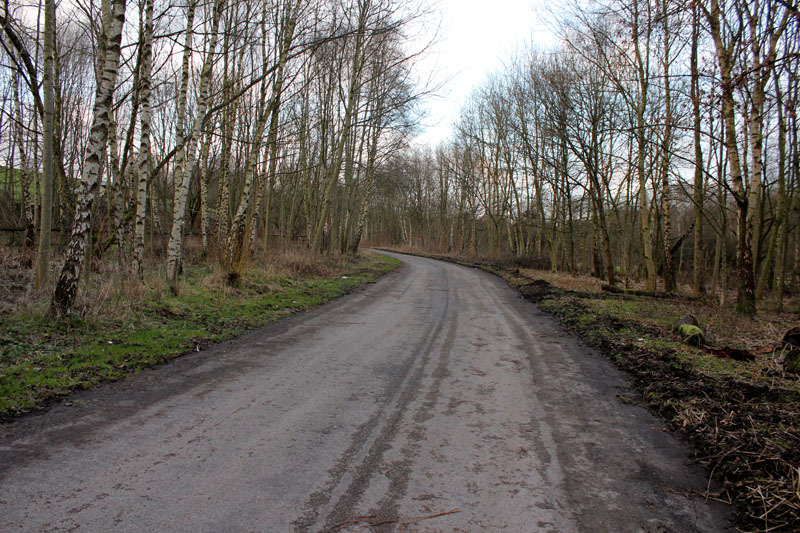 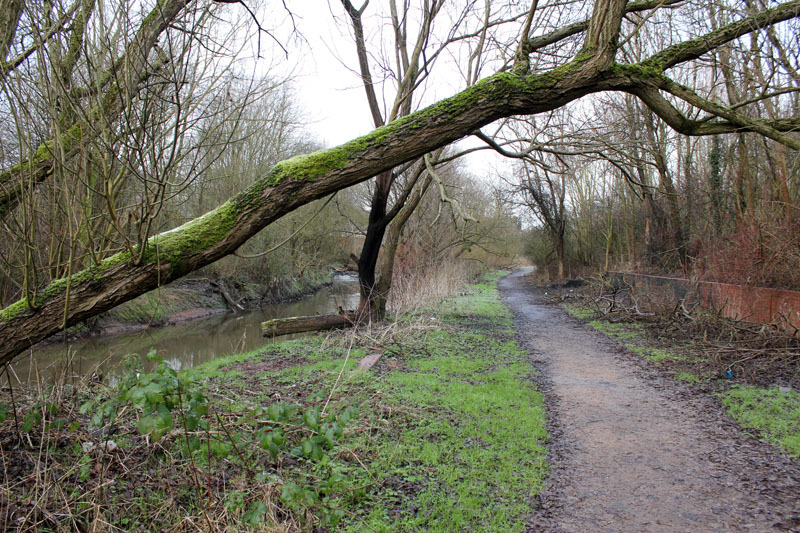 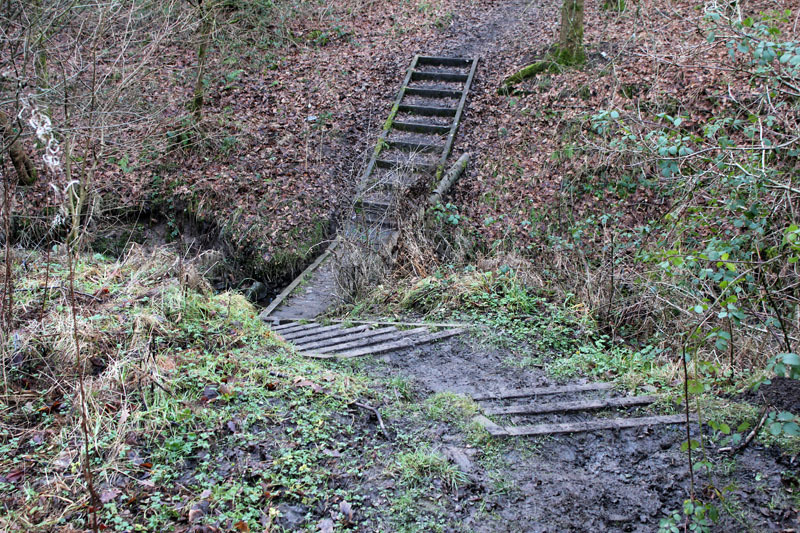 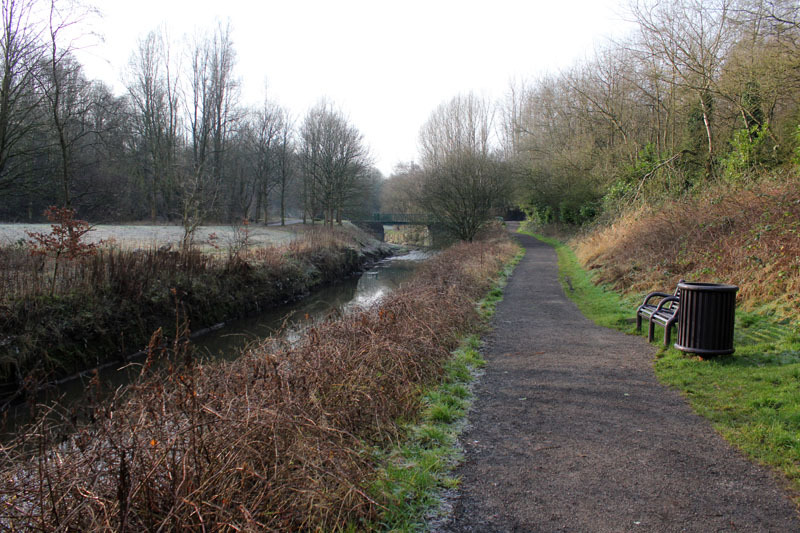 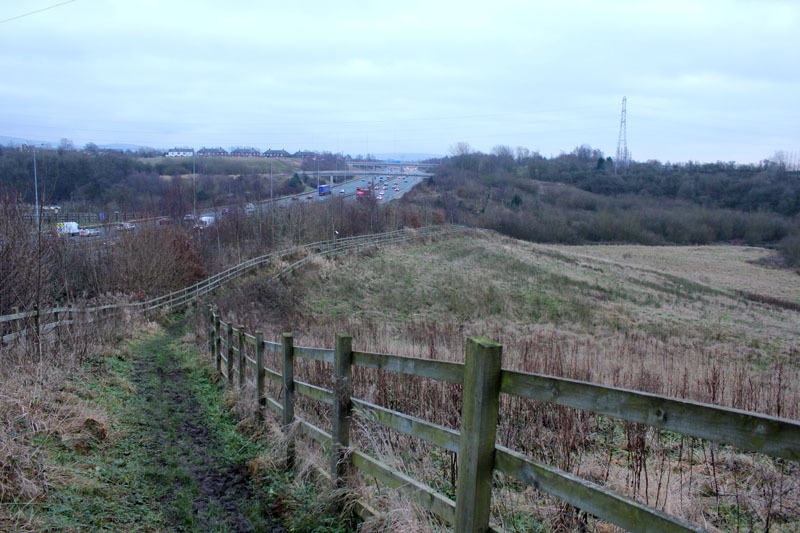 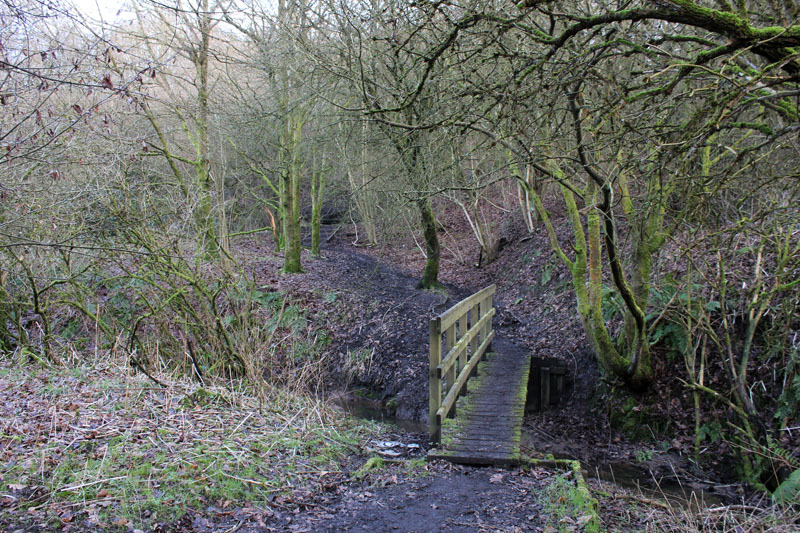 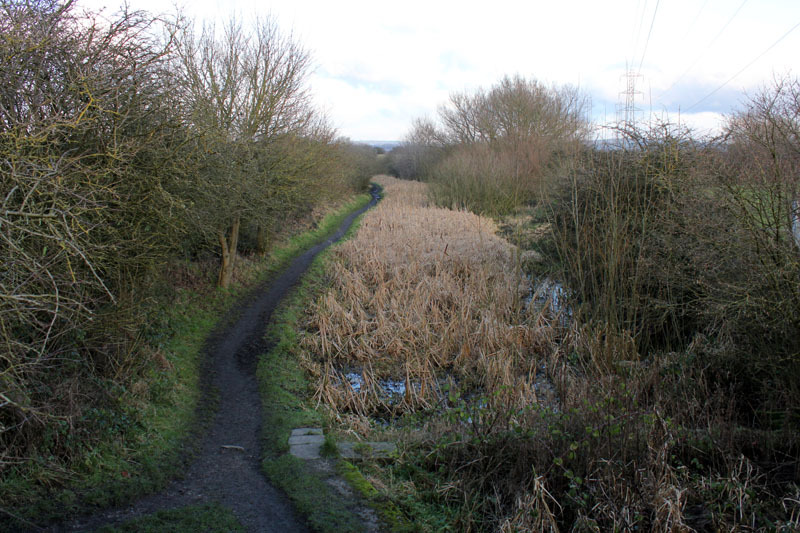 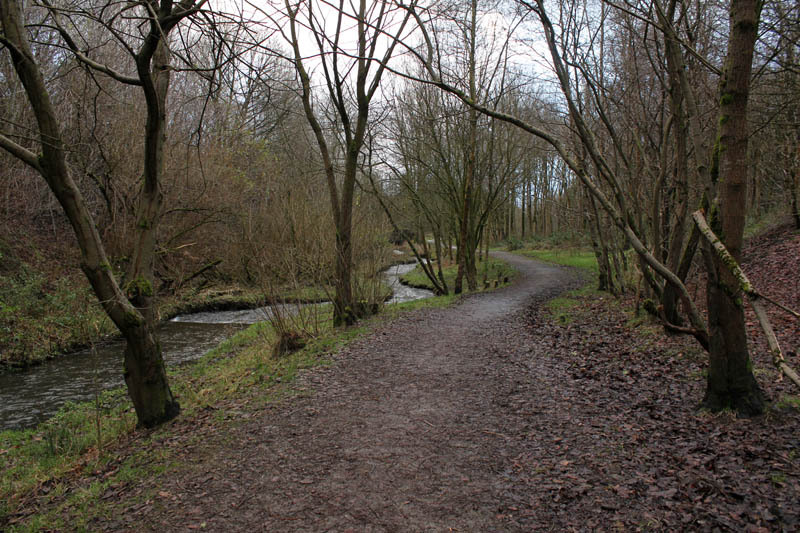 The path and bridleway leading up to Bardsley Vale Mills…. 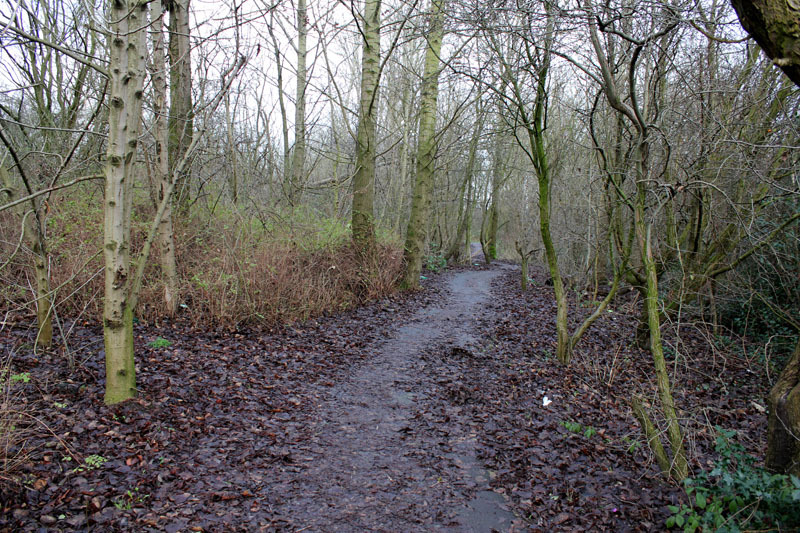 Parking on Alt Lane and stumbling down to the wet and boggy banks of the Medlock between Alders Farm and Cockfields Farm. 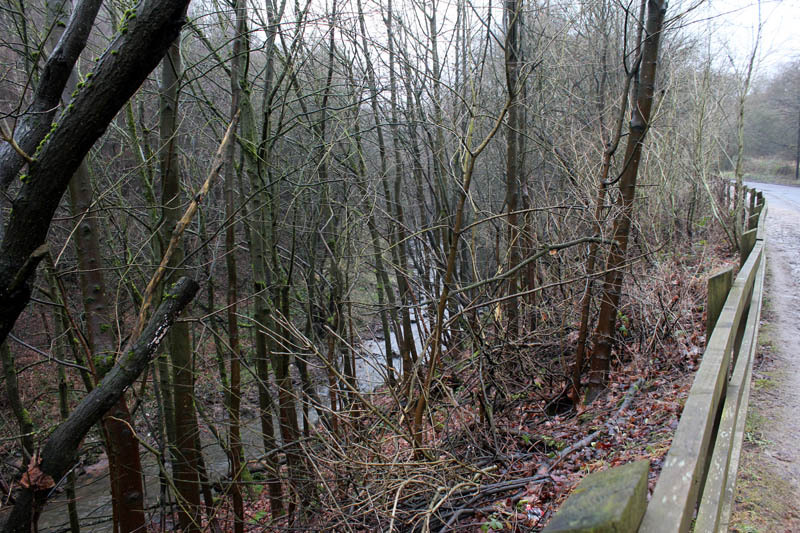 This is the section below Lees New Road and emerging from Leesbrook. 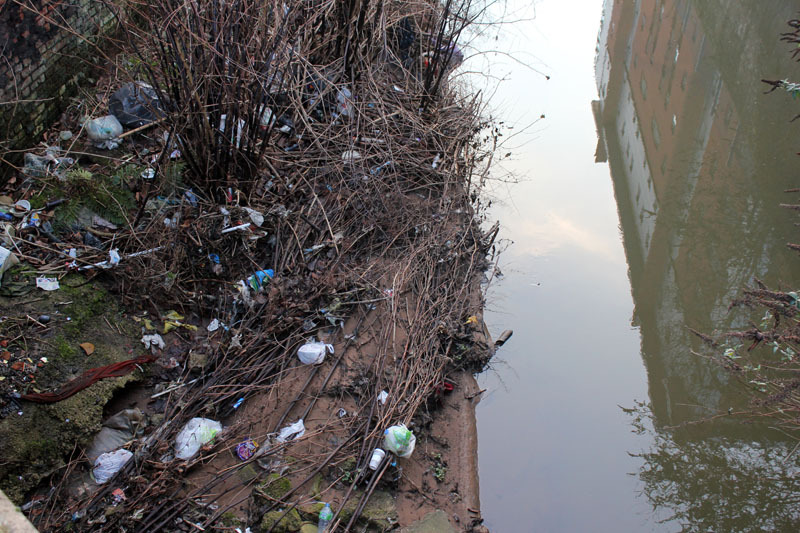 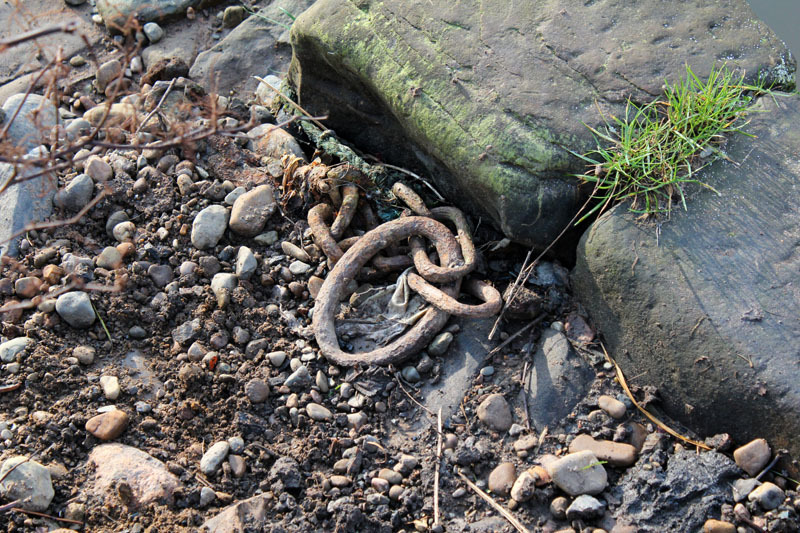 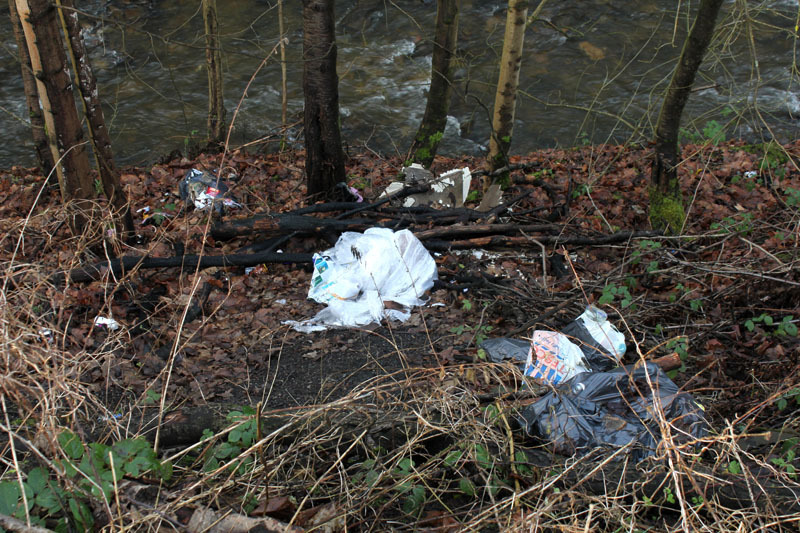 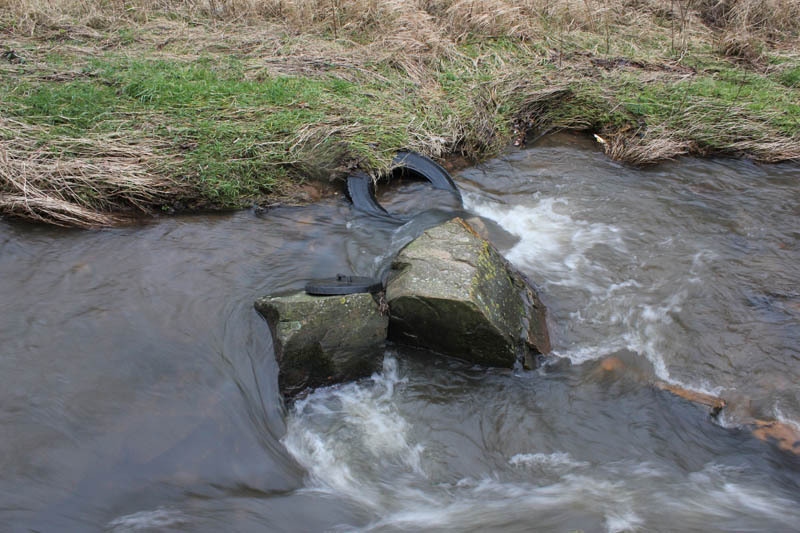 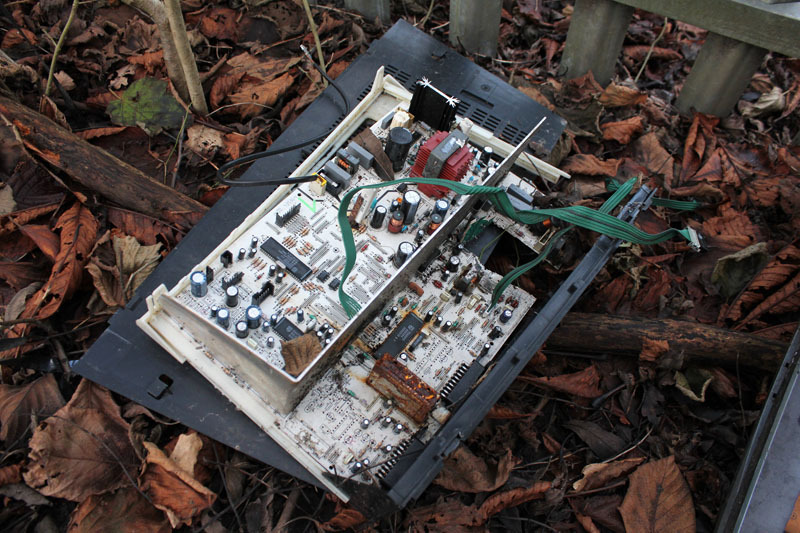 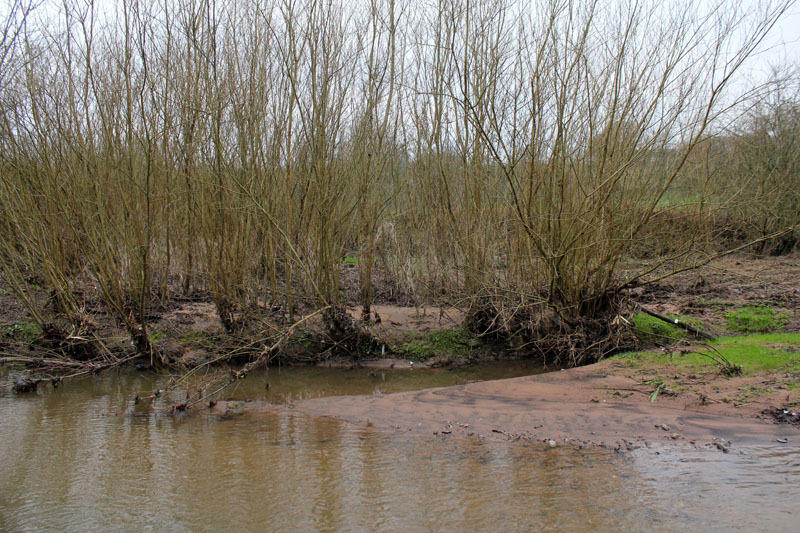 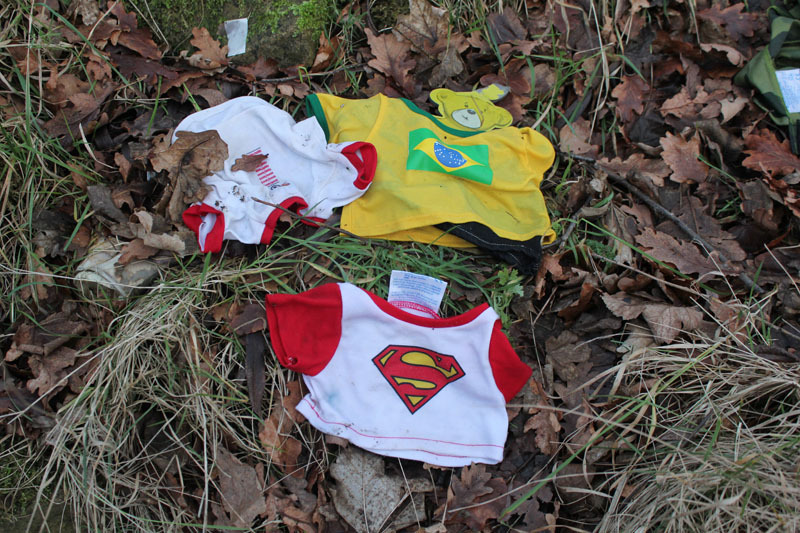 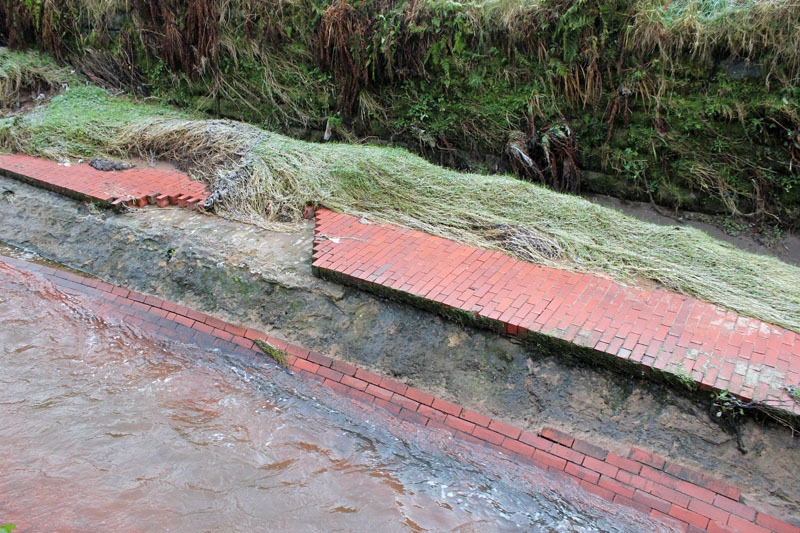 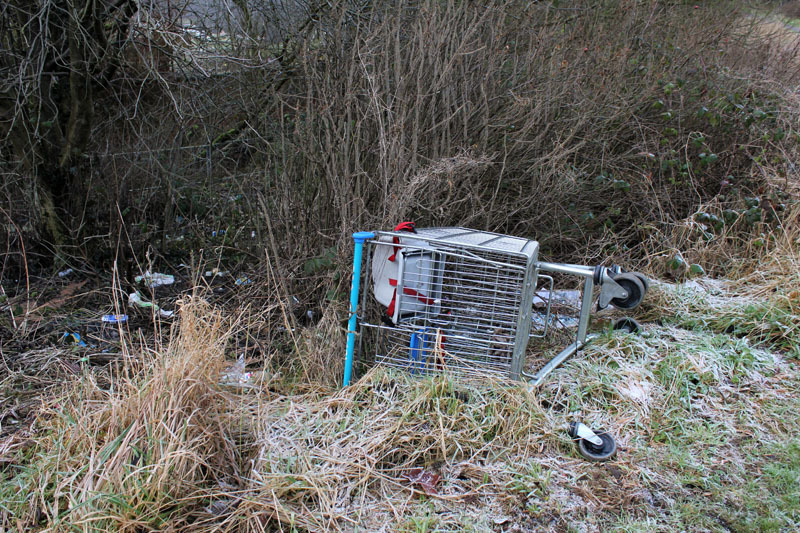 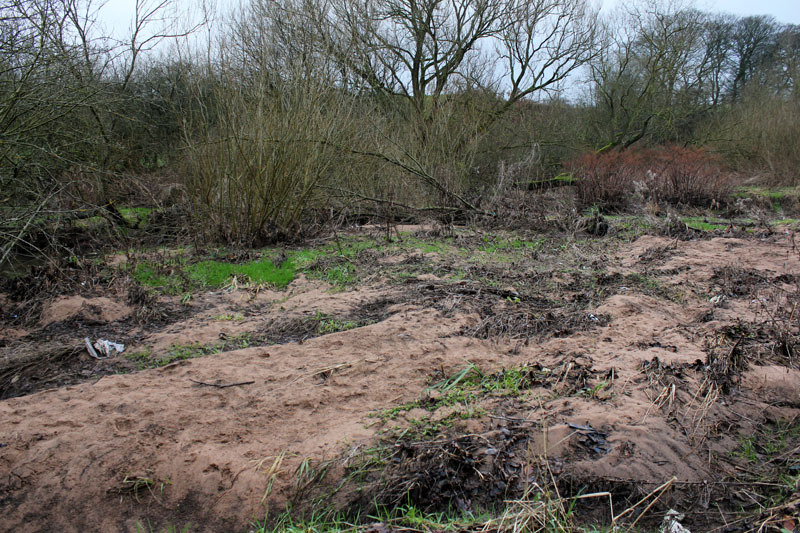 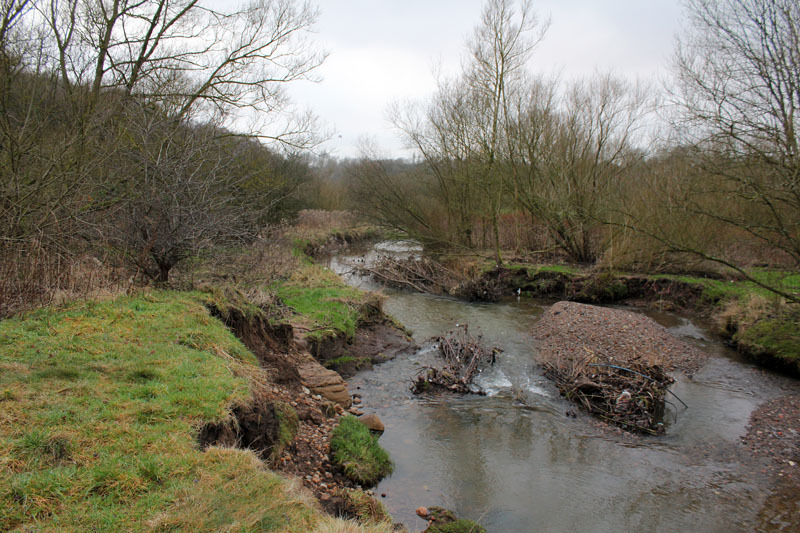 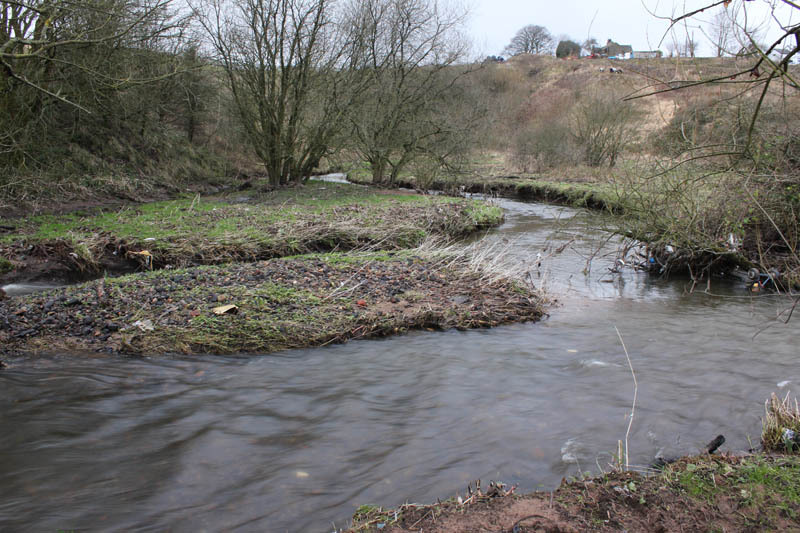 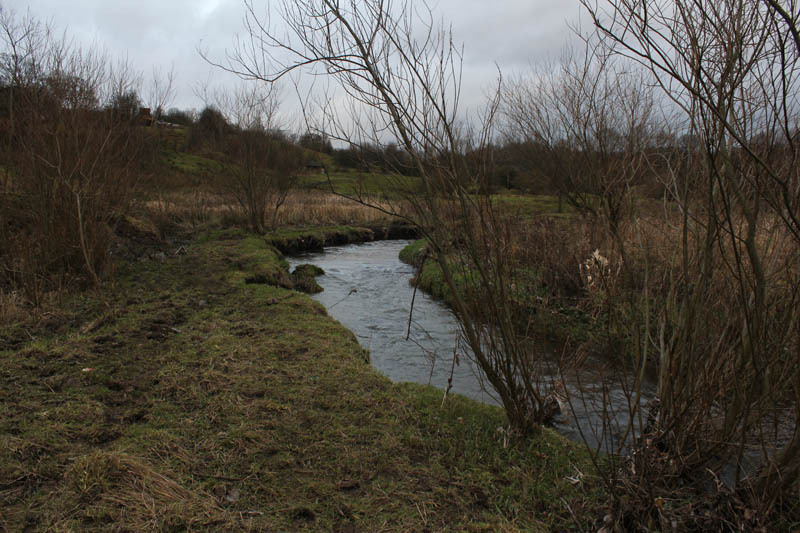 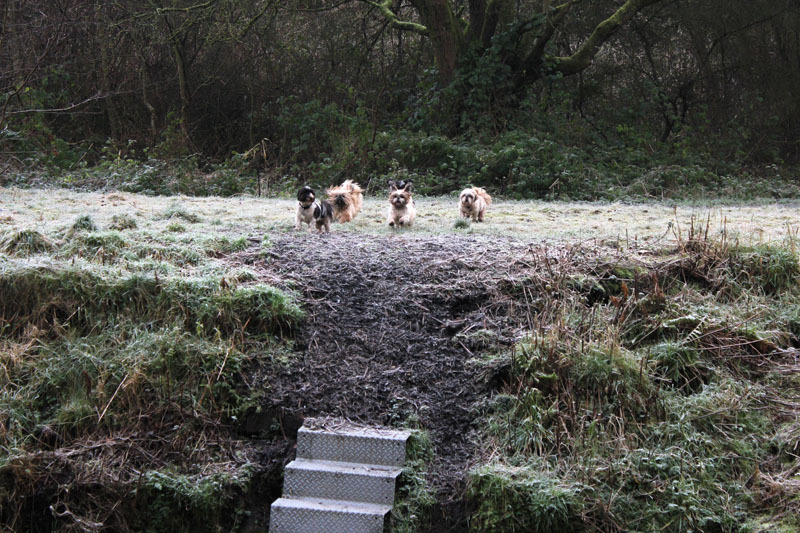 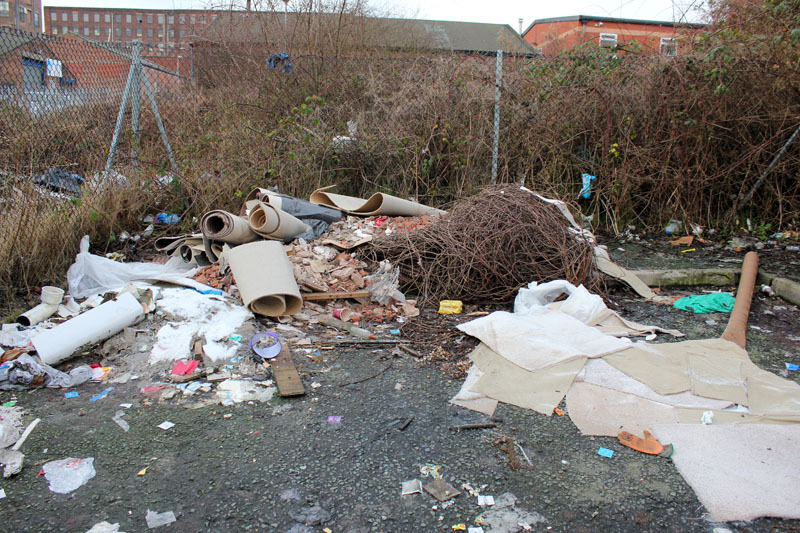 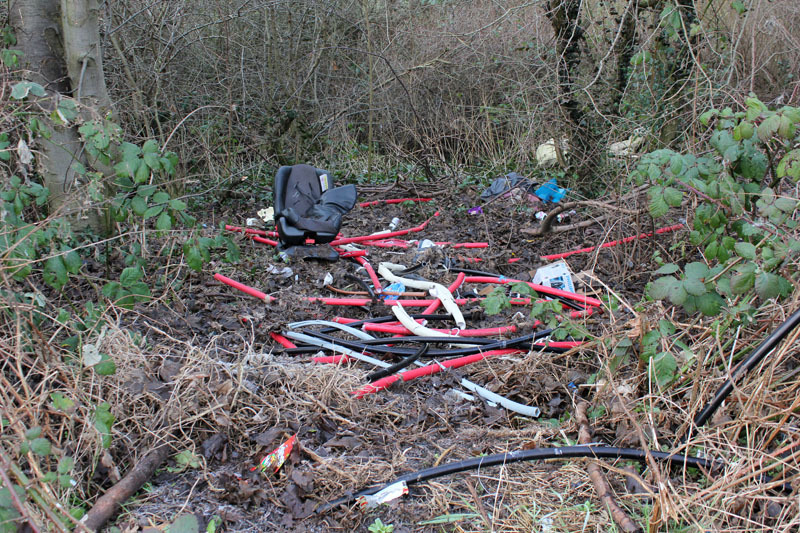 The river showed signs of recent flooding with flattened grass and deposits of rubbish. 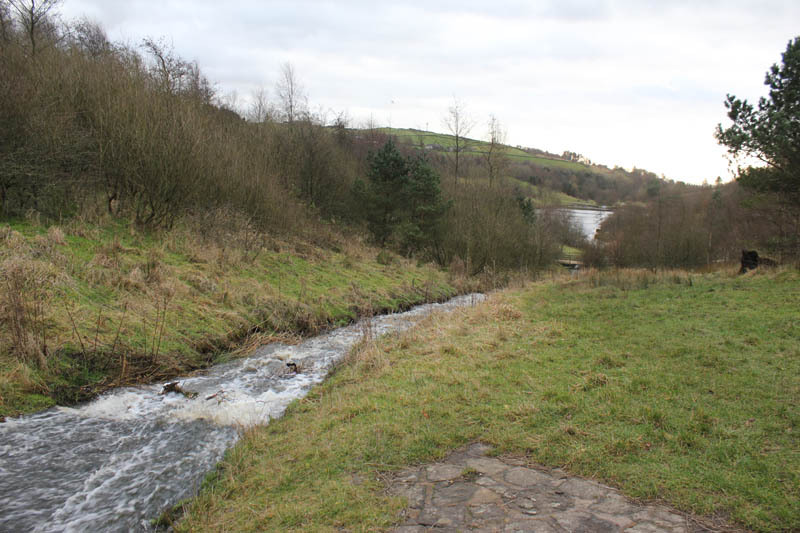 Beyond the fields the river enters a small and atmospheric valley – the site of a mined coal seam. 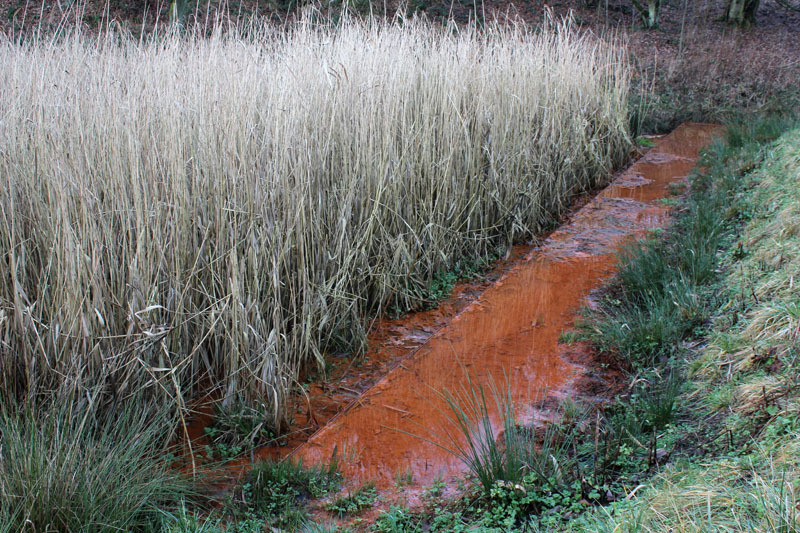 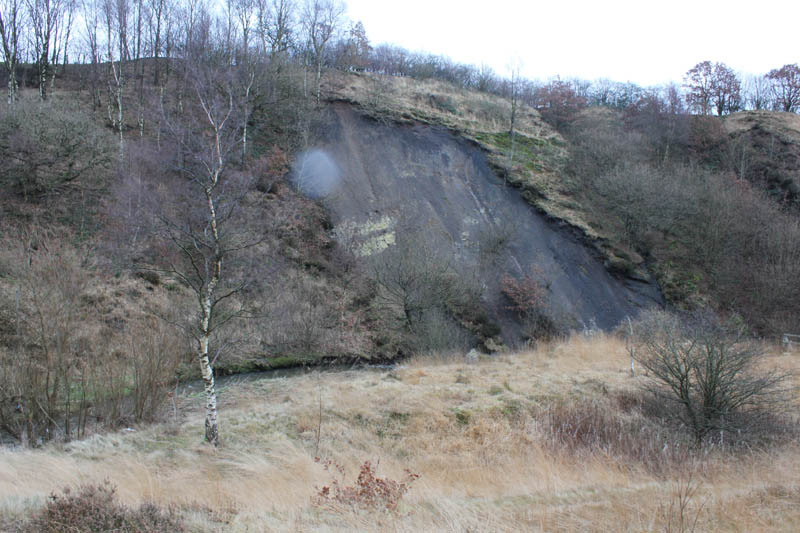 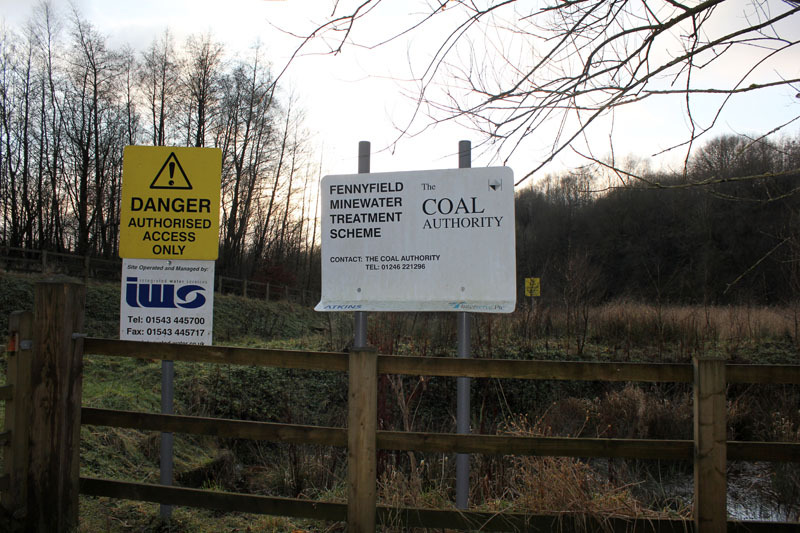 There are warning signs and sectioned off areas where the mine shafts used to be. 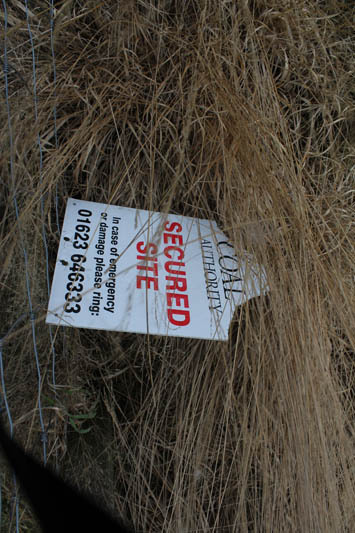 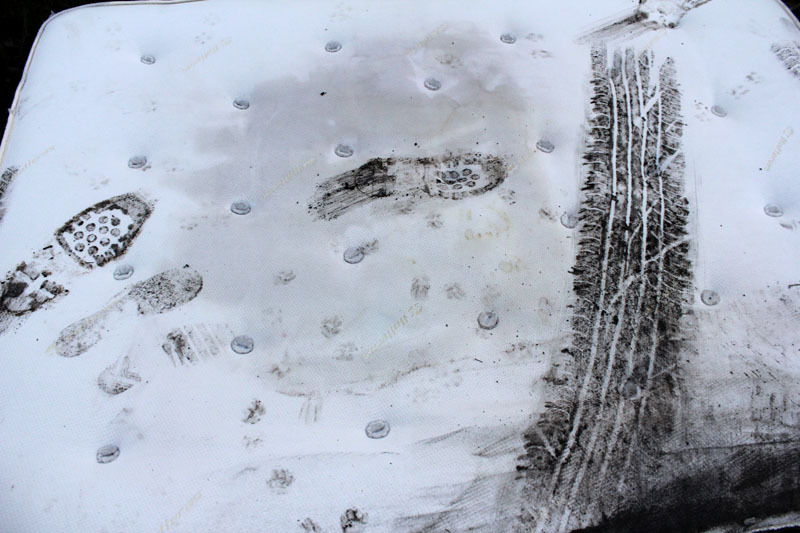 Fragments of coal can still be picked up. 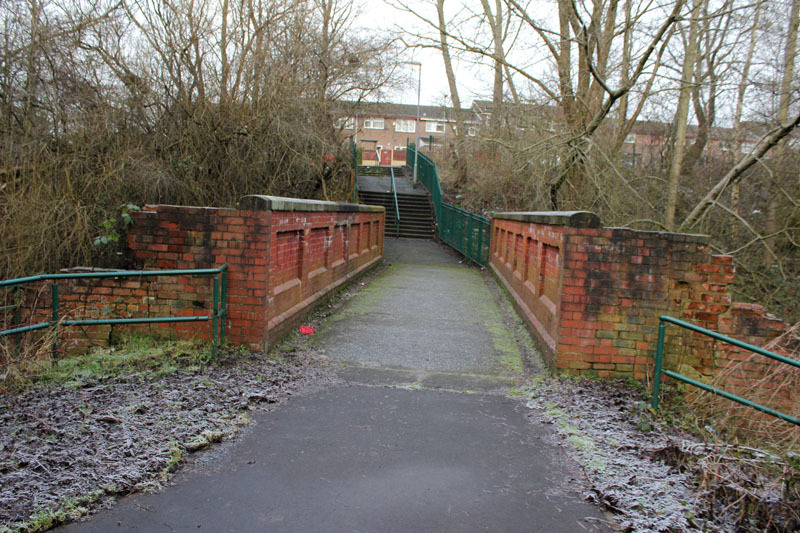 The destination was Bridge Park – a significant heritage site. 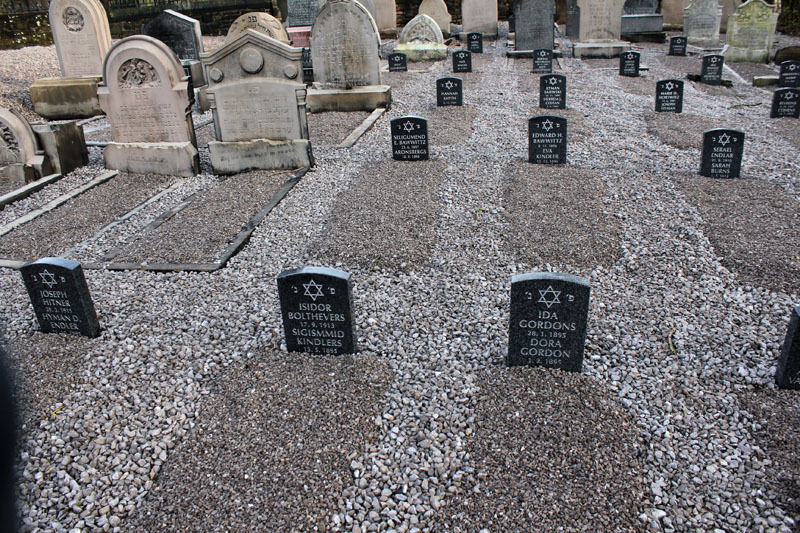 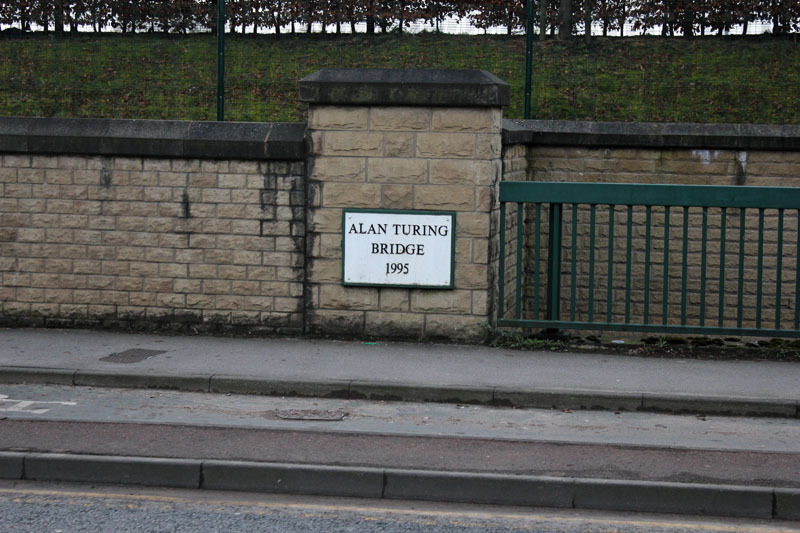 Not sure of the meaning of the place name ‘Alt’. 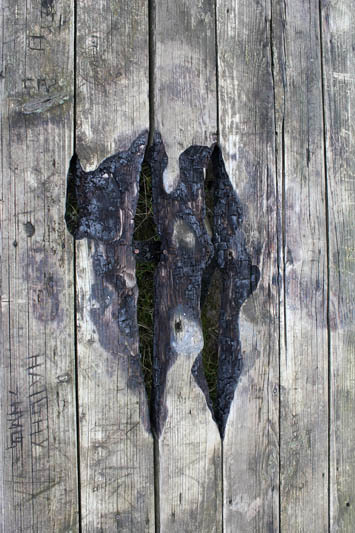 Probably from the Gaelic meaning stream or burn? 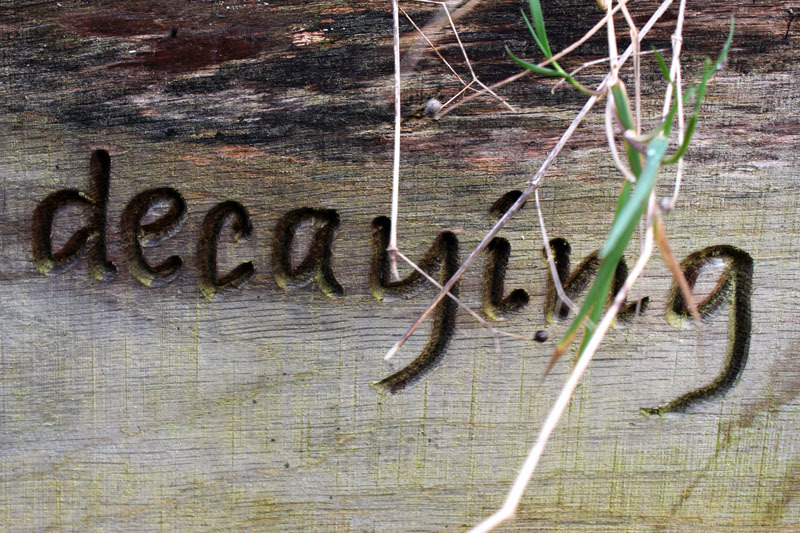 But the Germanic word means ‘old’. 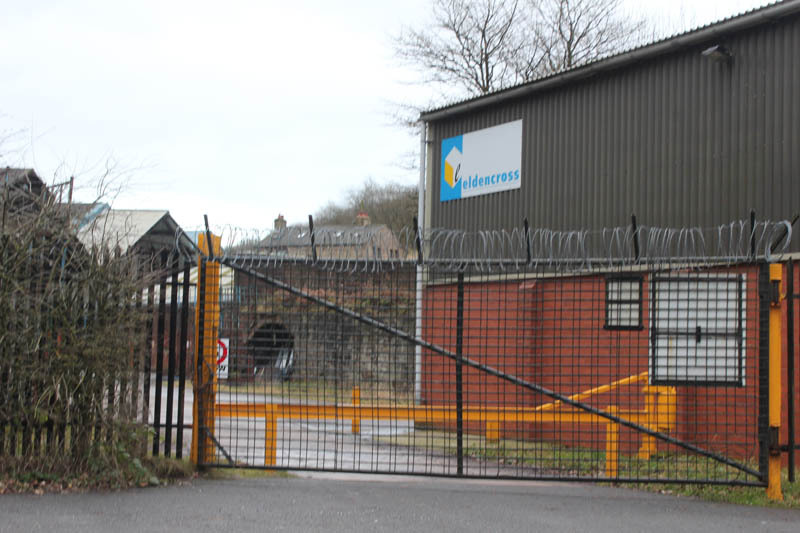 Eldencross Ltd. is a warehouse and storage facility…..
Samuel Lees junior founded Park Bridge ironworks in 1786 on 14 perches of land rented from the Earl of Stamford. 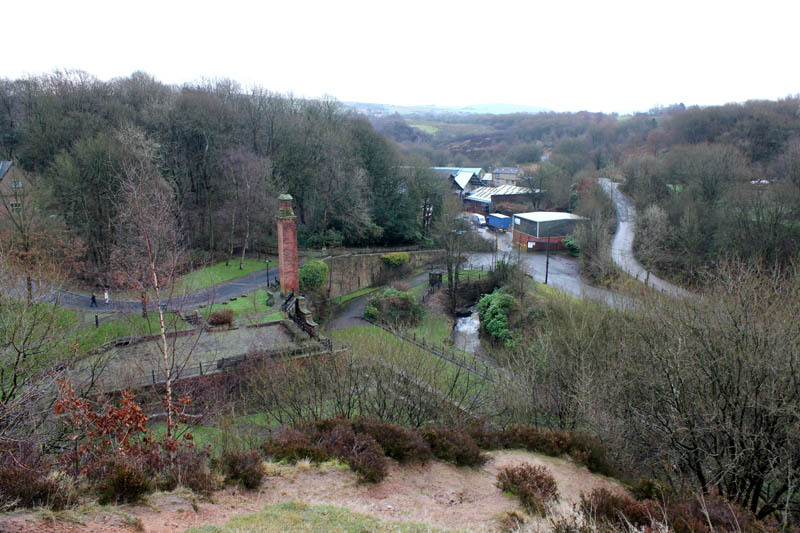 Originally the ironworks produced raw iron; the ironworks were some of the largest in 19th century Tameside, and one of the earliest ironworks in the northwest. 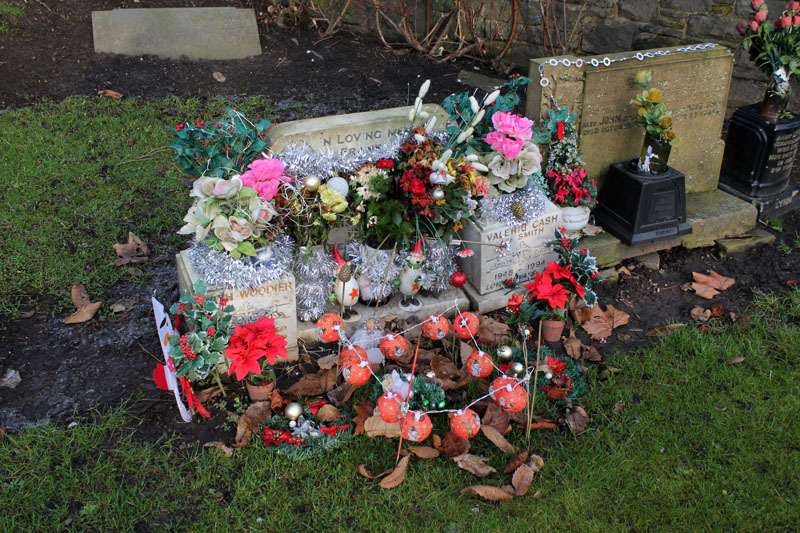 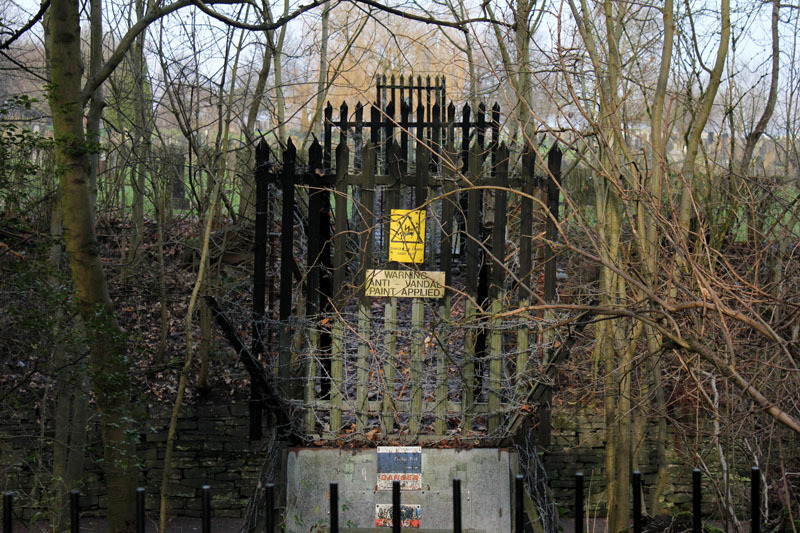 Samuel Lees’ wife, Hannah Lees (née Buckley), inherited ownership of the ironworks on her husband’s death in 1804. 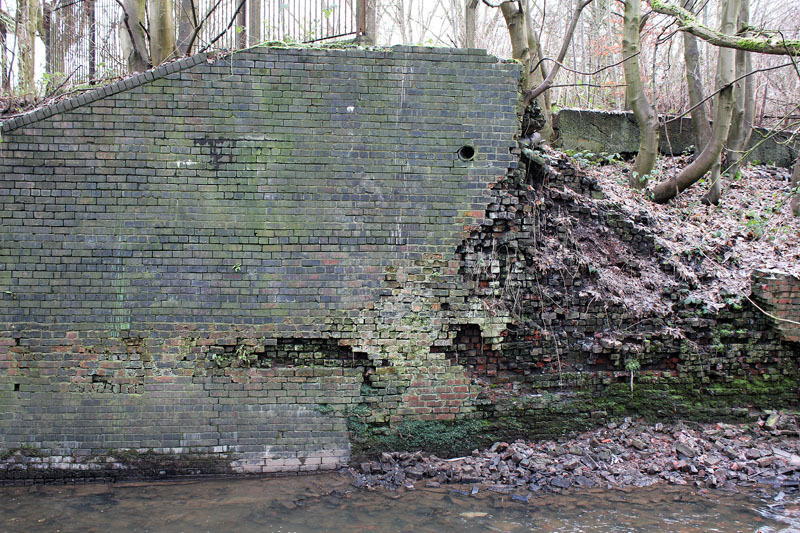 Under Hannah Lees, the ironworks were expanded including the construction of a weir and a water power building on the River Medlock. 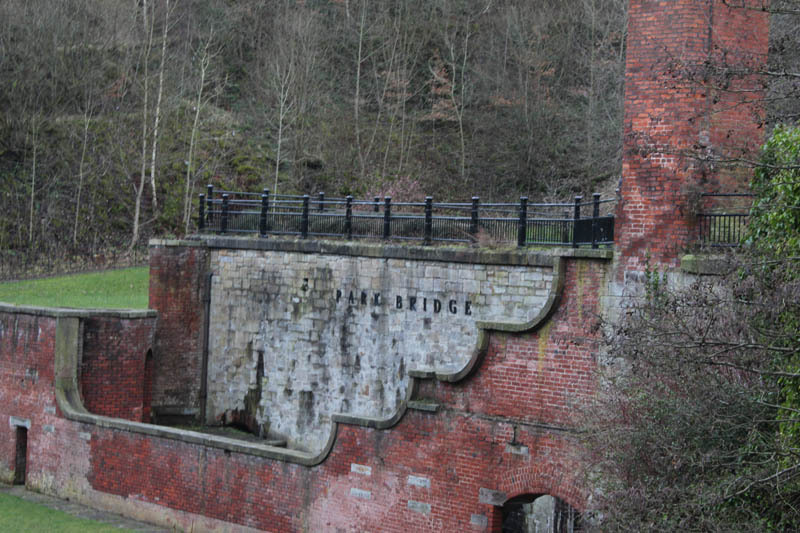 The success of the ironworks precipitated the construction of worker housing in the 1820s. 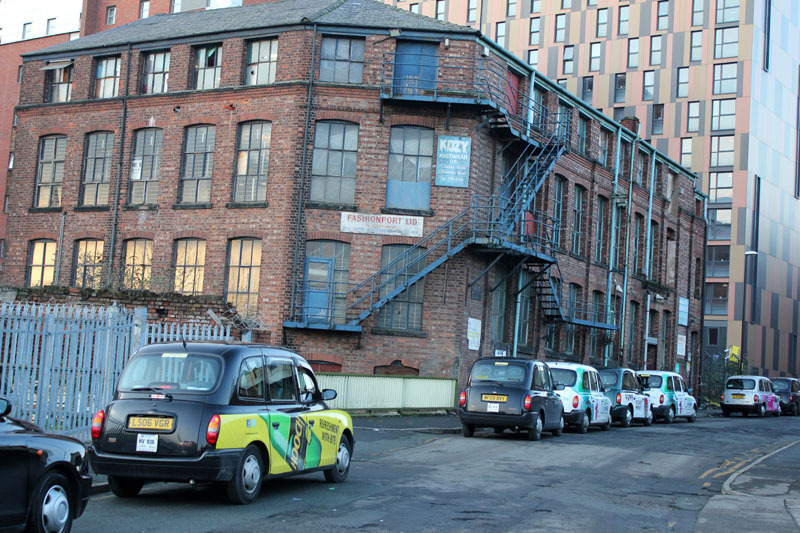 Further worker housing was added in the 1840s and 1850s. 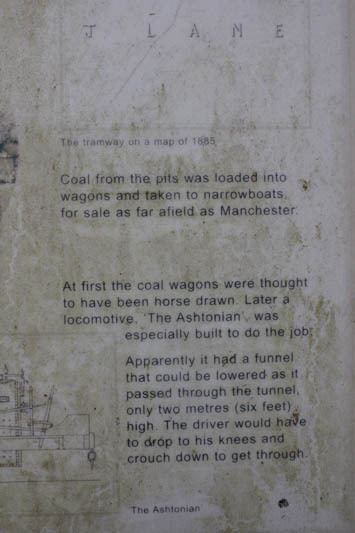 The ironworks remained of the largest such works in Tameside, including a nearby colliery and associated with the Oldham, Ashton and Guide Bridge Railway. 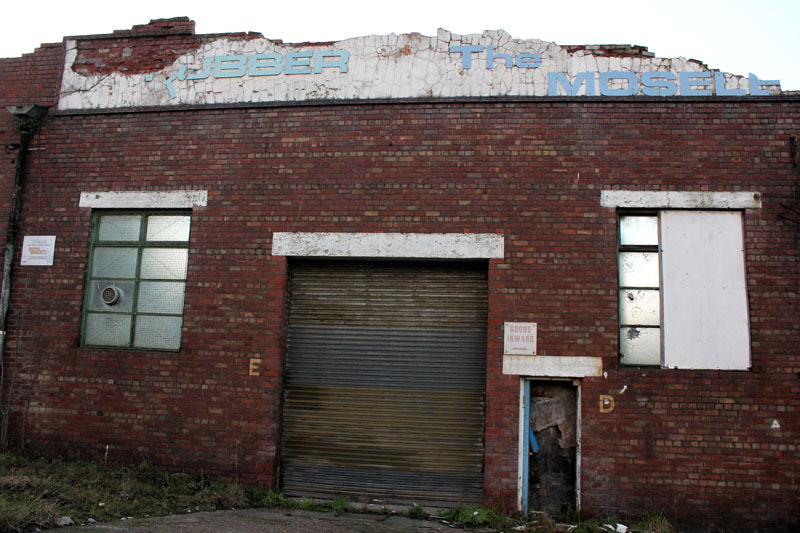 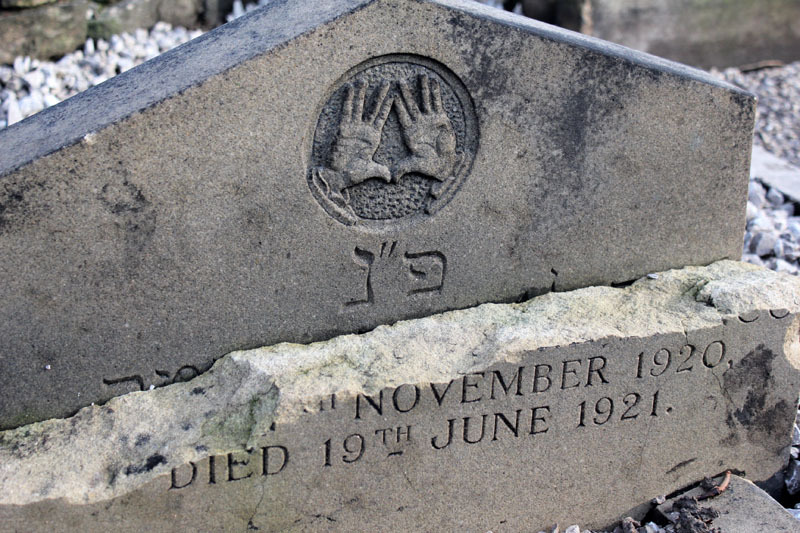 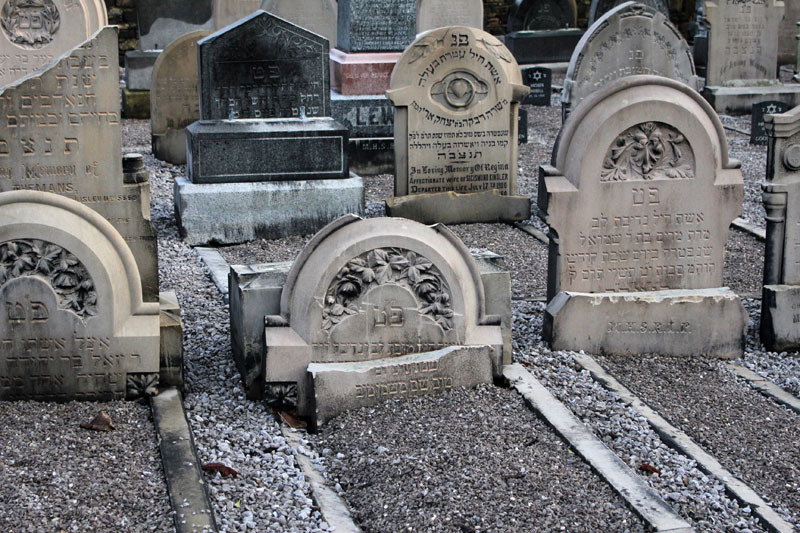 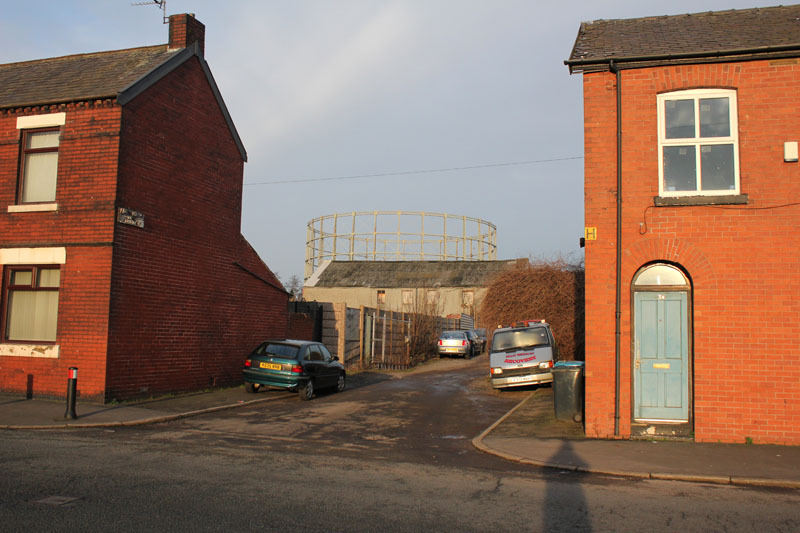 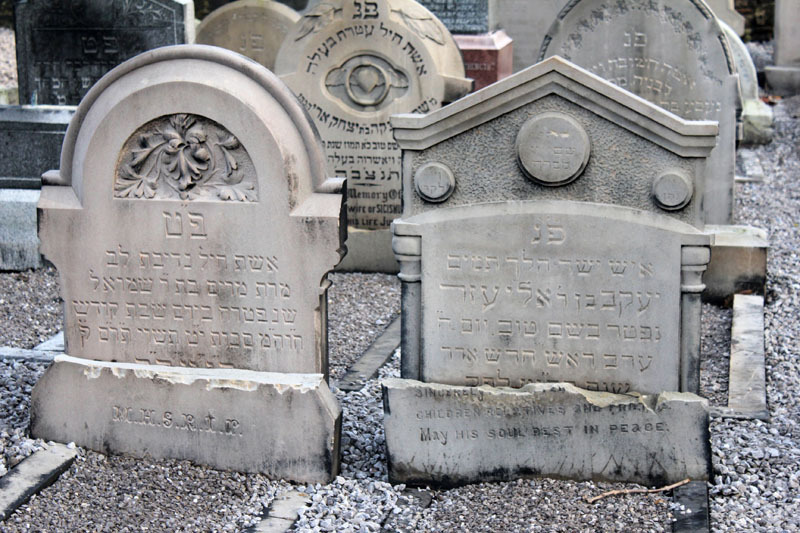 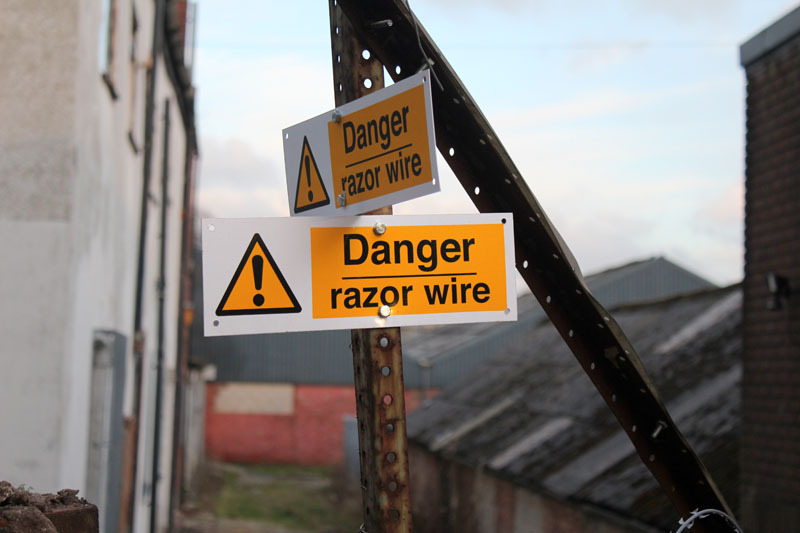 The business was inherited by another four generations of the Lees family, until the closure of the site. 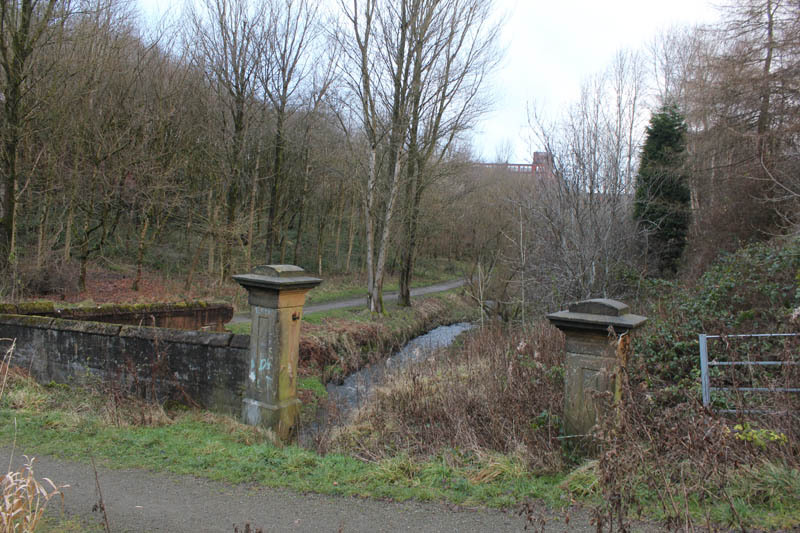 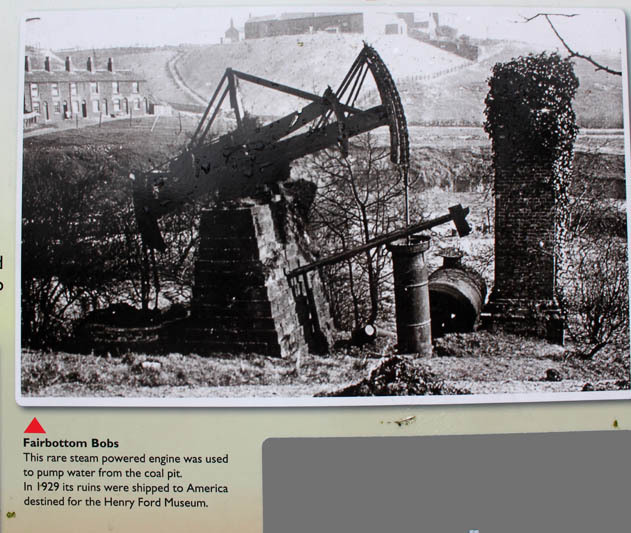 The ironworks started to decline at the end of the 19th century with the cessation of coal mining in the Medlock Valley in 1887. 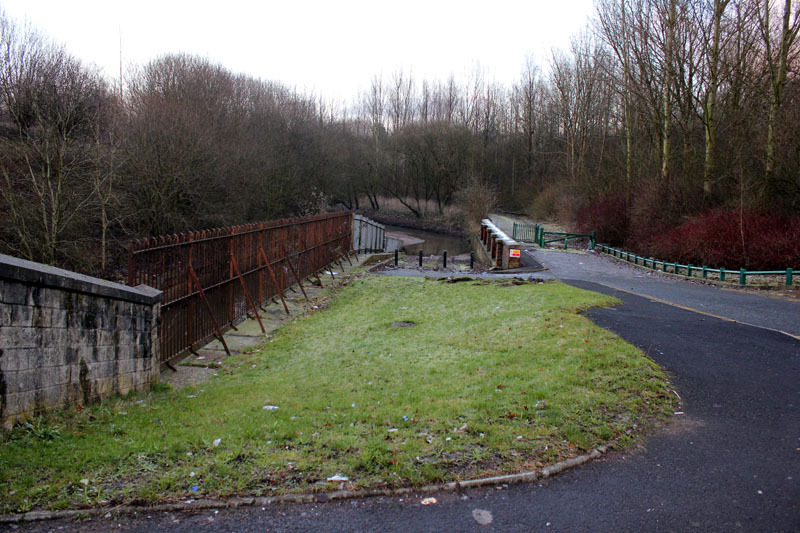 Competition from the steel industry over a long period and the closure of the railway in 1959 further dented the profits. 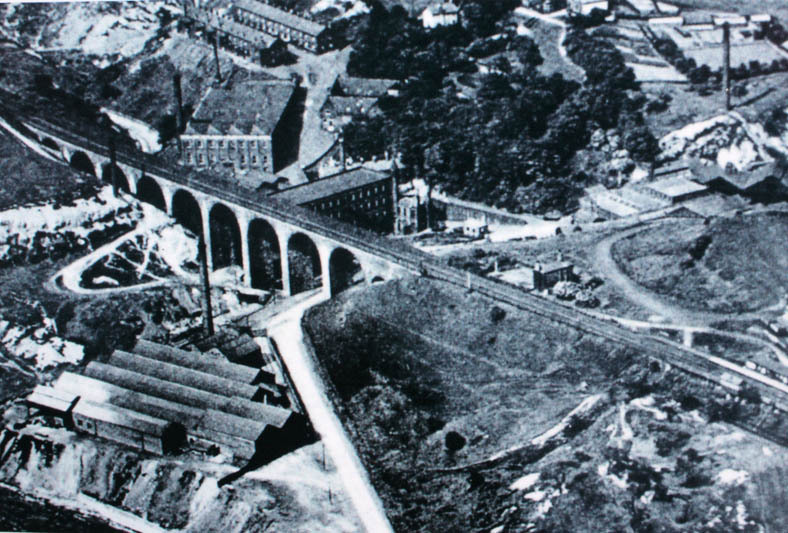 The ironworks finally closed in 1963, still under the control of the Lees family. 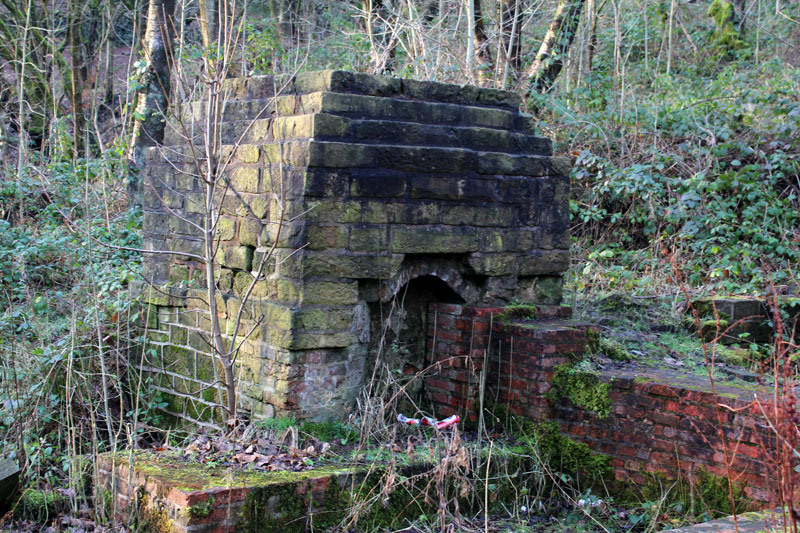 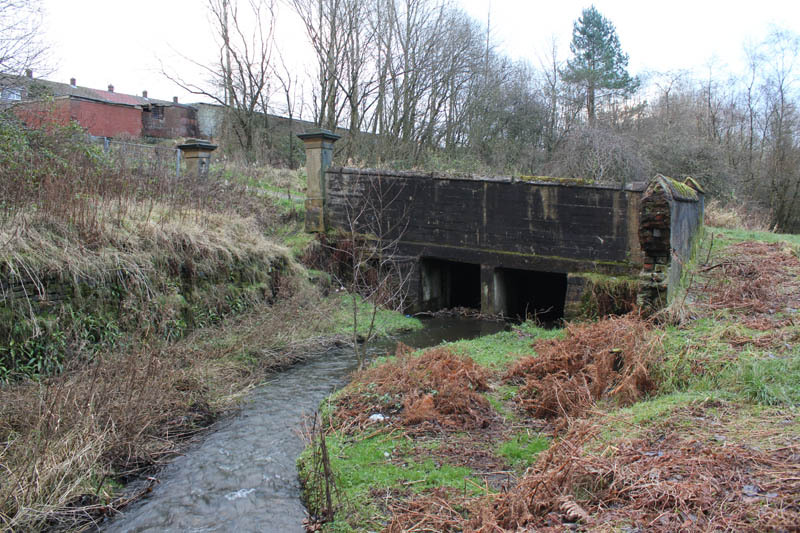 The abandoned ironworks fell into decay and were demolished or reduced to ruins in the 1970s. 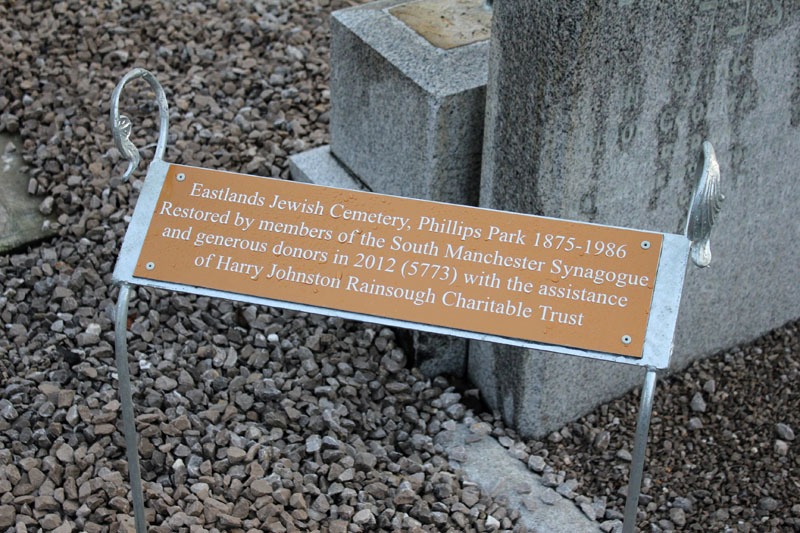 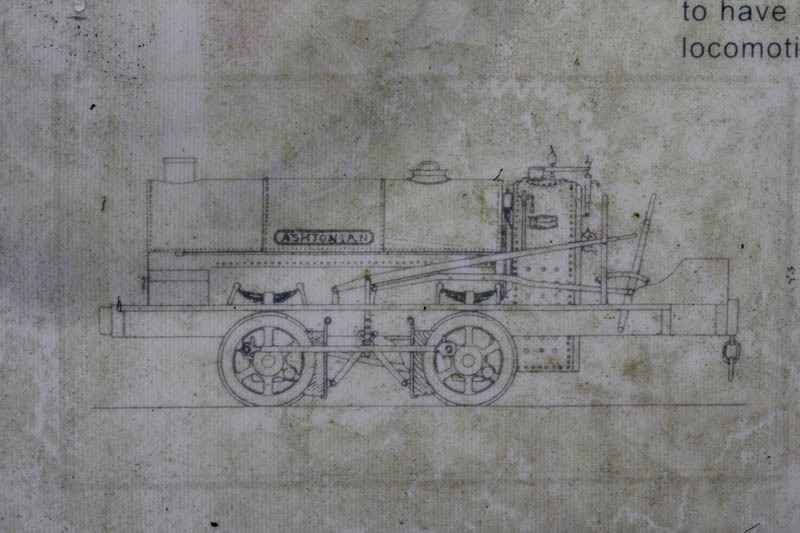 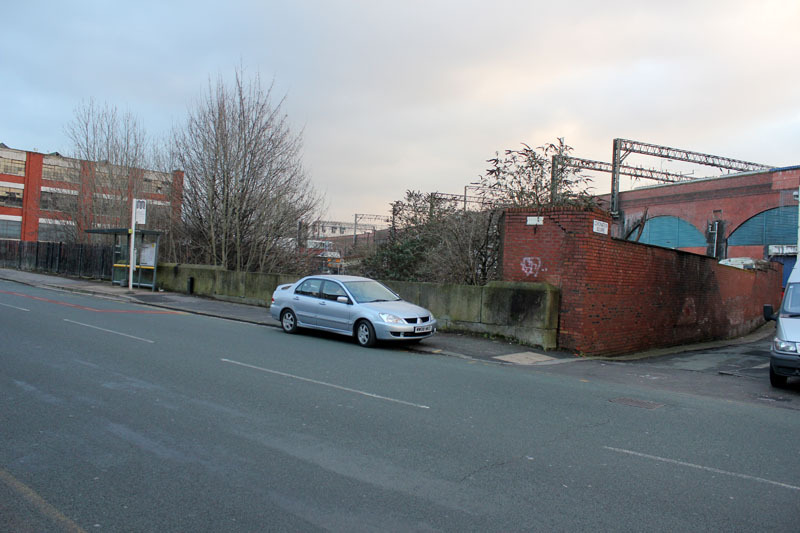 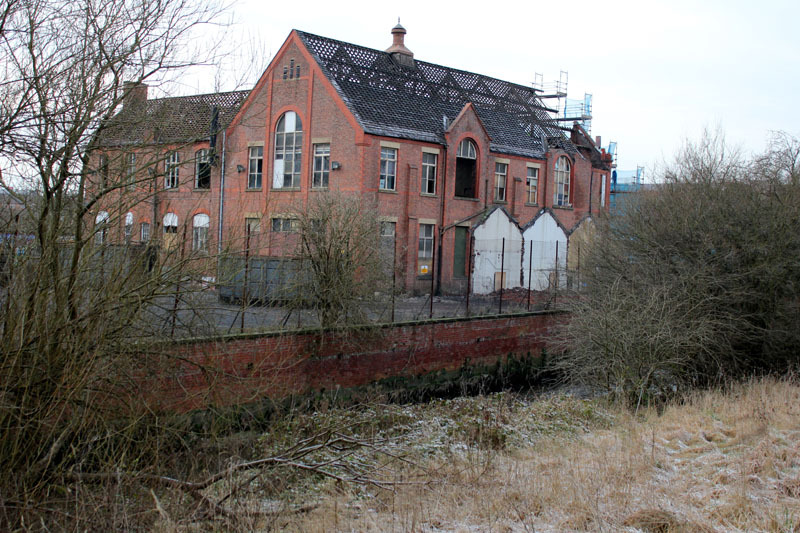 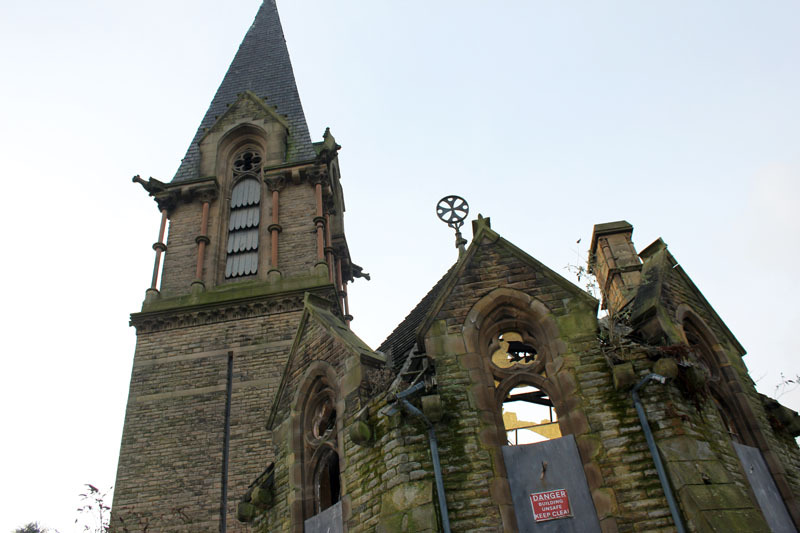 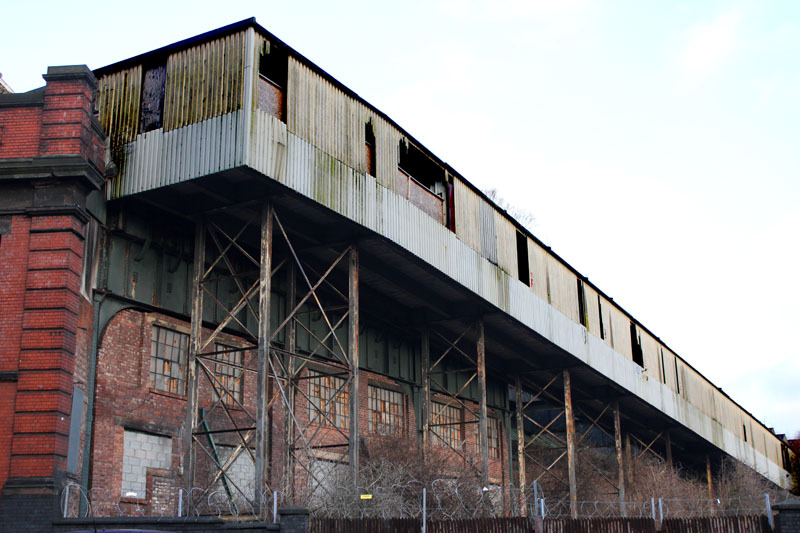 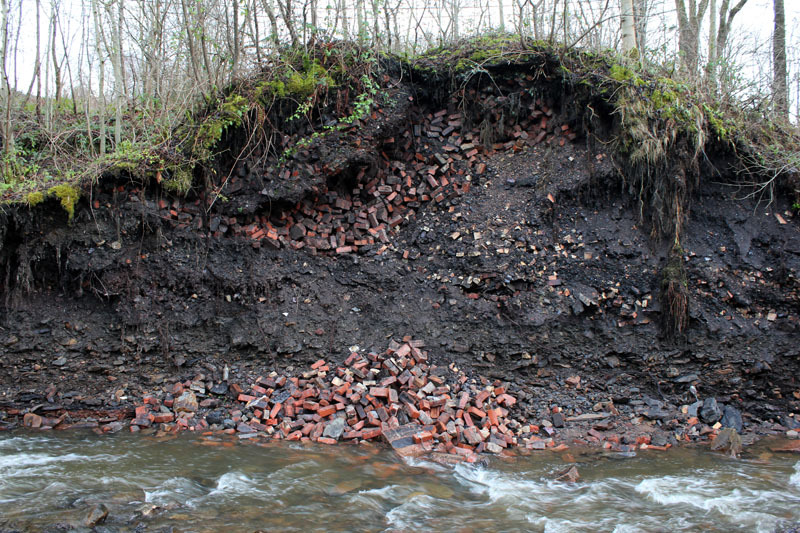 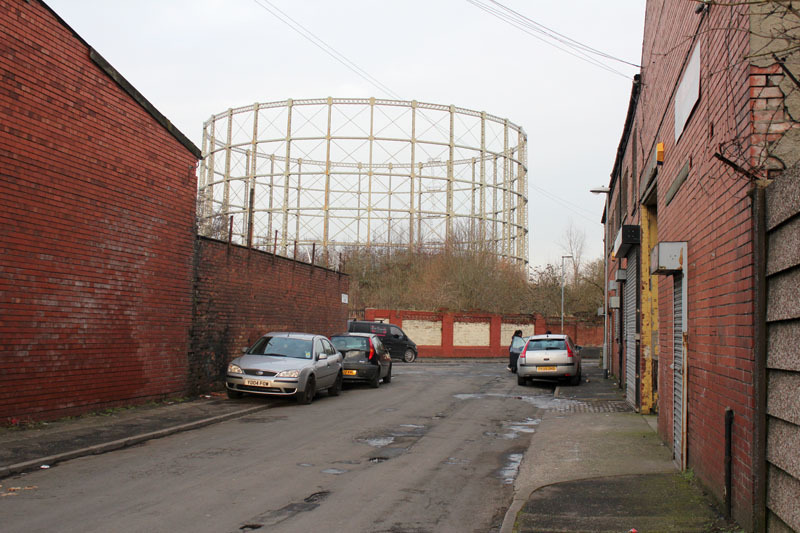 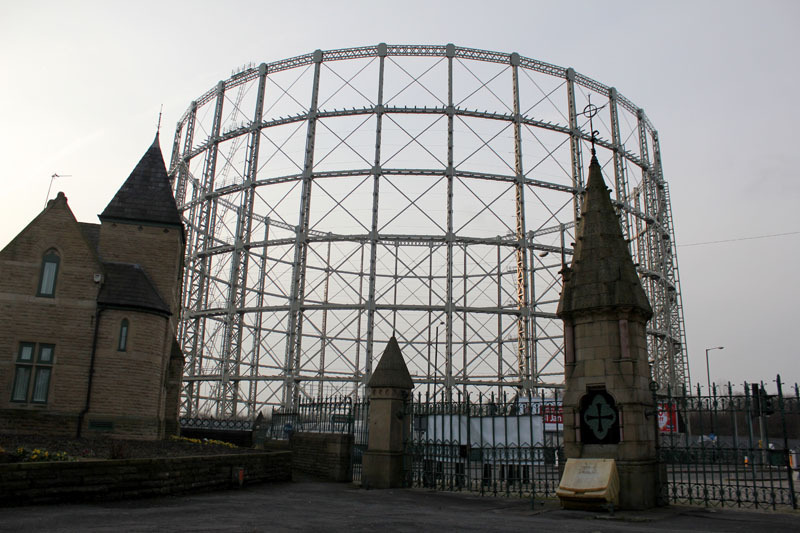 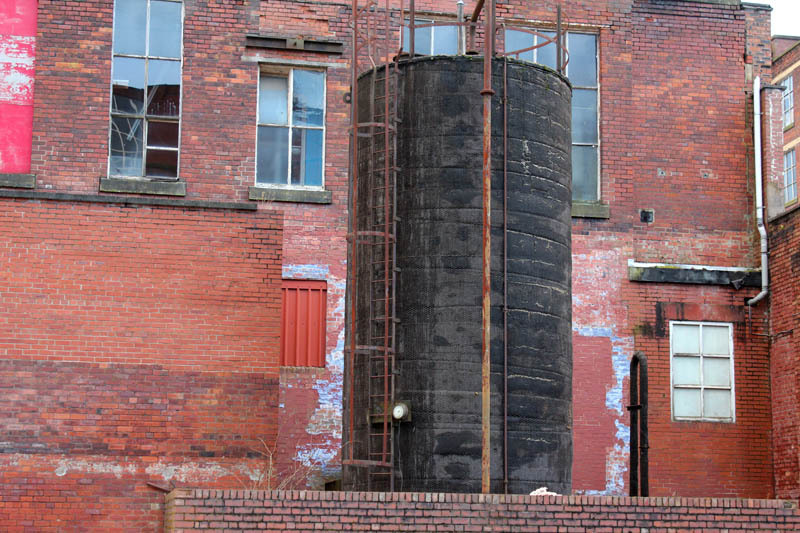 Because the buildings were not recorded before their demolition, they site of the ironworks is of interest to archaeologists – particularly the University of Manchester Archaeological Unit – as part of the development of the later iron industry in the north west. 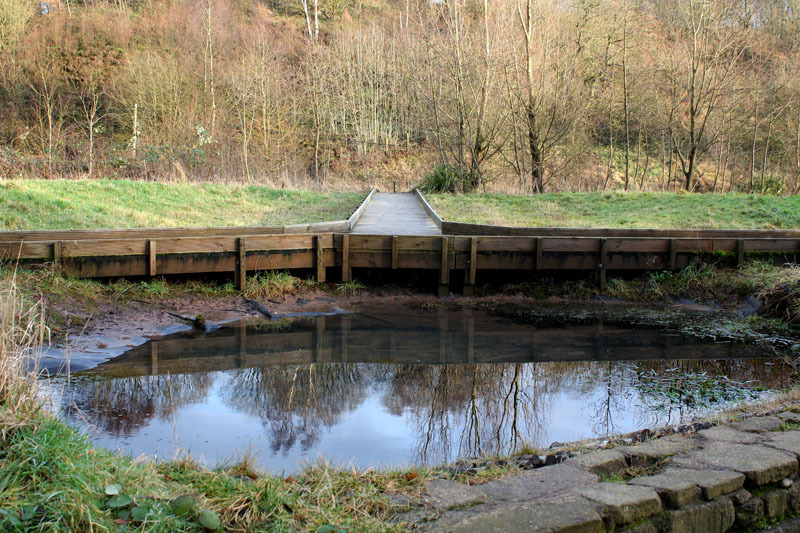 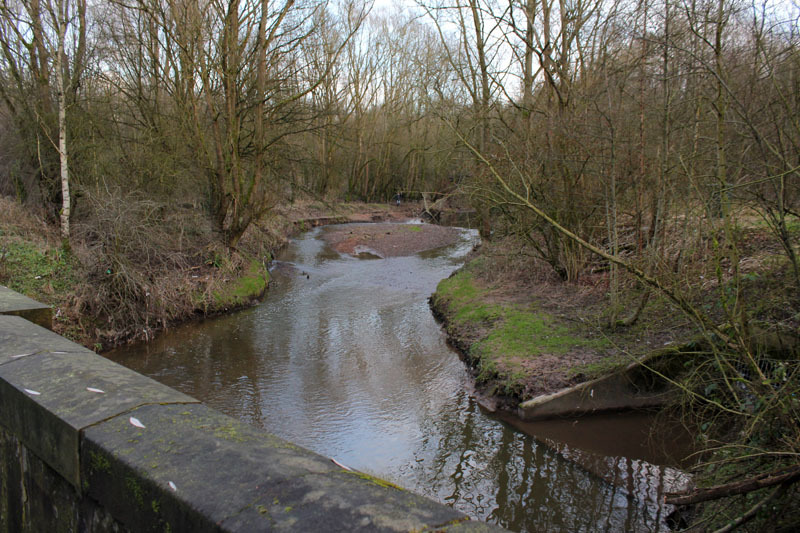 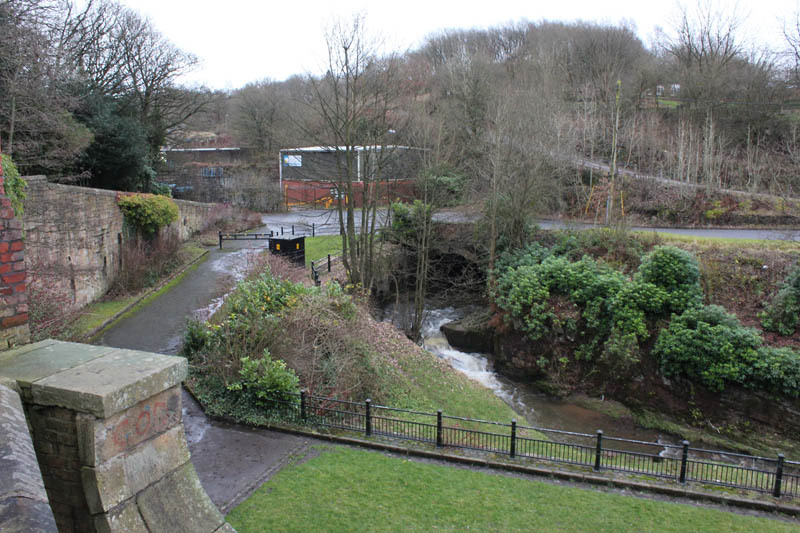 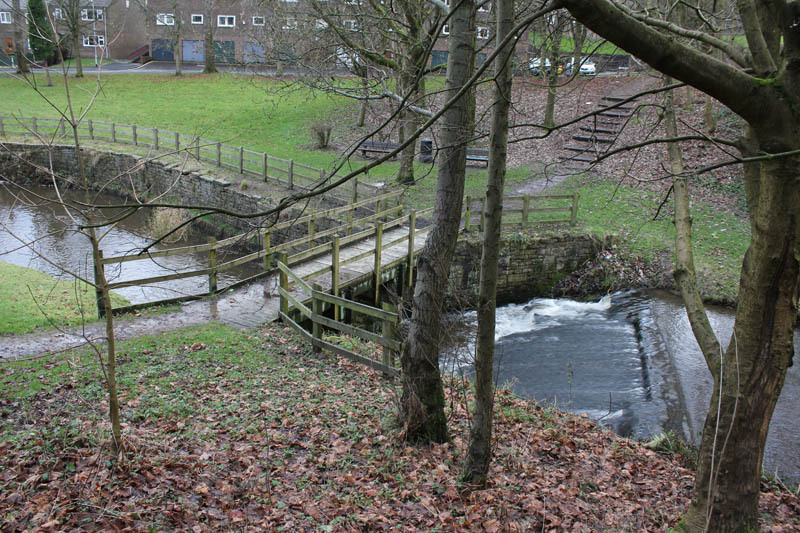 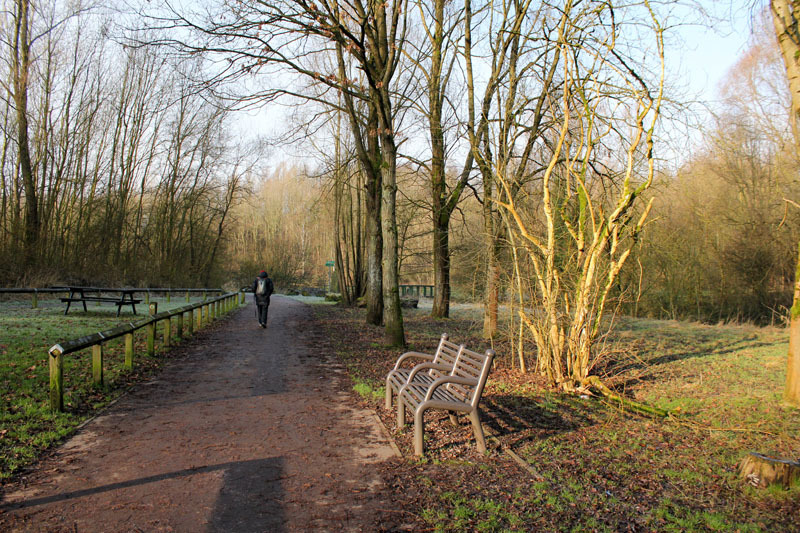 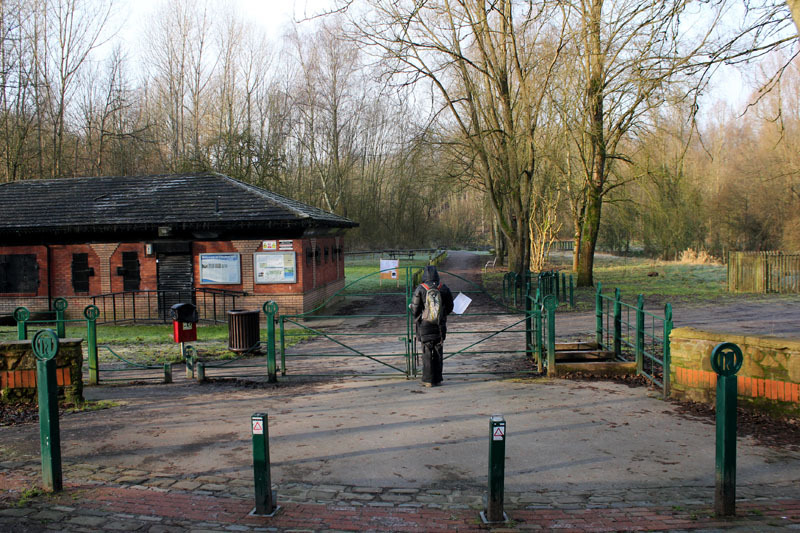 In 1975 the Medlock and Tame Valley Conservation Association opened the Park Bridge Museum to encourage interest in the historical significance of Park Bridge. 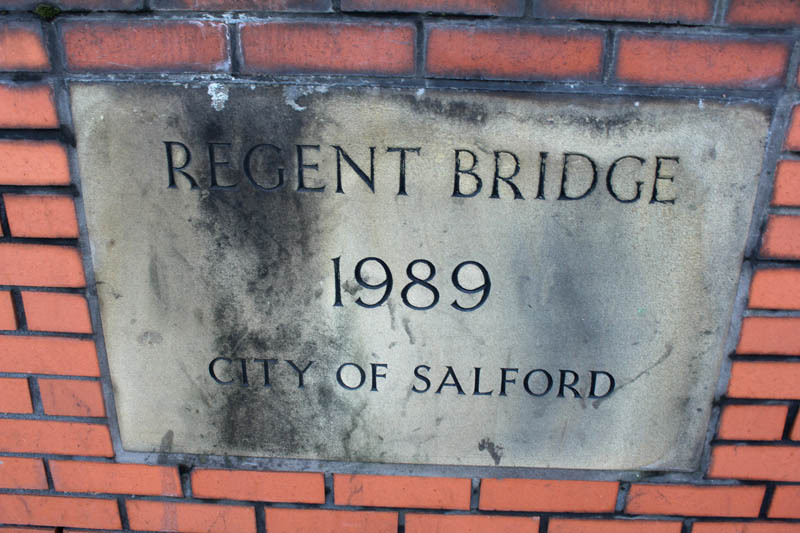 In 1986, the museum became a visitor centre, and in 1995 was renamed the Park Bridge Heritage Centre. 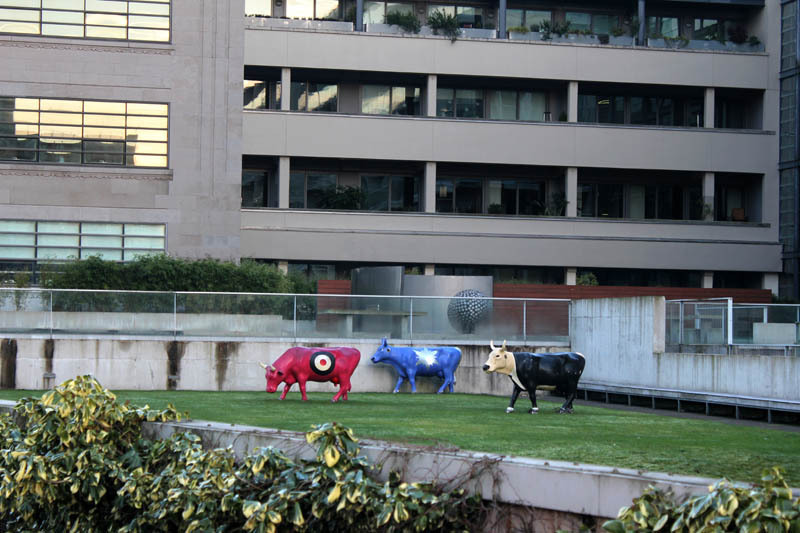 They provided rivets world wide. 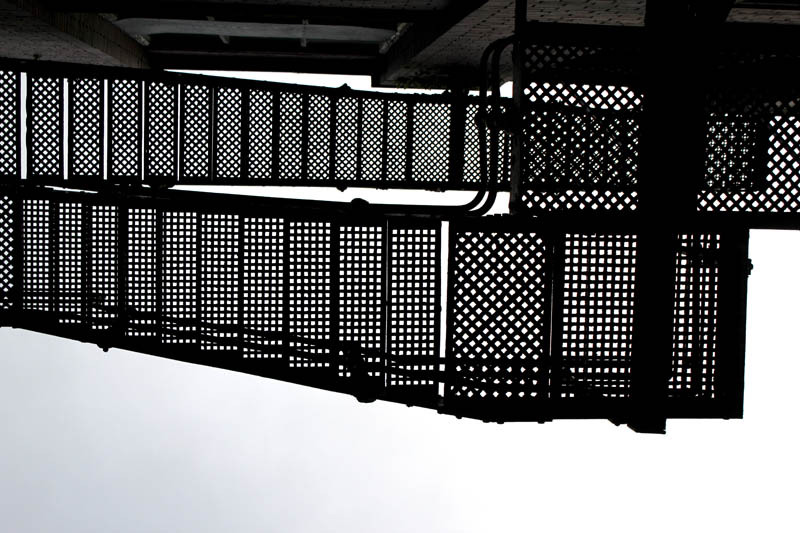 The Eiffel Tower and The Titanic both used their rivets in their construction. 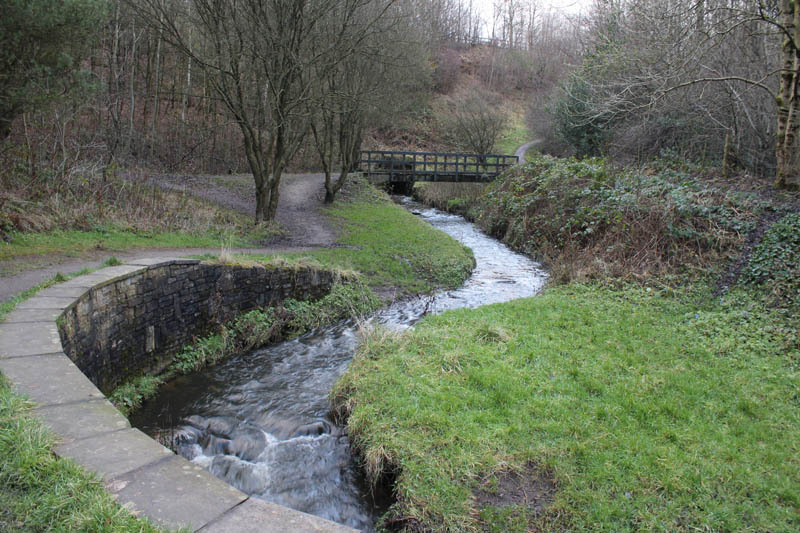 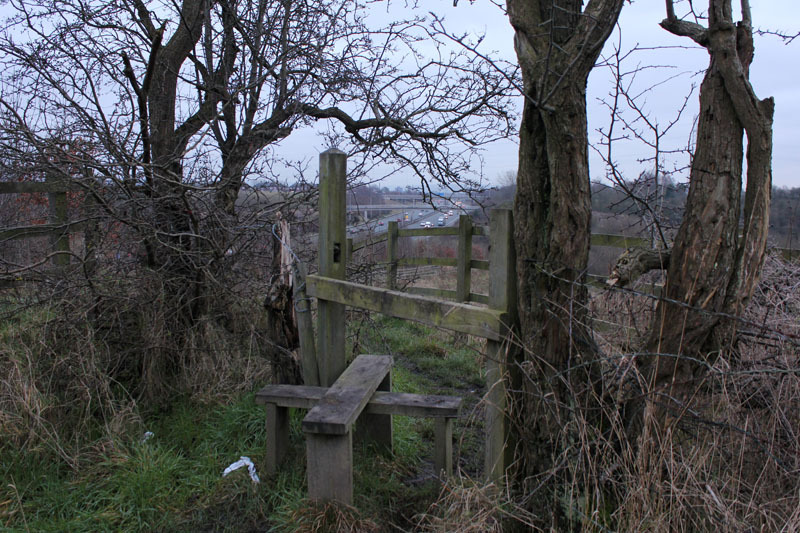 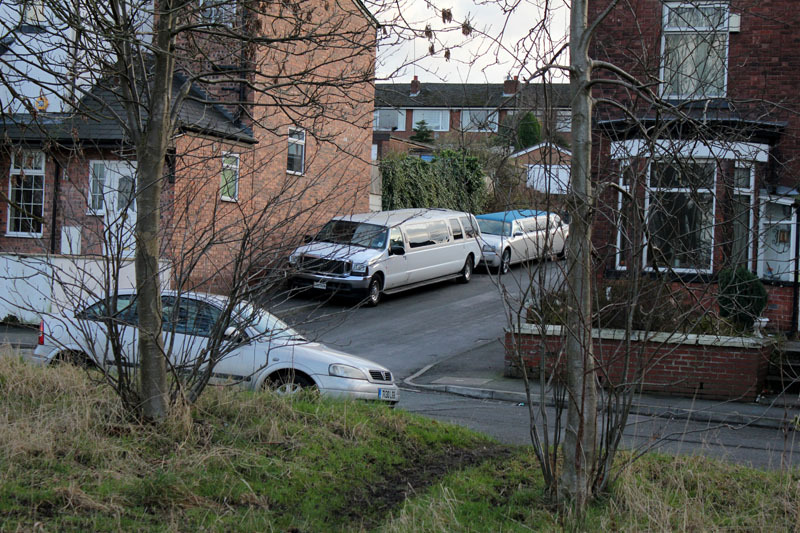 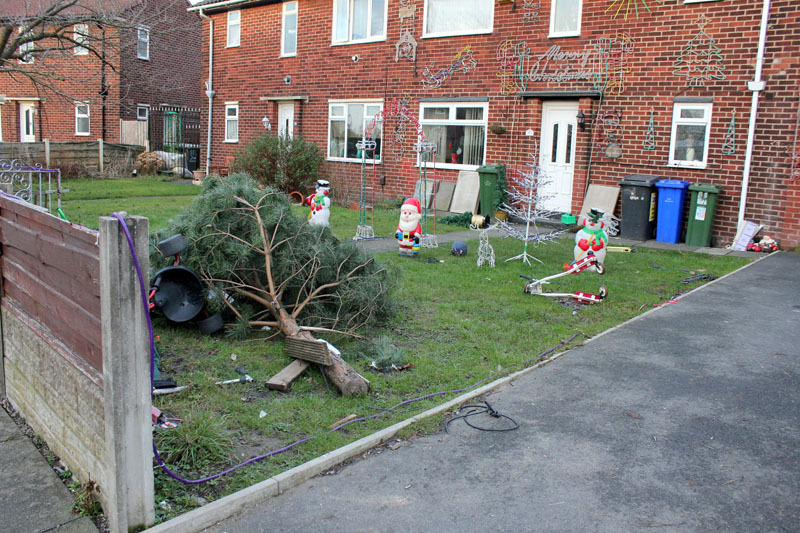 This section of the walk picks up from Cairo and Majestic Mills near the Huddersfield Road in Oldham. 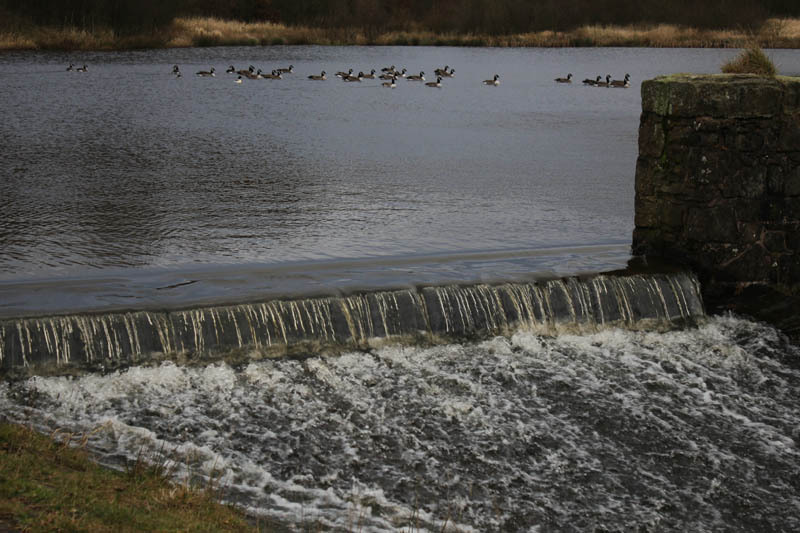 Aptly named ‘Waterhead’ is the local area for two reservoirs and a water treatment plant. 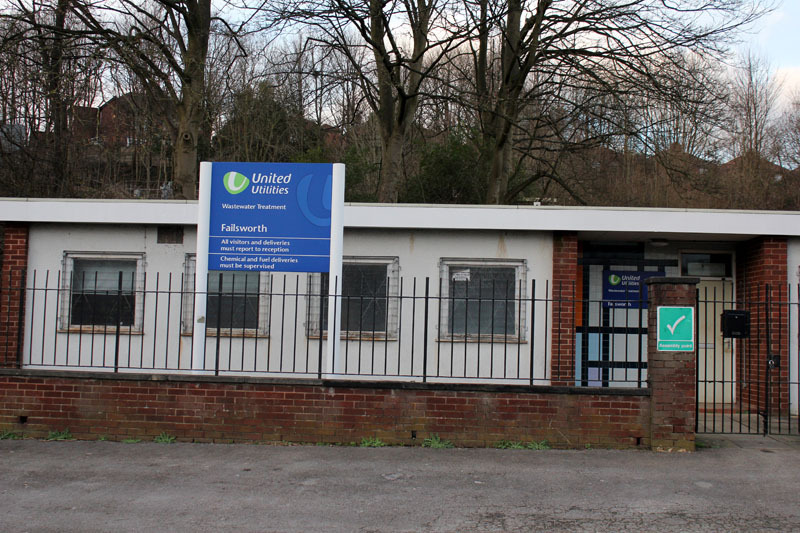 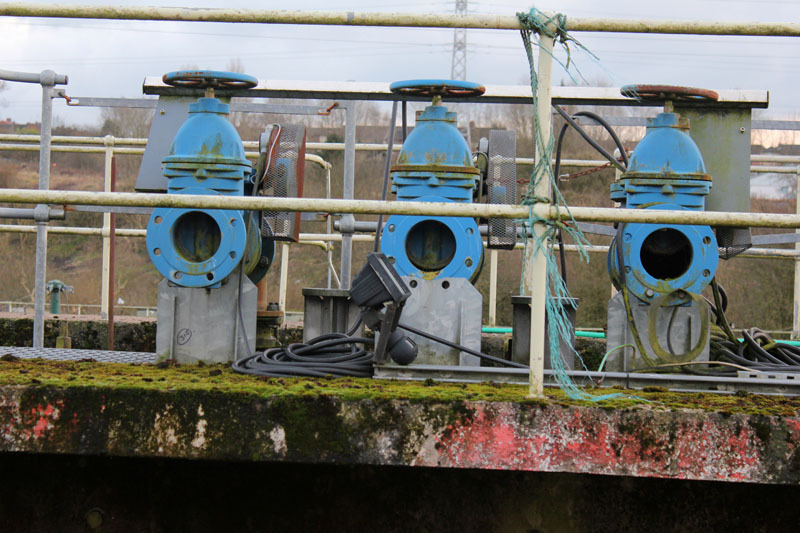 It is owned an managed by United Utilities. 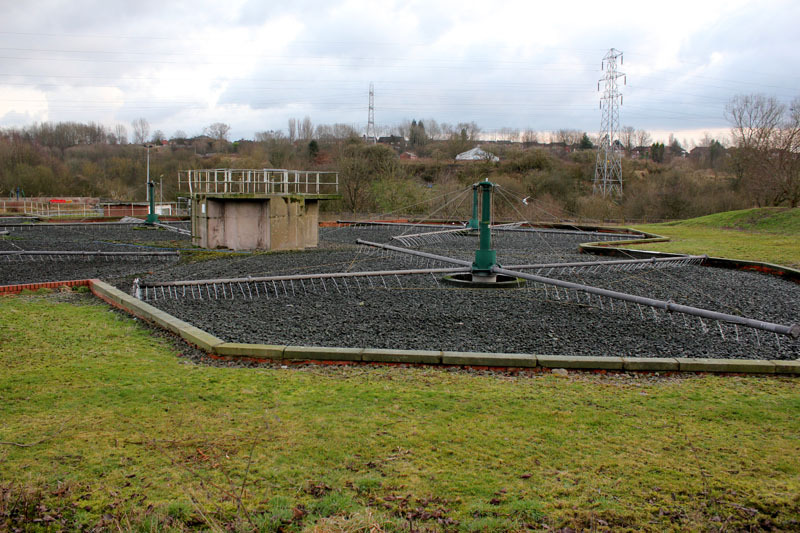 The site around Strinesdale was landscaped in the 1990s when the drinking water reservoirs were decommissioned. 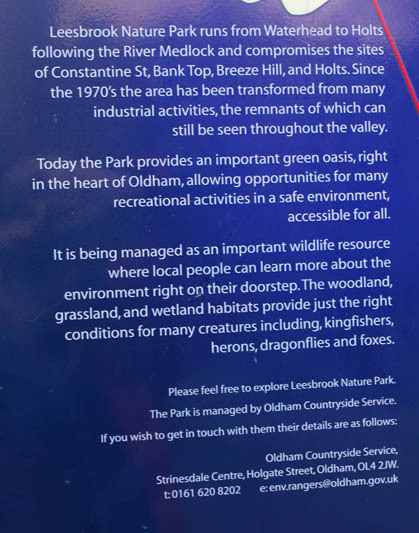 It is now a nature reserve. 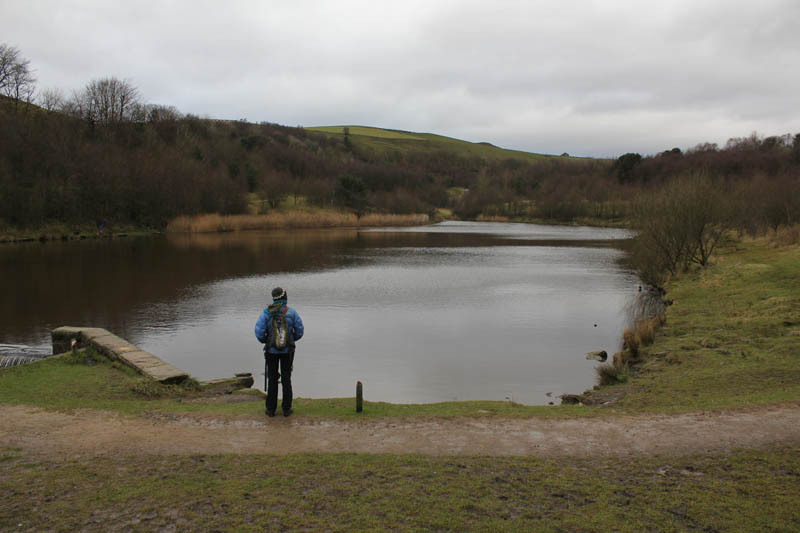 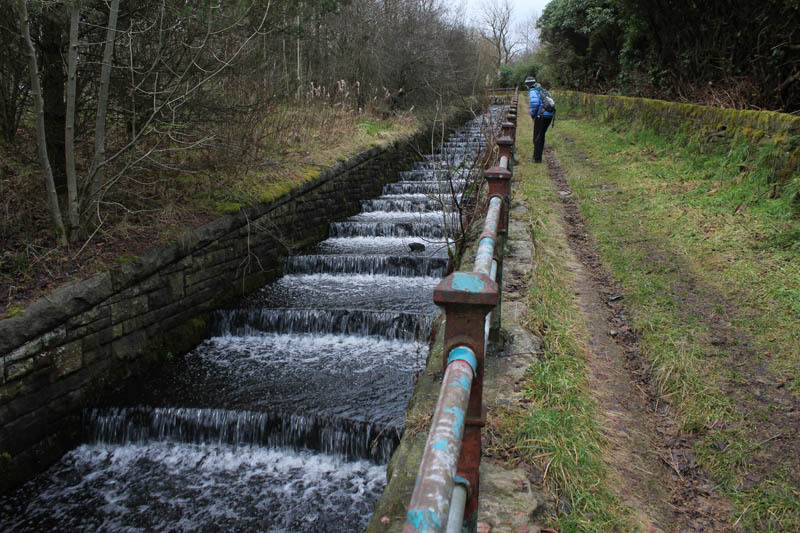 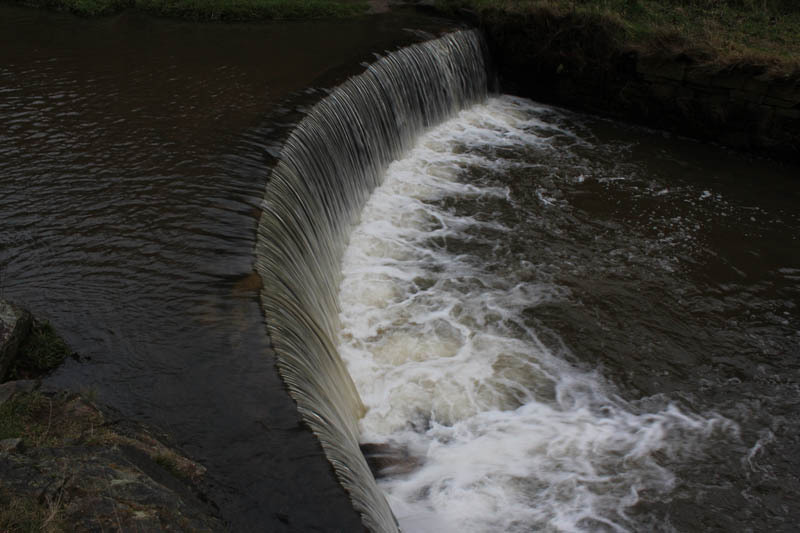 The upper reservoir is particularly lovely and leads up into the meandering valley of the Medlock to Roebuck Lane. 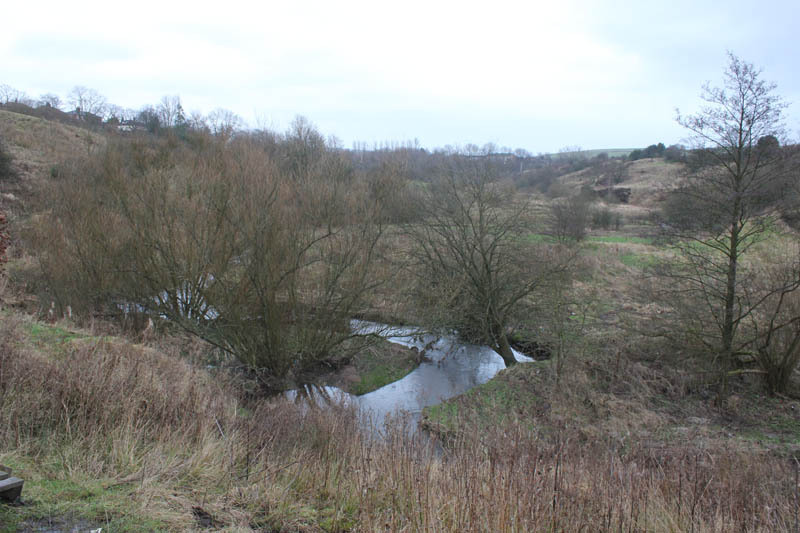 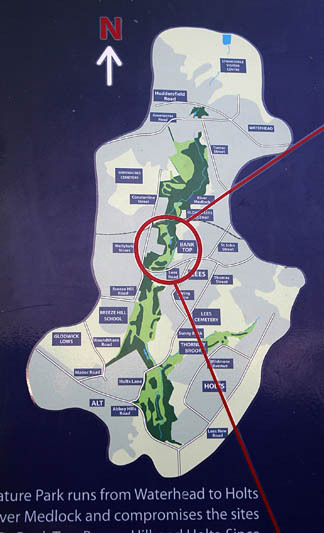 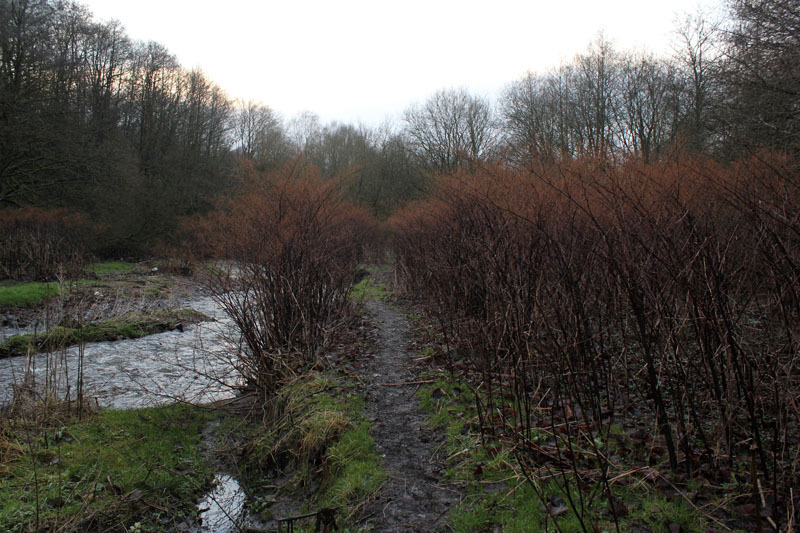 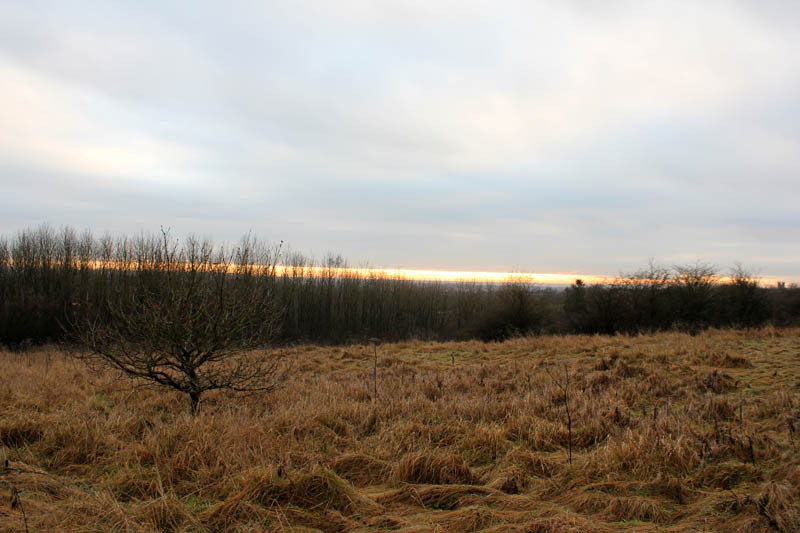 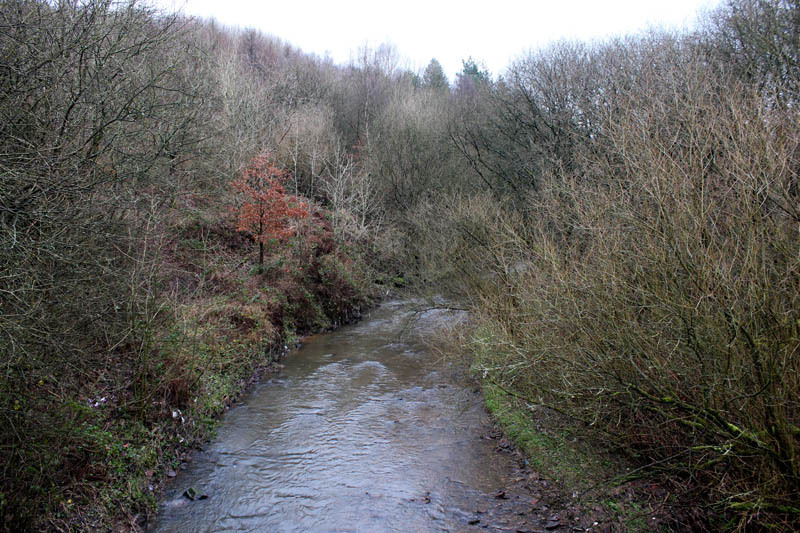 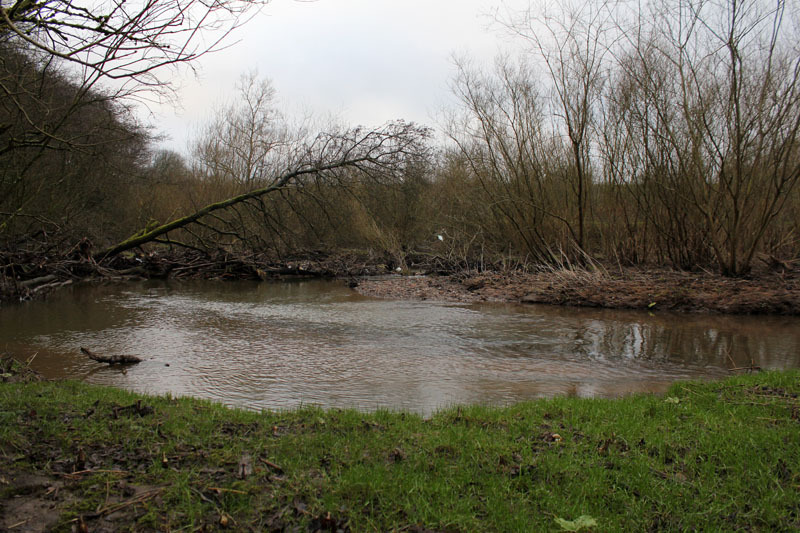 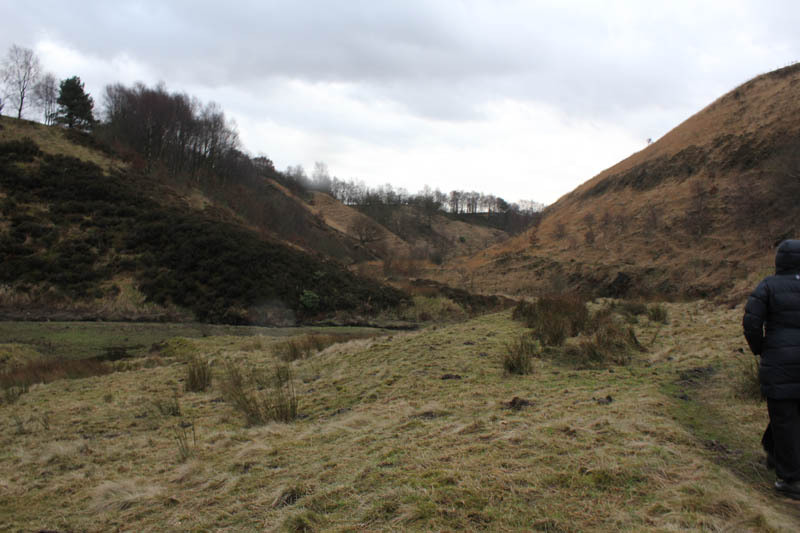 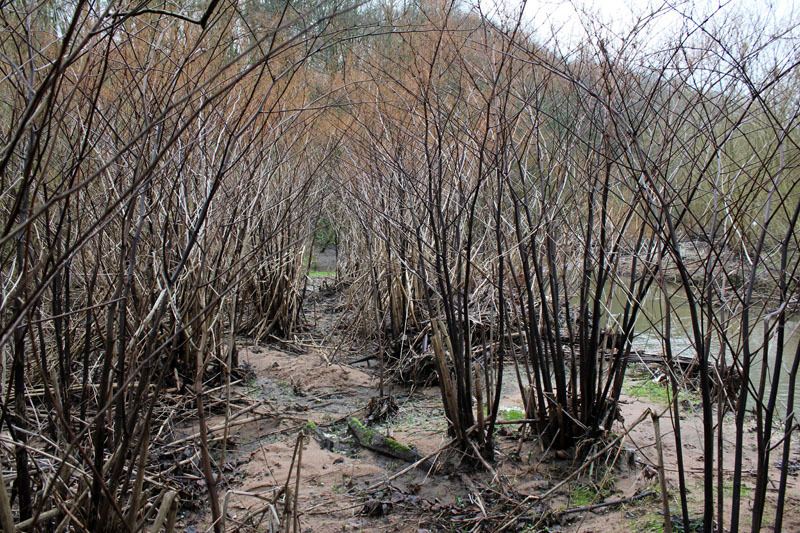 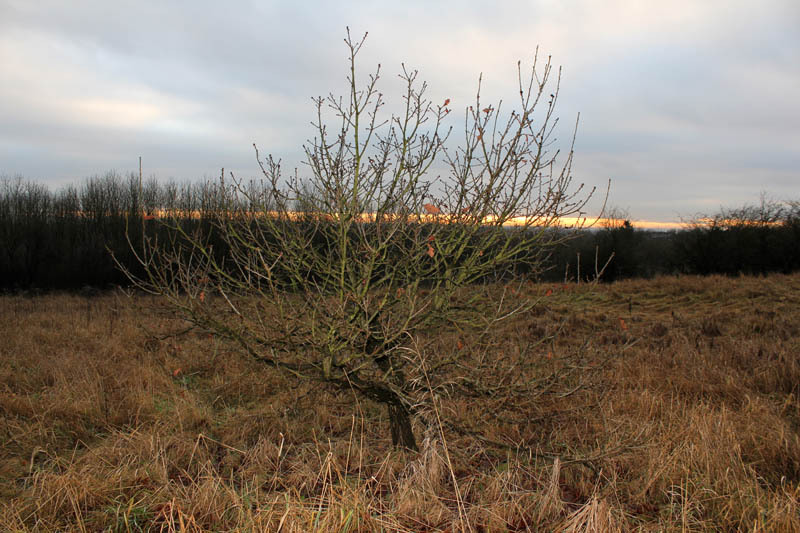 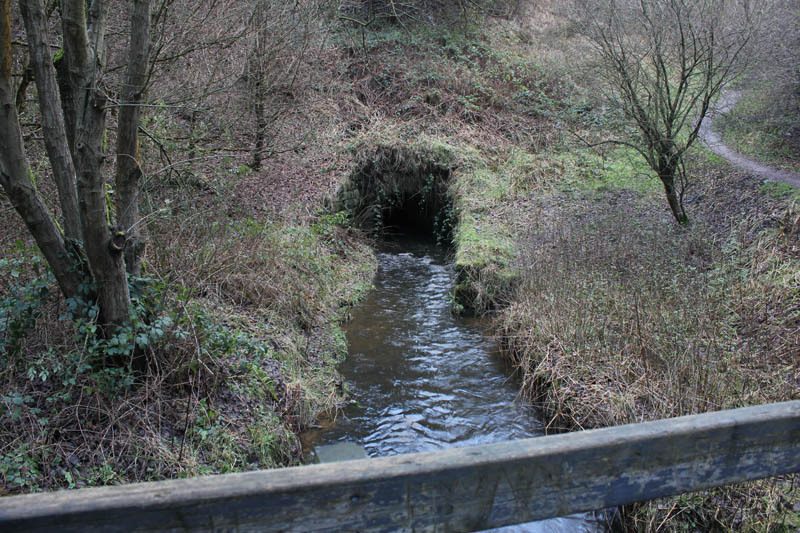 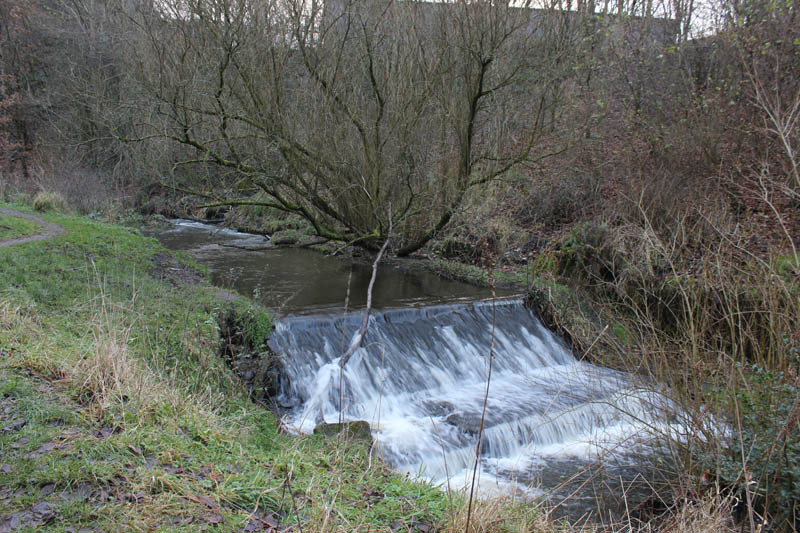 Strinesdale is an area of water and woodland covering approximately 40 acres (162,000 m²). 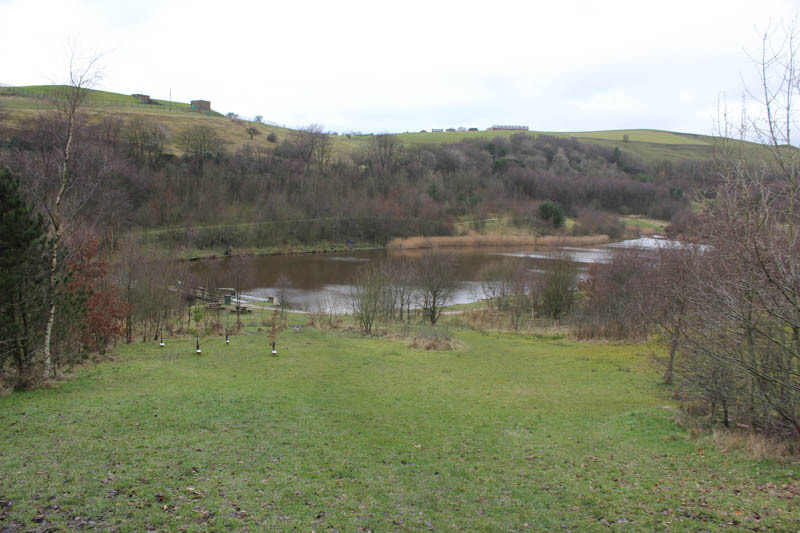 In 1991, the reservoirs were drained and replaced by two smaller lakes with the old reservoir sites being planted with trees and grassland. 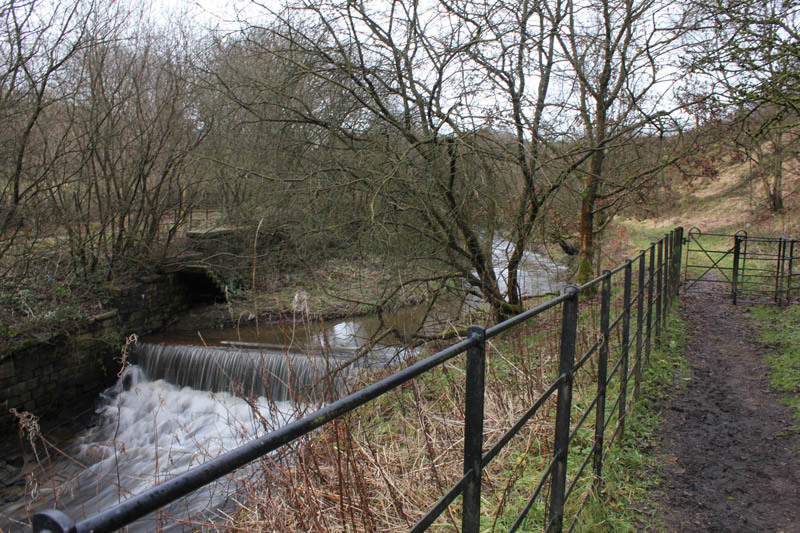 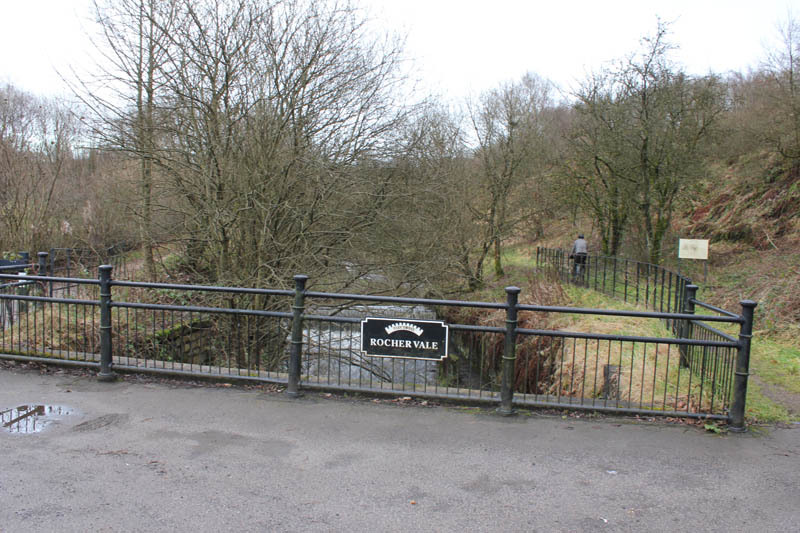 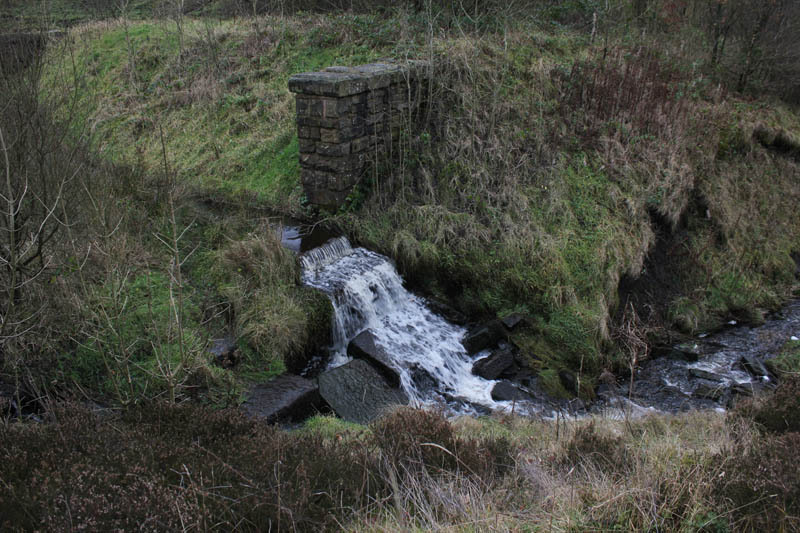 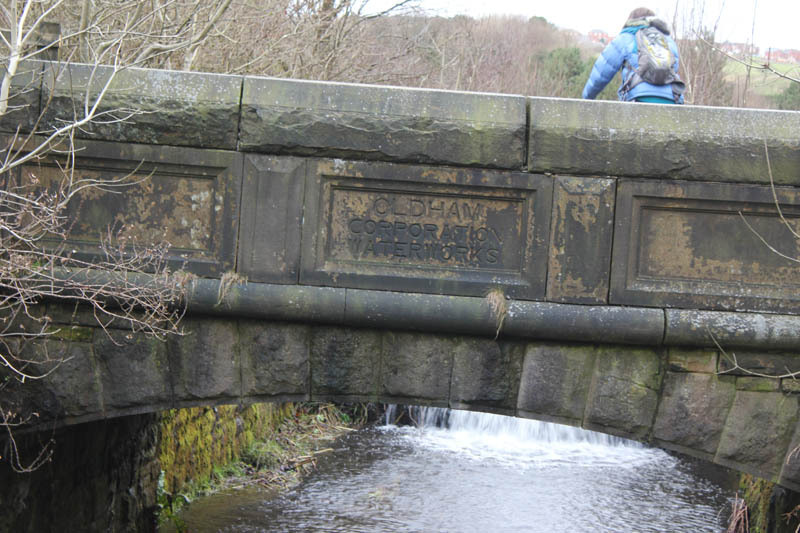 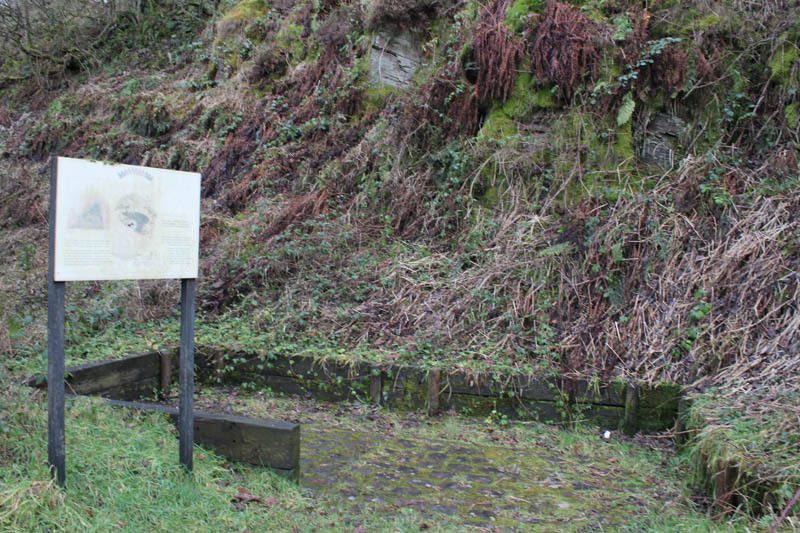 The original reservoirs were built in 1828 and the erected plaque can be seen at Upper Strinesdale. 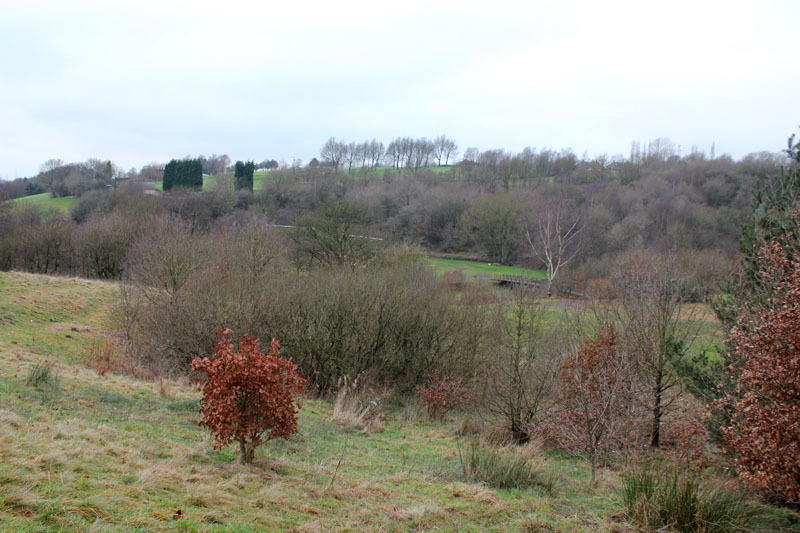 Strinesdale derives its name from the Old English “Strine” meaning boundary in connotation to the old Lancashire/Yorkshire boundary that ran through the middle of the site. 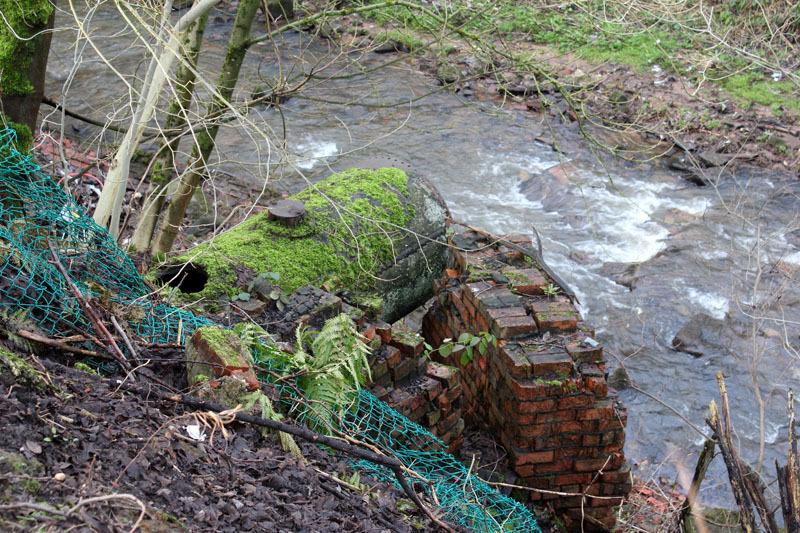 A flood struck Oldham on July 11 causing major damage across the area. 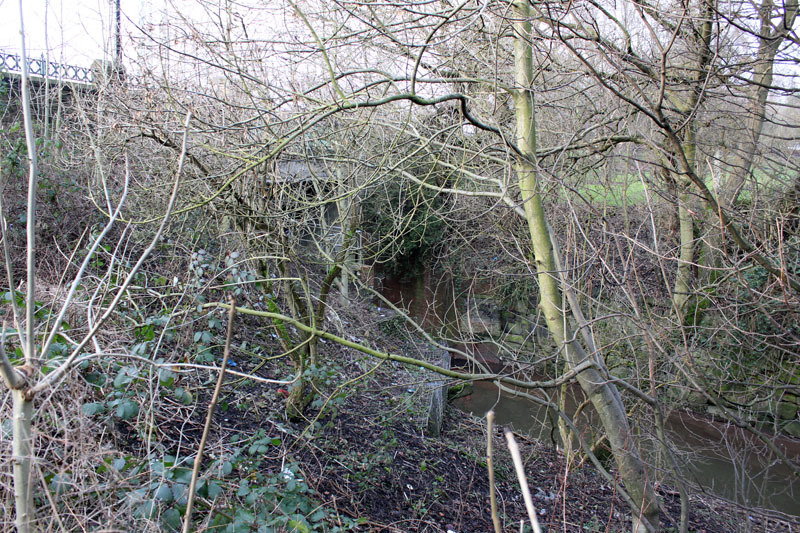 Medlock emerges from bridge at Roebuck Lane. 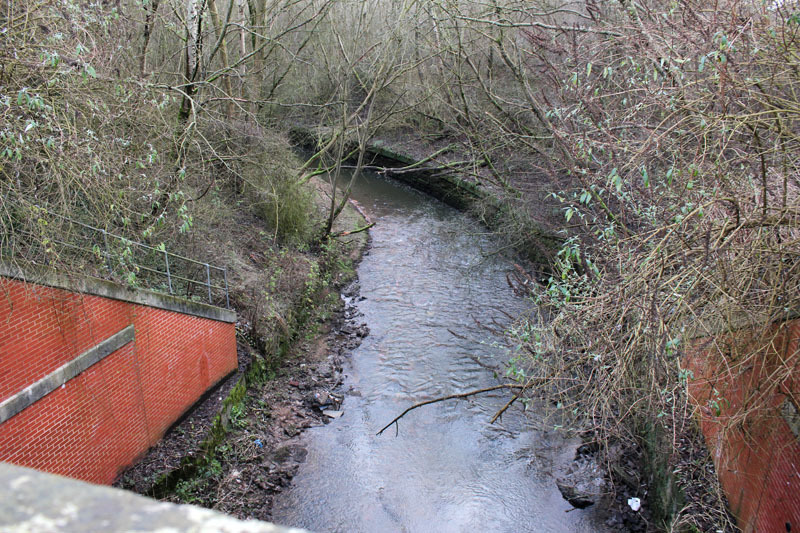 Not far beyond here is the source of the Medlock. 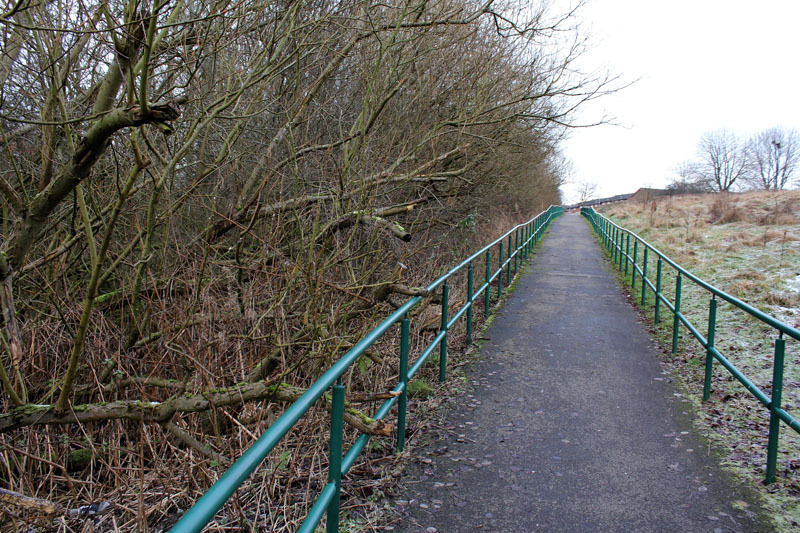 Turning round and returning along the tracks on the east side of the reservoirs. 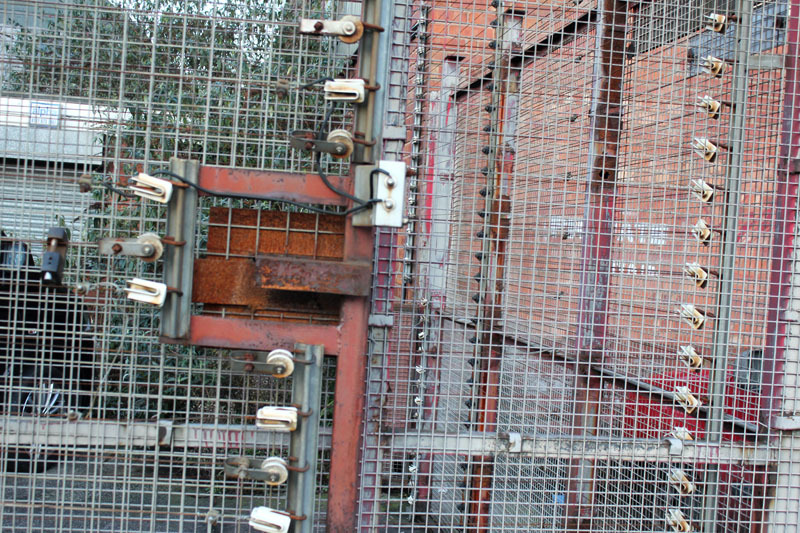 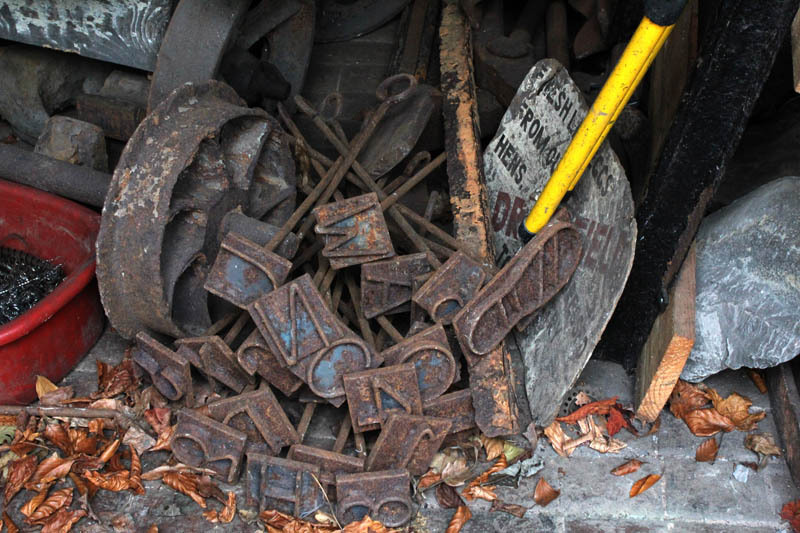 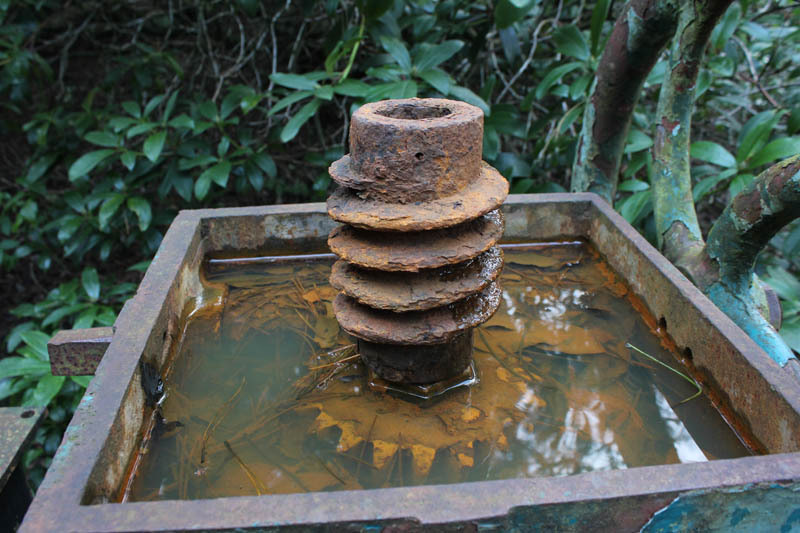 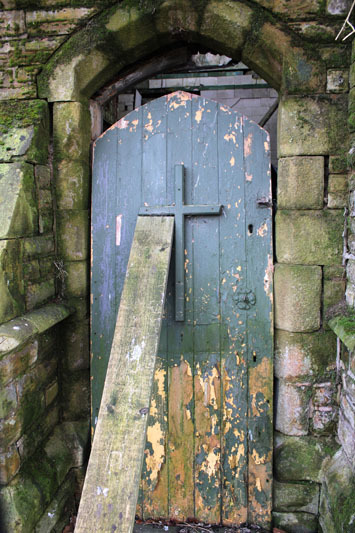 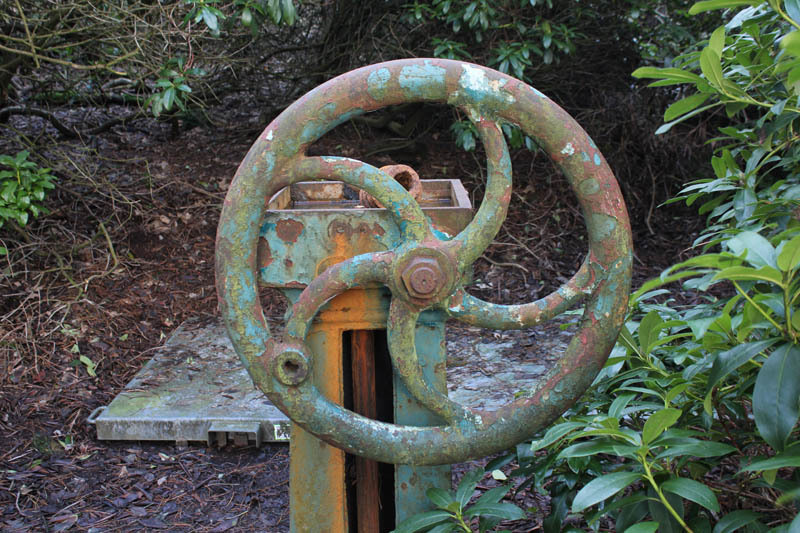 There are many solid, yet rusting, signs of the industrial heritage. 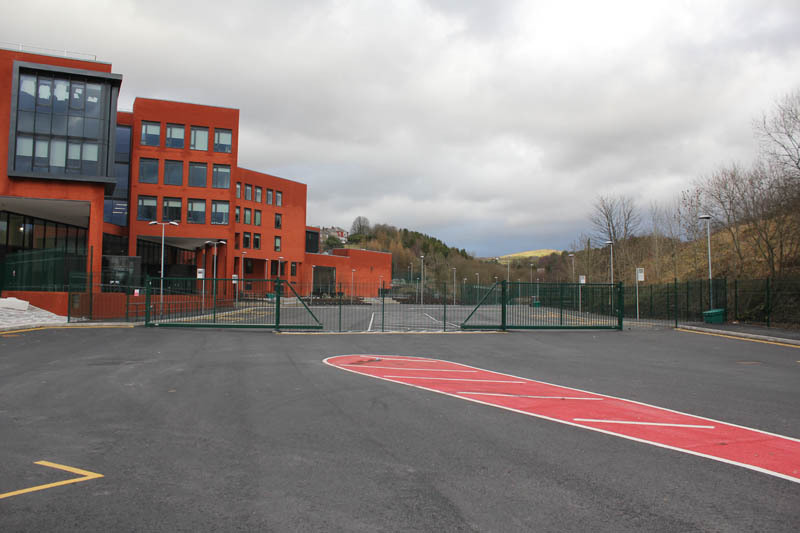 Our Academy opened in September 2010 and embodies the coming together of our two predecessor schools at Breeze Hill and Counthill, which were founded in 1960 and 1951 respectively. 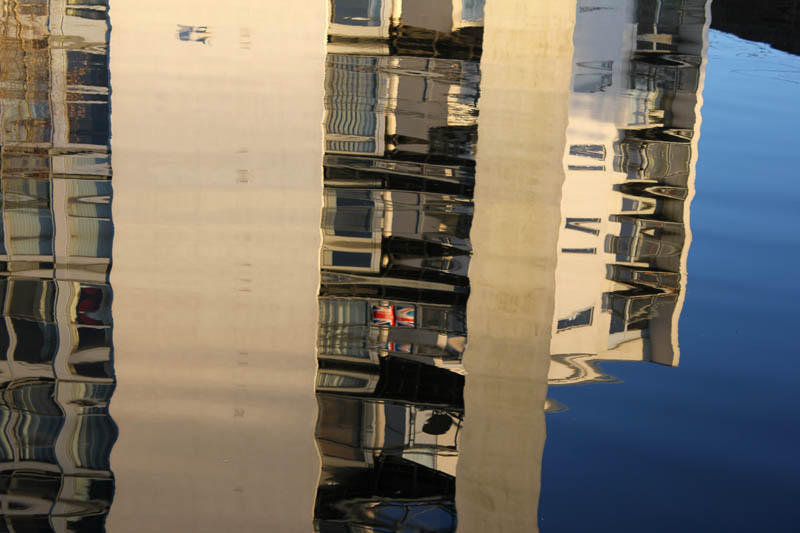 Our Academy’s twin specialisms are English and Creative Technologies, each of which gives special impetus to our students’ ability to succeed in every area of the curriculum. 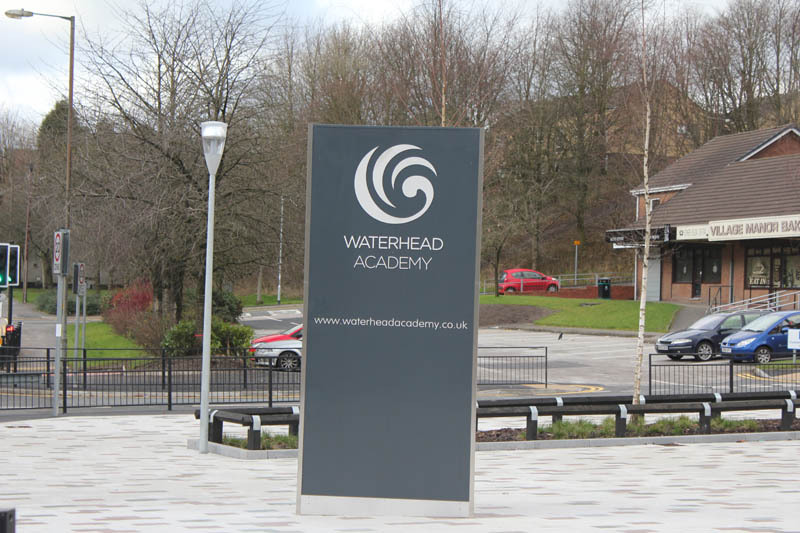 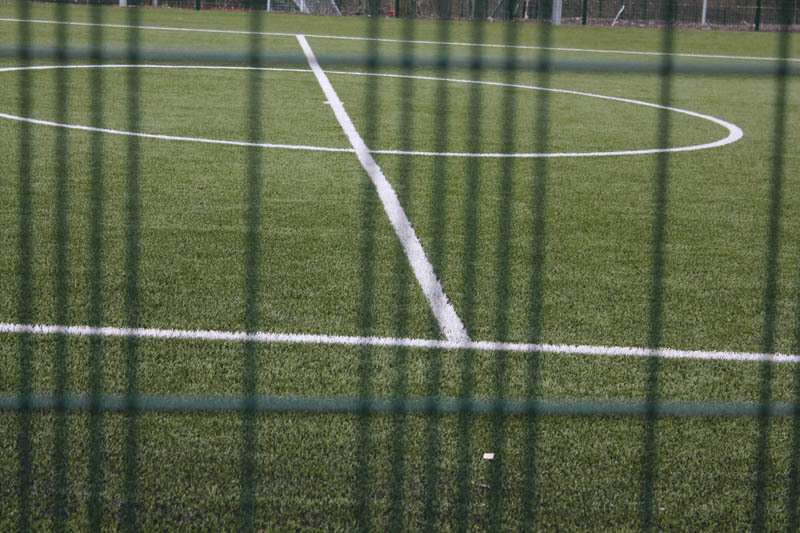 Our Academy embraces two Campuses: our Main Campus on Huddersfield Road and our Sports Campus on Counthill Road. 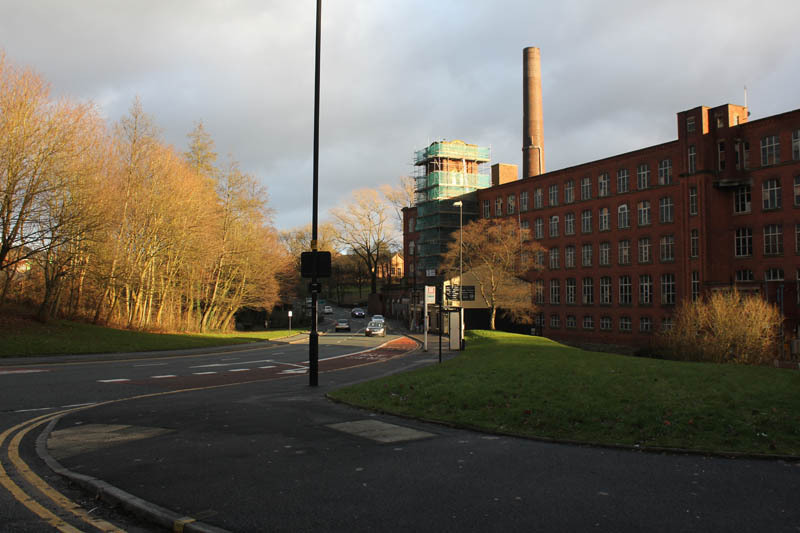 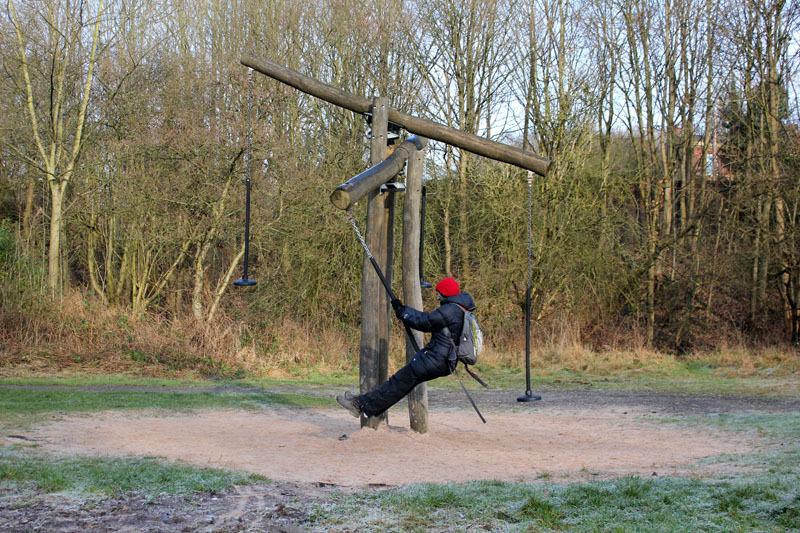 Our Main Campus is built on the site of a former spinning Mill and on the boundary line which separates the counties of Lancashire and Yorkshire. 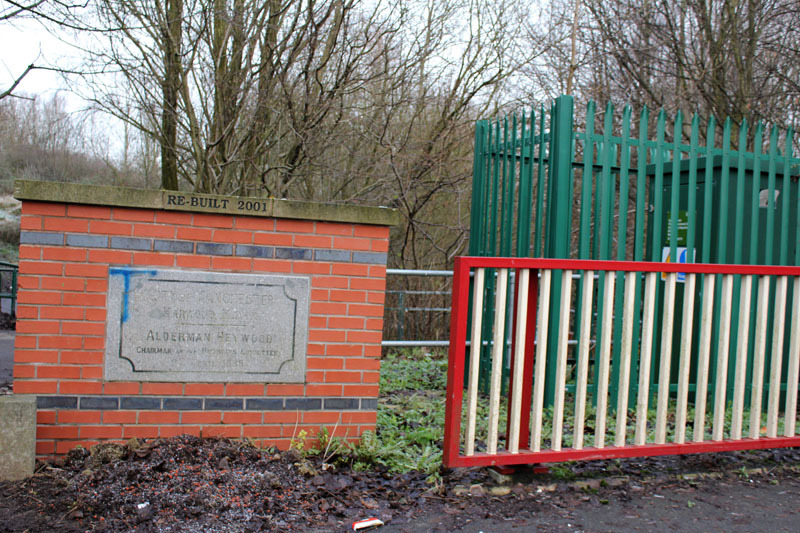 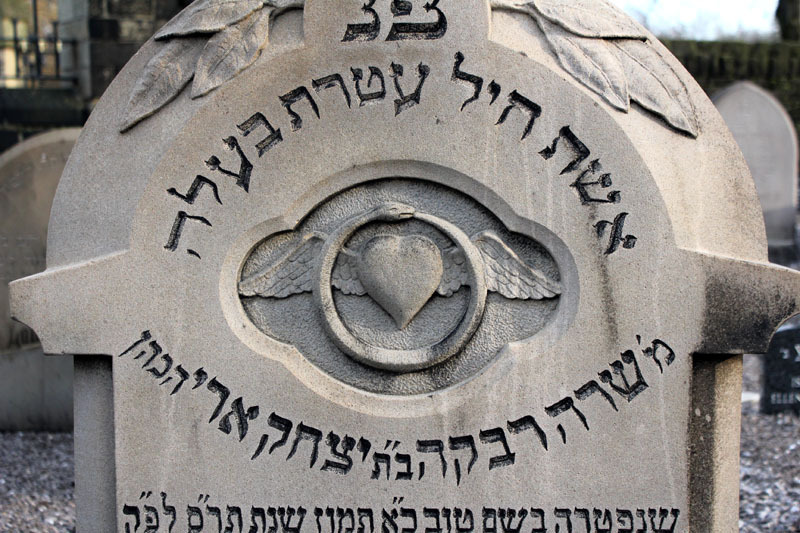 One of the original boundary stones has been retained and is set within the wall at the Academy Entrance. 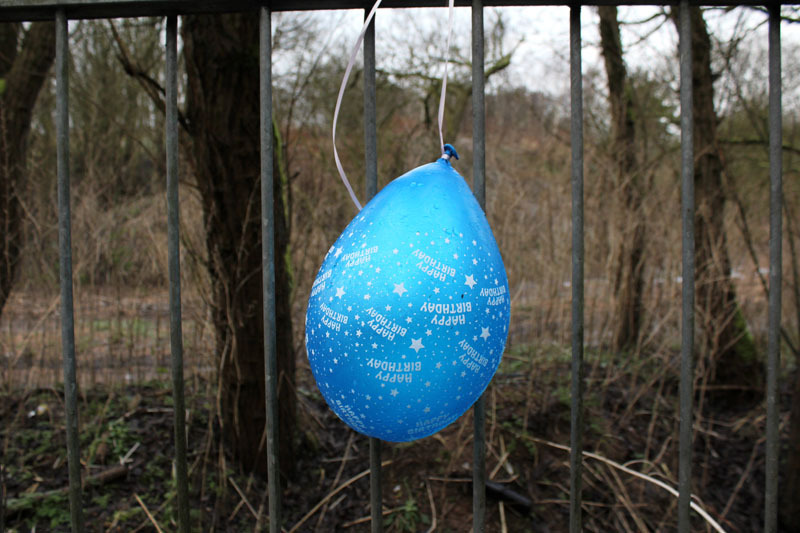 January 6th. 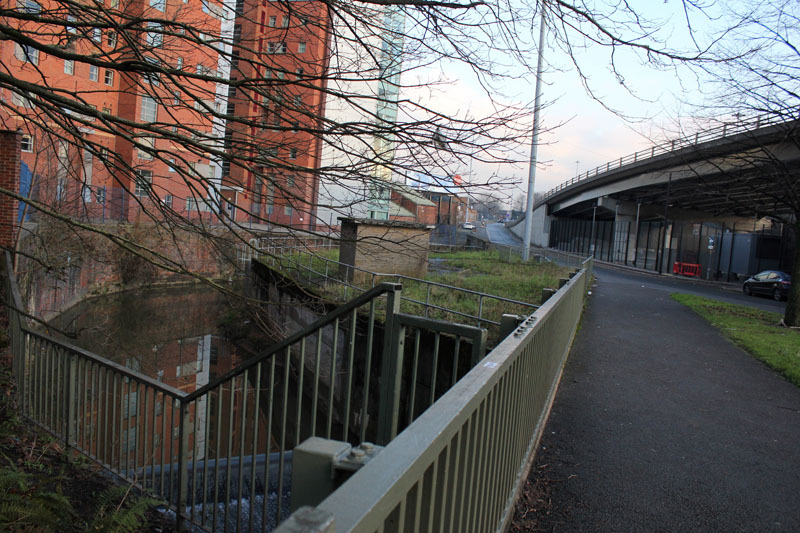 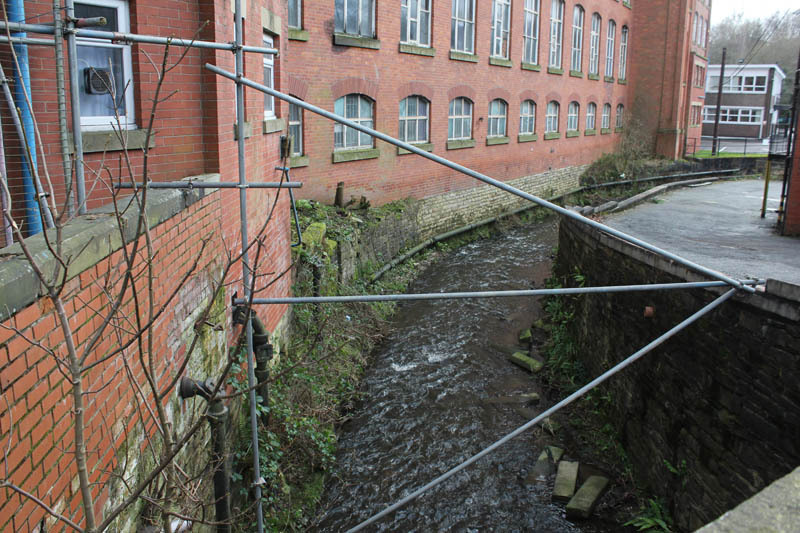 This section is from Dawson Street Bridge and Regent Bridge down to where the Medlock flows into the River Irwell. 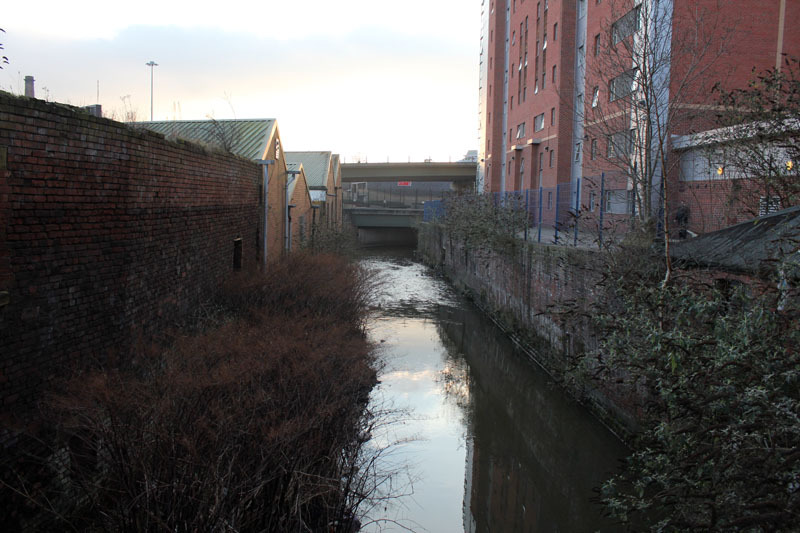 The Irwell itself flows into the Manchester shipping canal. 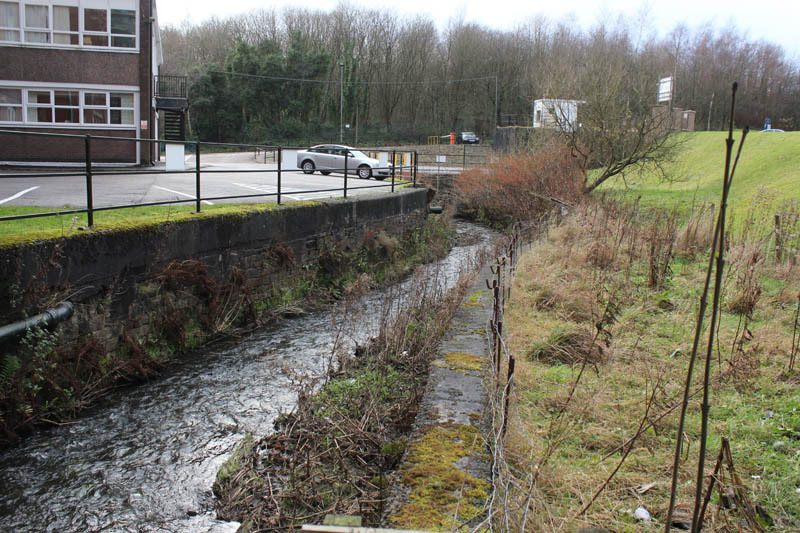 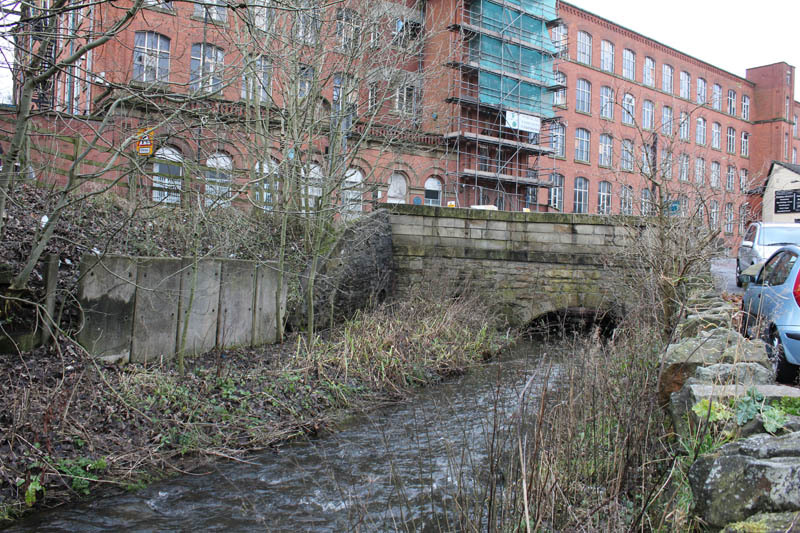 It is only a brief stretch from Dawson St Bridge to the outlet into the Irwell, but there is no public access to the Medlock at this point. 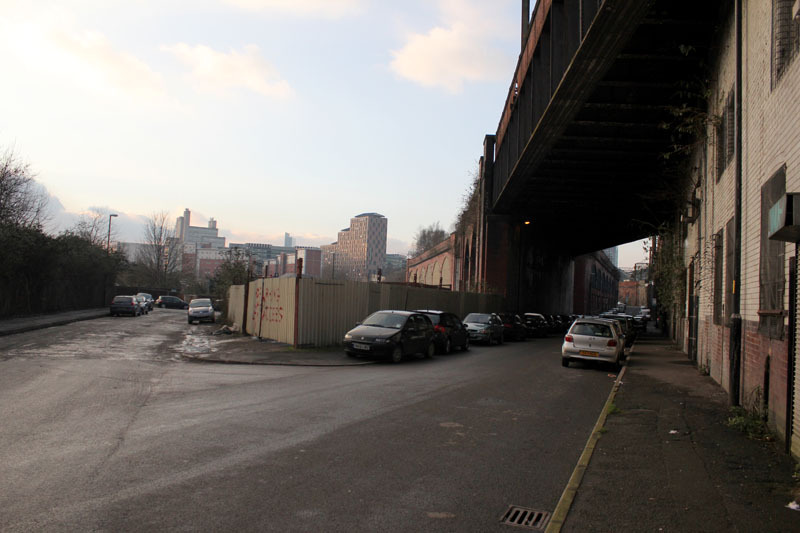 So my walk took me back up Water street (where there is a parking space), onto Regent Road, across Regent Bridge and down onto the footpath on the Salford side of the Irwell. 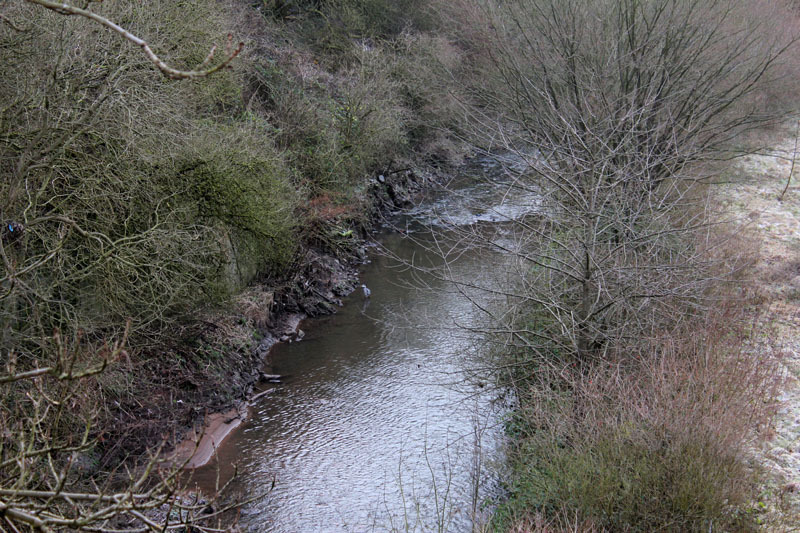 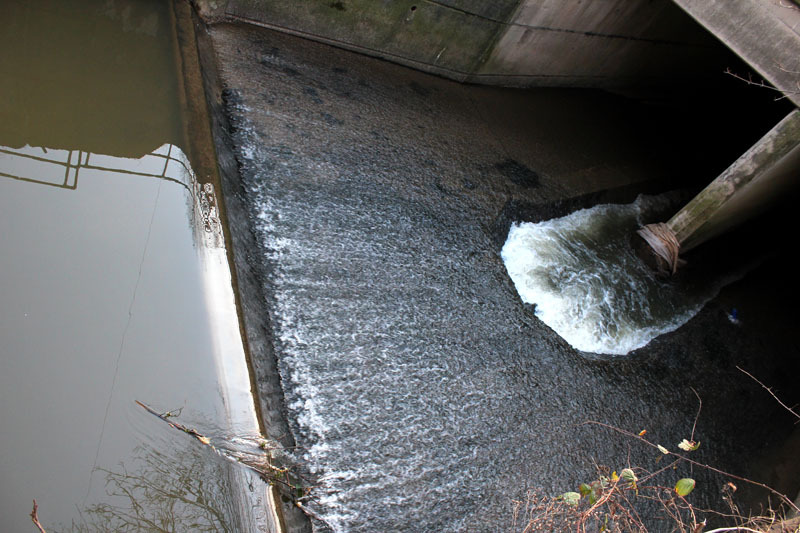 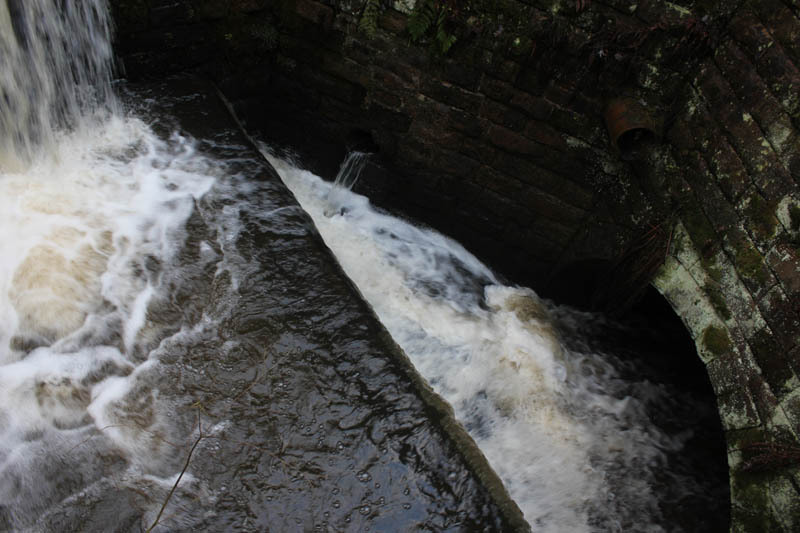 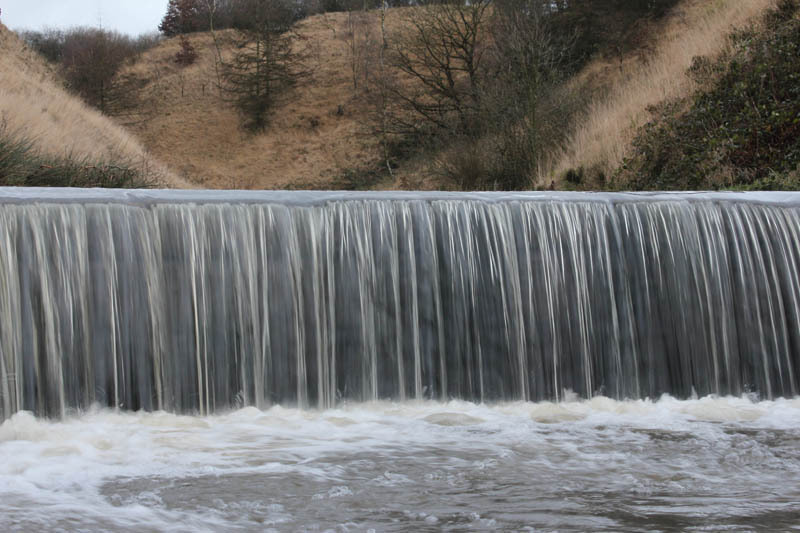 From that side it is possible to see where the Medlock pours out. 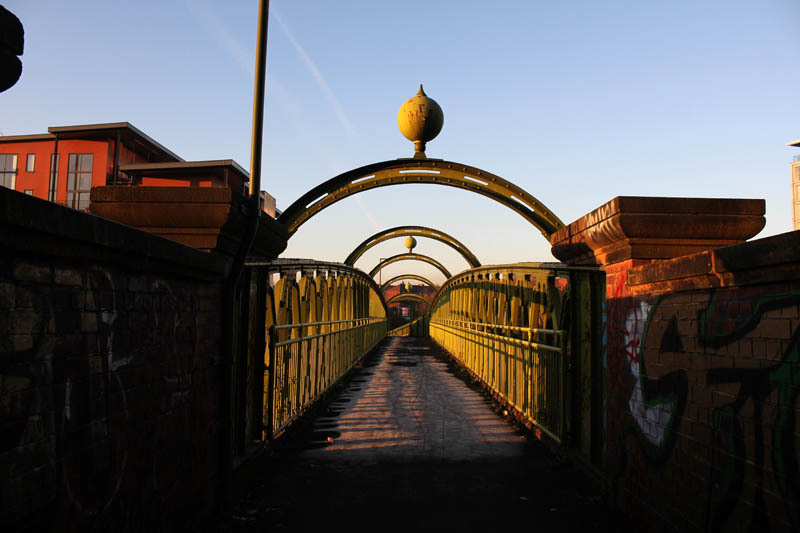 Further up the Irwell/Ship Canal is a lovely old iron bridge which crosses back into Cornbrook and the multi-bricked arches of the railway viaduct. 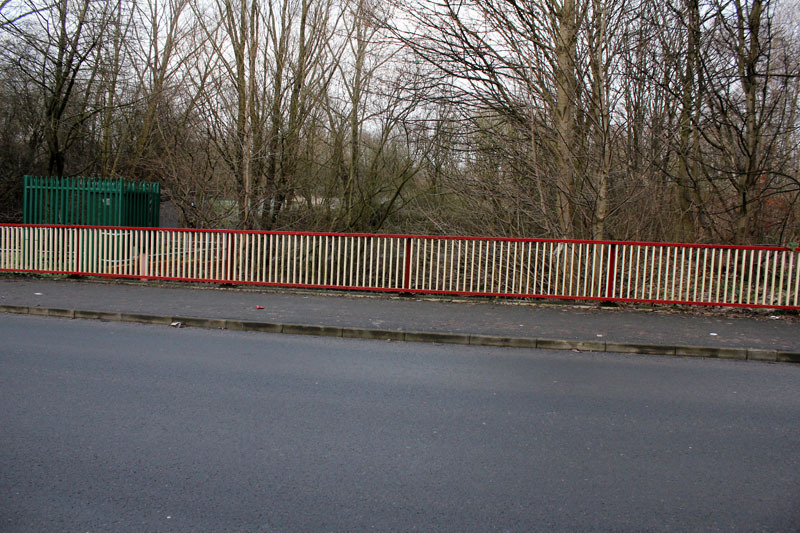 Actually this bridge marks the meeting points of the boundaries of Salford, Trafford and Manchester. 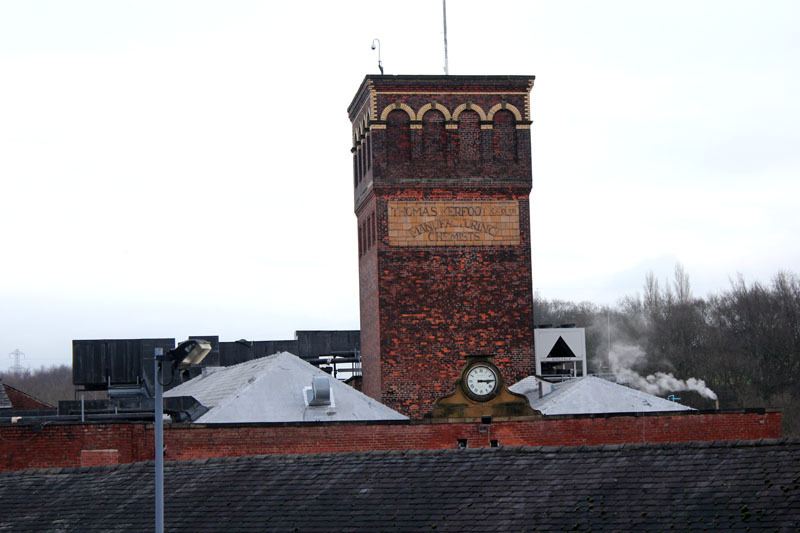 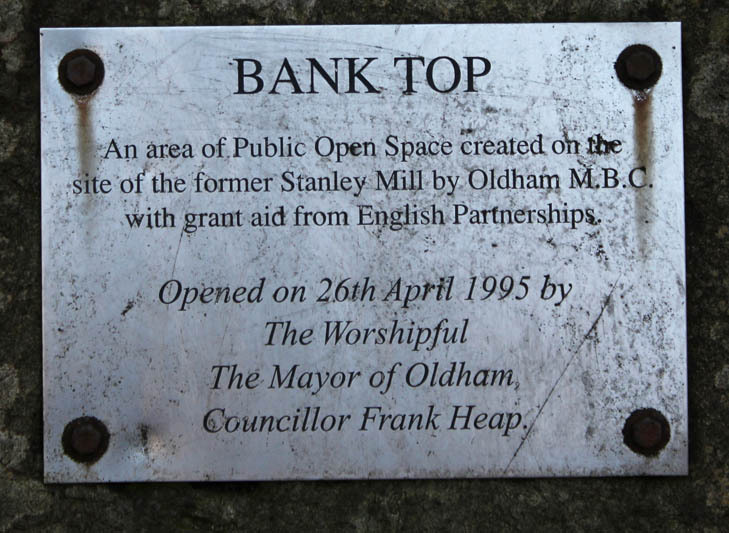 The area has a strong sense of industrial history: Britannia Mills, Timber Wharf, The Box Works, Hulme Junction. 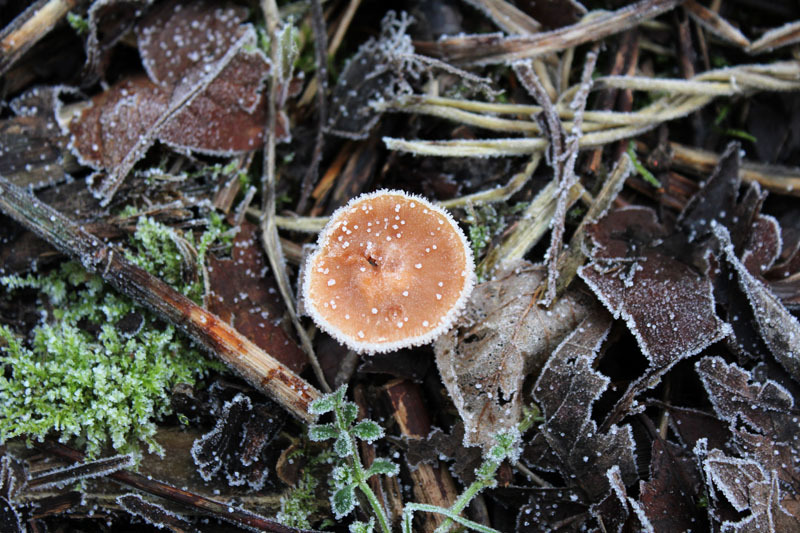 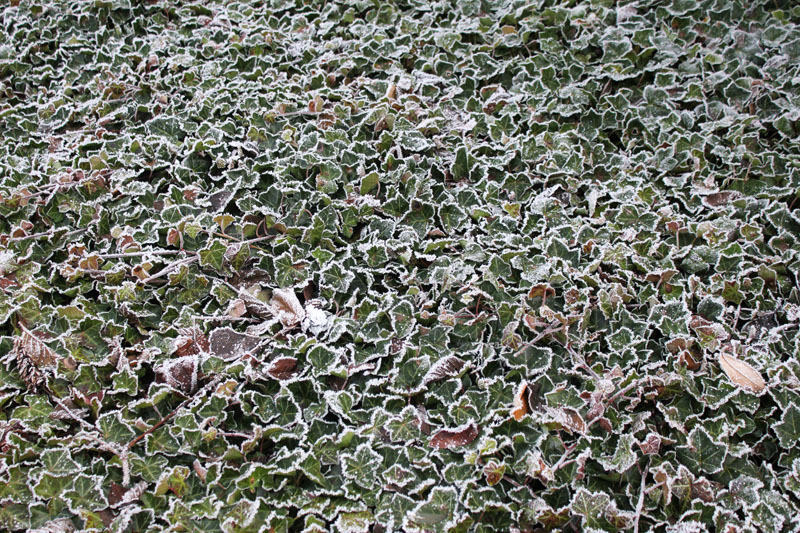 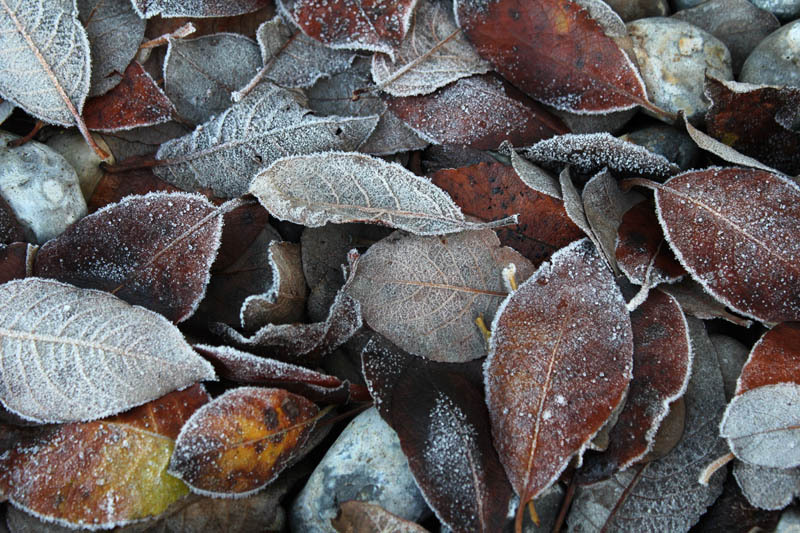 A clear frosty day. 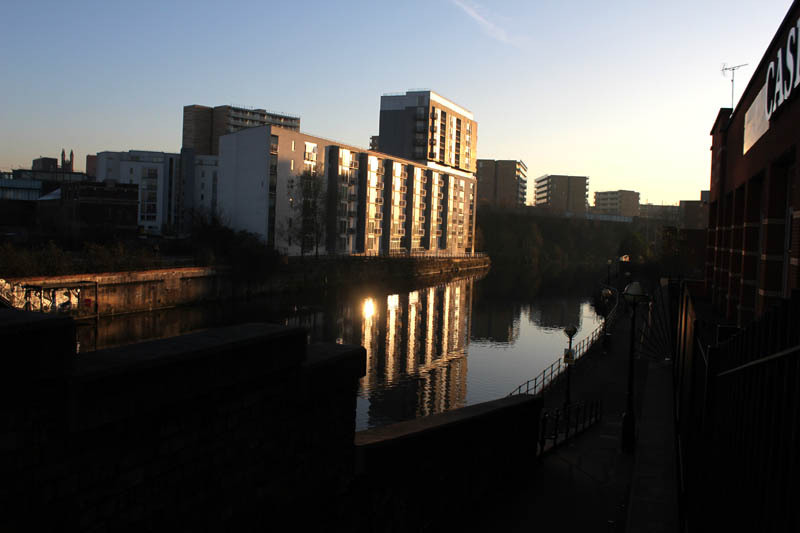 Irwell/Manchester Ship Canal. 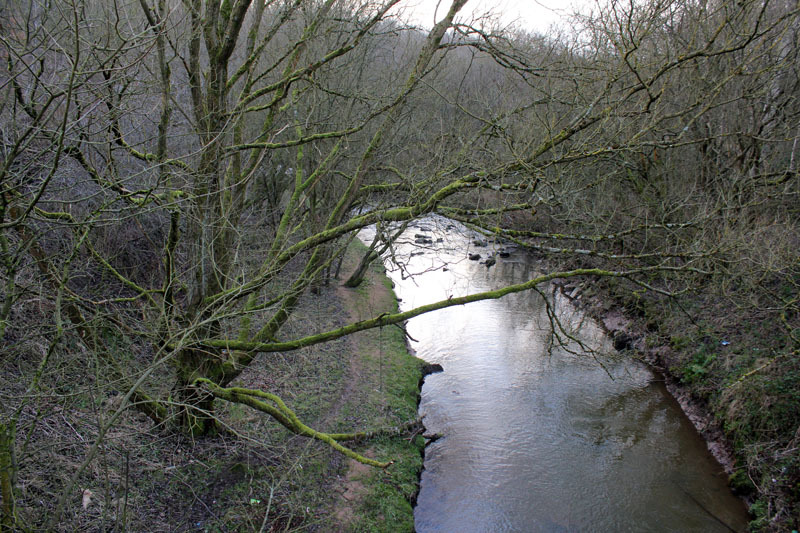 Medlock River enters just beyond trees on right. 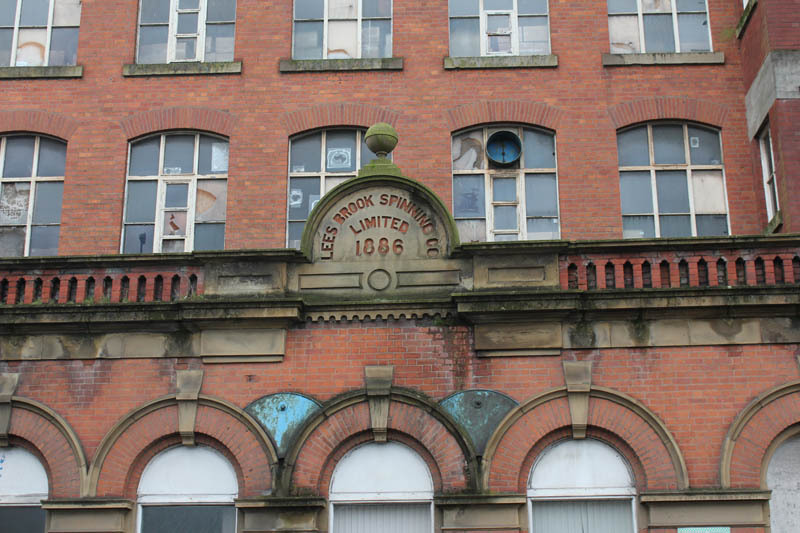 I explored the area around Leesbrook and the Leesbrook Mill. 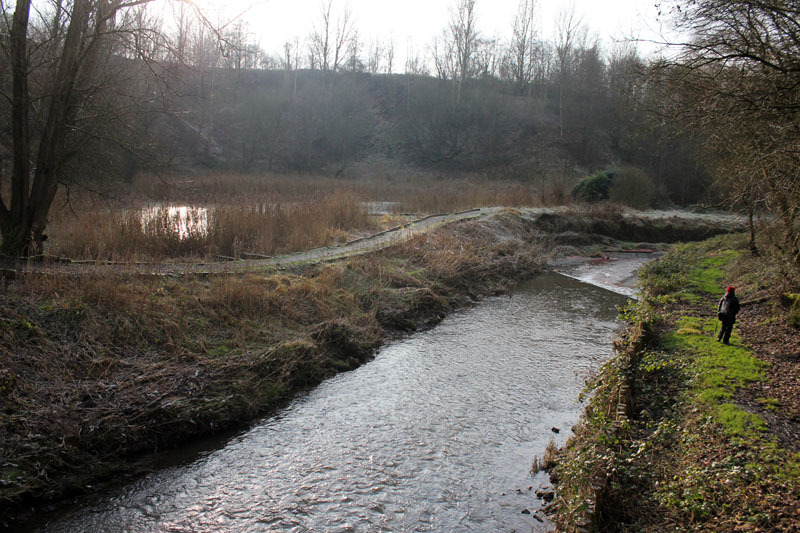 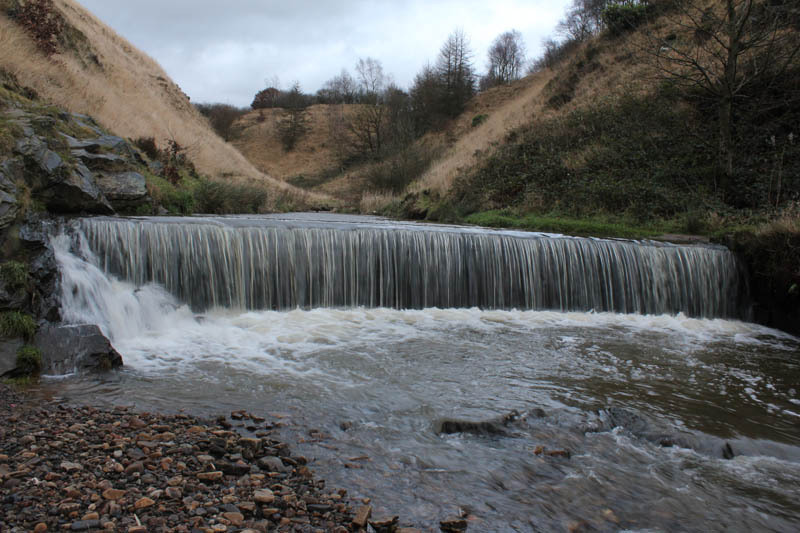 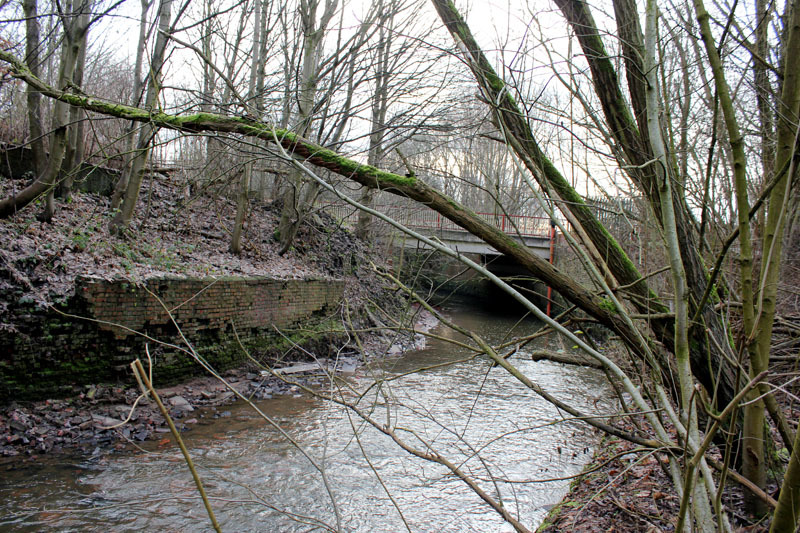 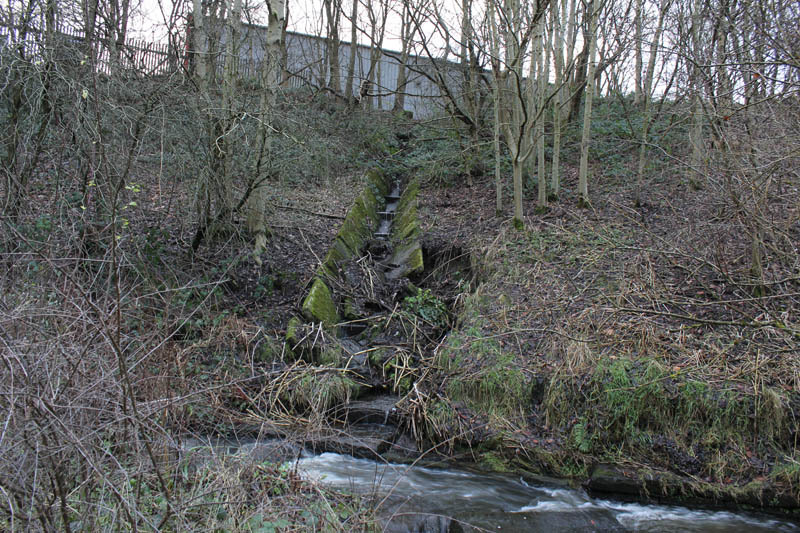 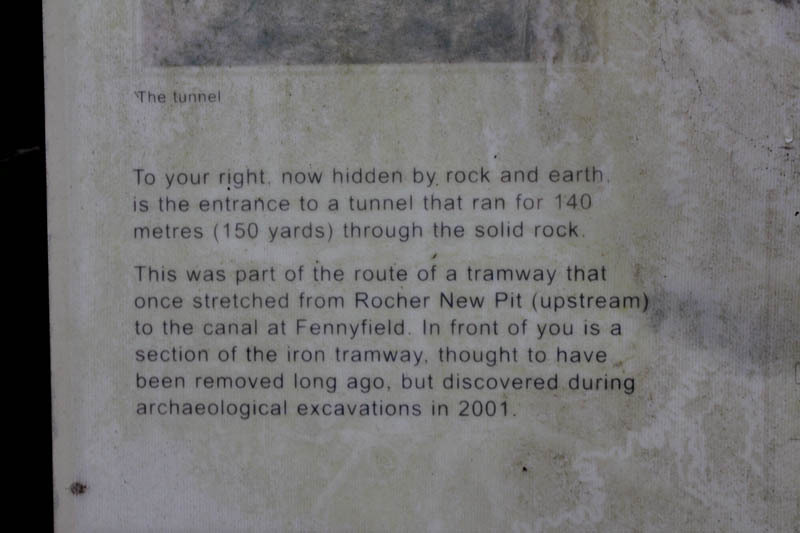 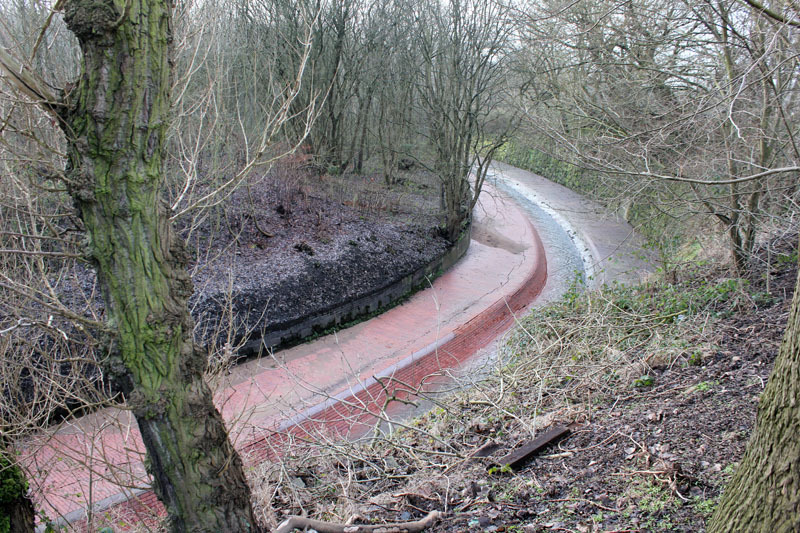 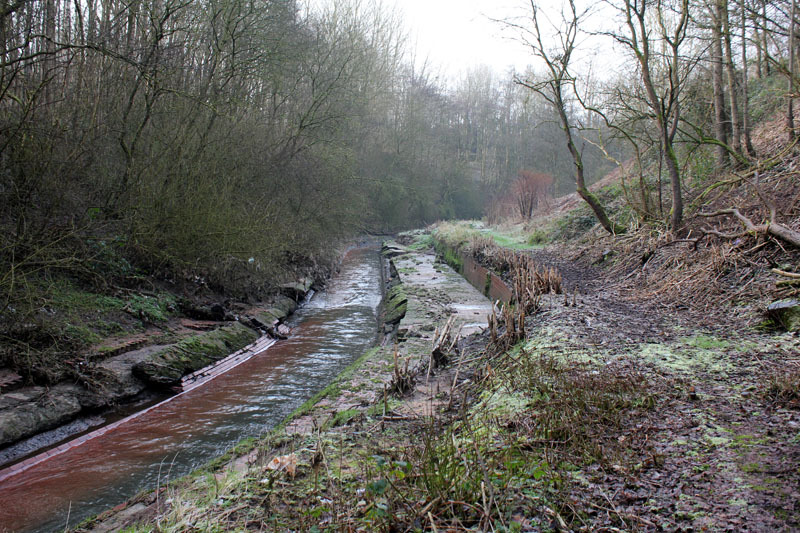 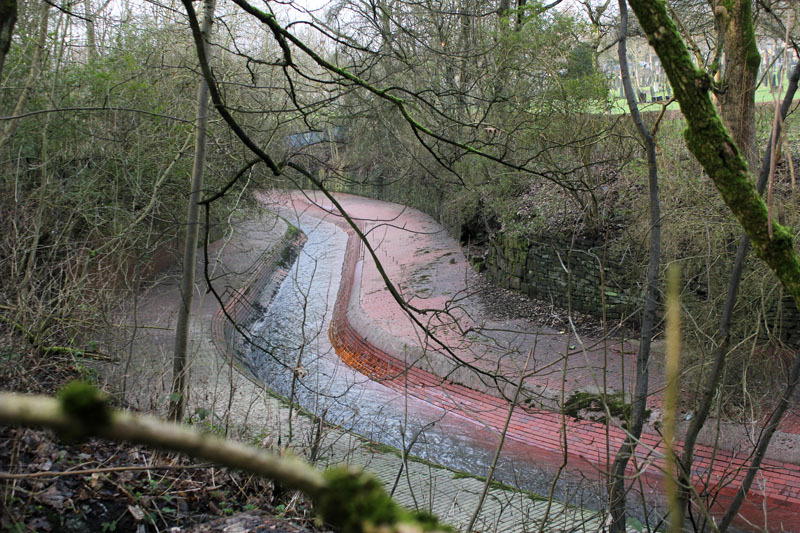 The Medlock goes underground near the Mill on the South side of Lees Rd then re-emerges the other side of Nether Lees. 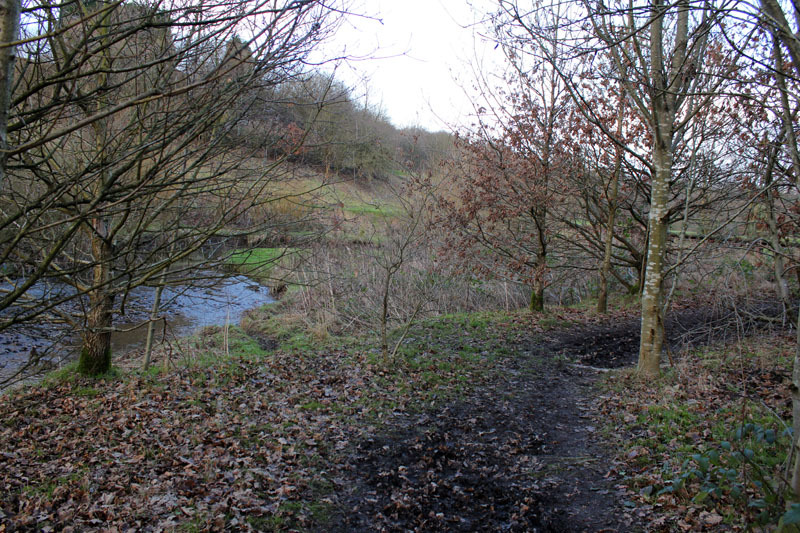 I decided to track back briefly to Nether Lees first before returning to the Lees Rd and the path going North. 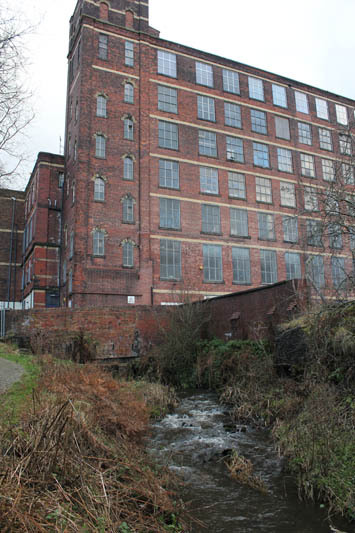 The Old Mill on Lees Rd. 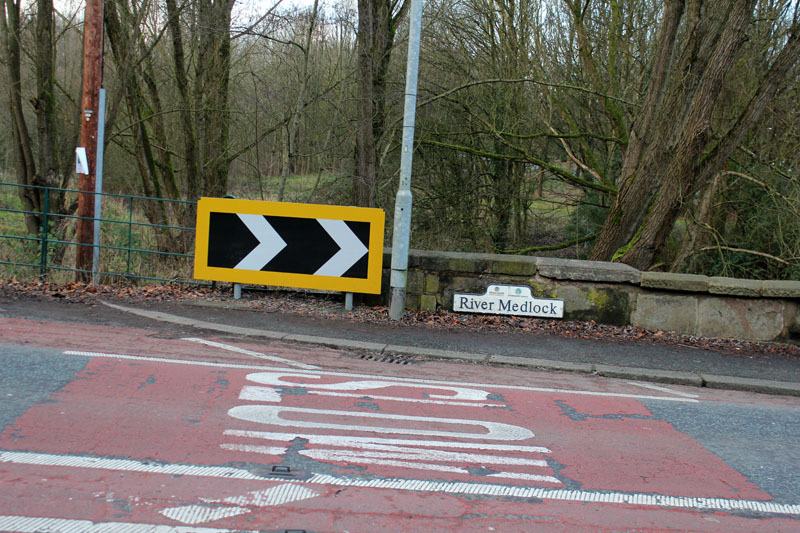 Medlock disappears under ground at this point in Leesfield. 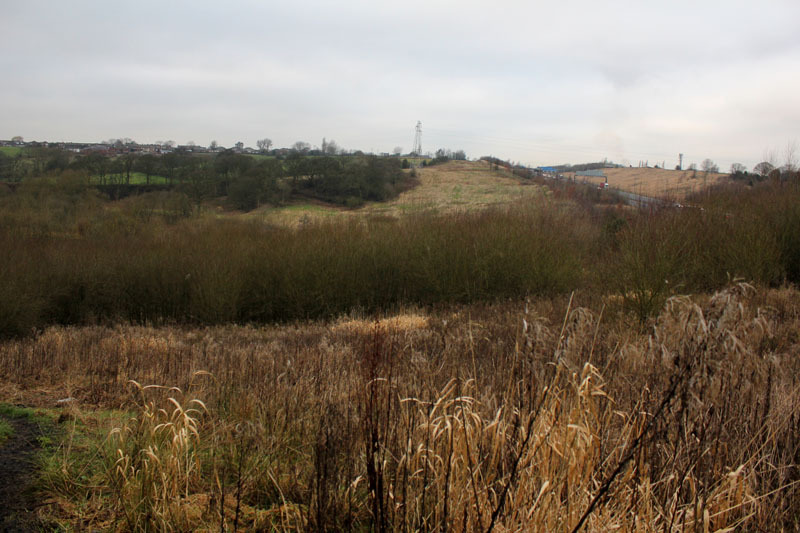 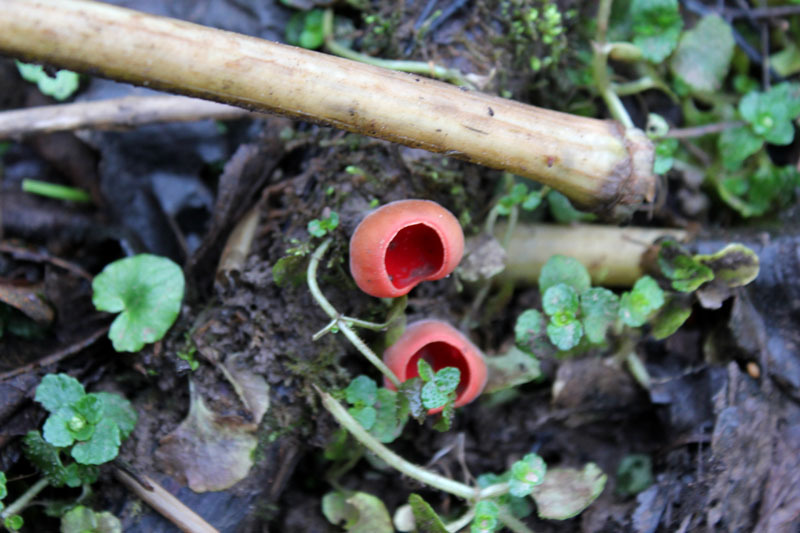 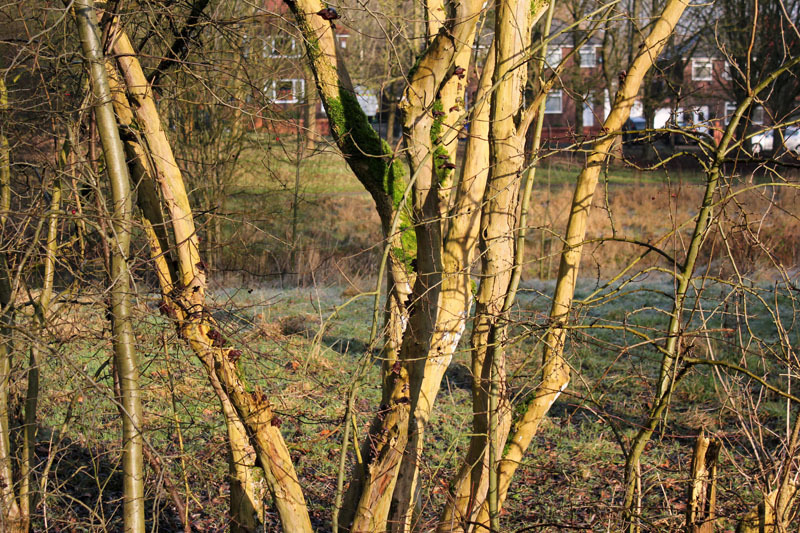 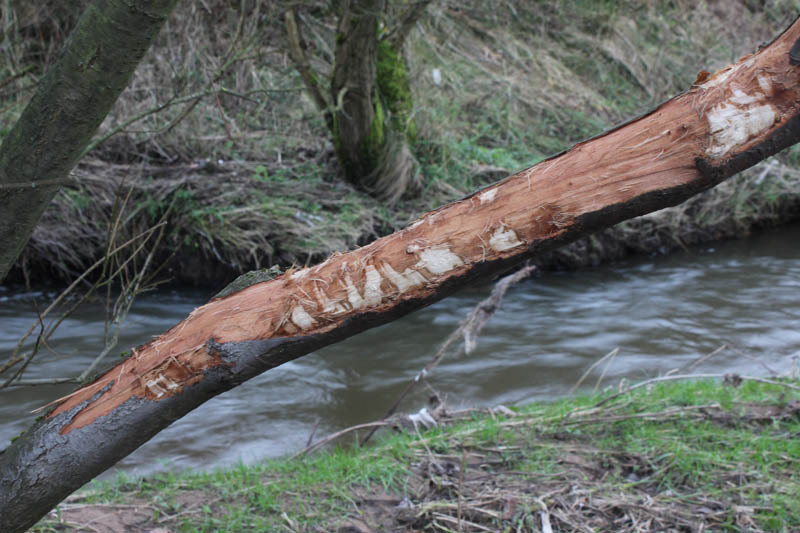 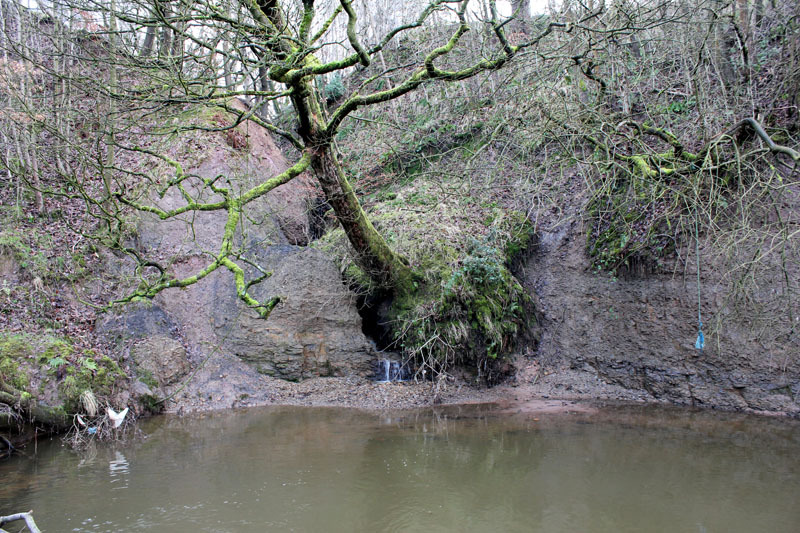 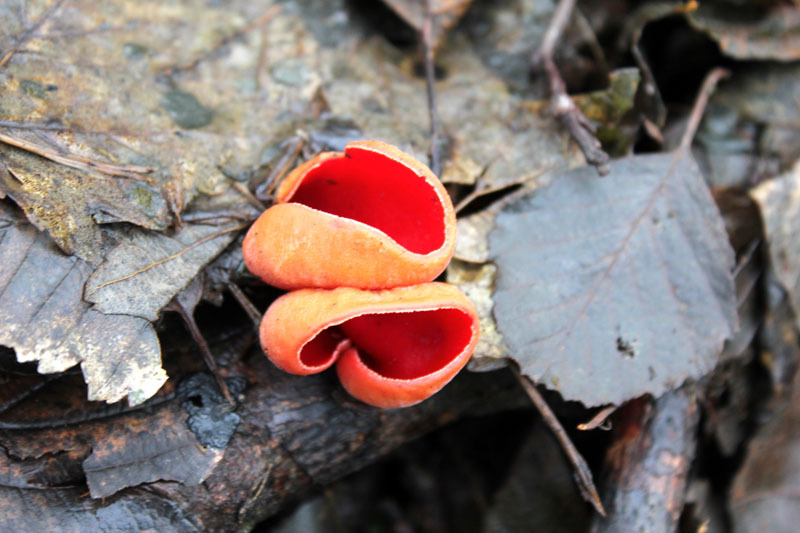 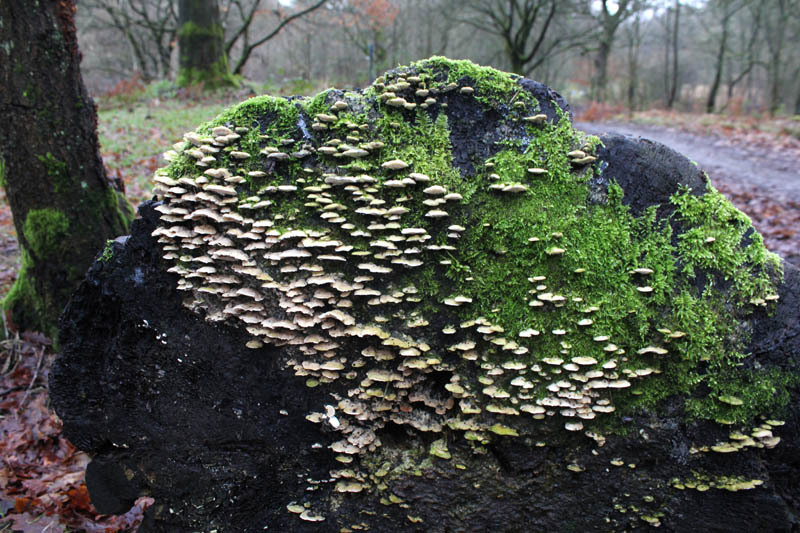 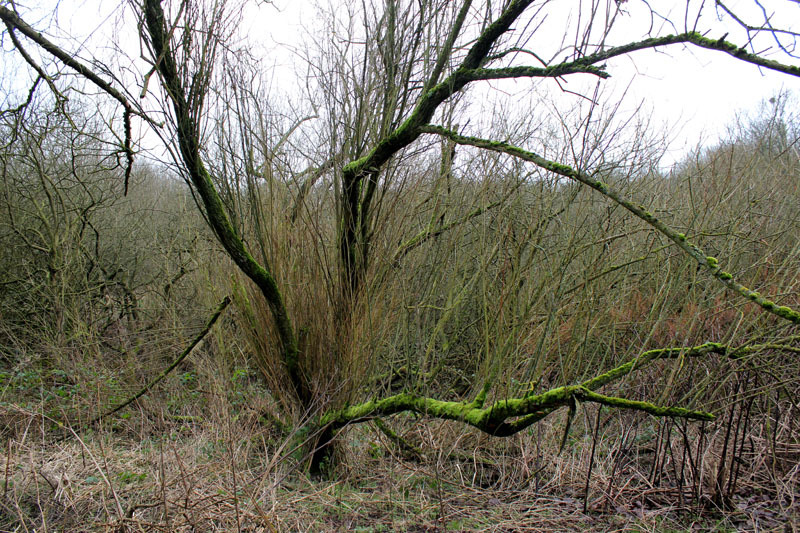 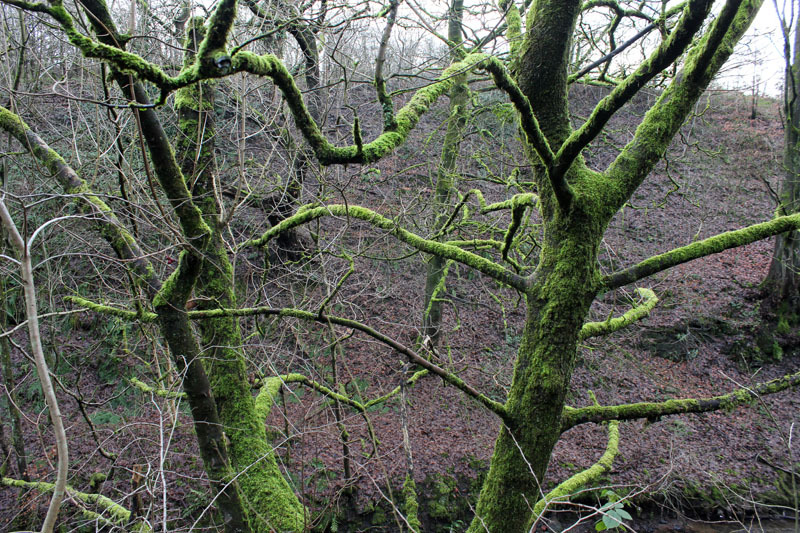 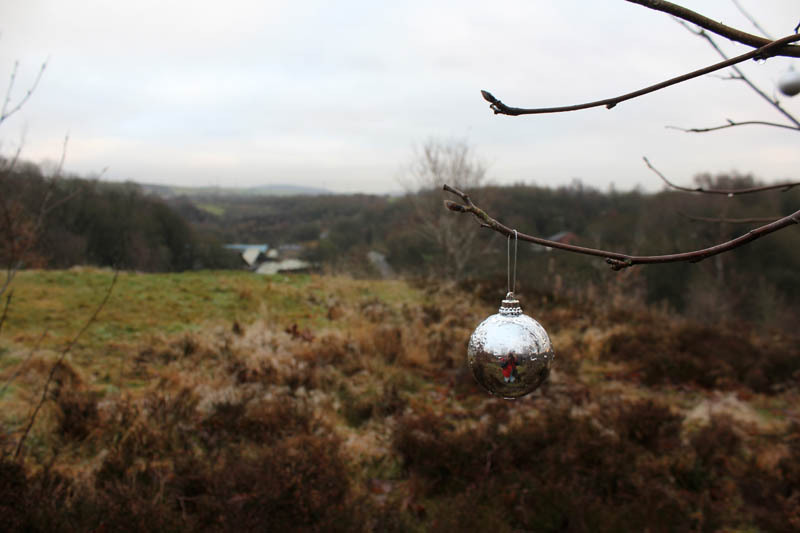 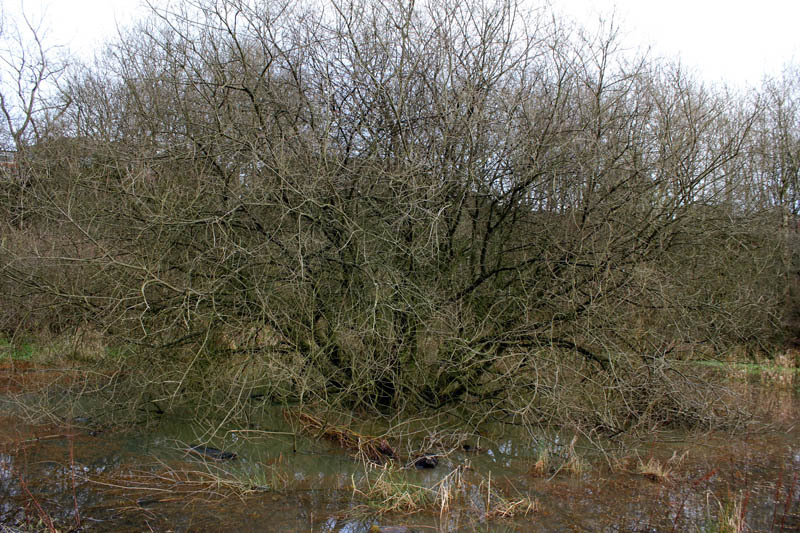 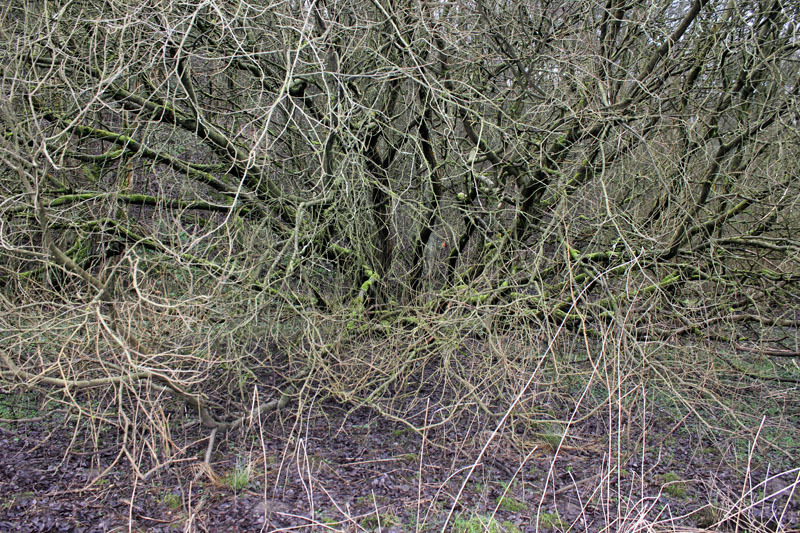 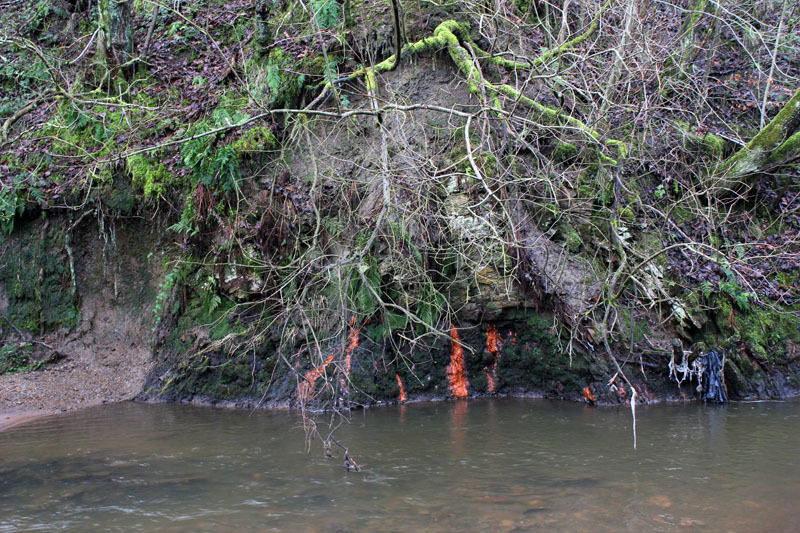 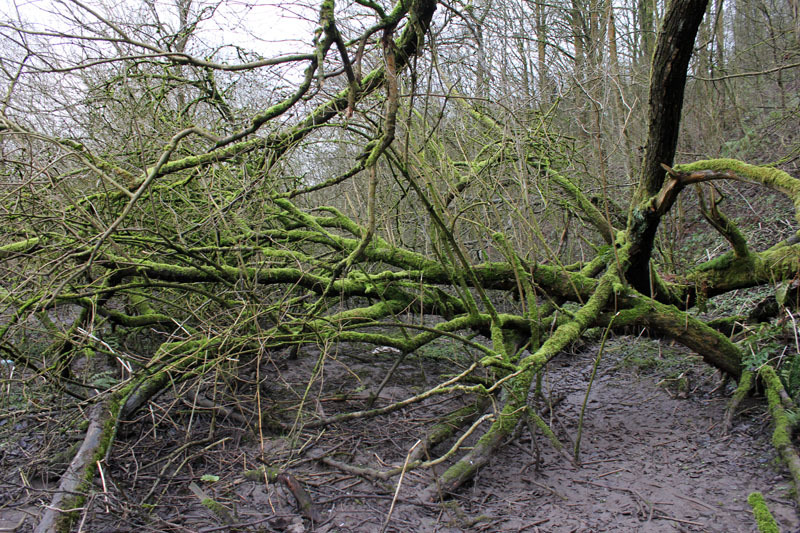 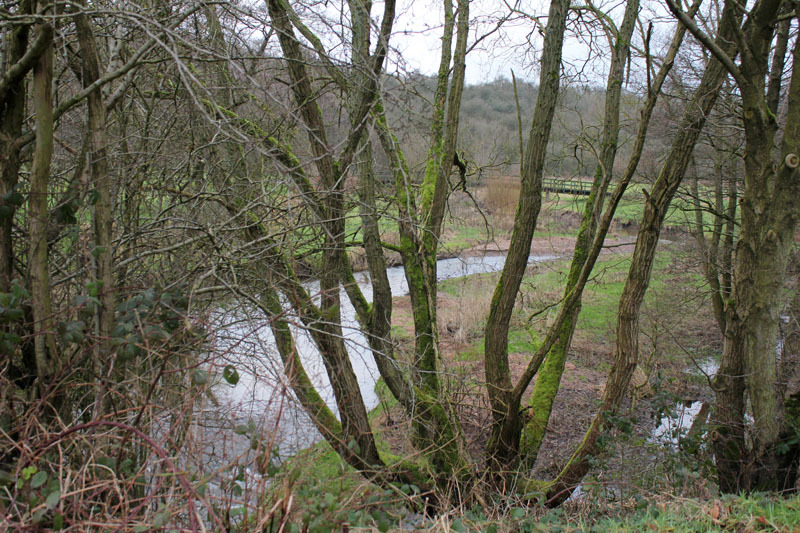 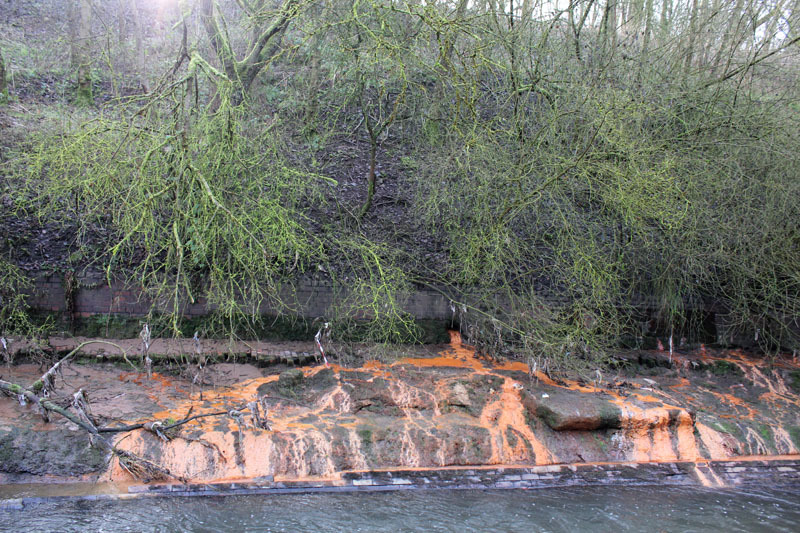 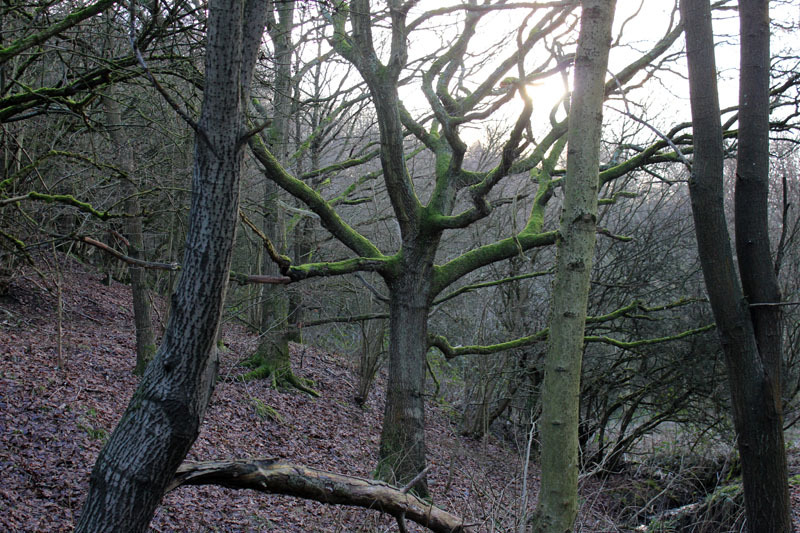 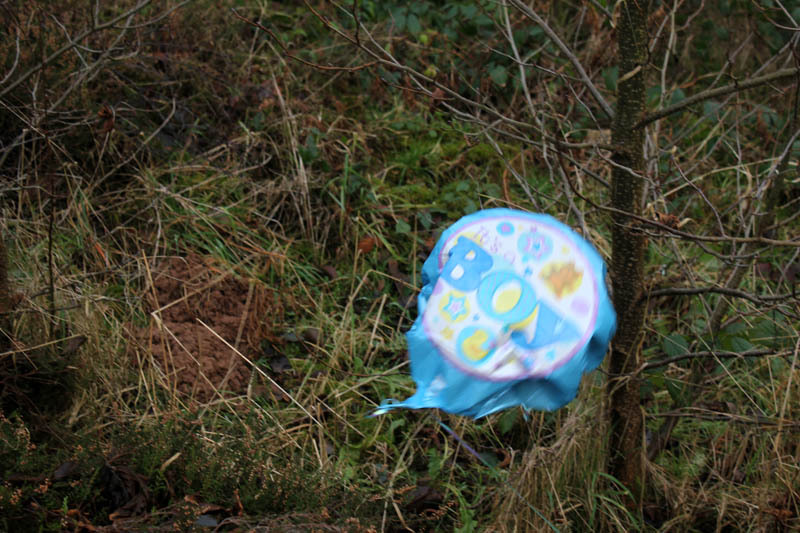 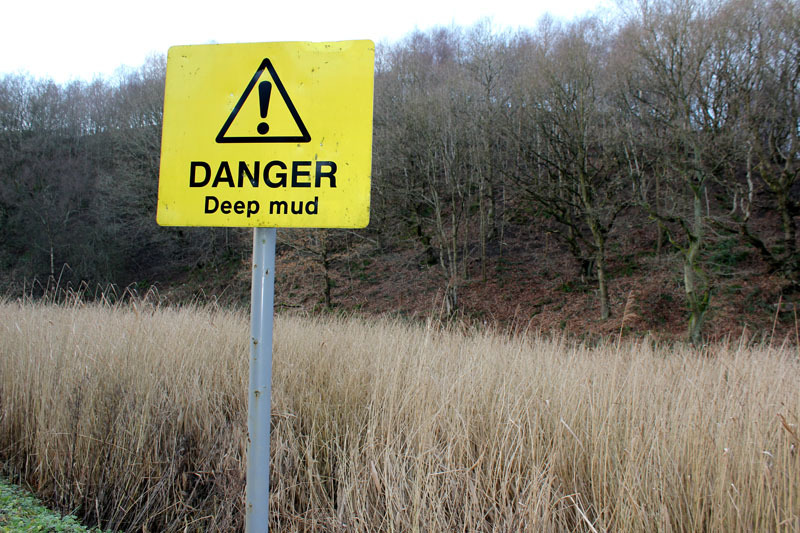 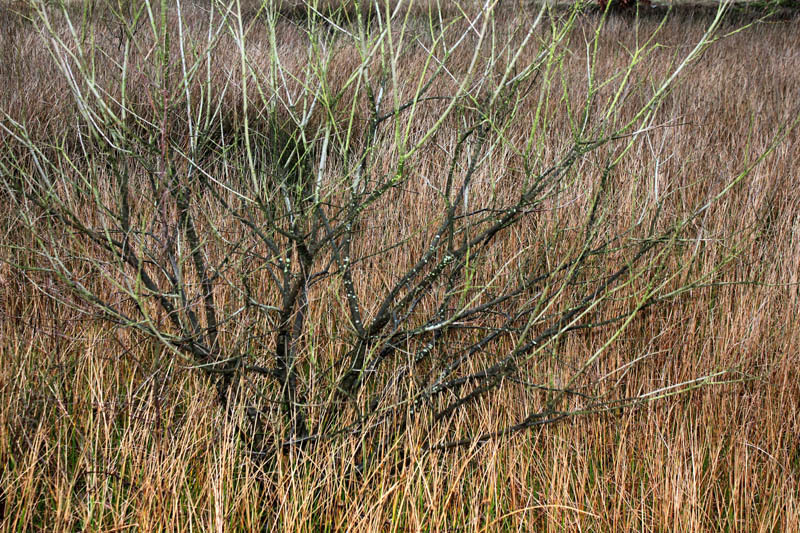 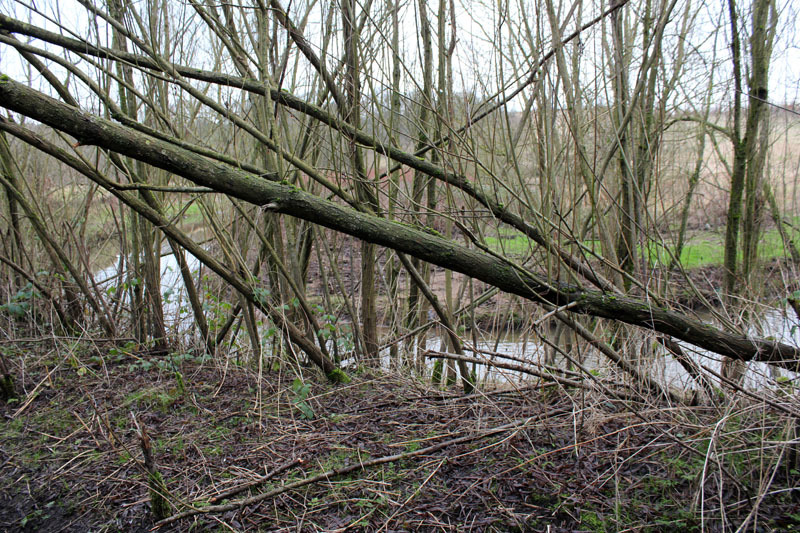 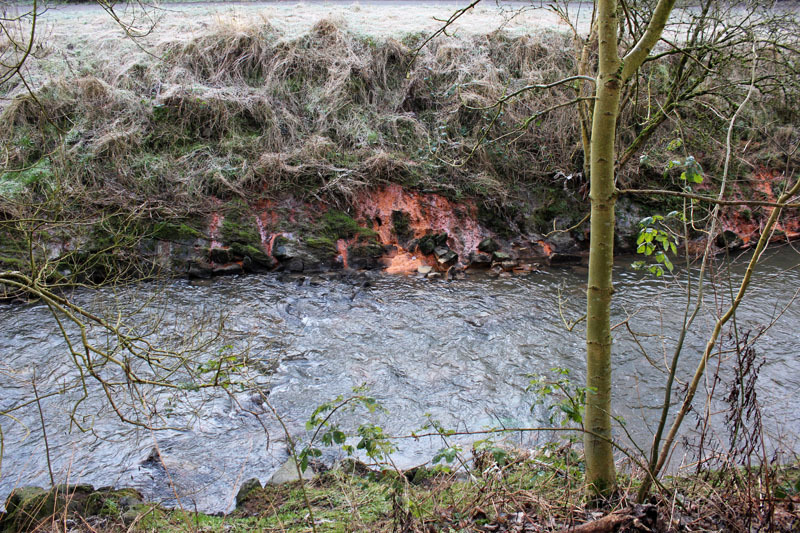 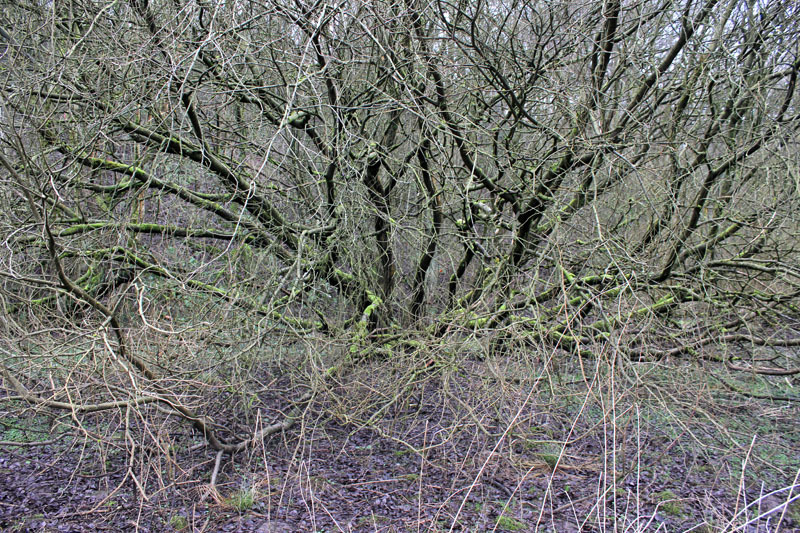 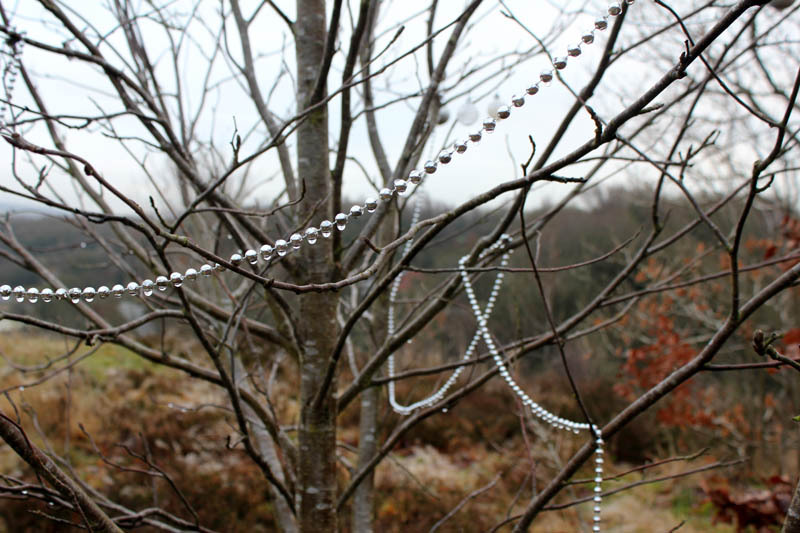 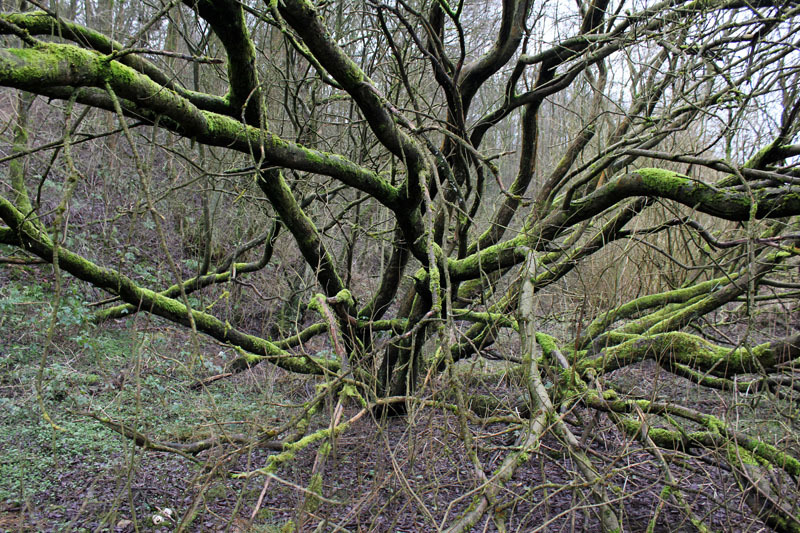 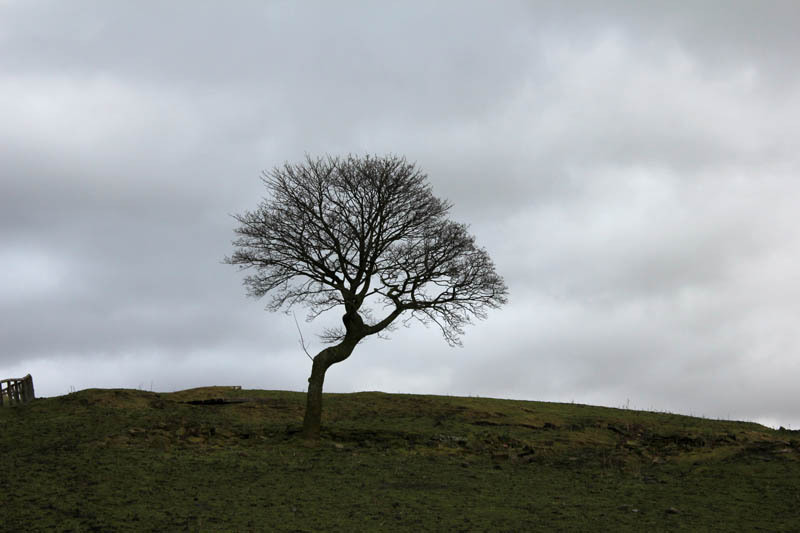 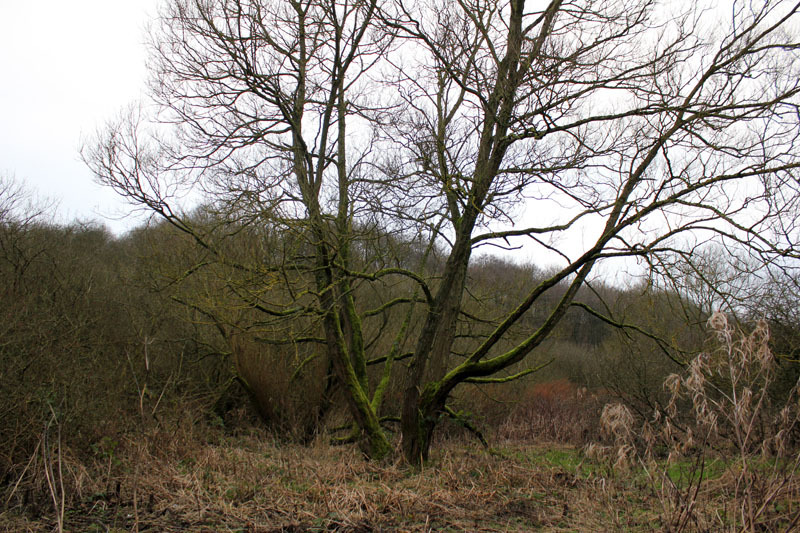 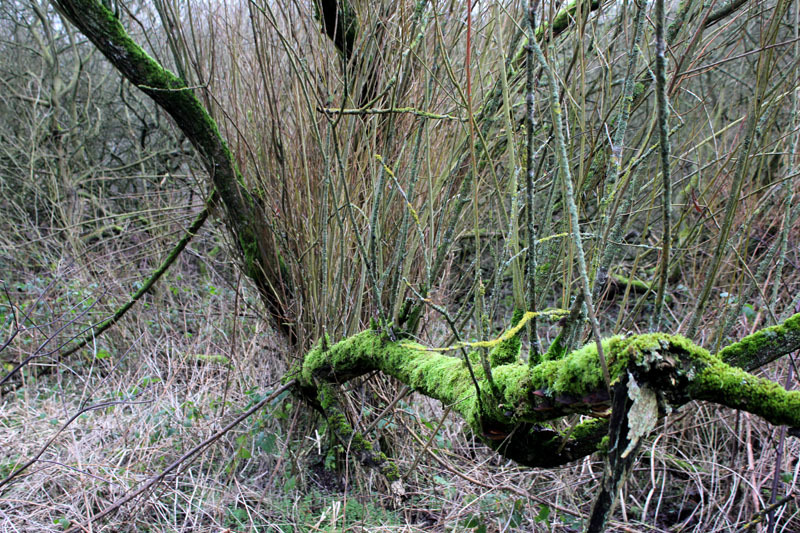 Boggy ground, healthy tree – Nether Lees. 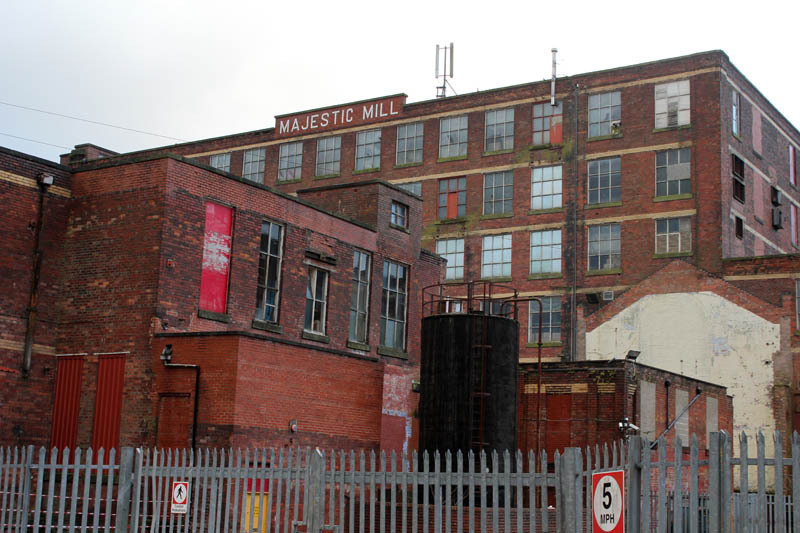 I then walked back north from Brook Side, over Bank Top, along Sun Hill and finally to Cairo Mills and Majestic Mills on Dunham st.